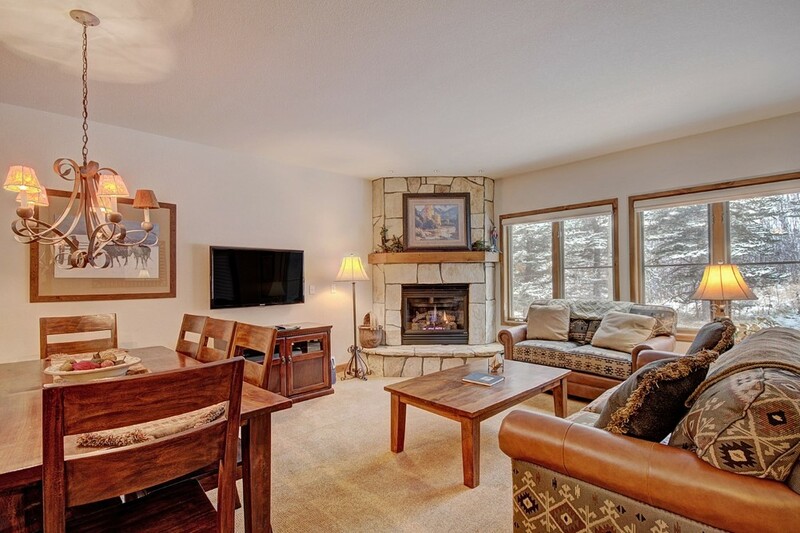 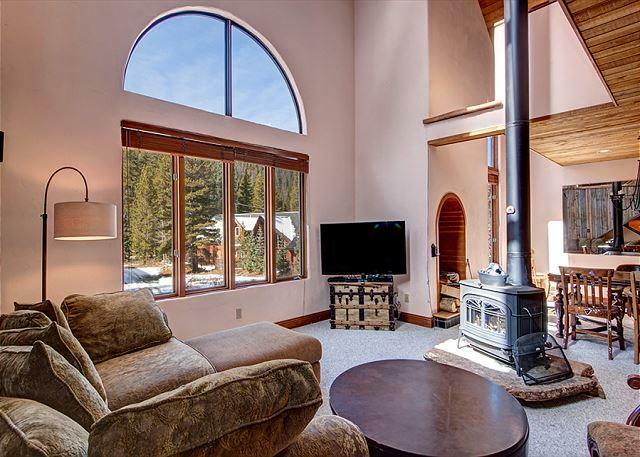 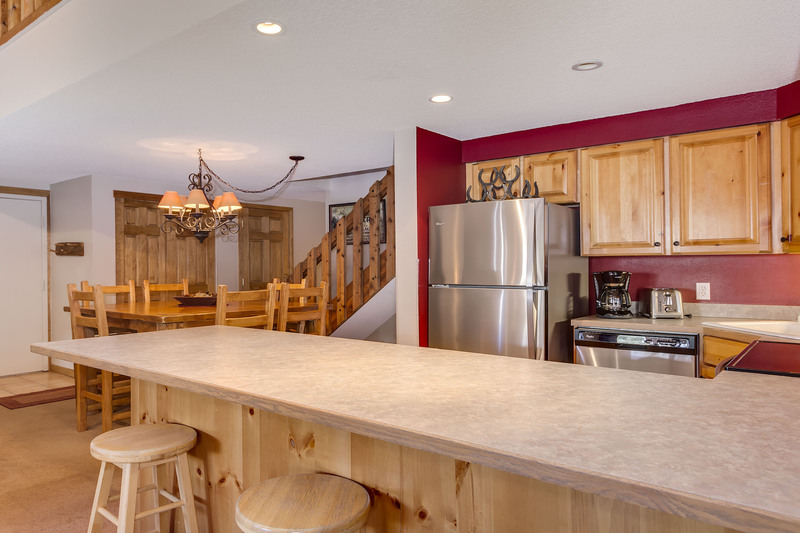 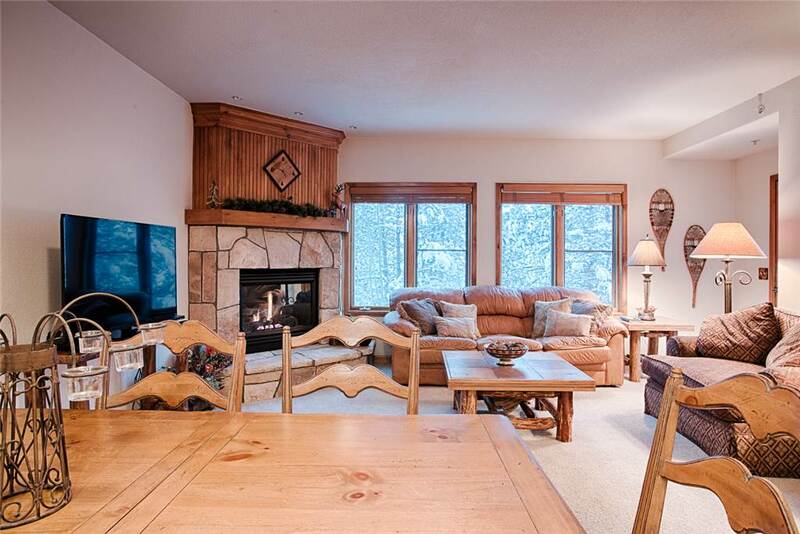 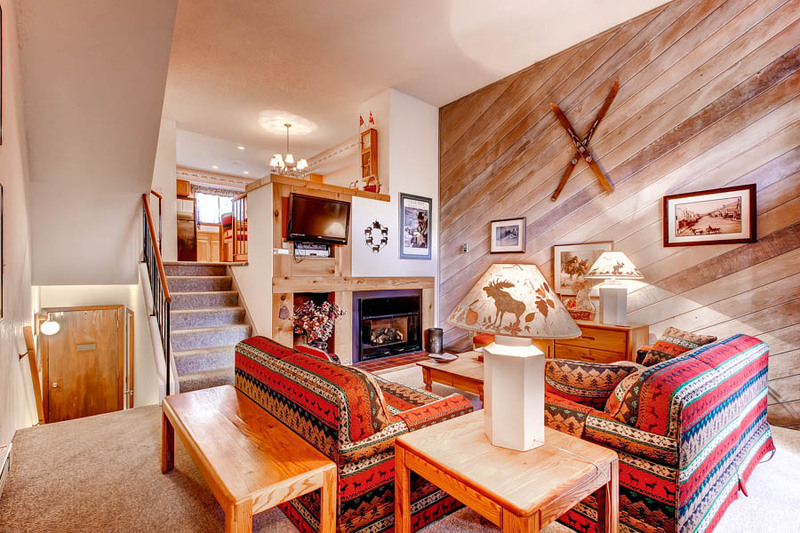 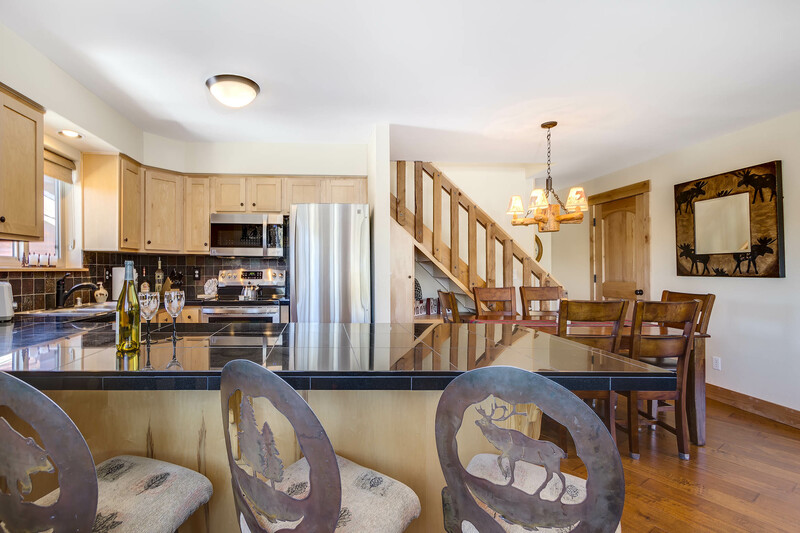 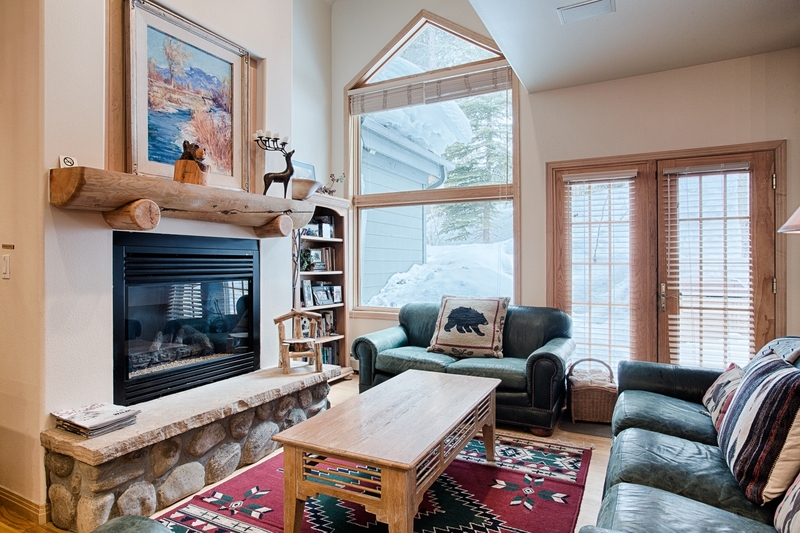 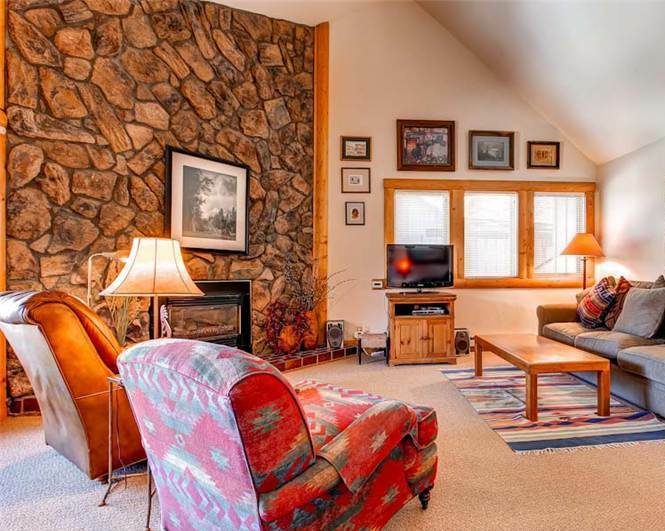 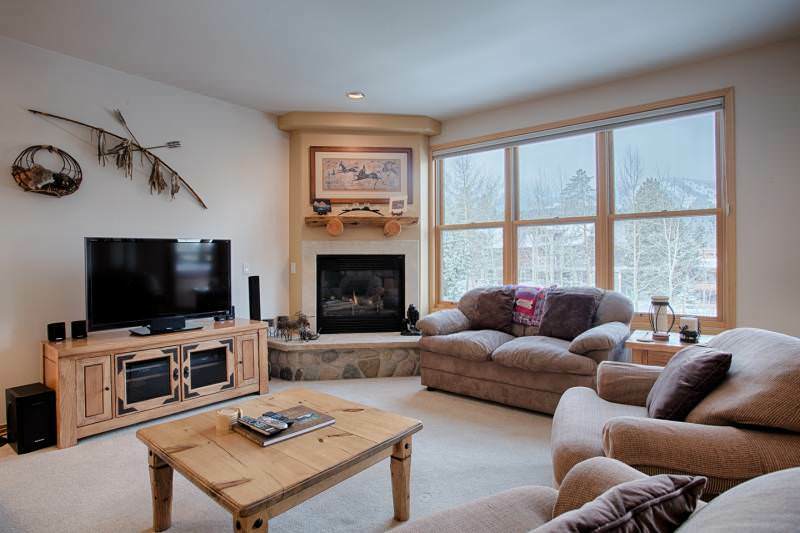 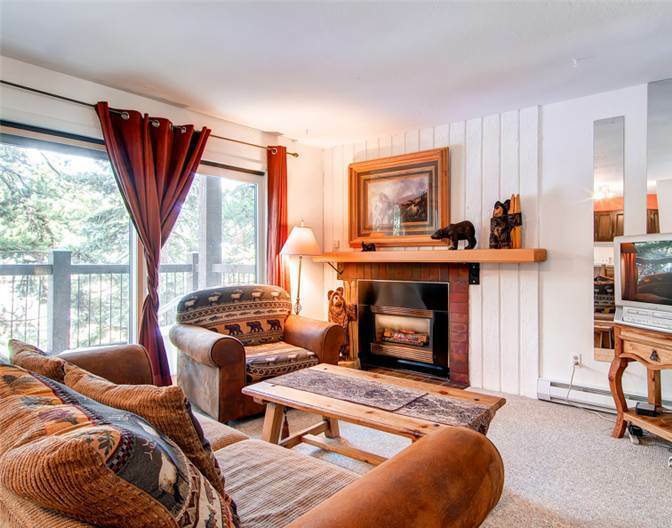 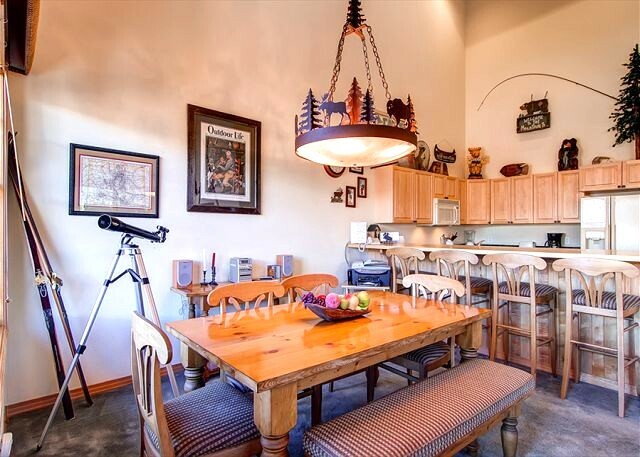 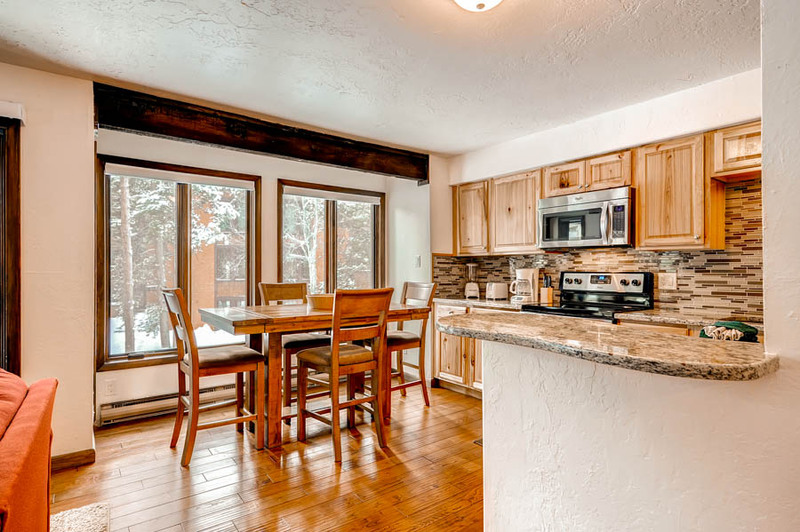 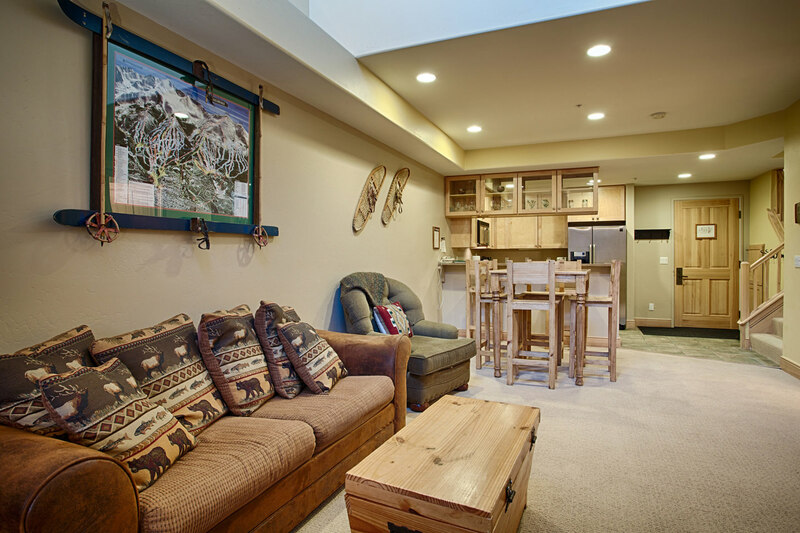 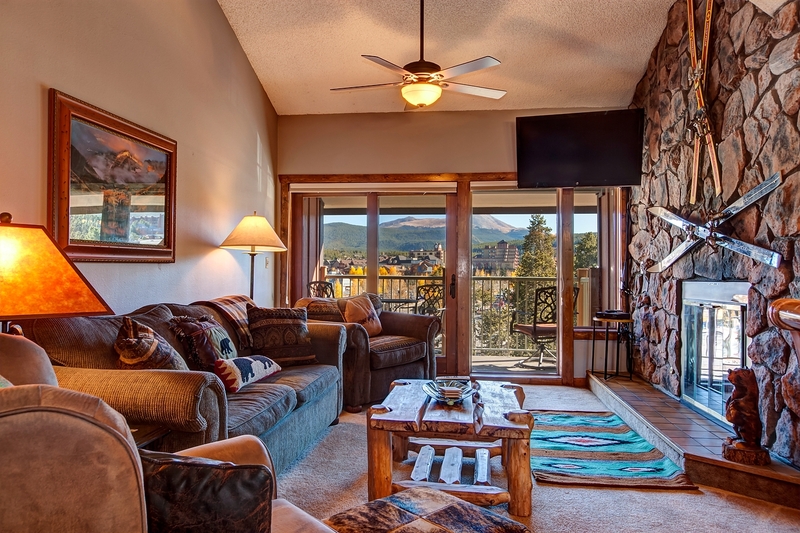 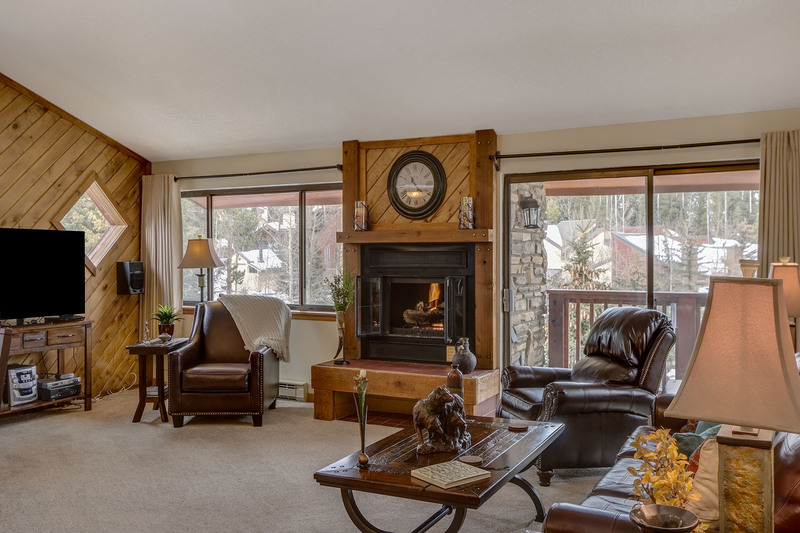 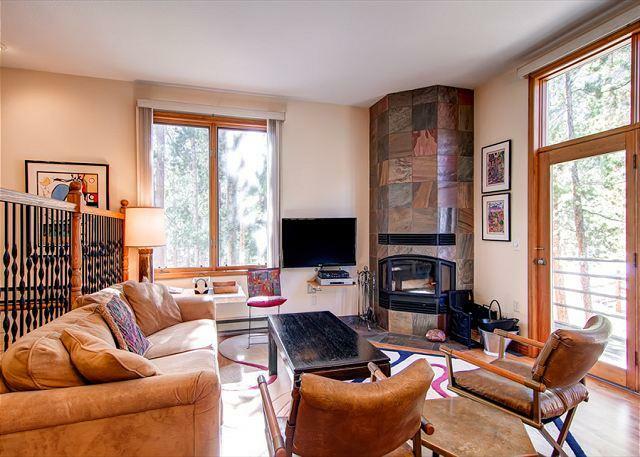 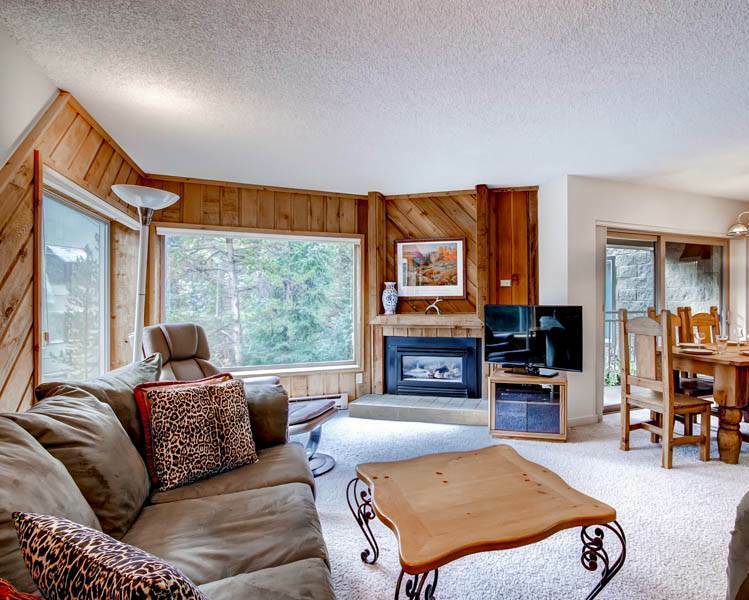 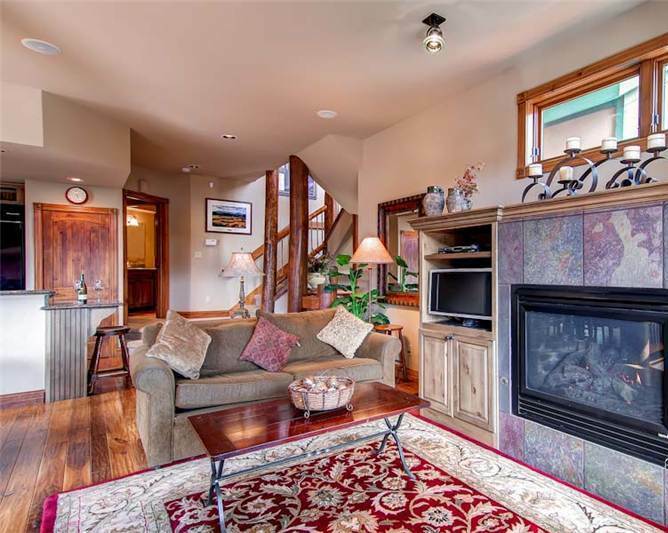 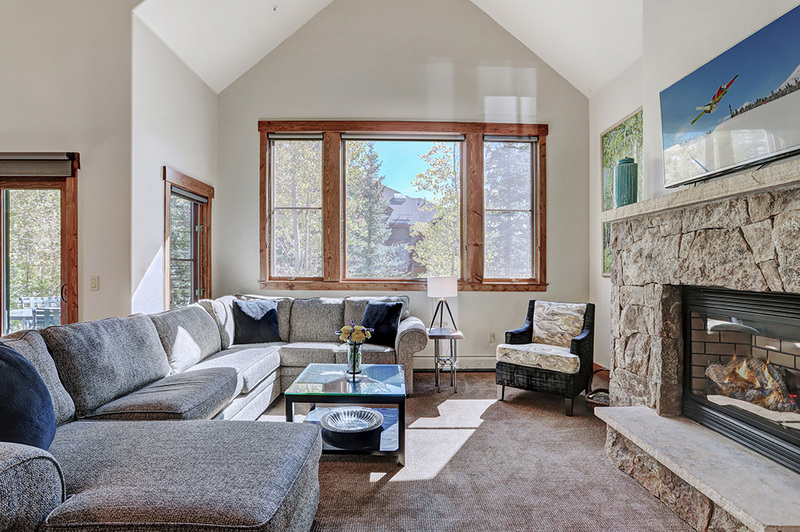 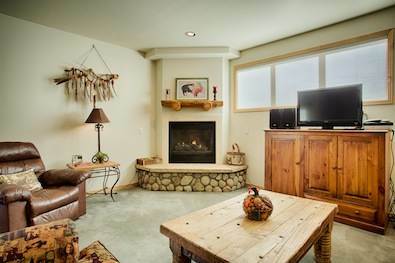 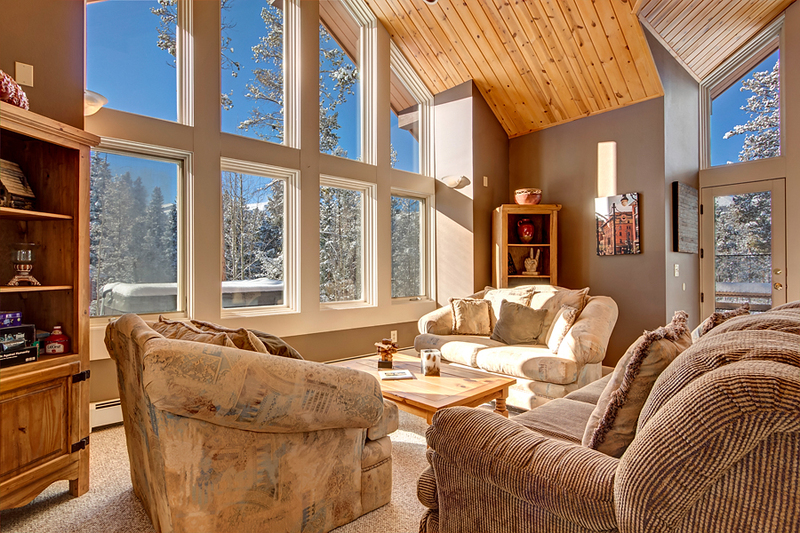 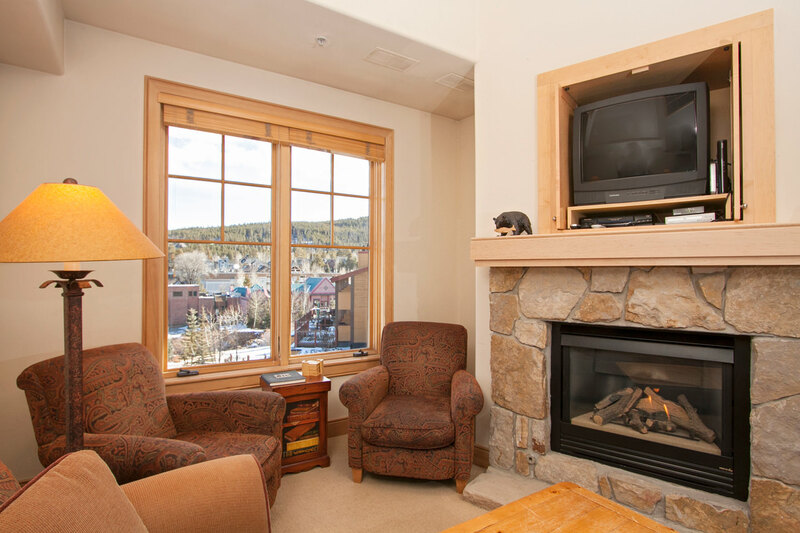 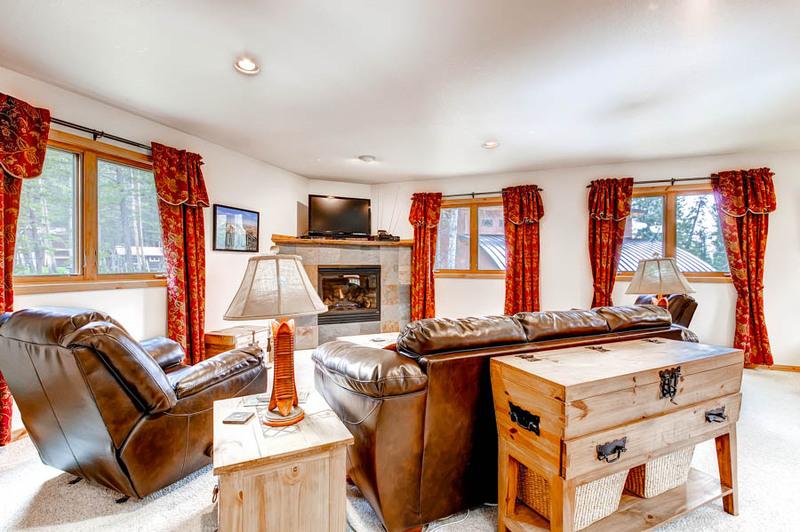 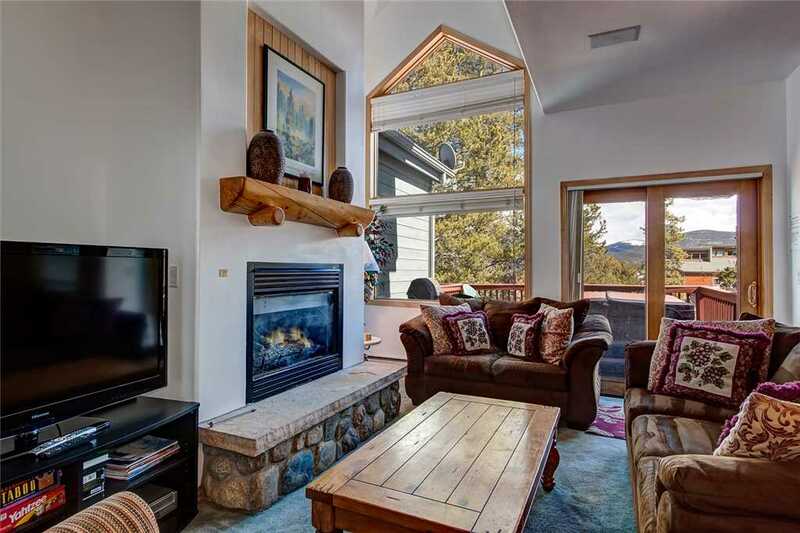 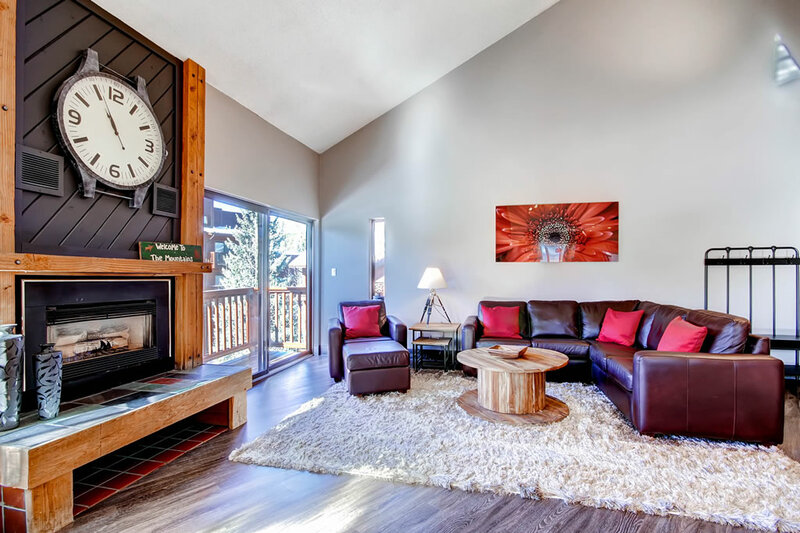 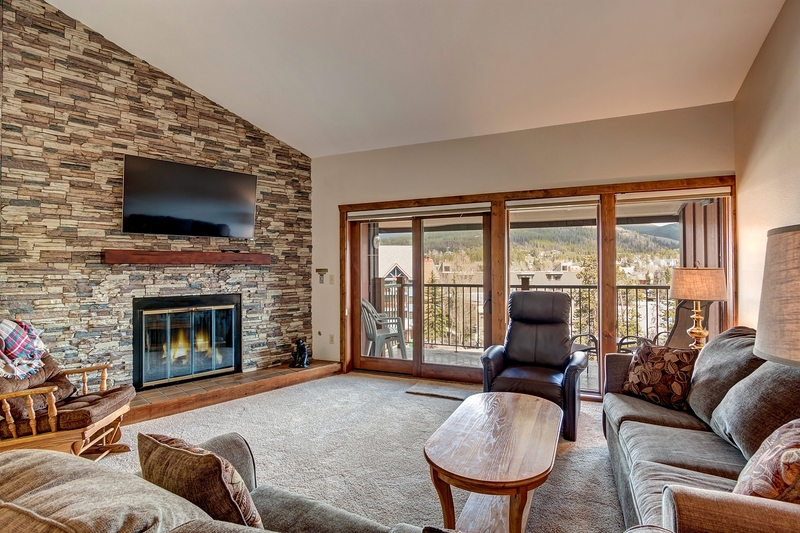 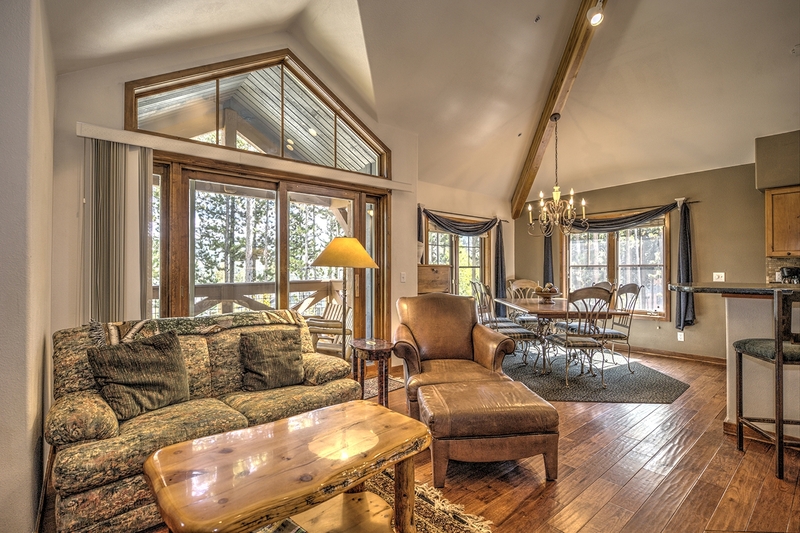 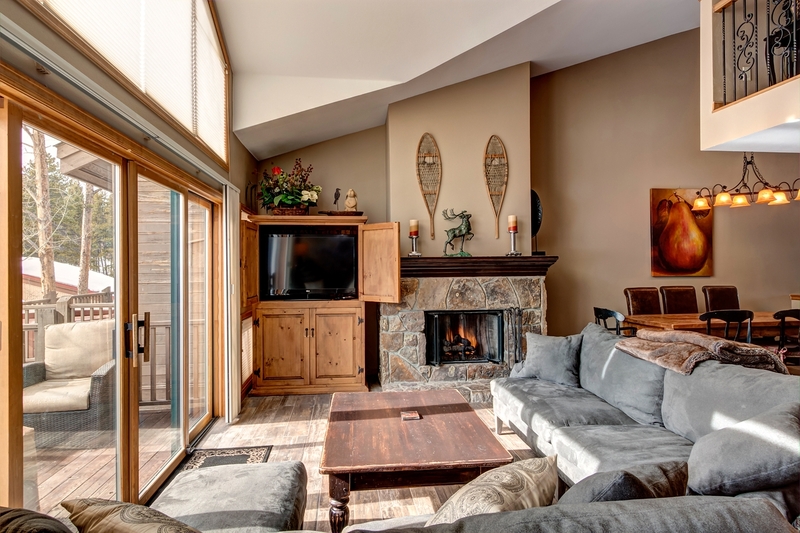 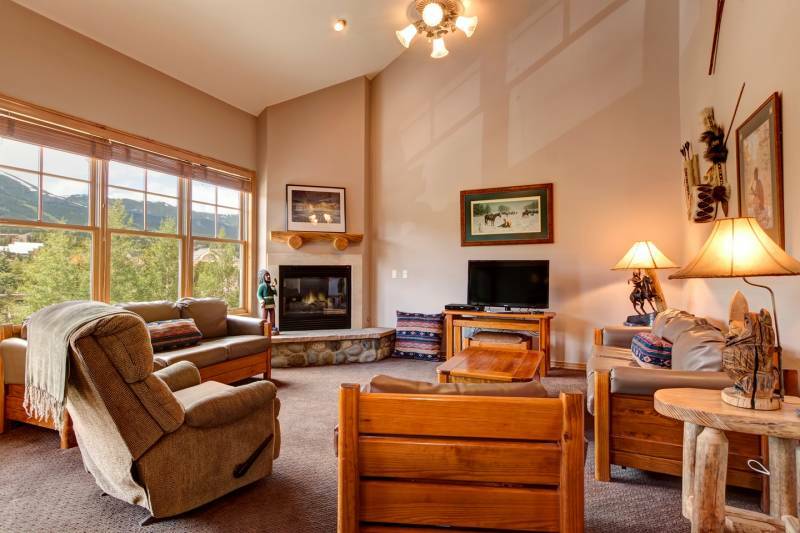 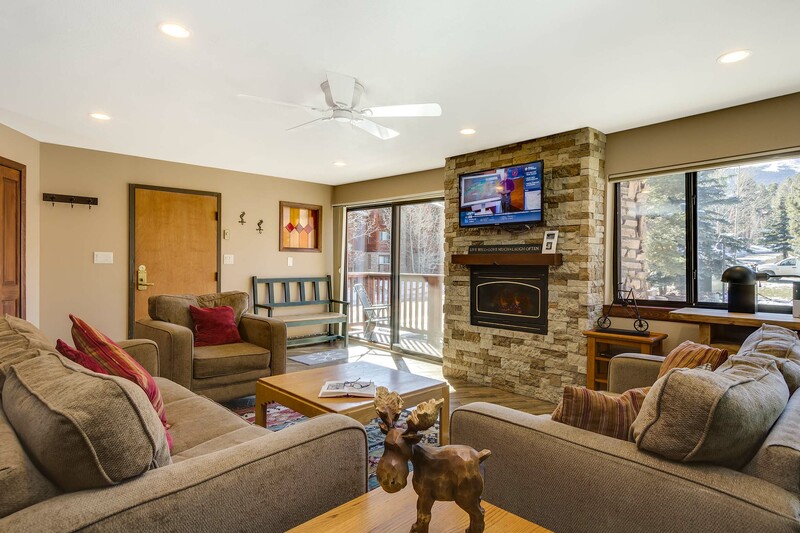 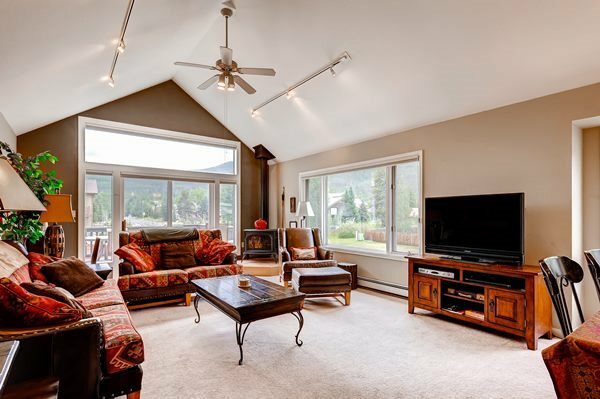 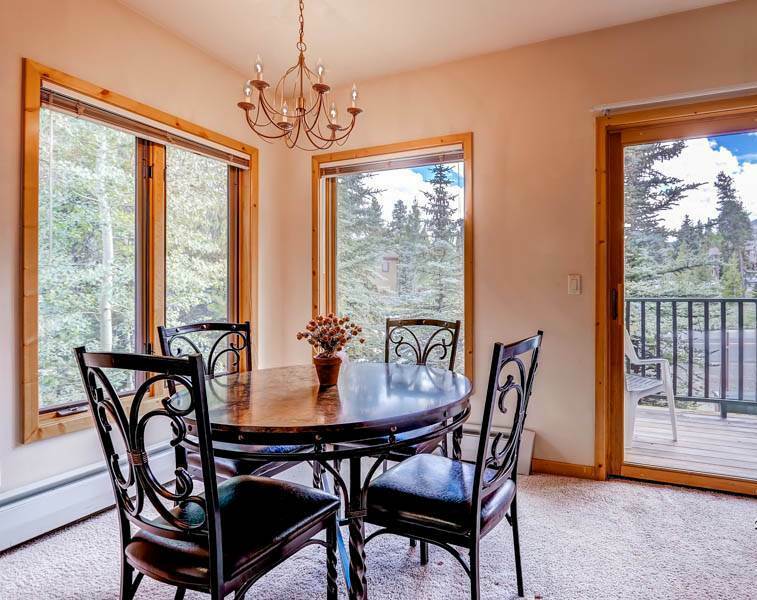 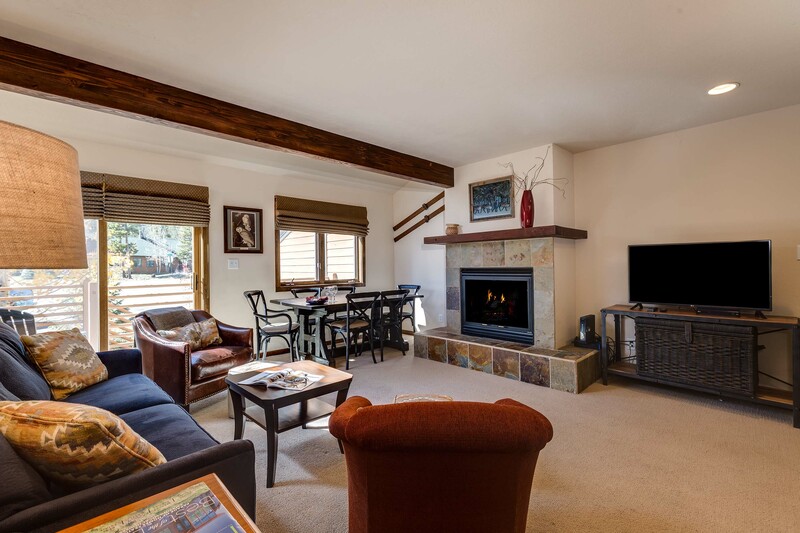 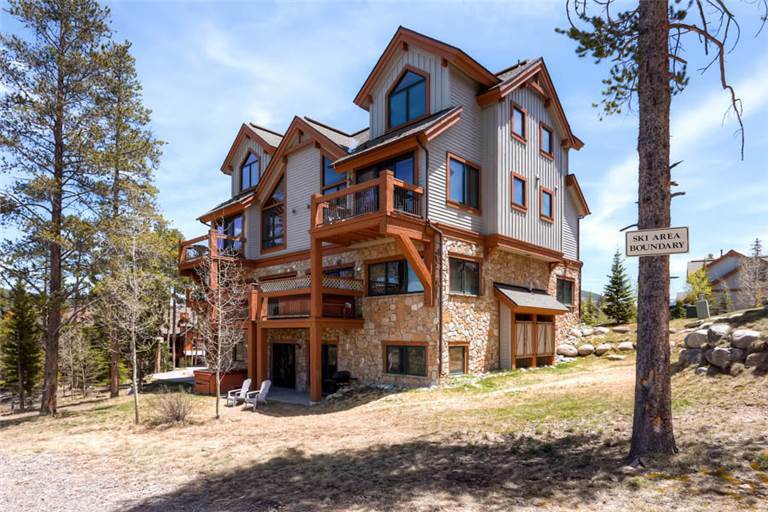 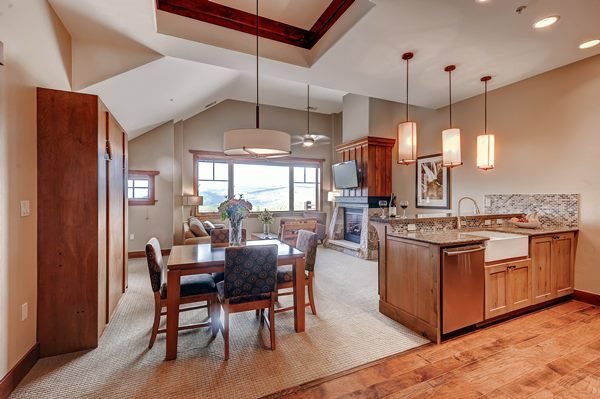 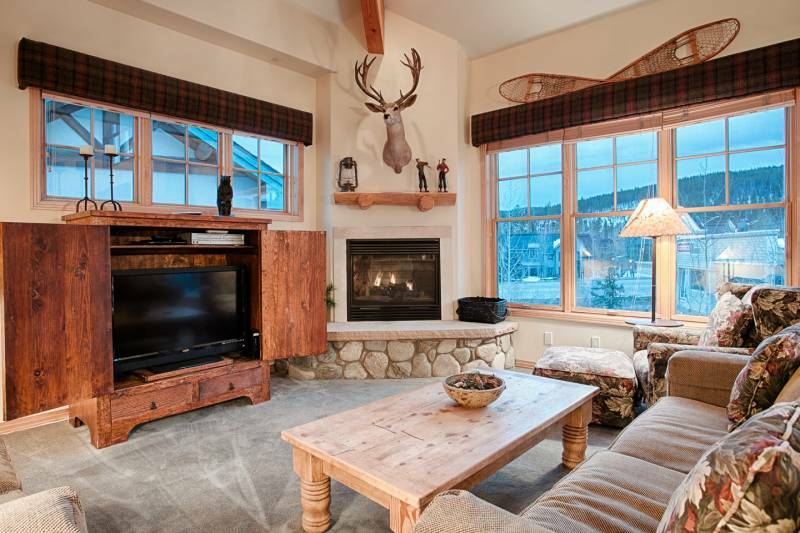 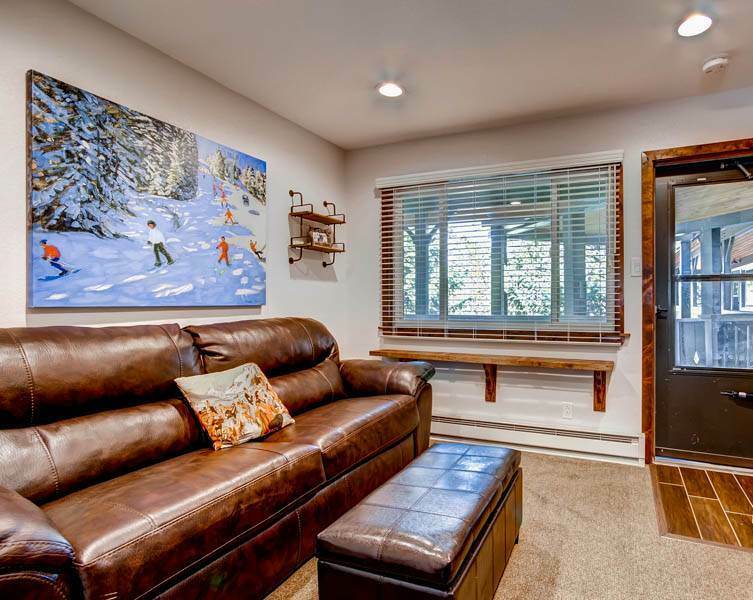 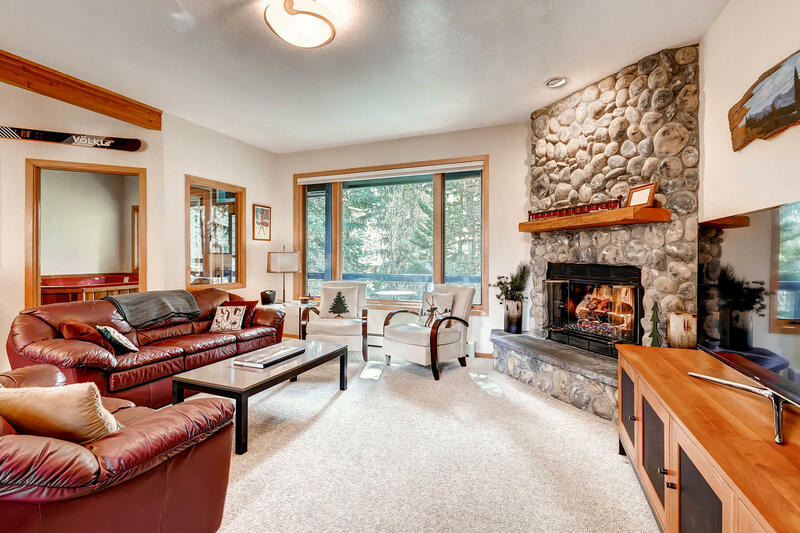 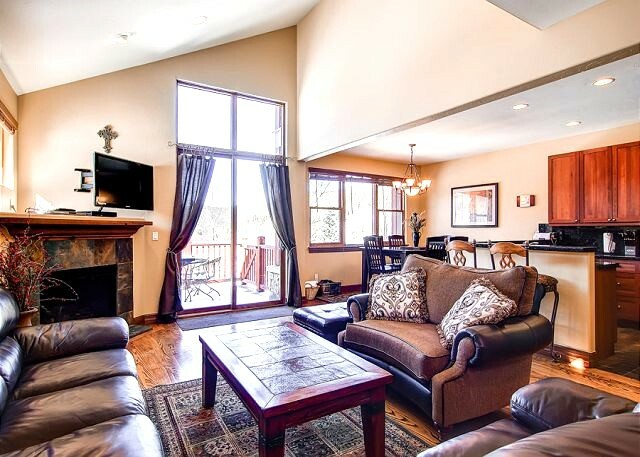 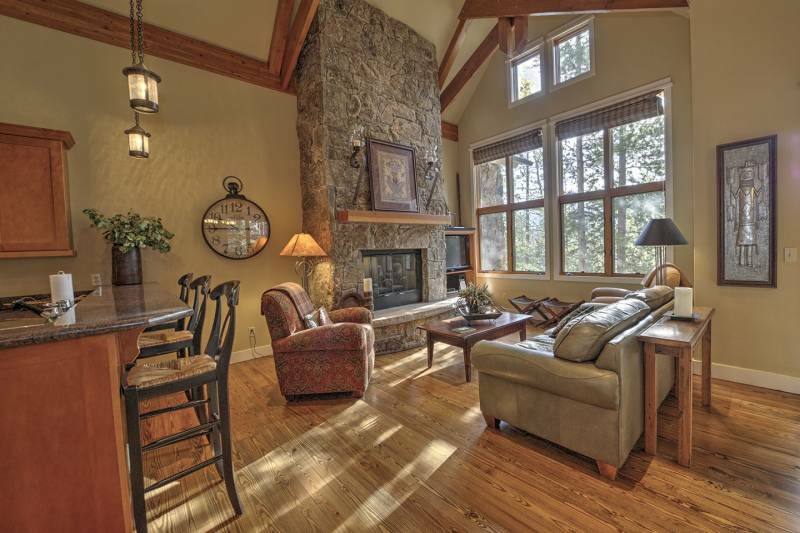 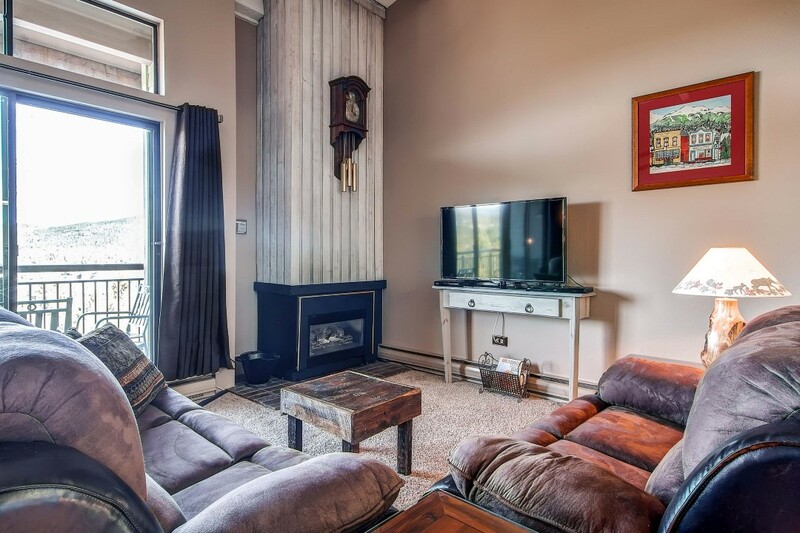 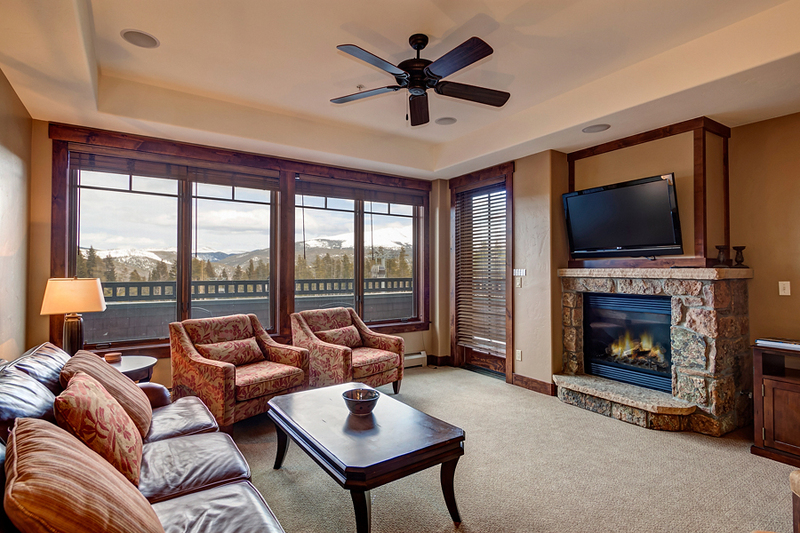 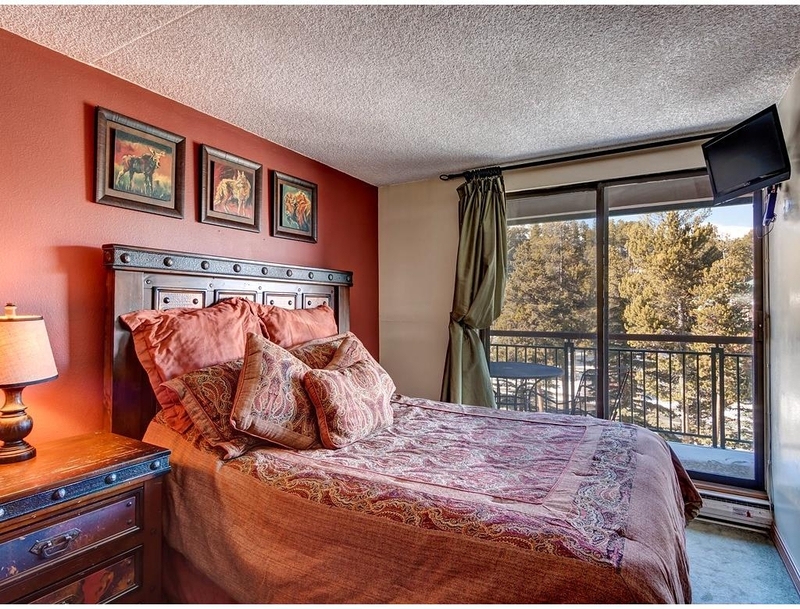 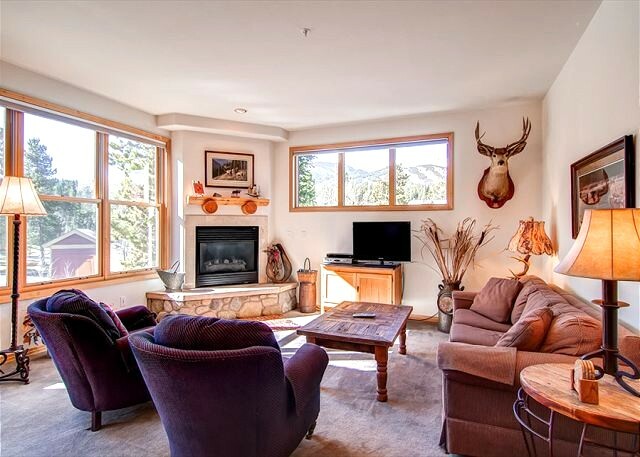 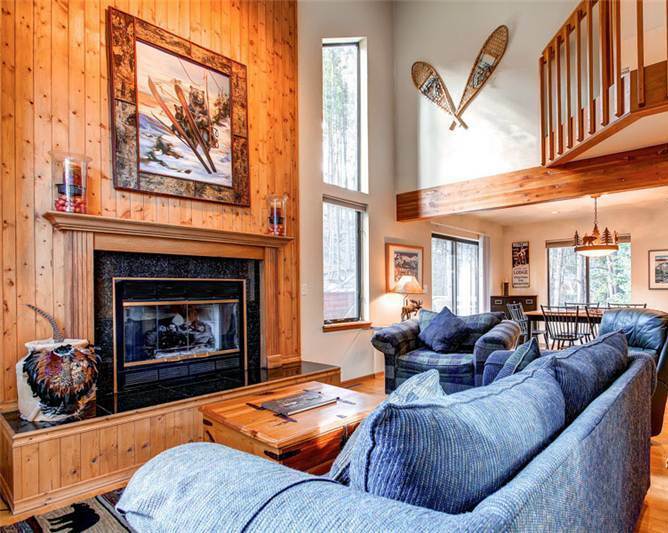 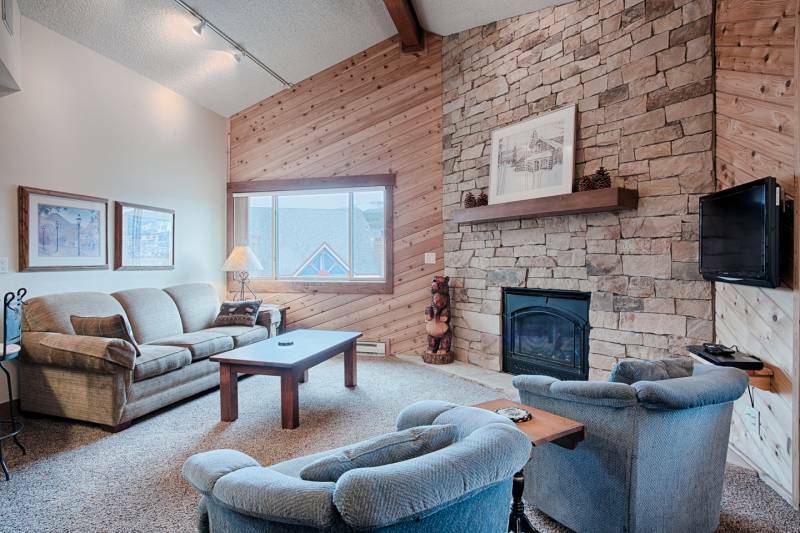 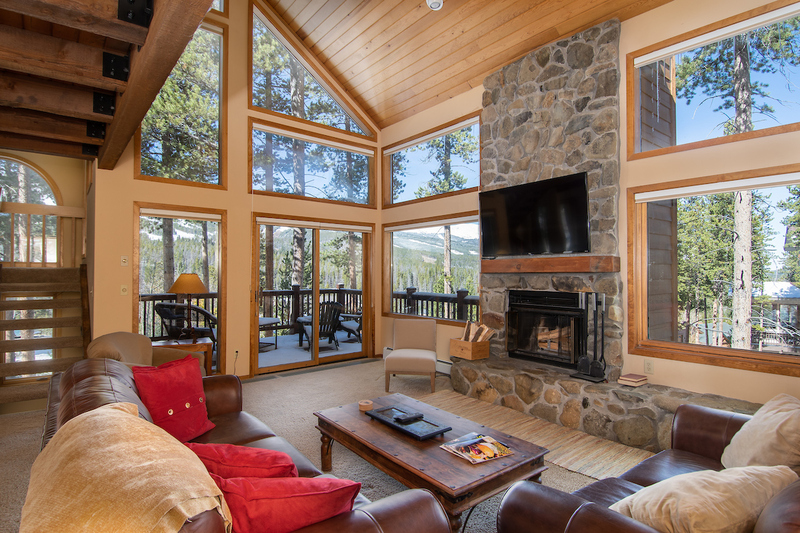 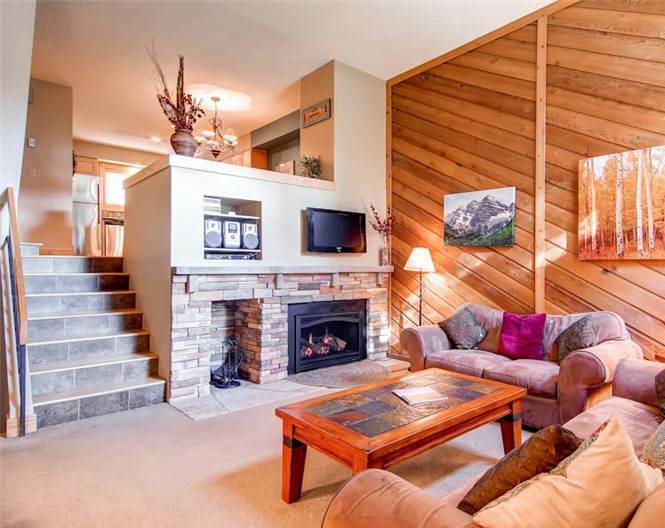 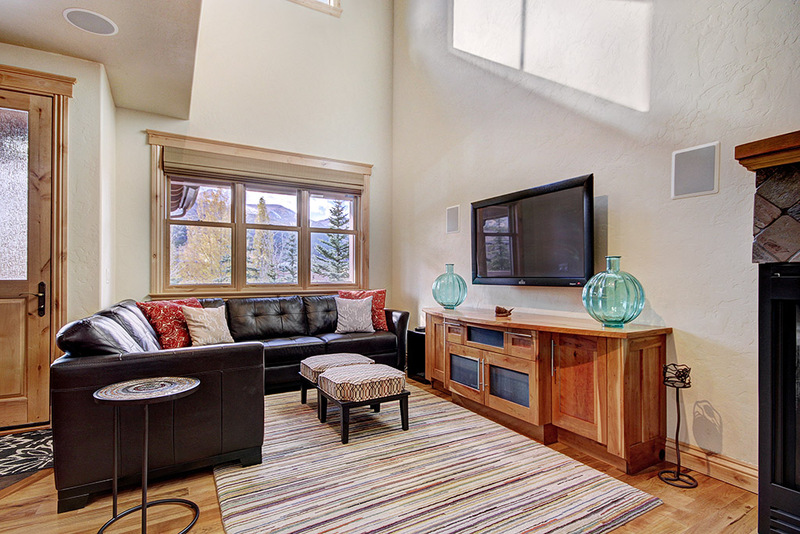 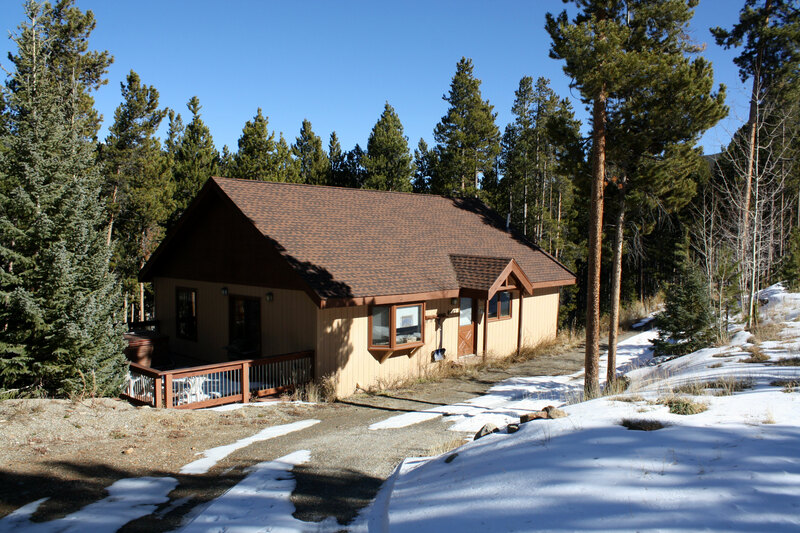 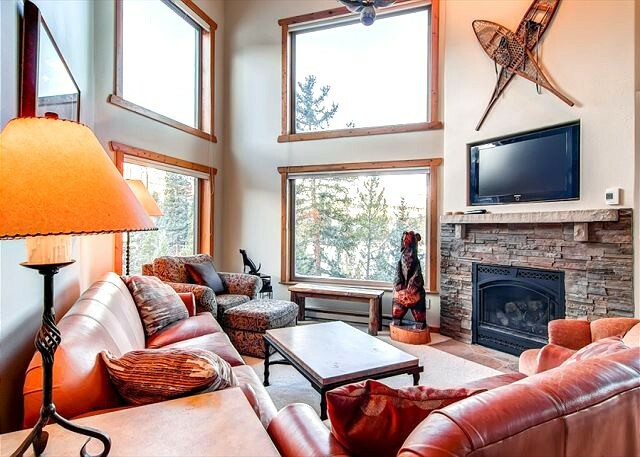 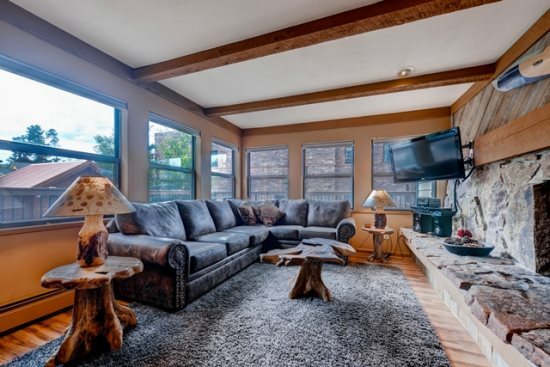 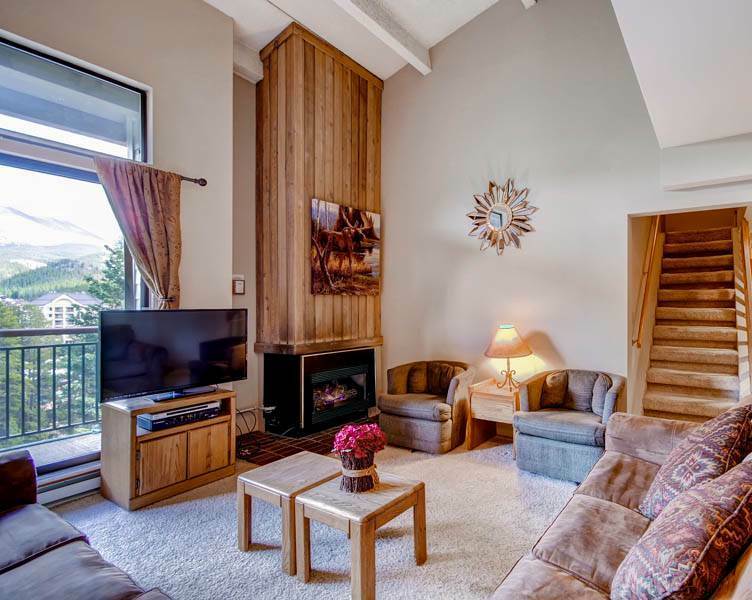 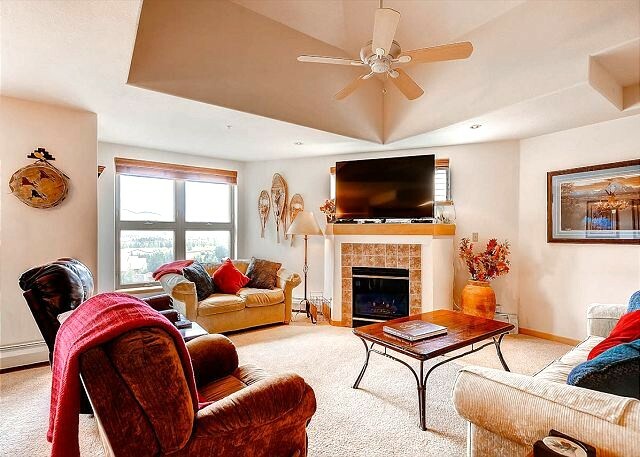 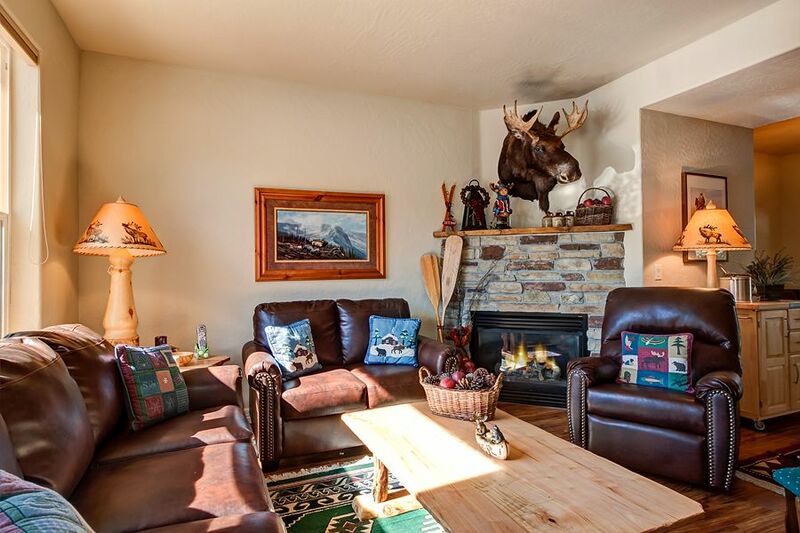 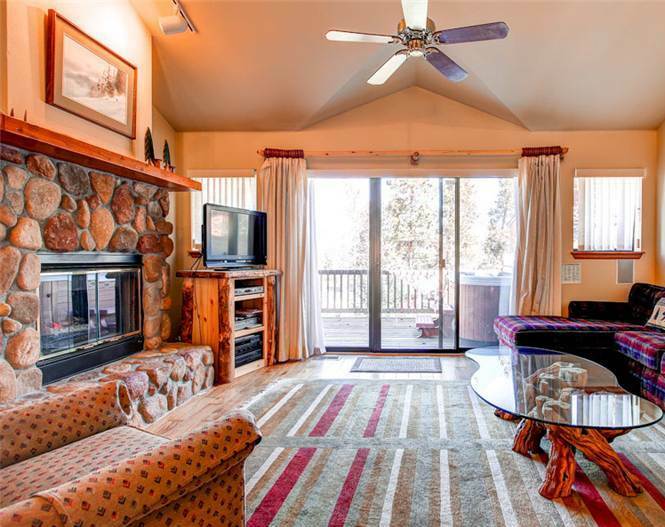 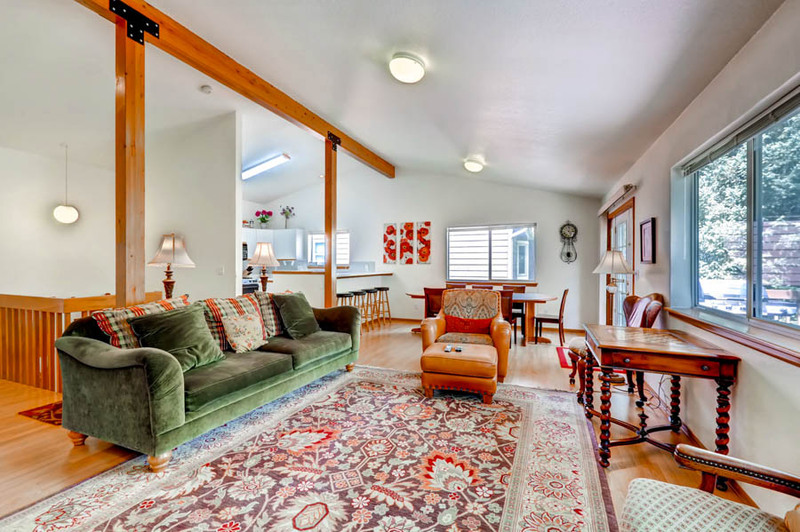 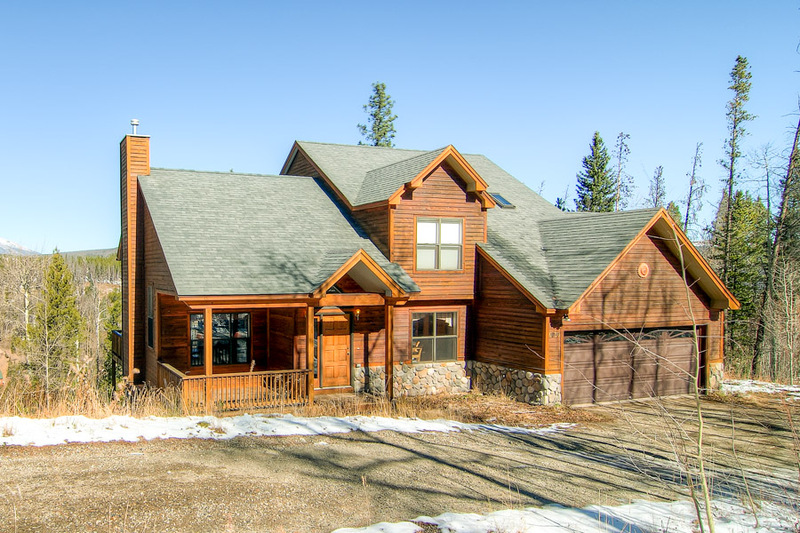 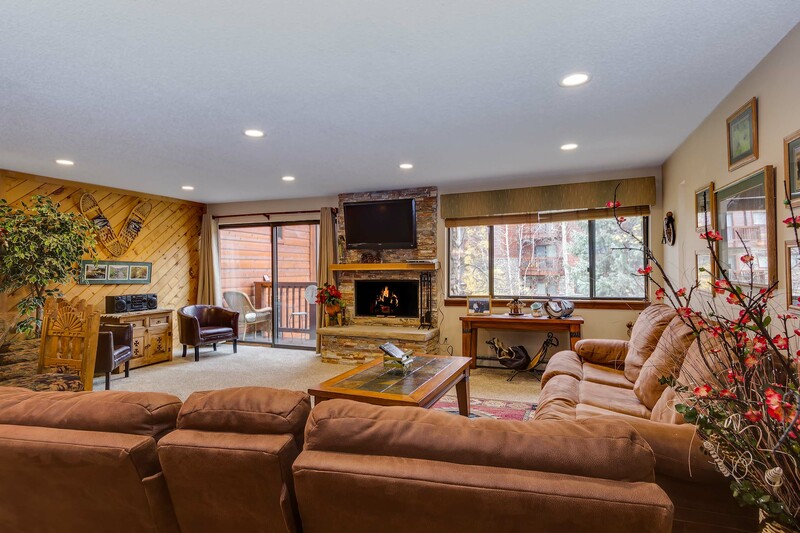 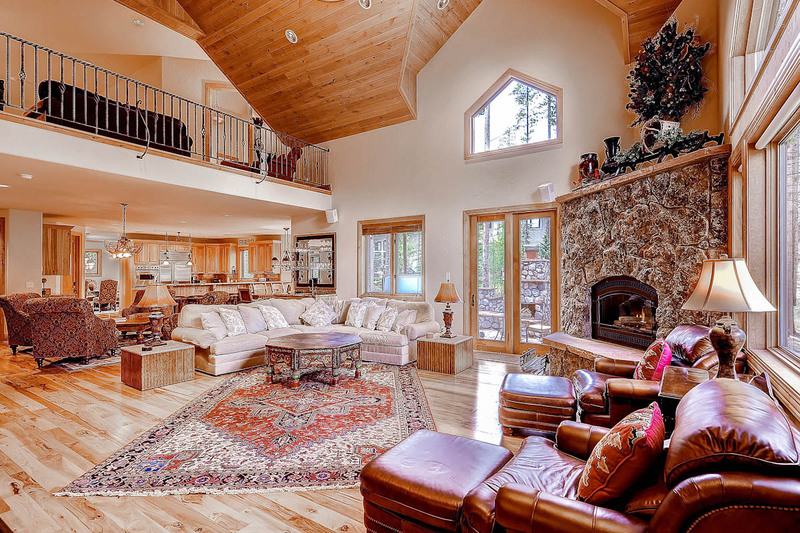 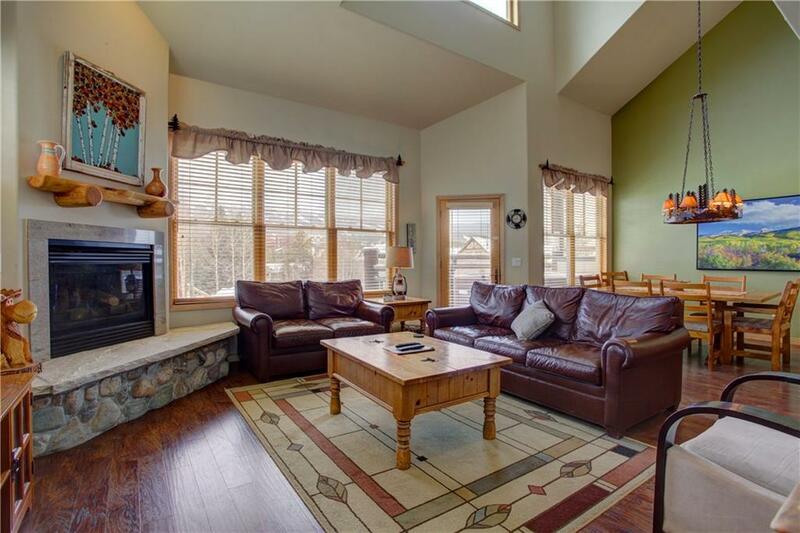 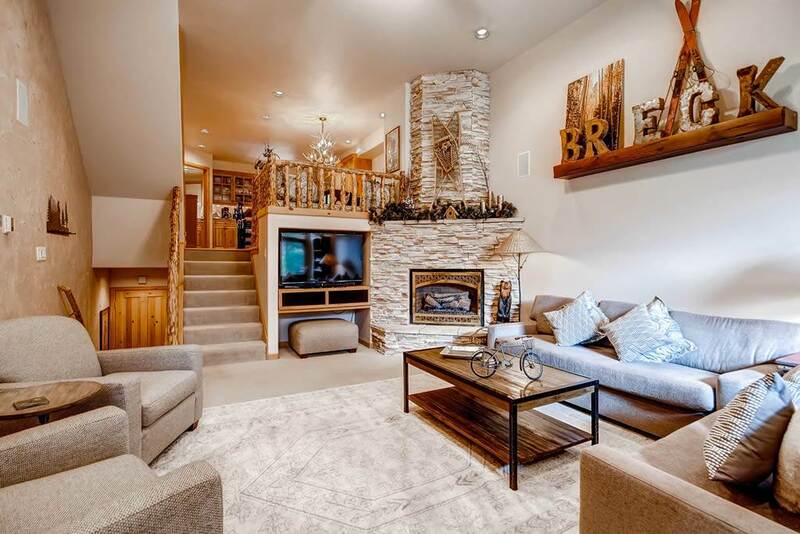 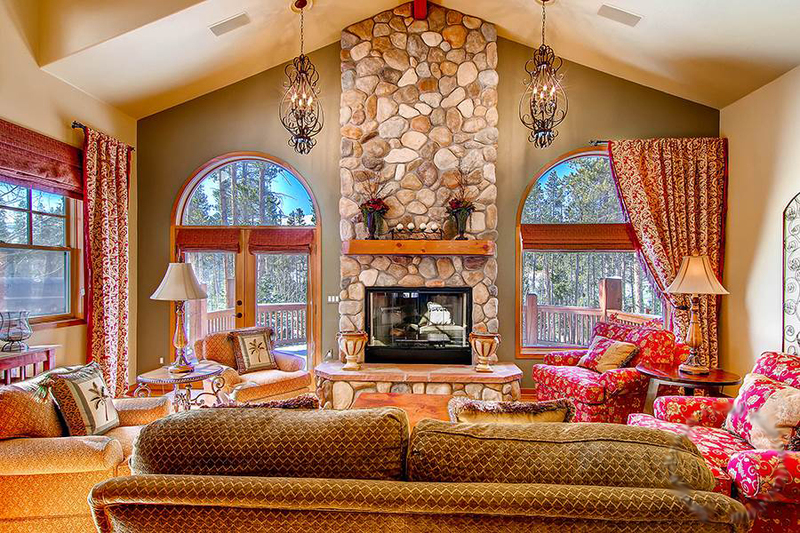 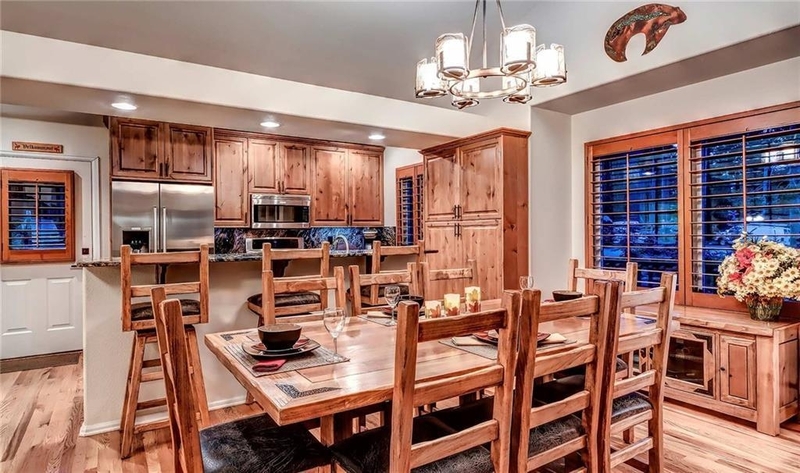 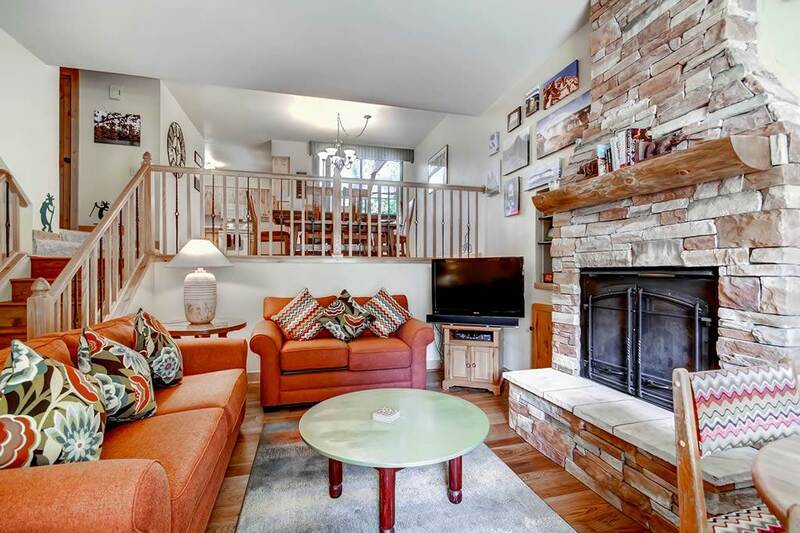 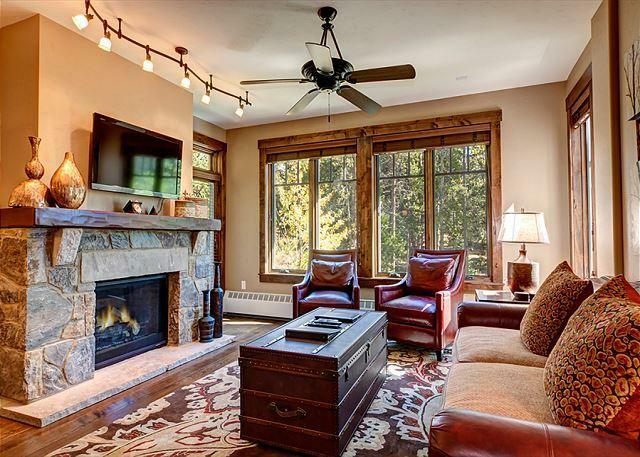 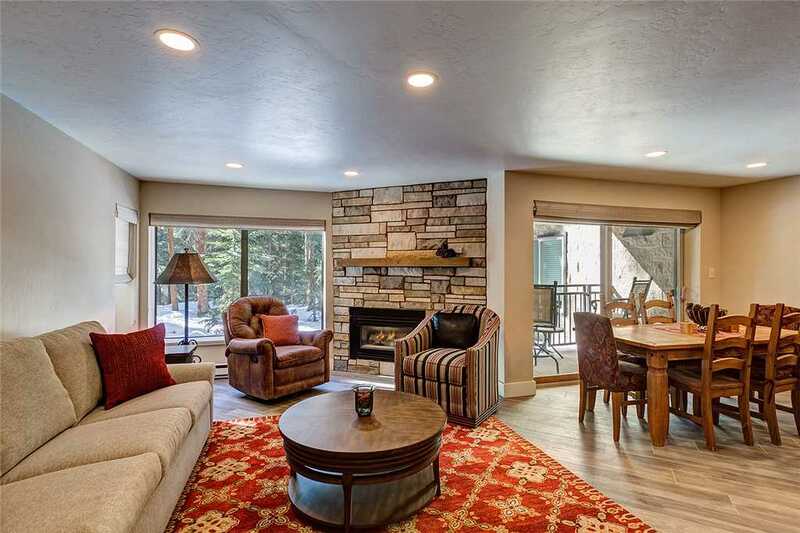 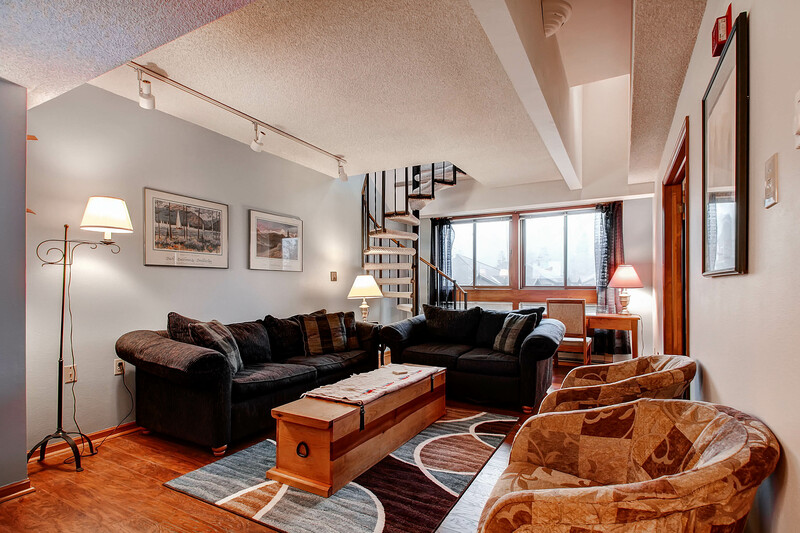 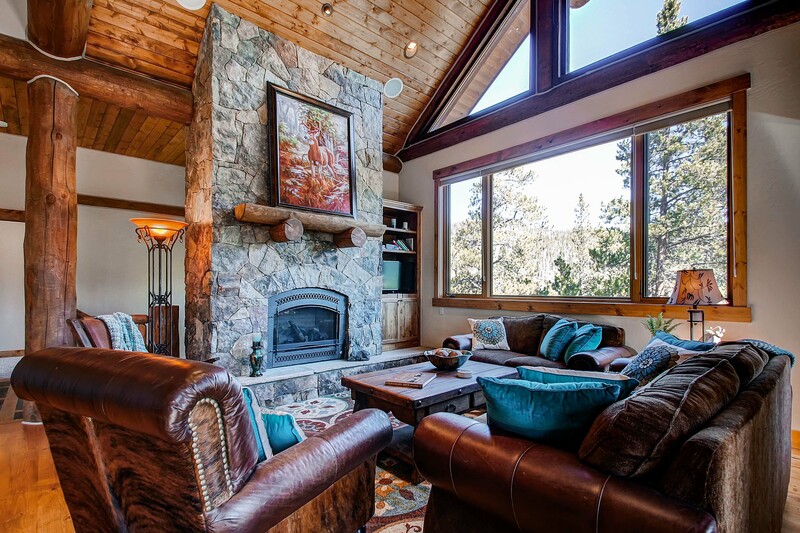 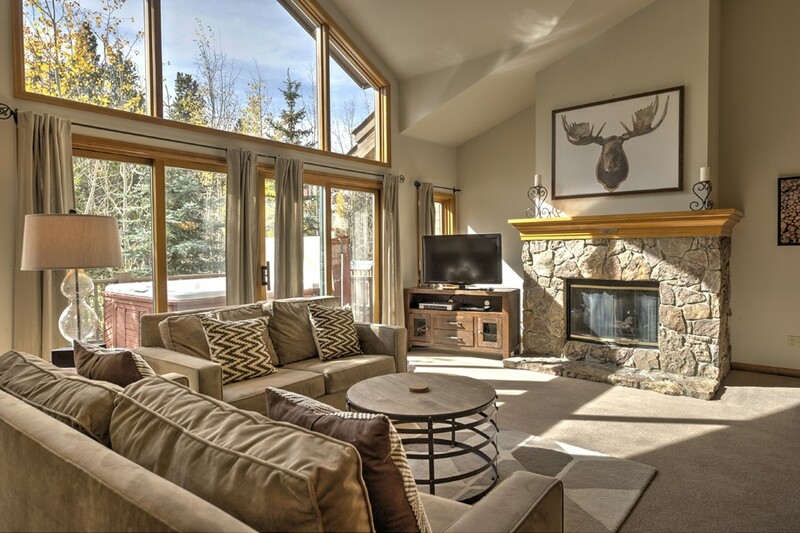 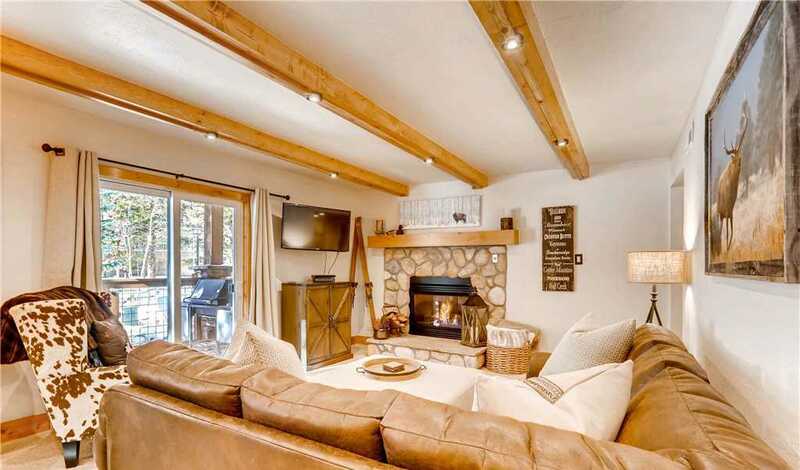 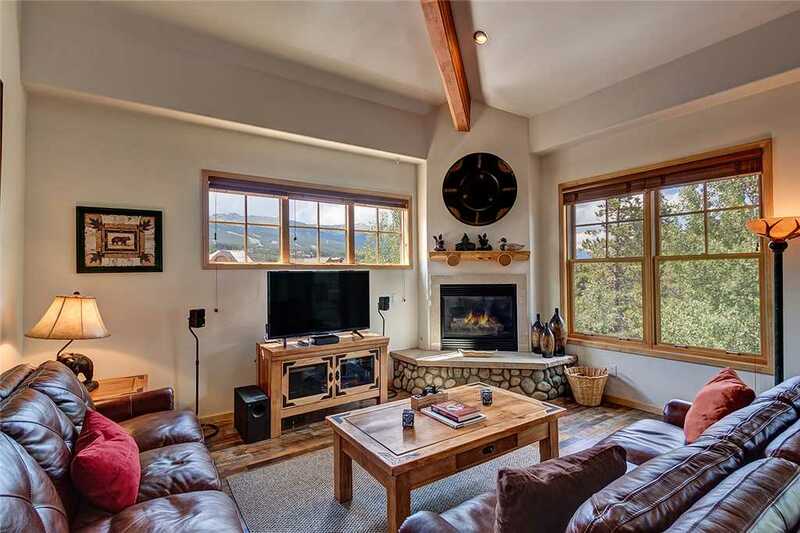 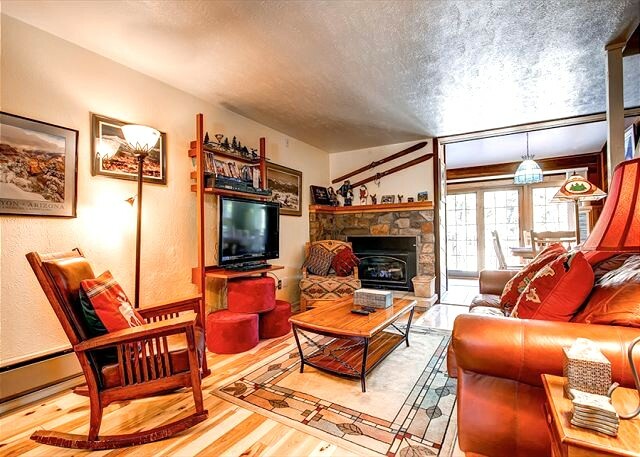 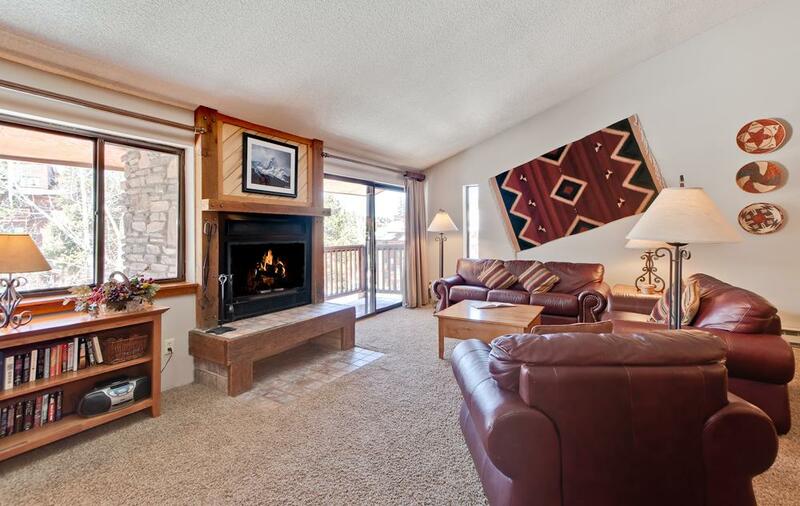 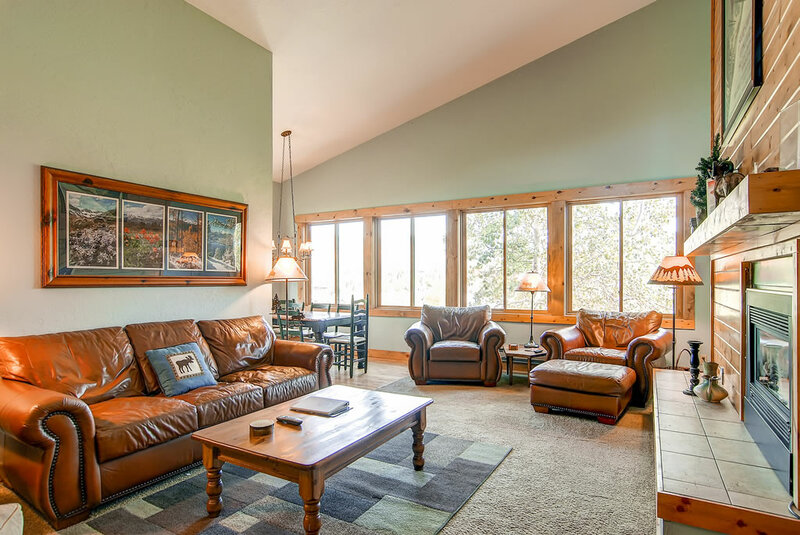 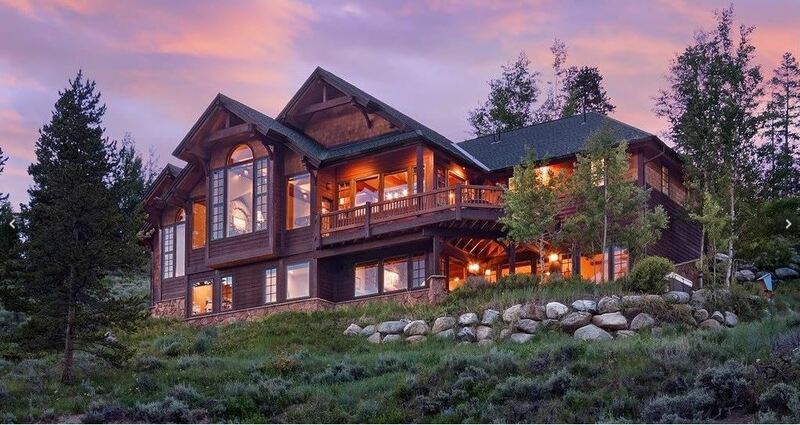 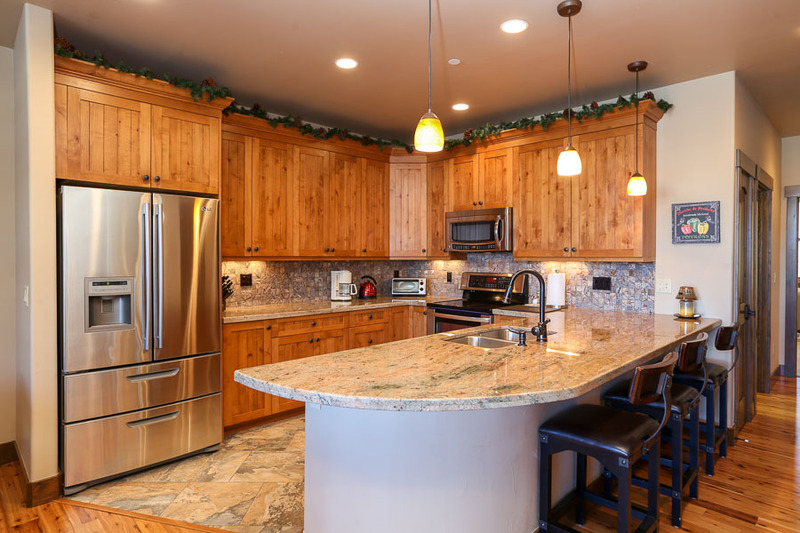 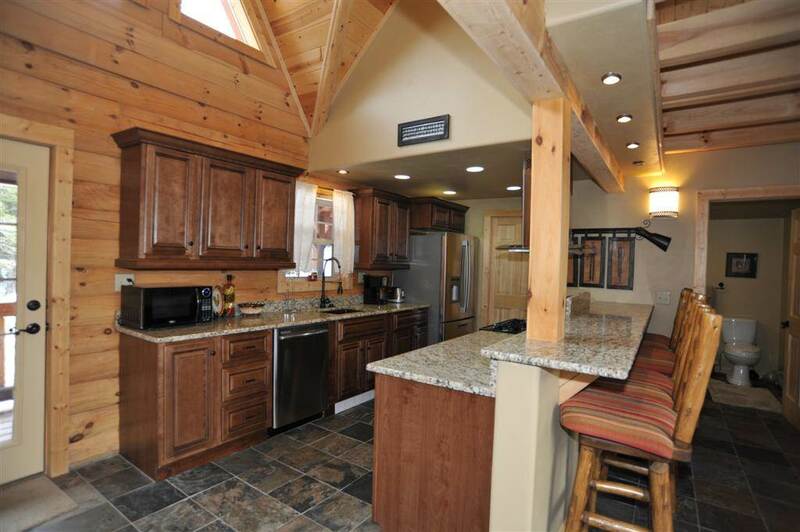 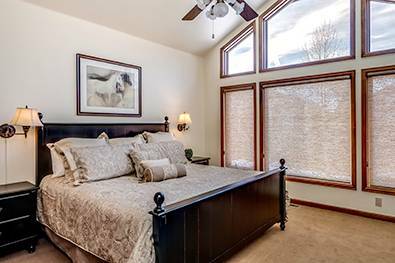 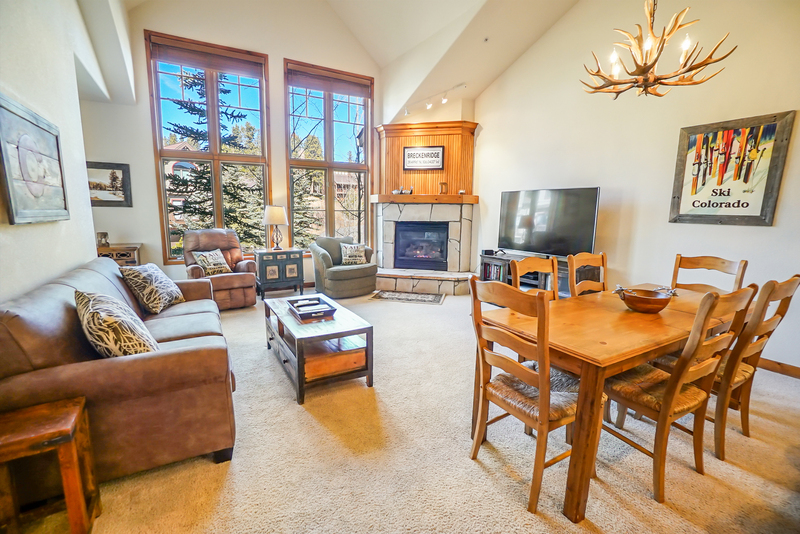 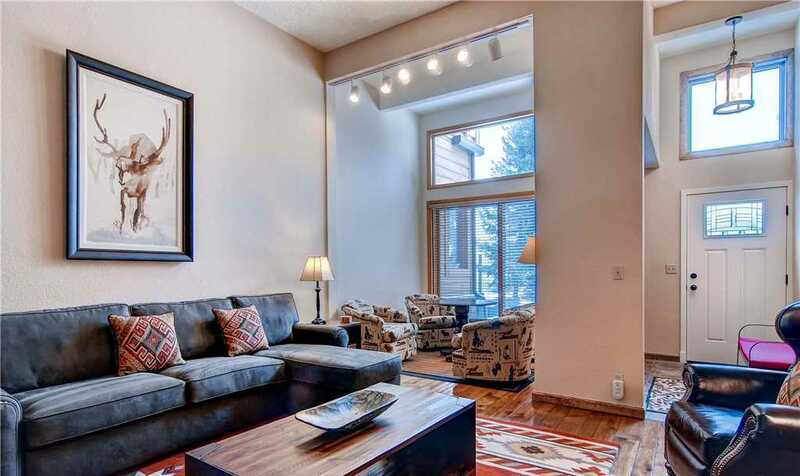 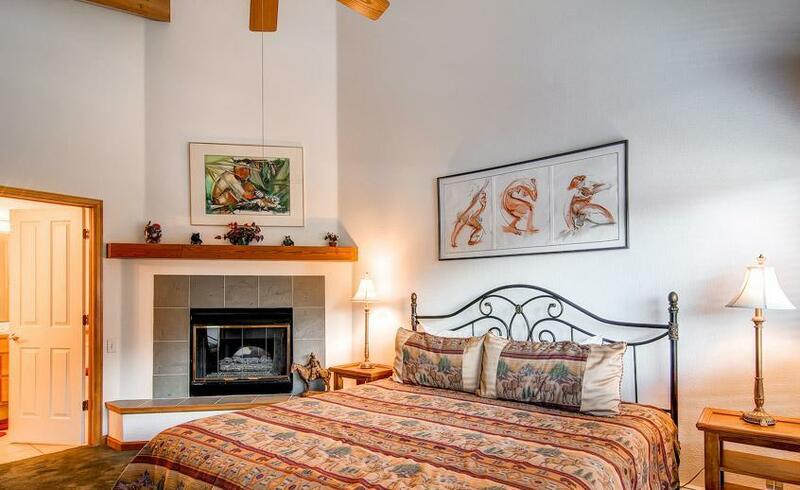 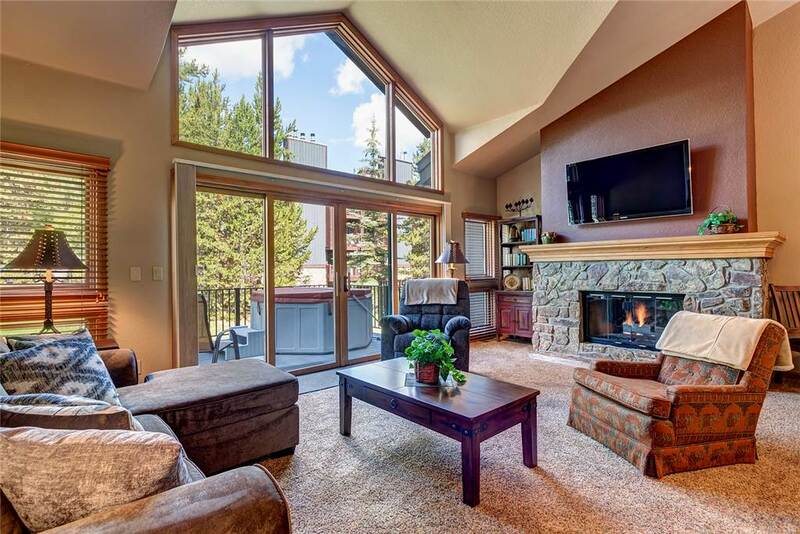 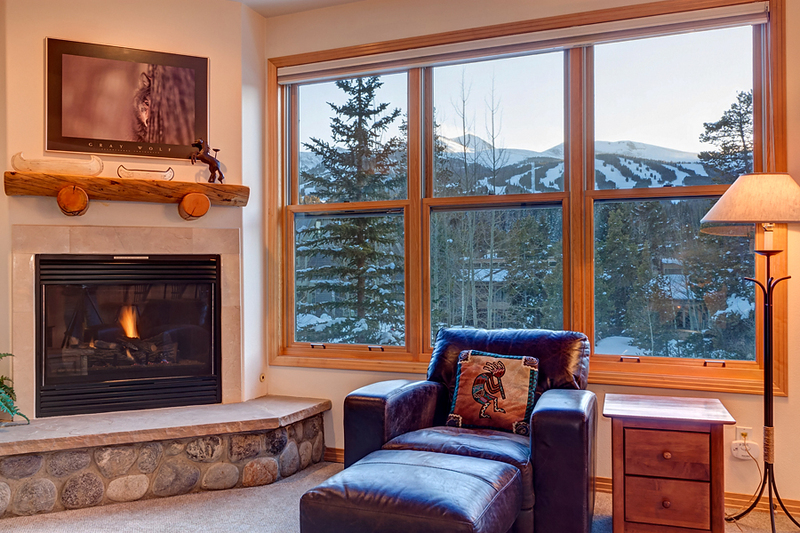 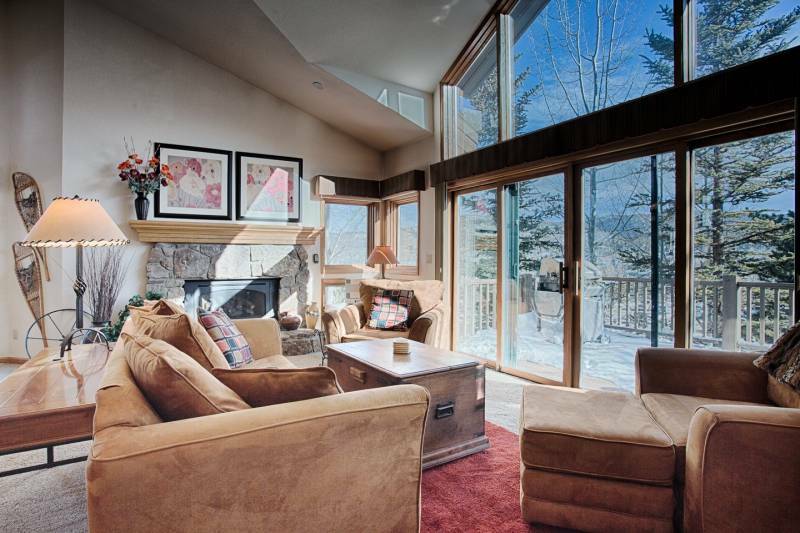 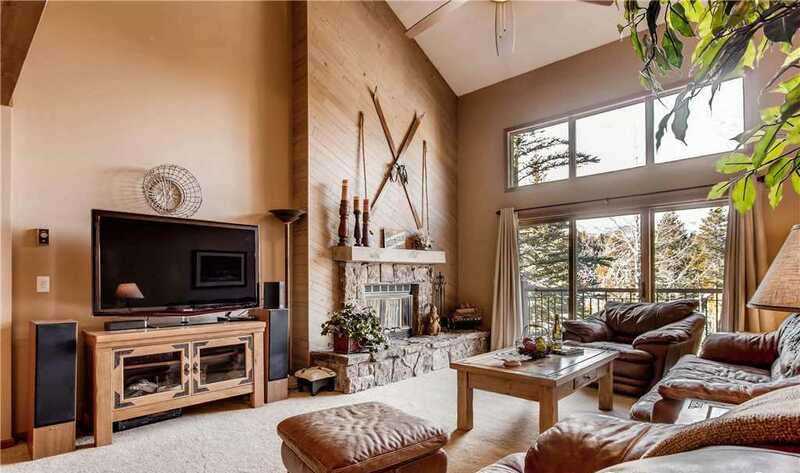 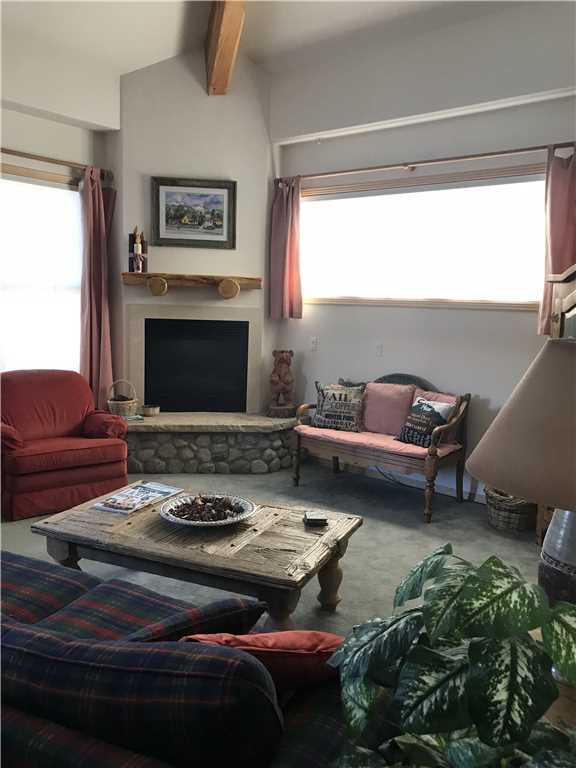 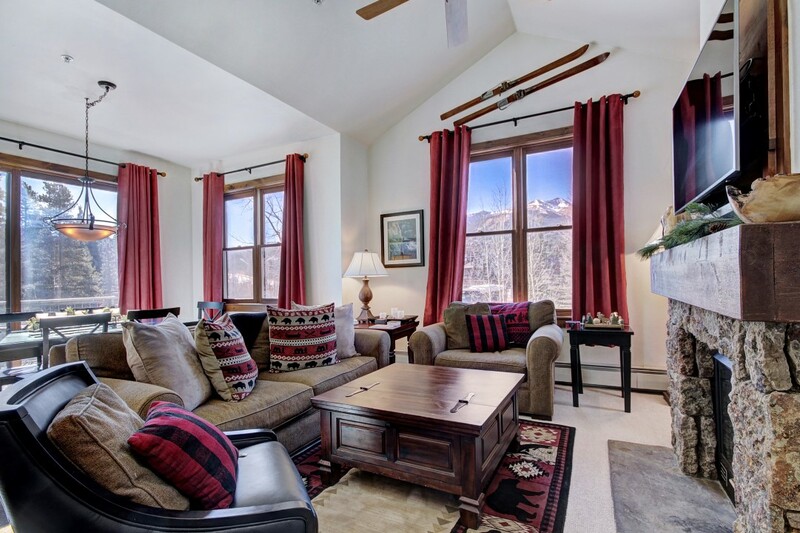 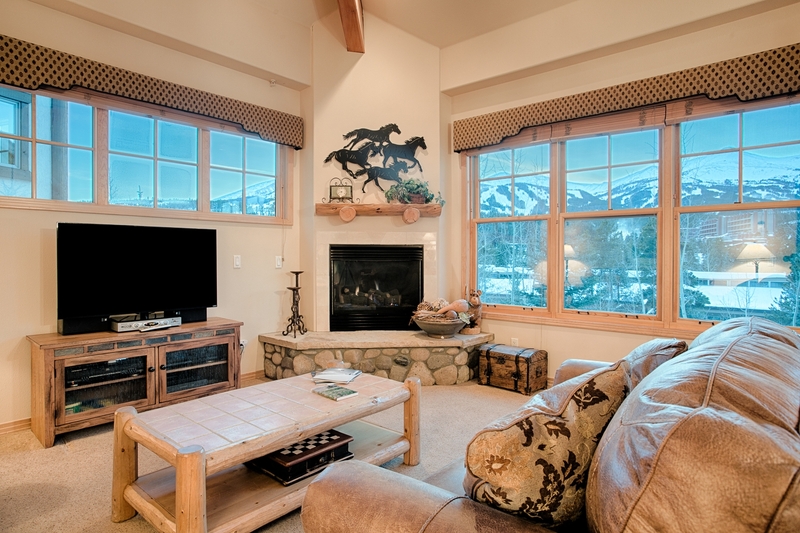 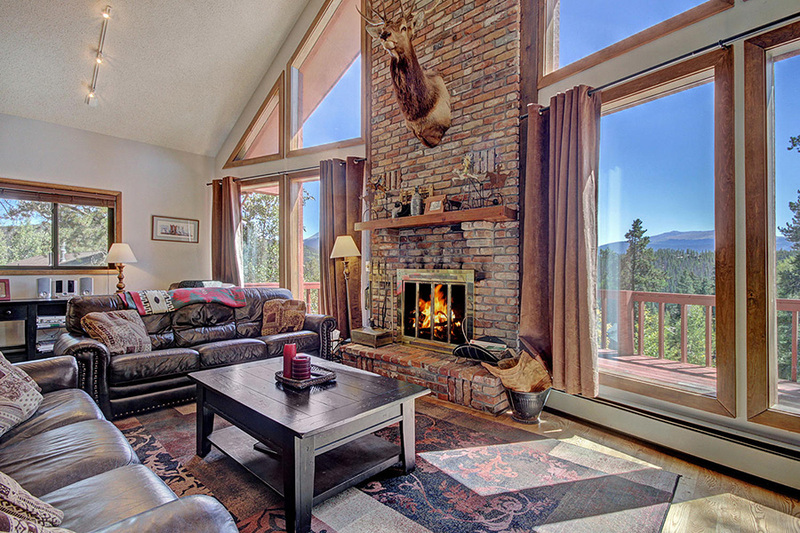 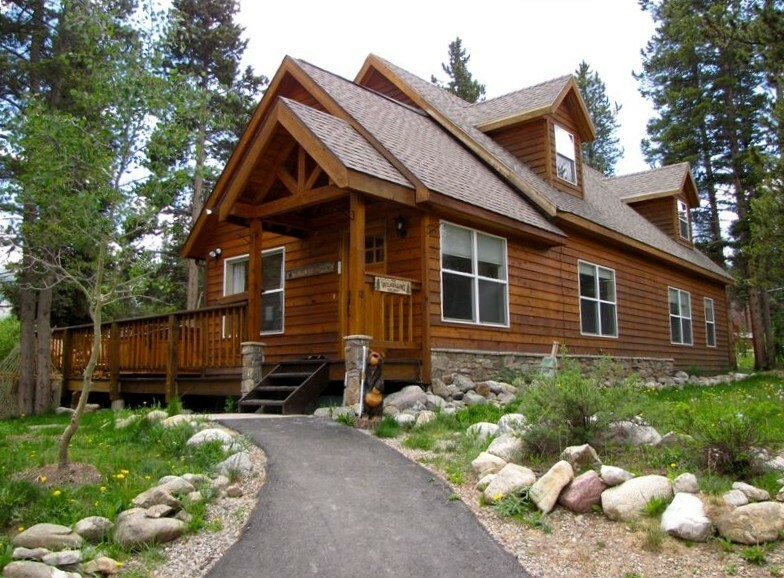 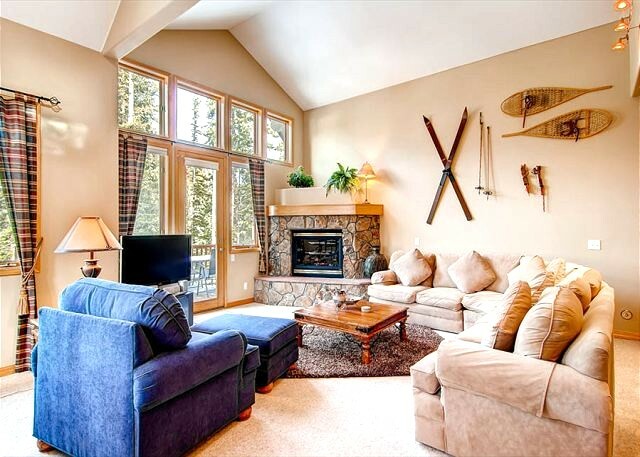 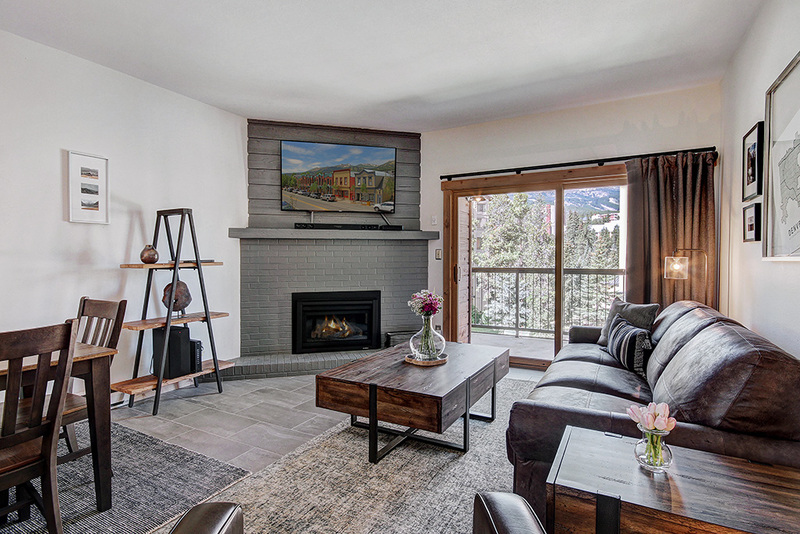 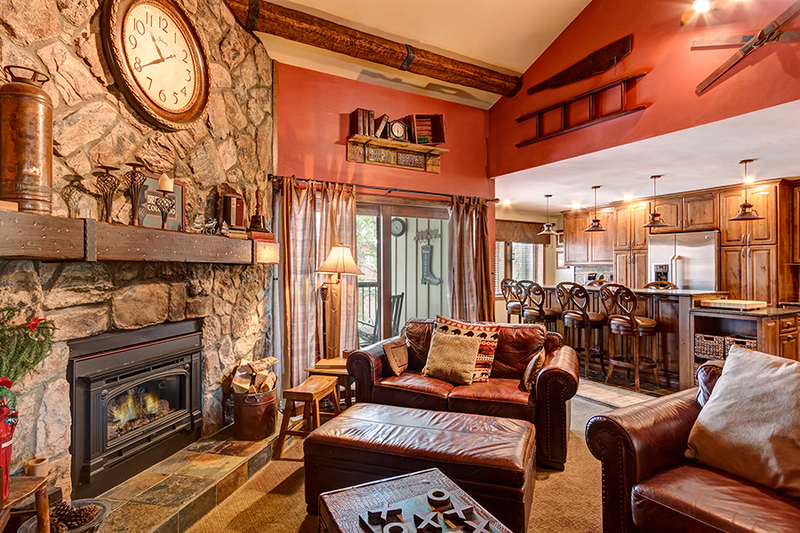 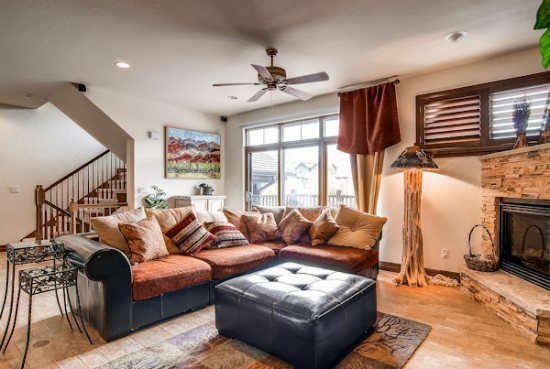 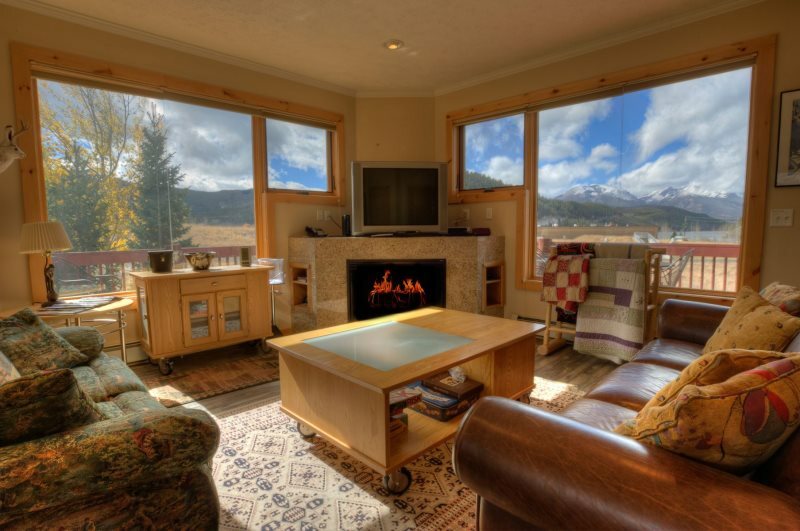 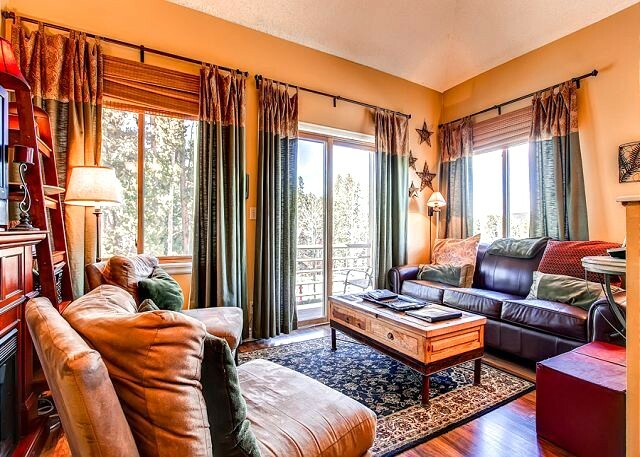 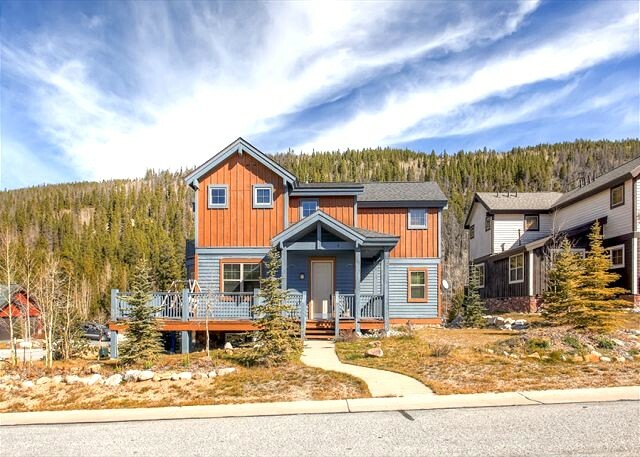 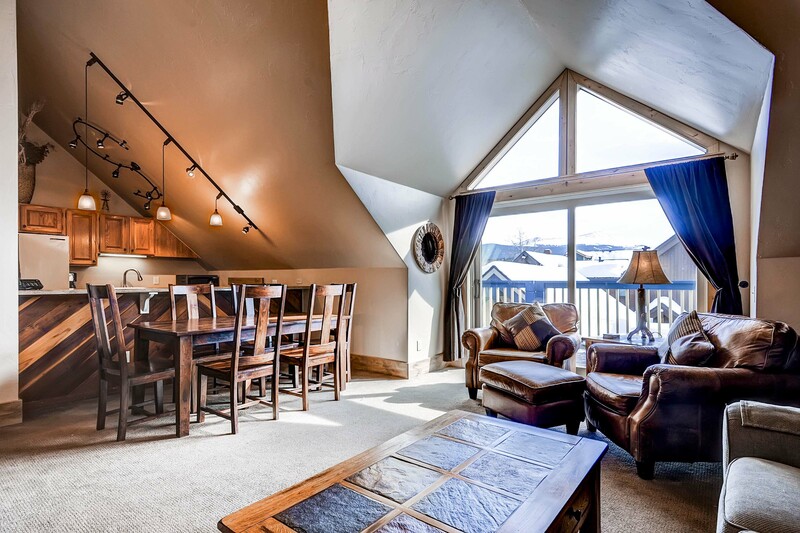 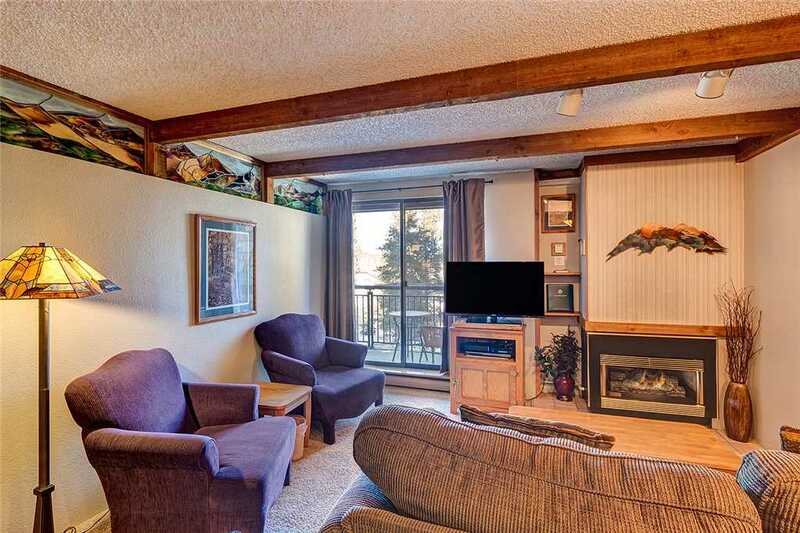 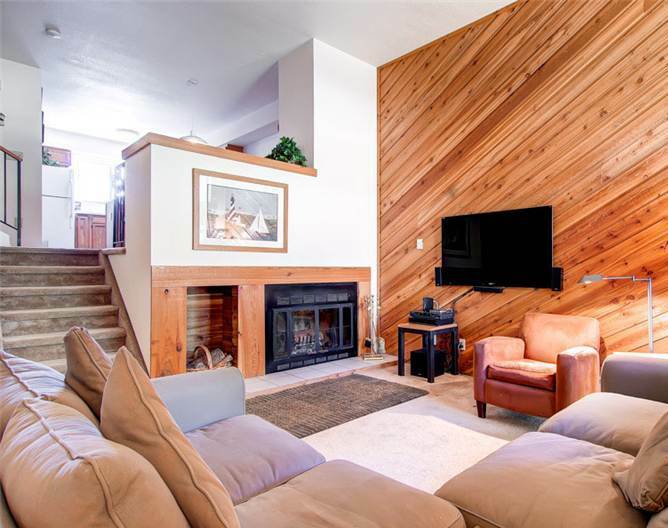 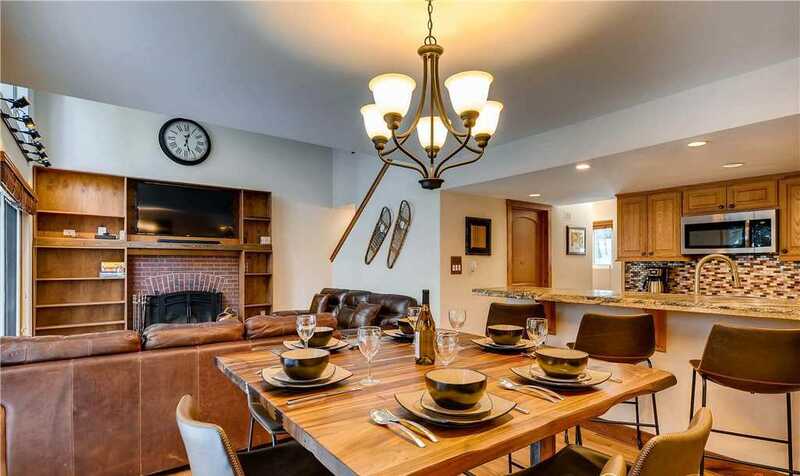 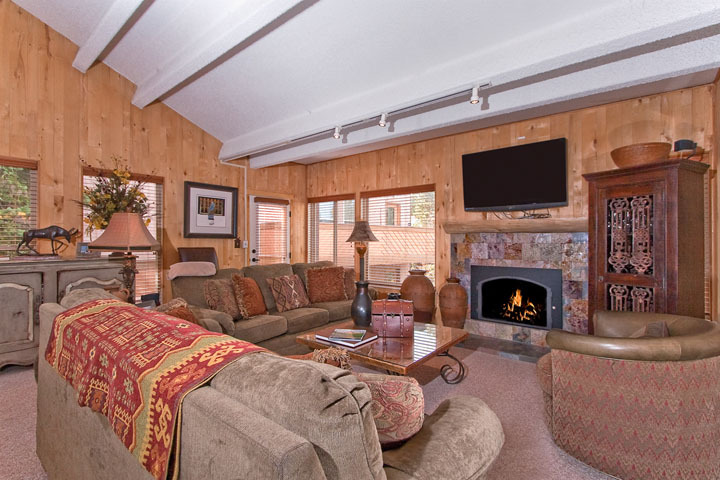 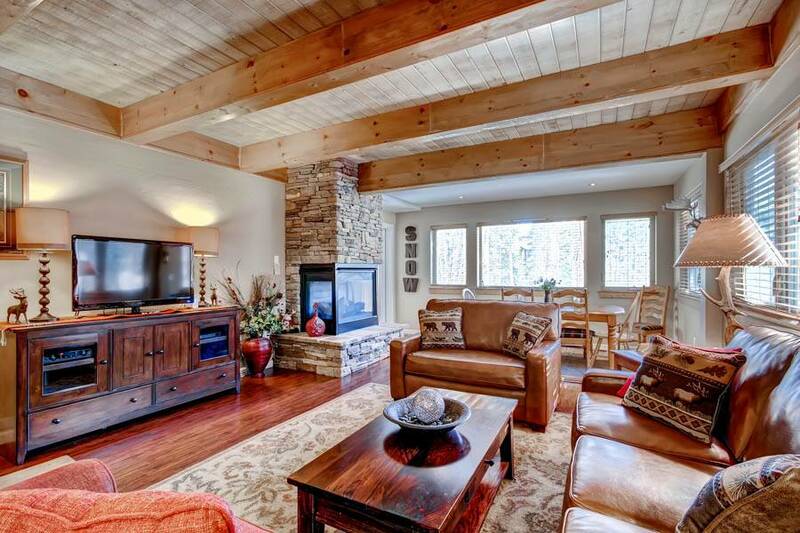 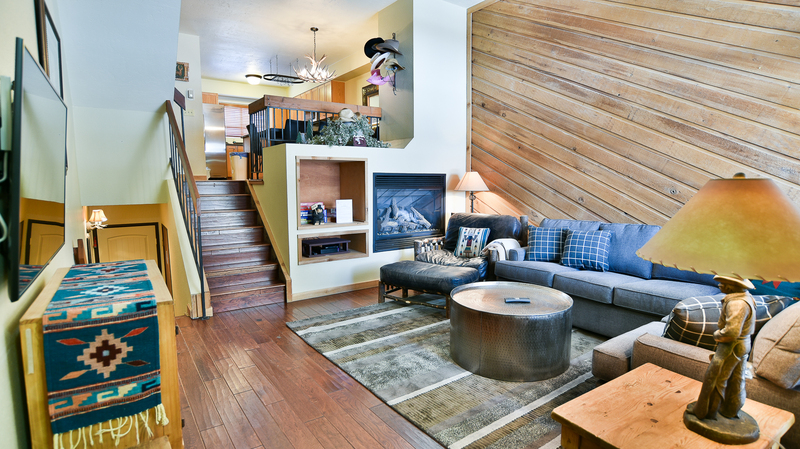 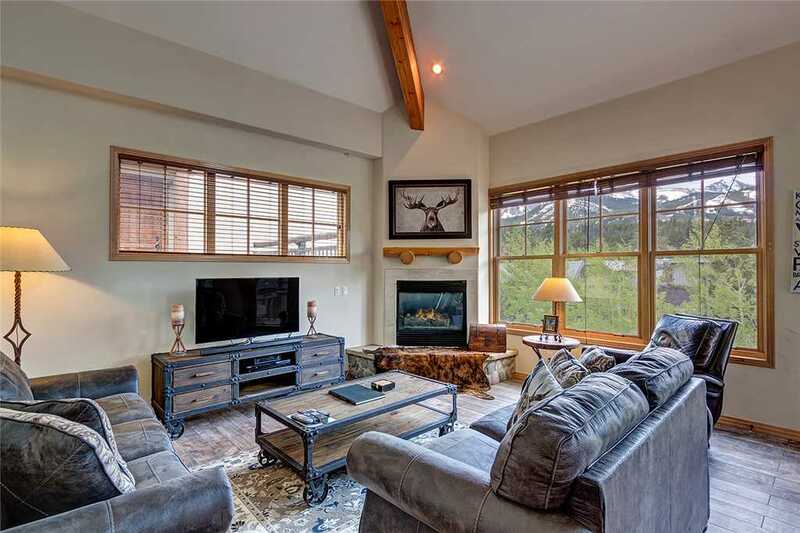 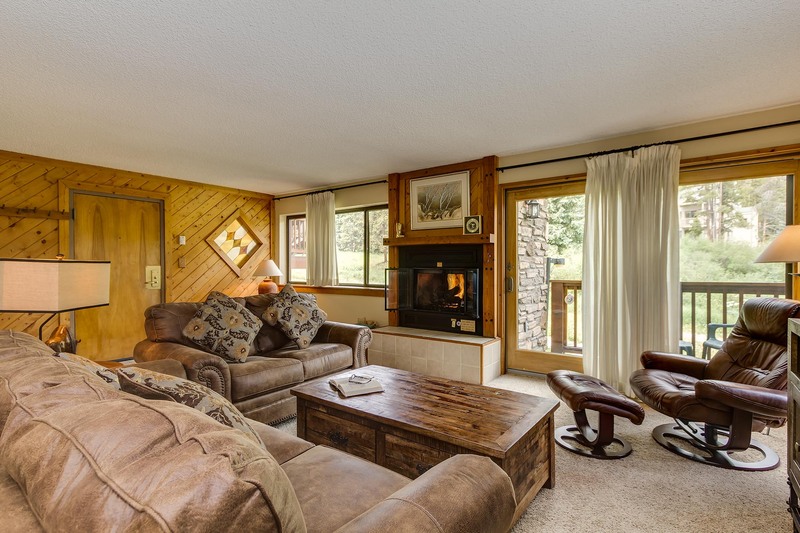 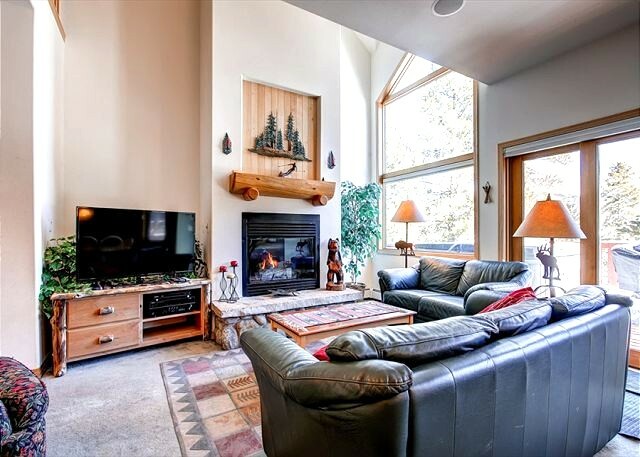 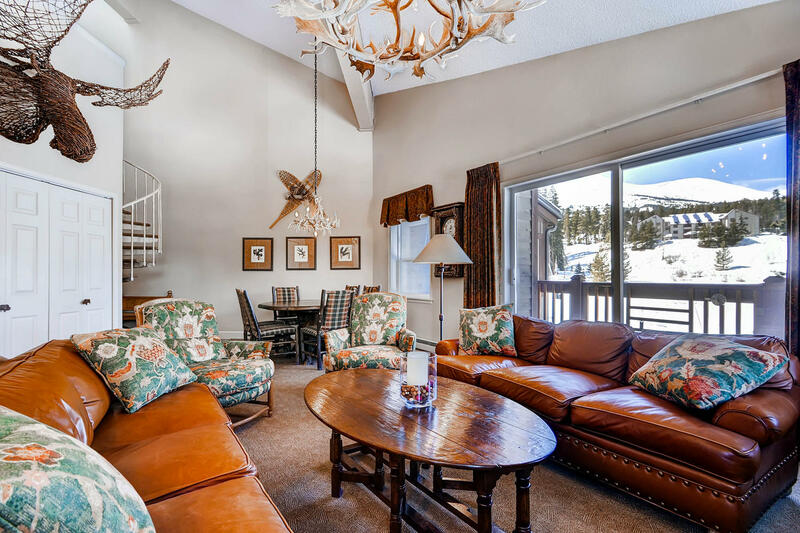 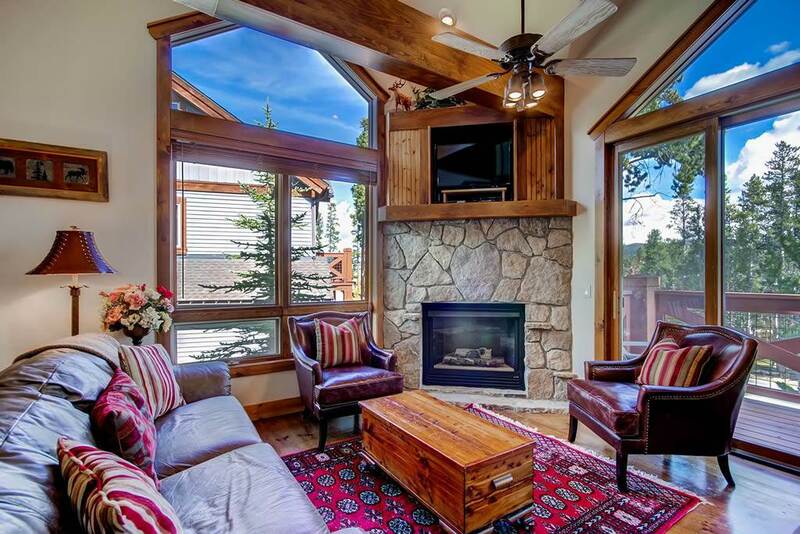 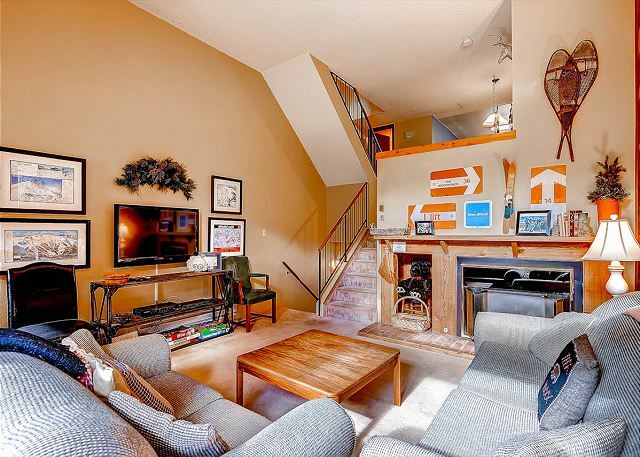 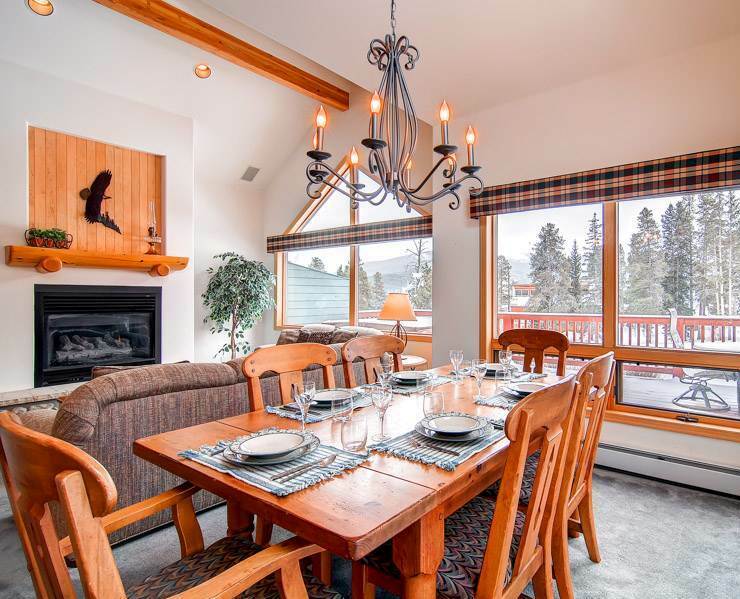 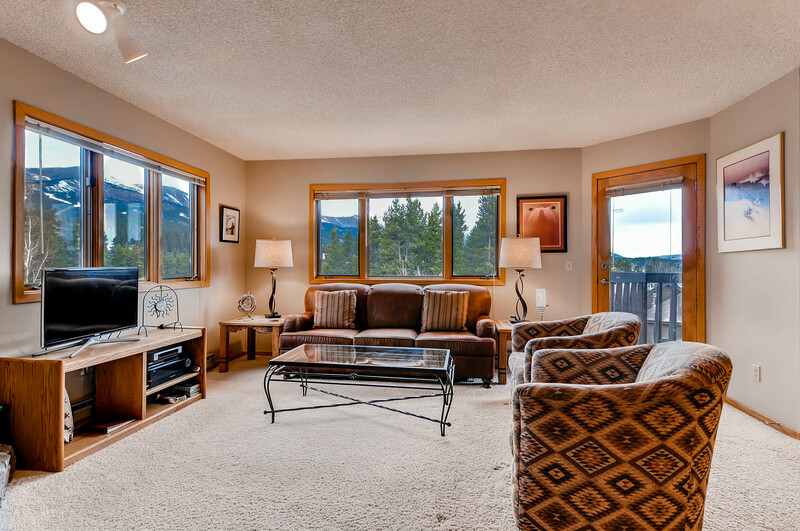 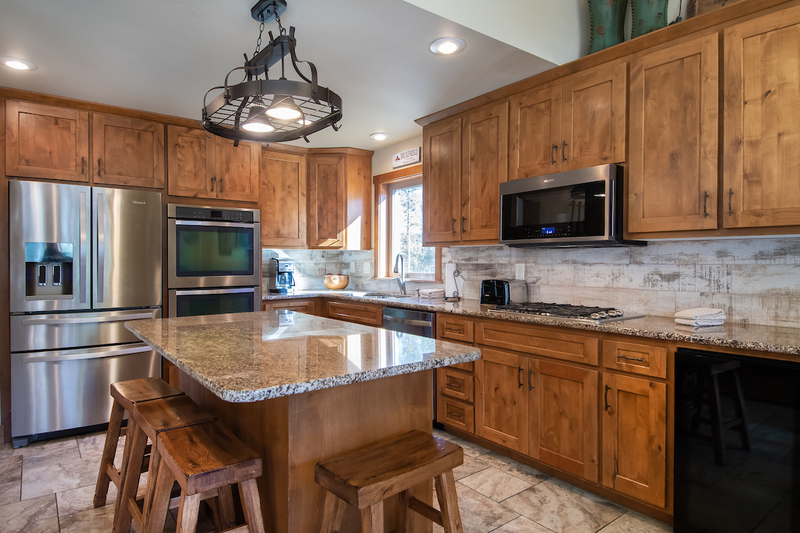 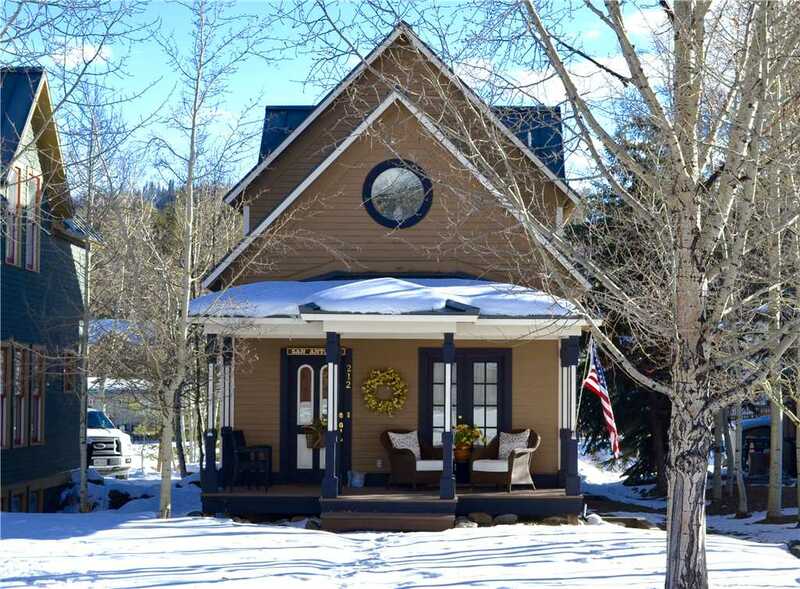 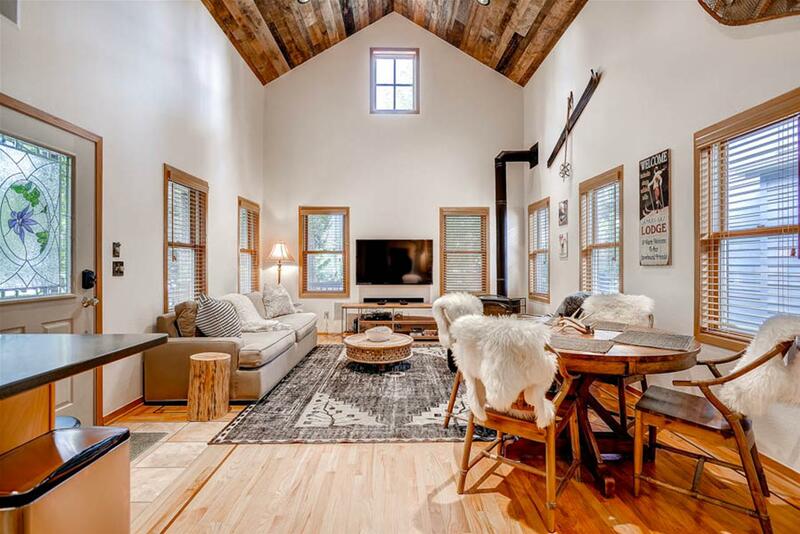 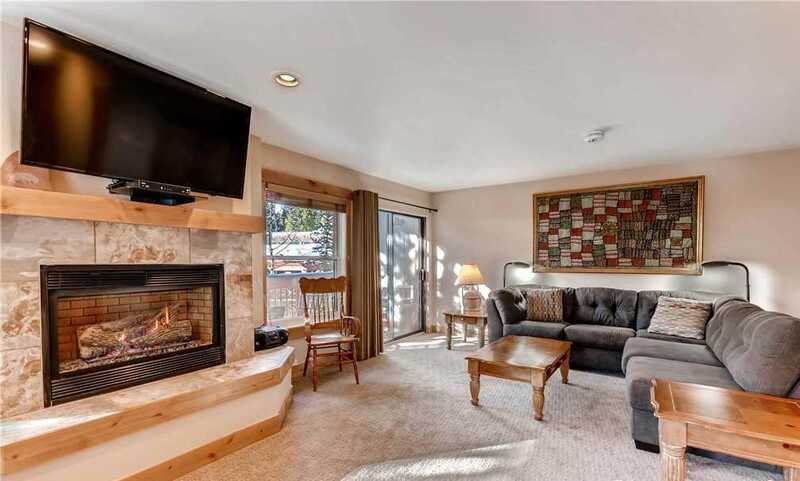 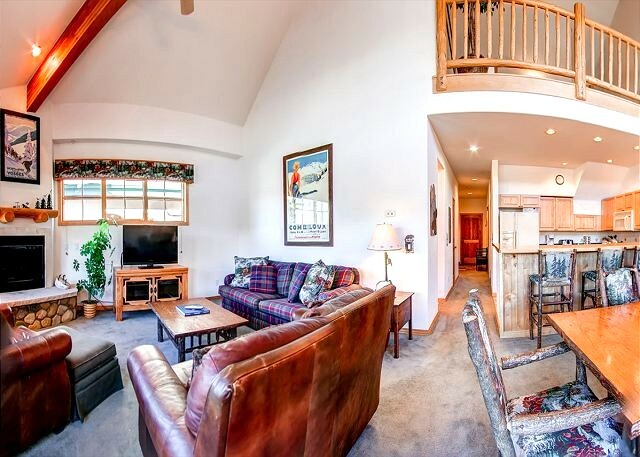 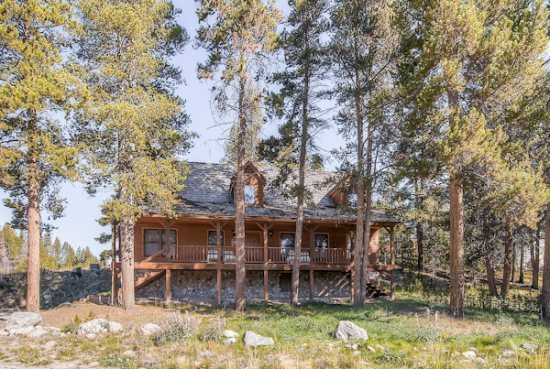 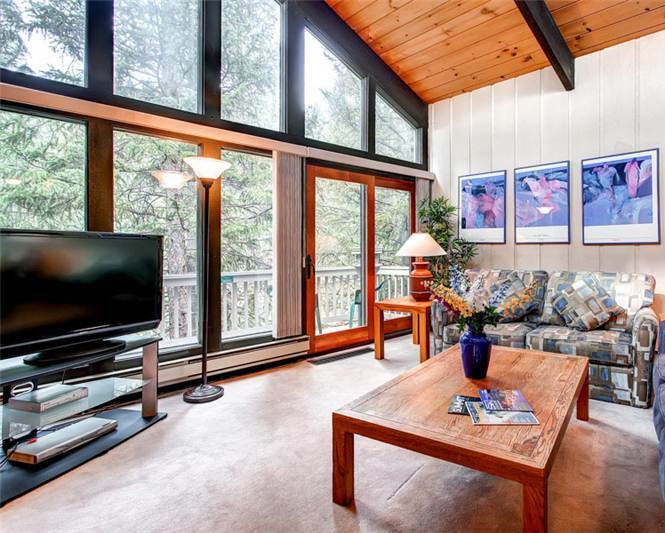 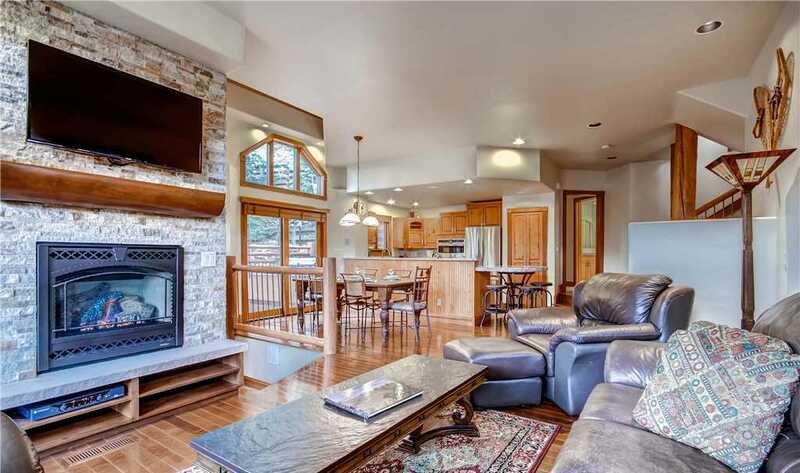 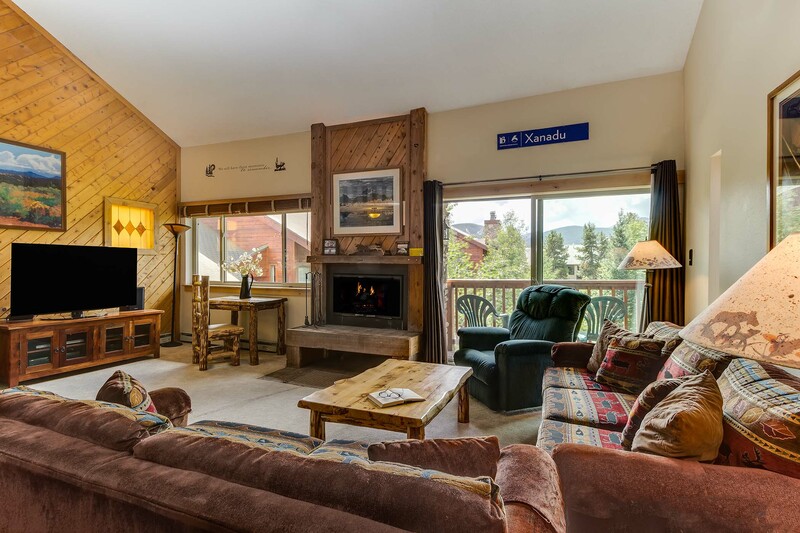 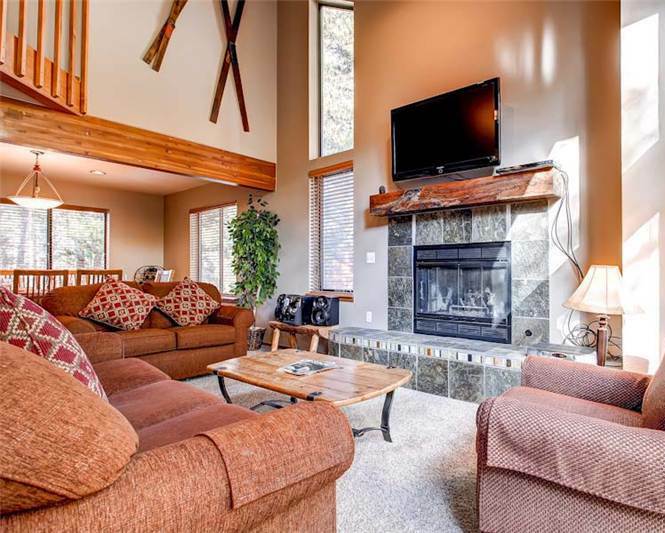 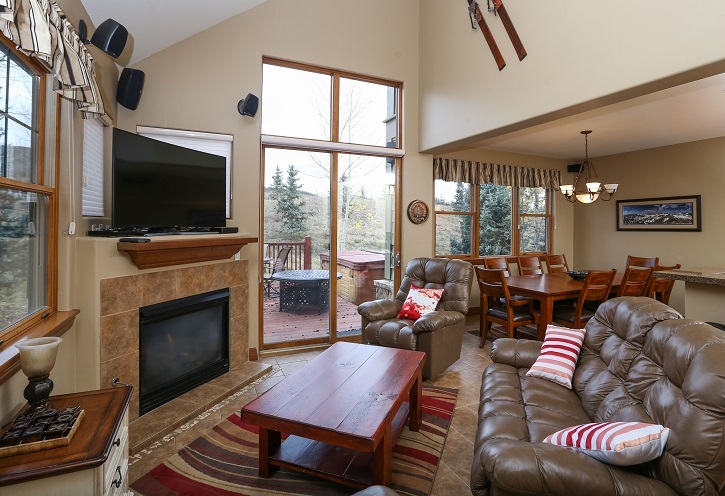 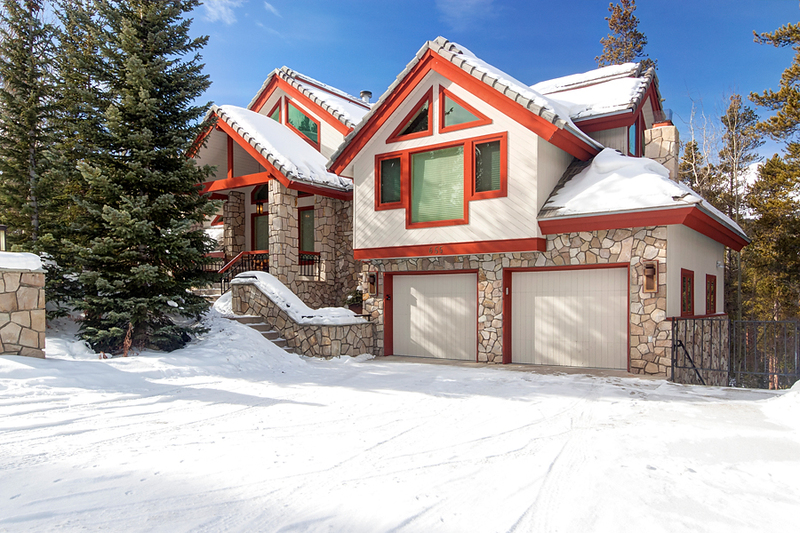 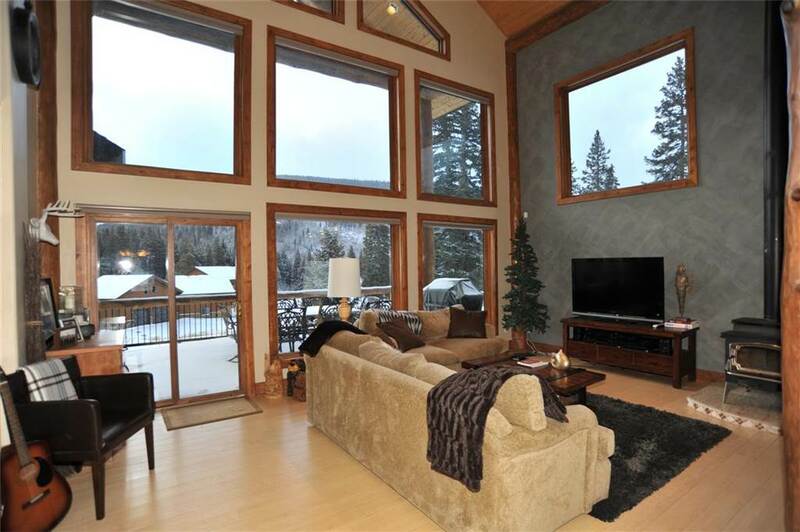 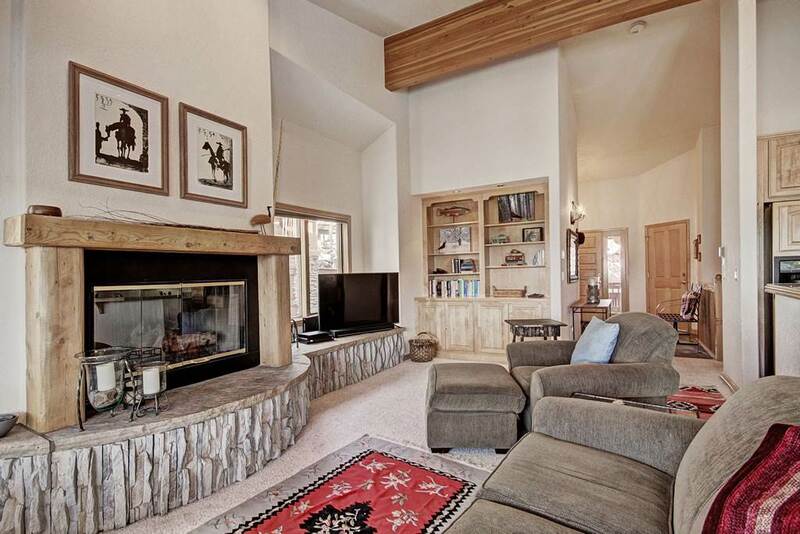 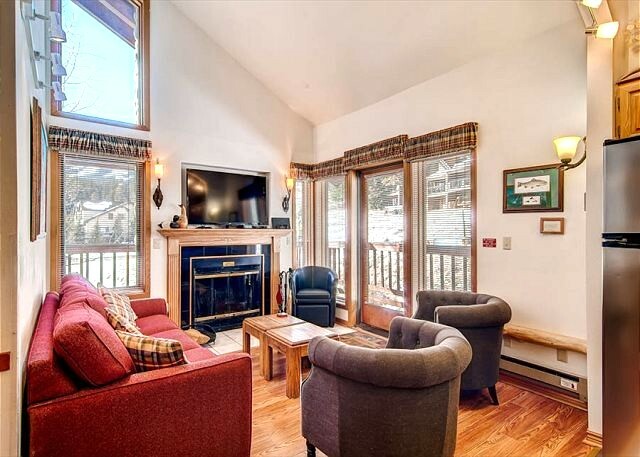 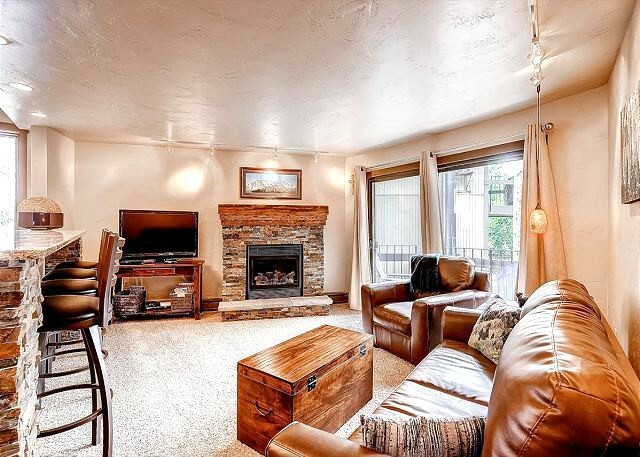 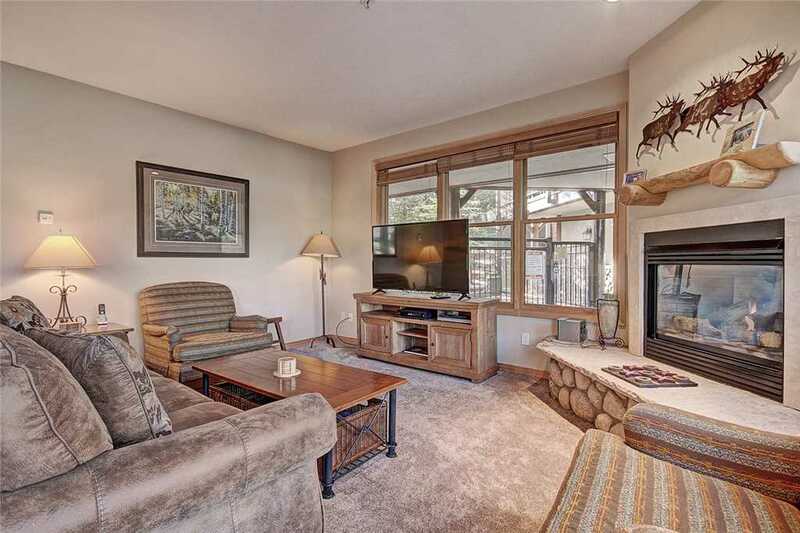 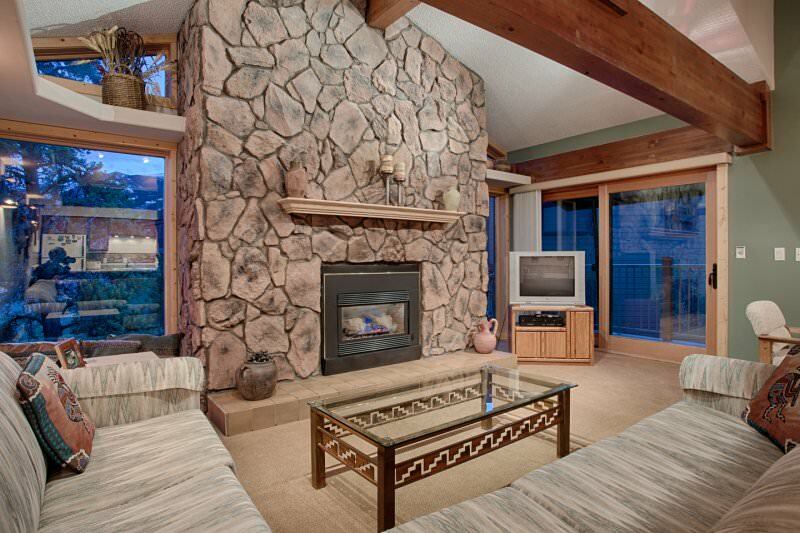 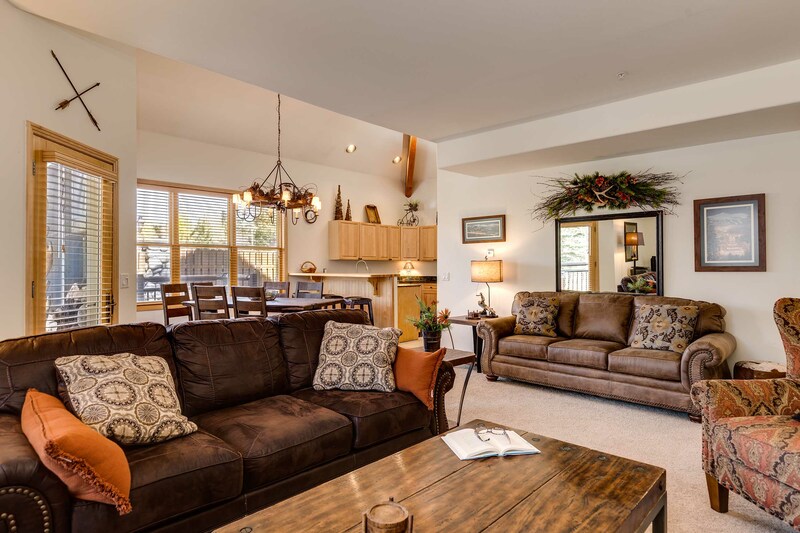 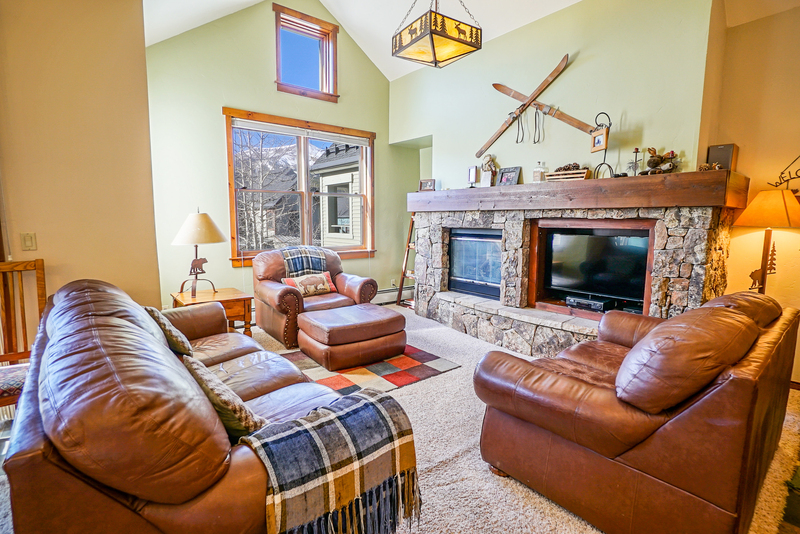 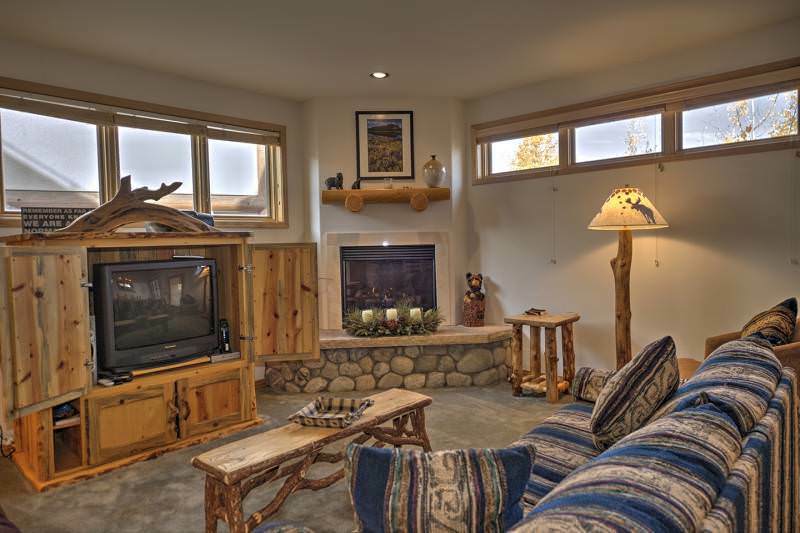 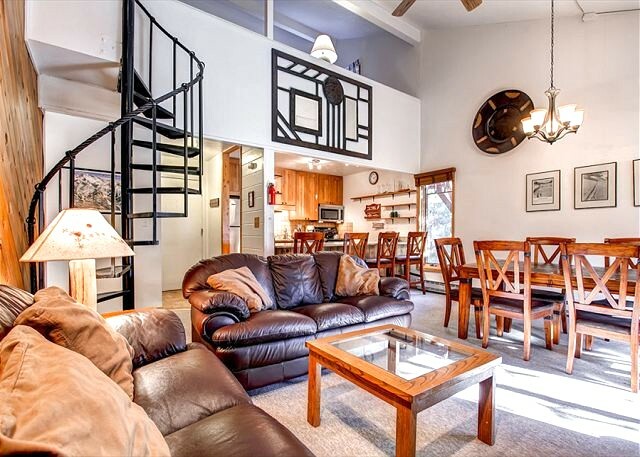 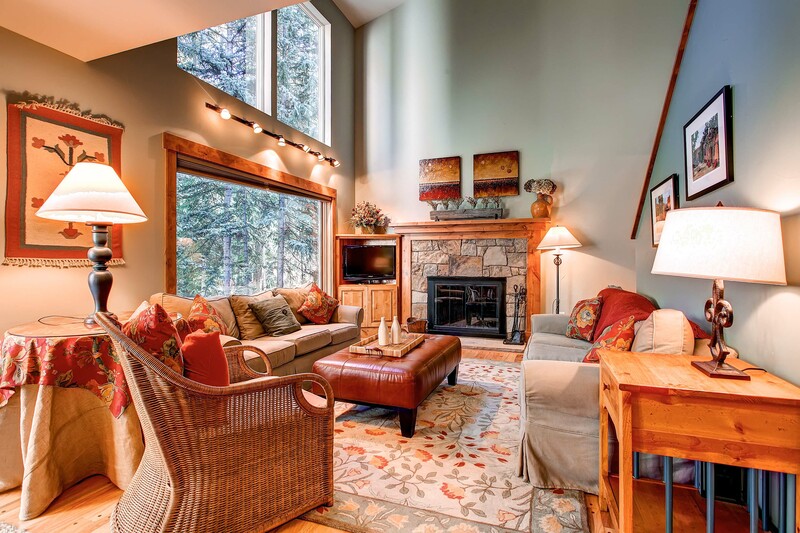 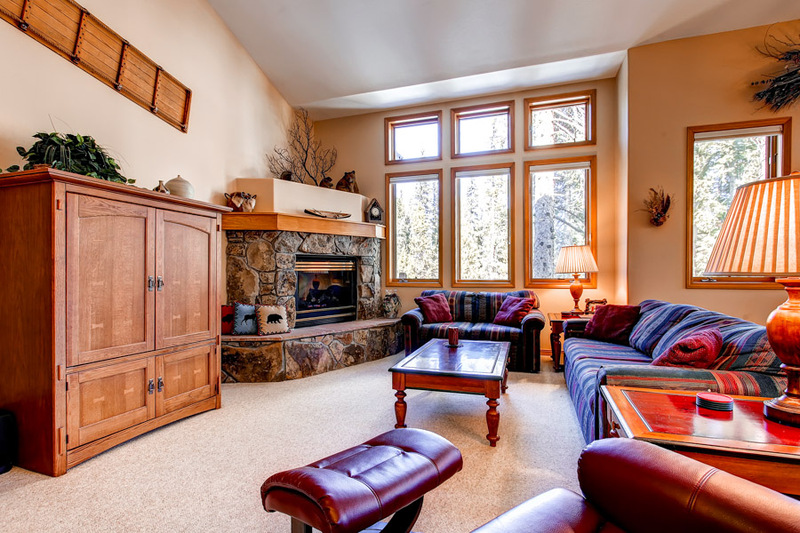 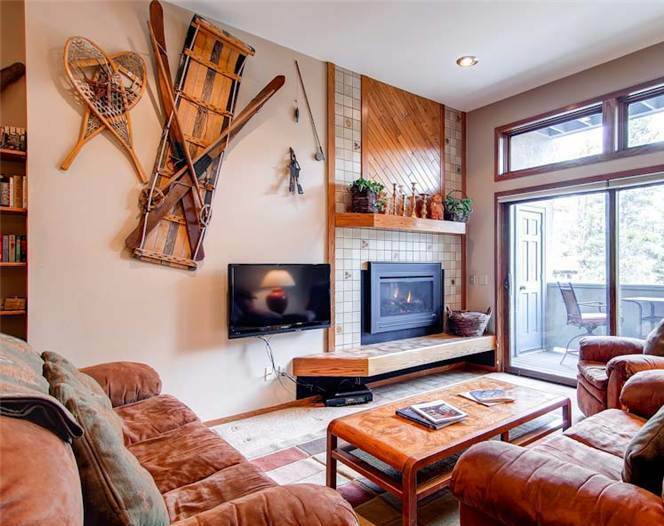 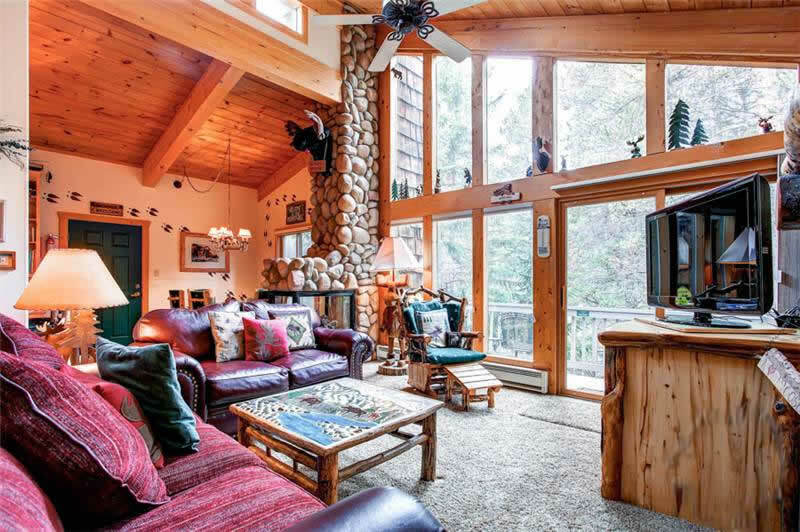 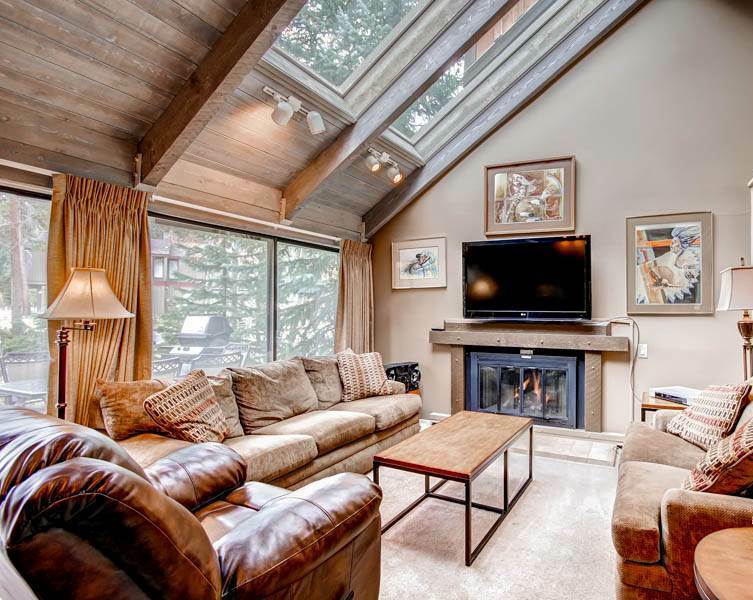 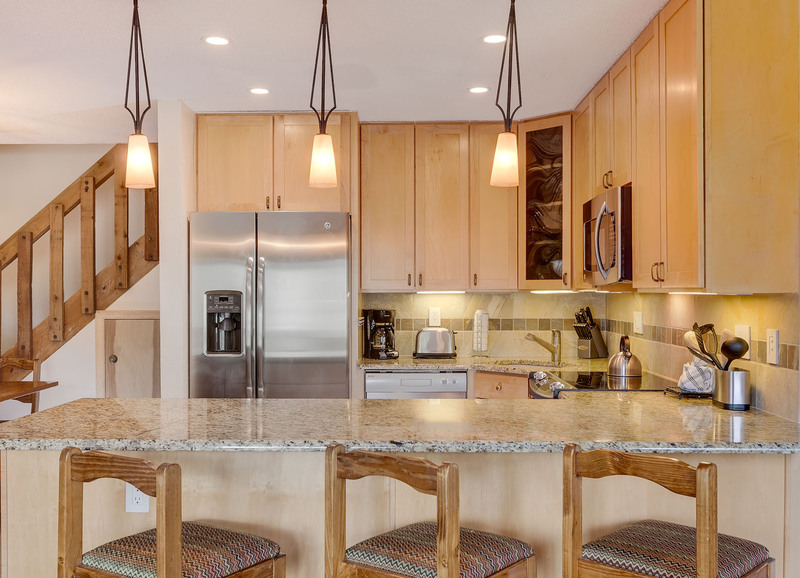 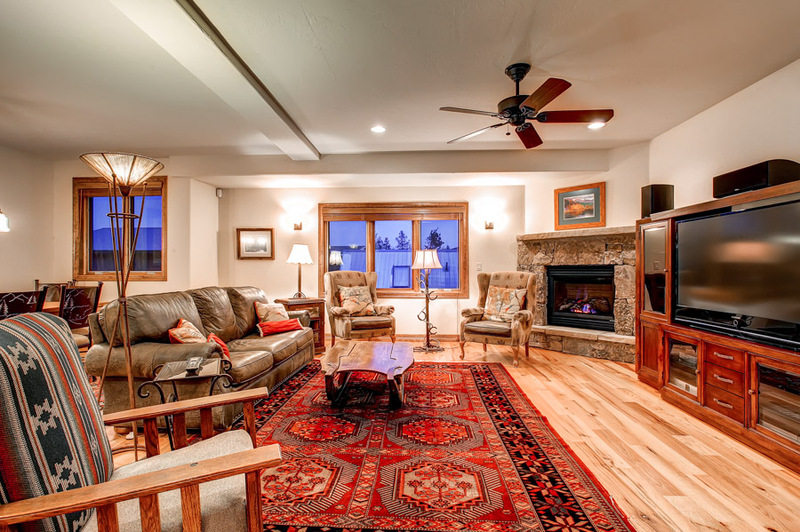 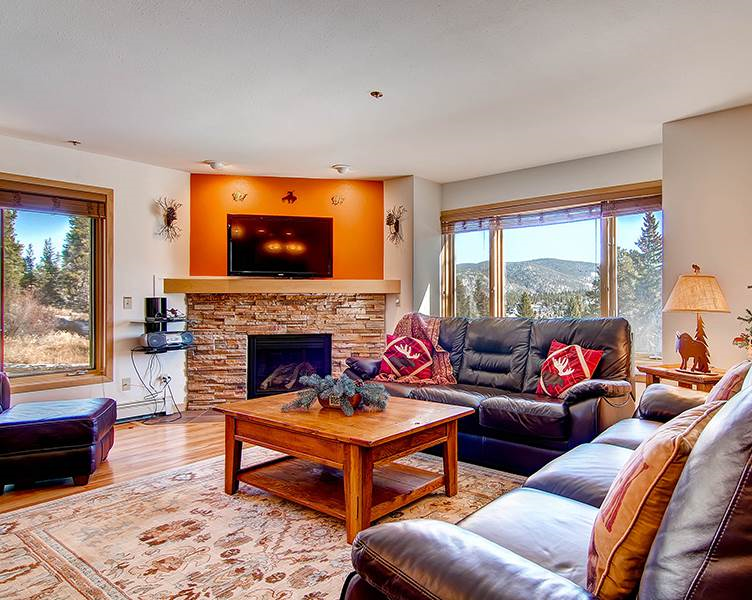 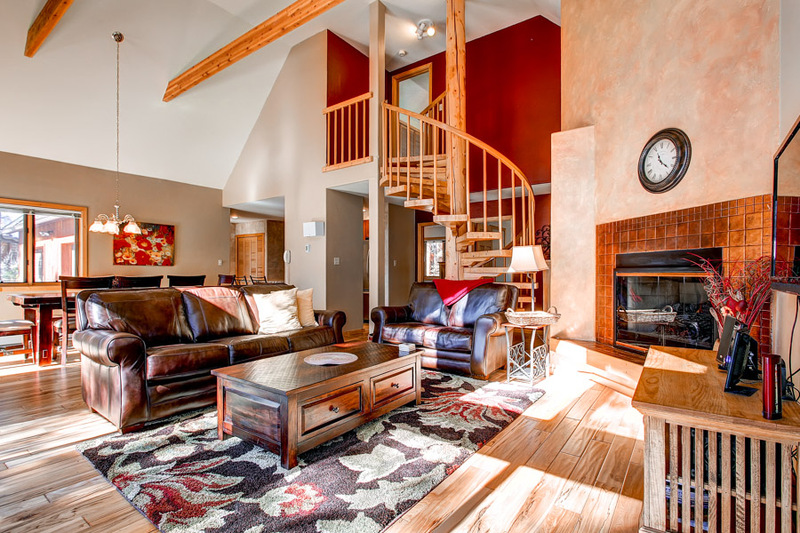 This three-bedroom plus loft log home is nestled in a quiet residential neighborhood of Peak 7 offering dramatic views of the peaks of Breckenridge. 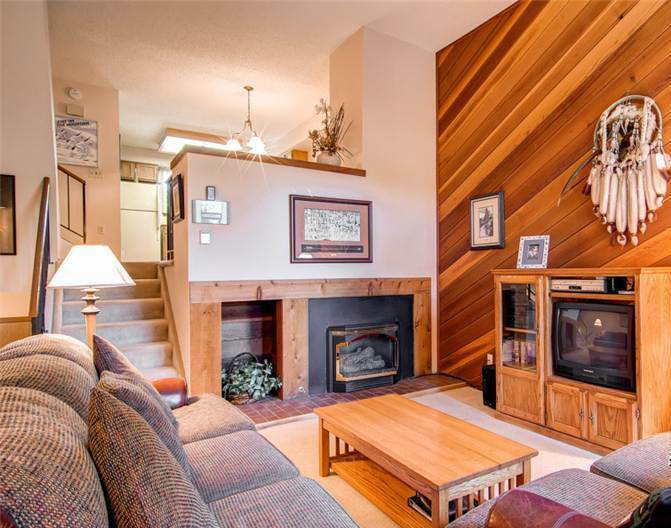 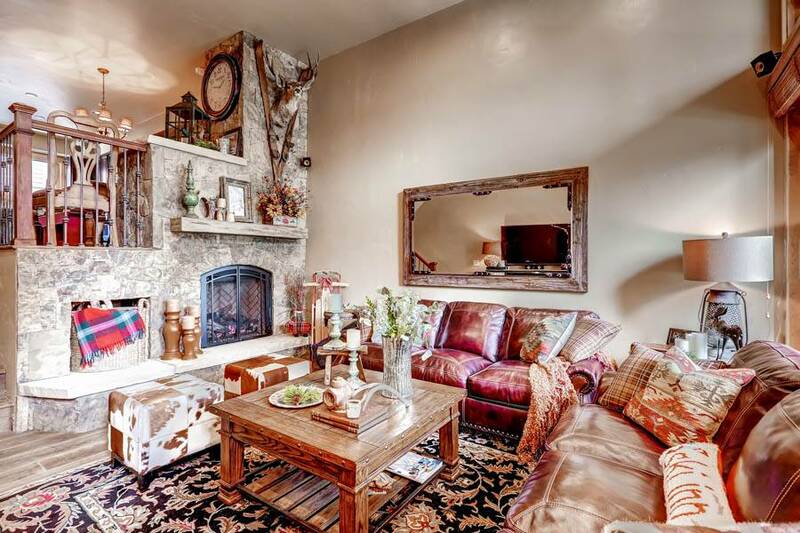 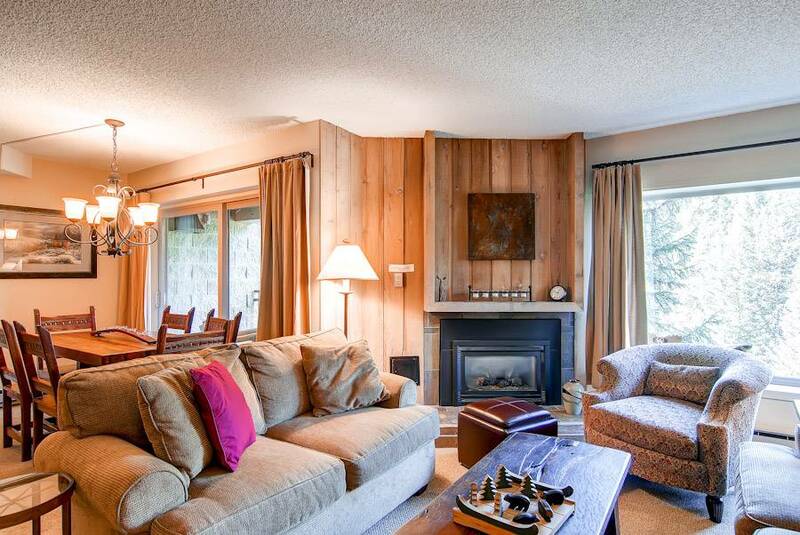 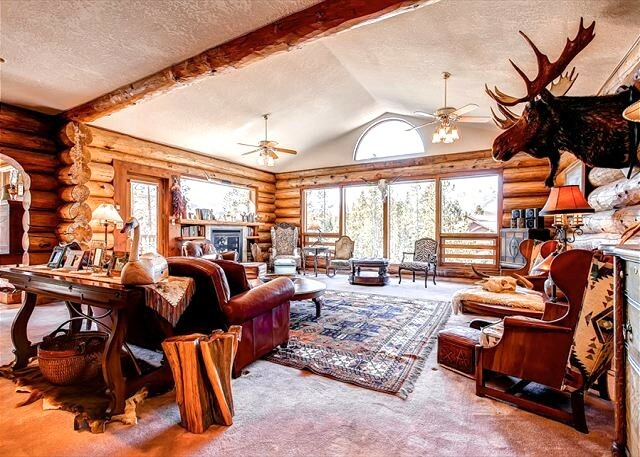 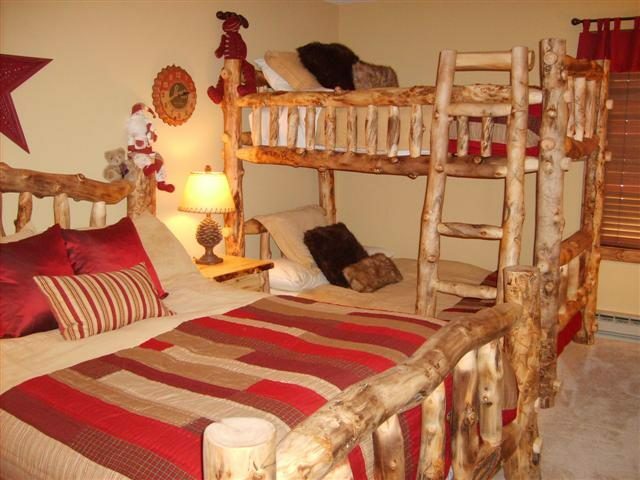 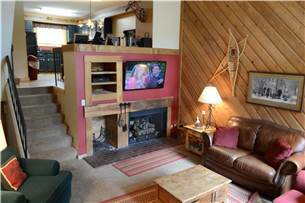 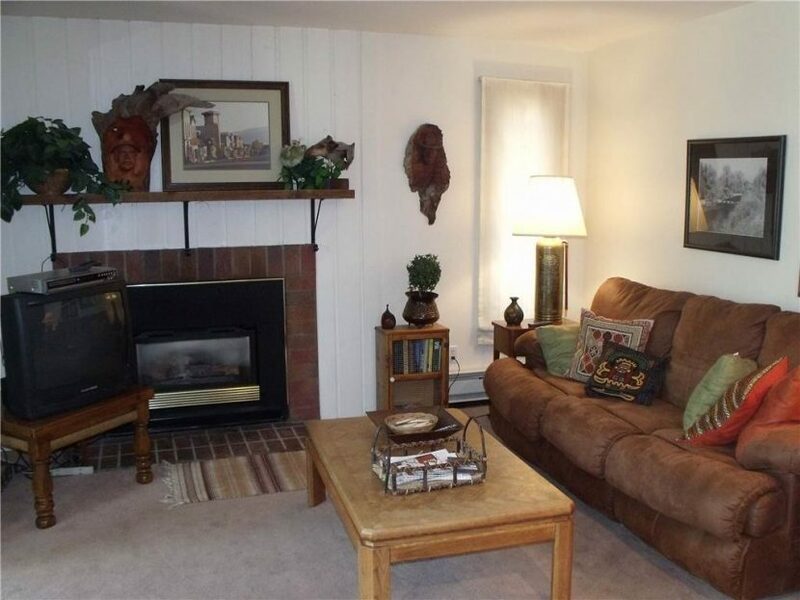 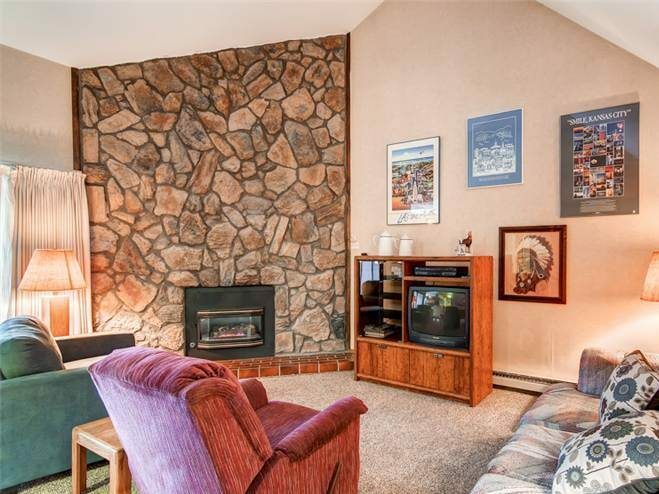 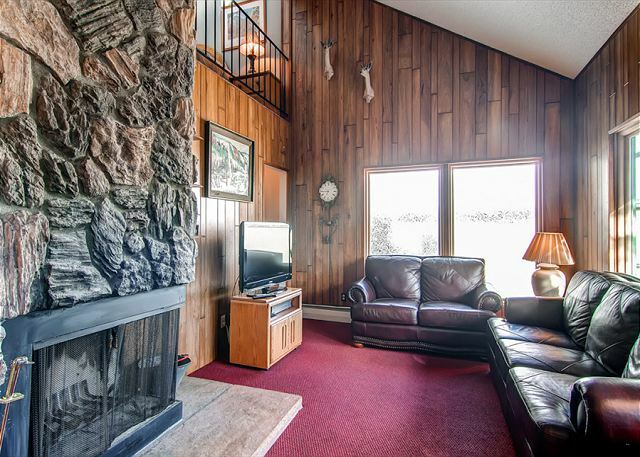 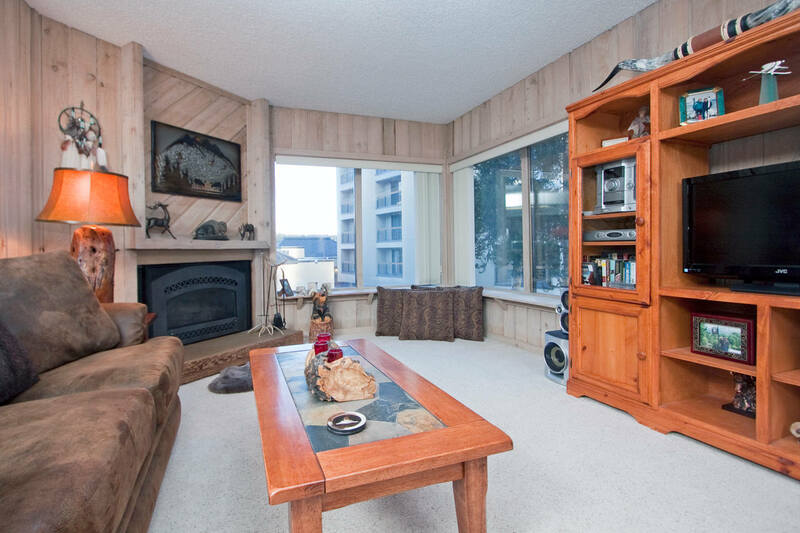 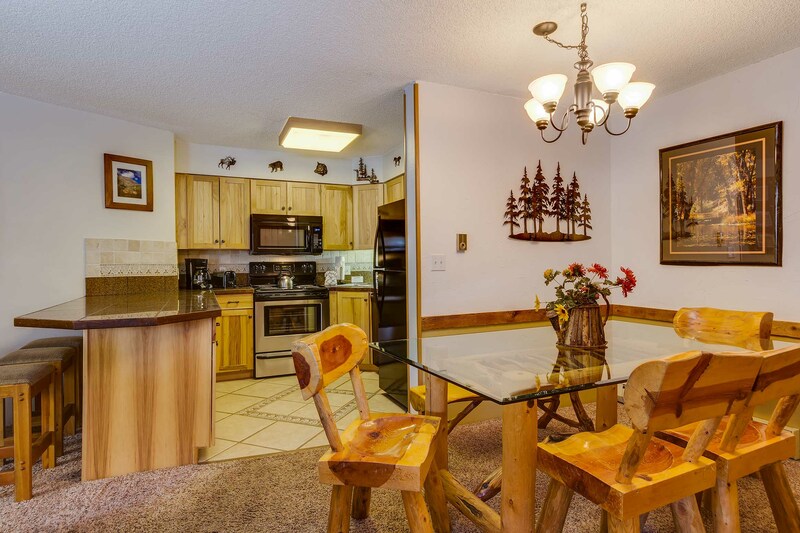 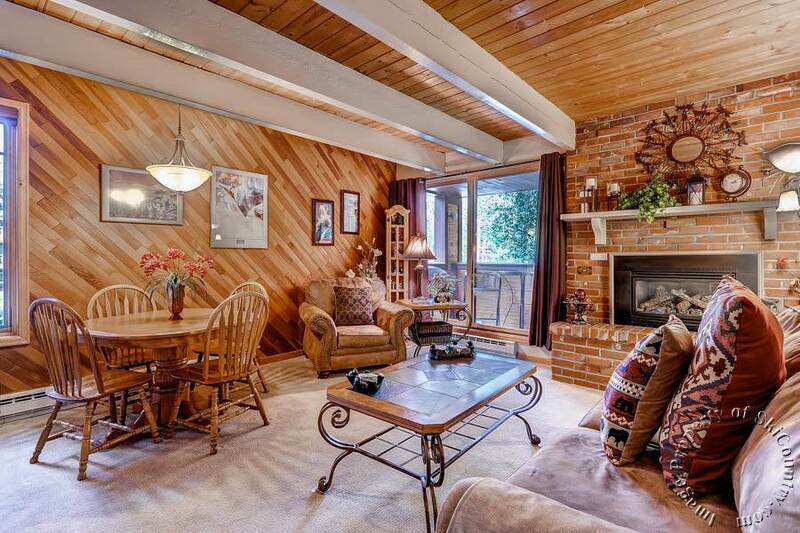 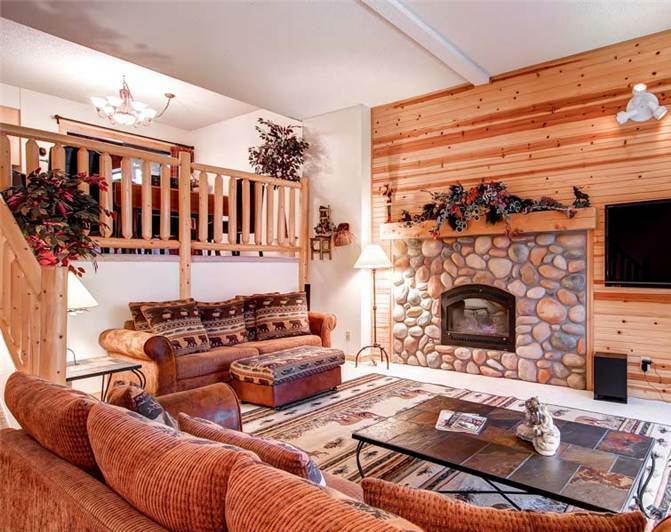 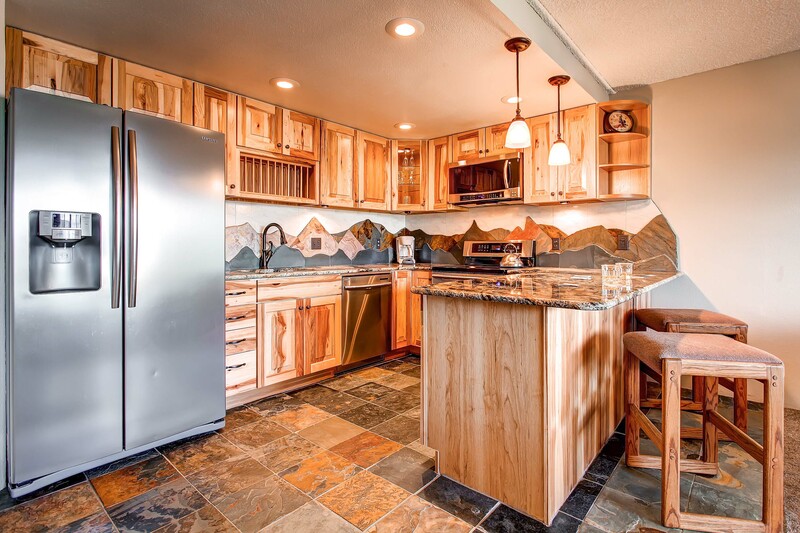 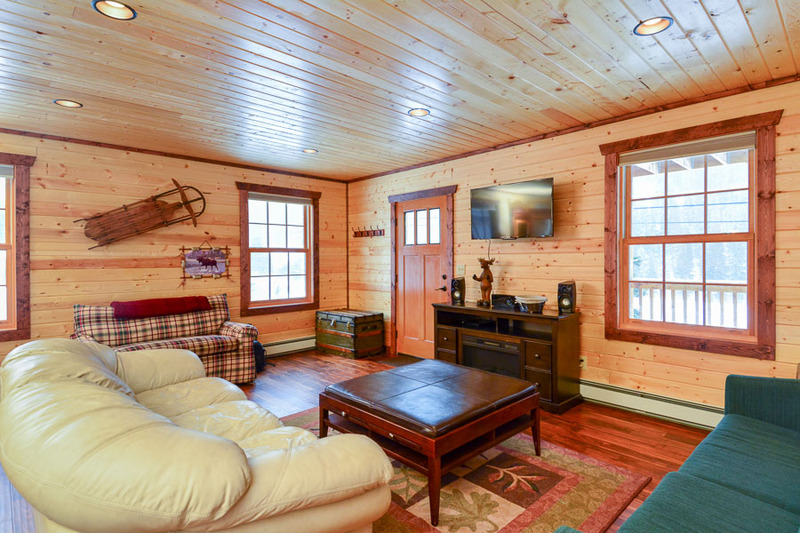 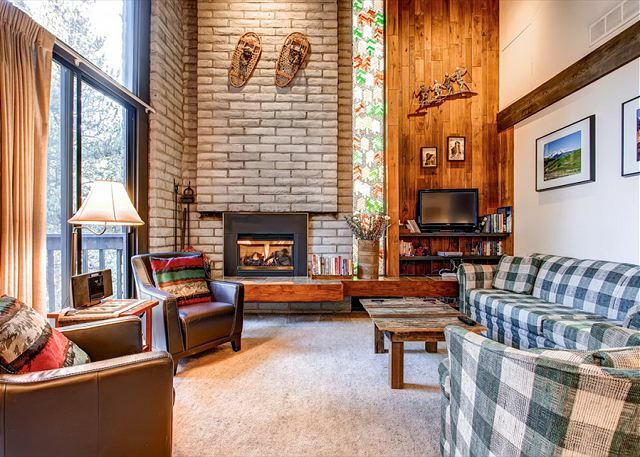 Guests will love the unique touches and charming log furniture found throughout the home that gives it that cozy log cabin feel. 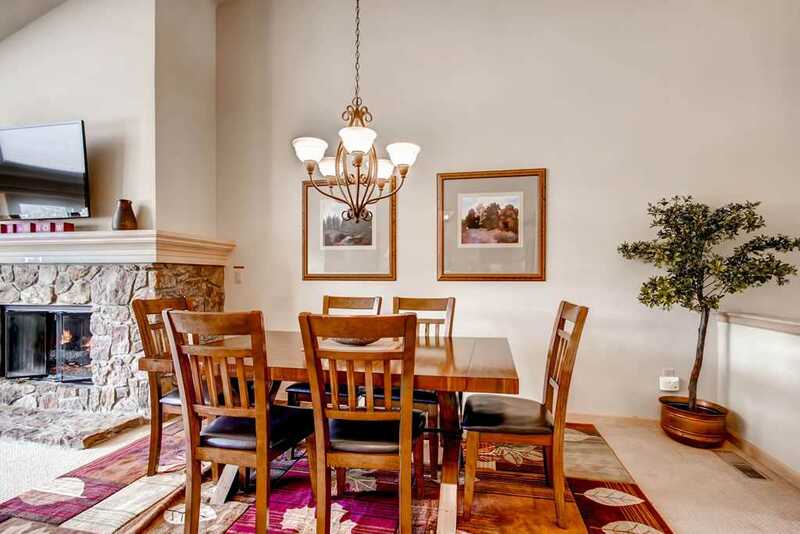 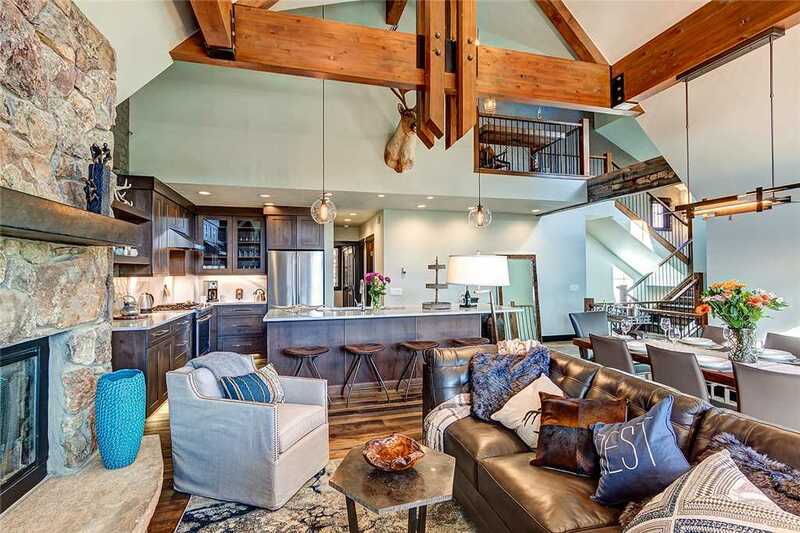 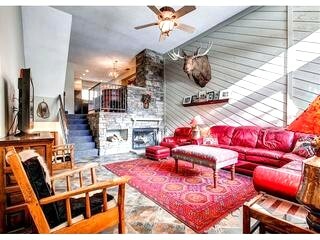 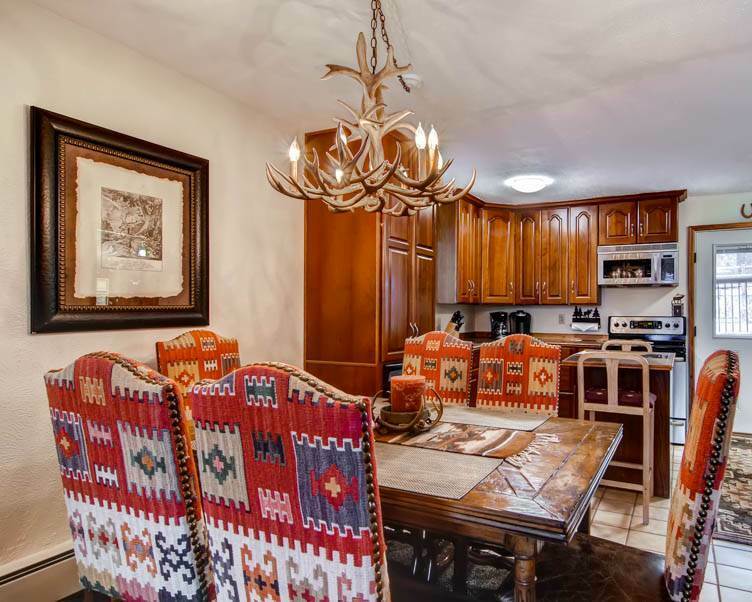 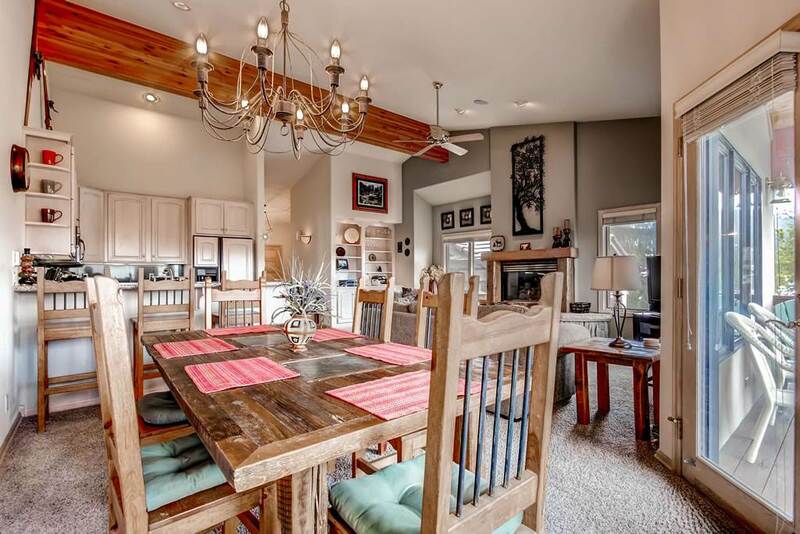 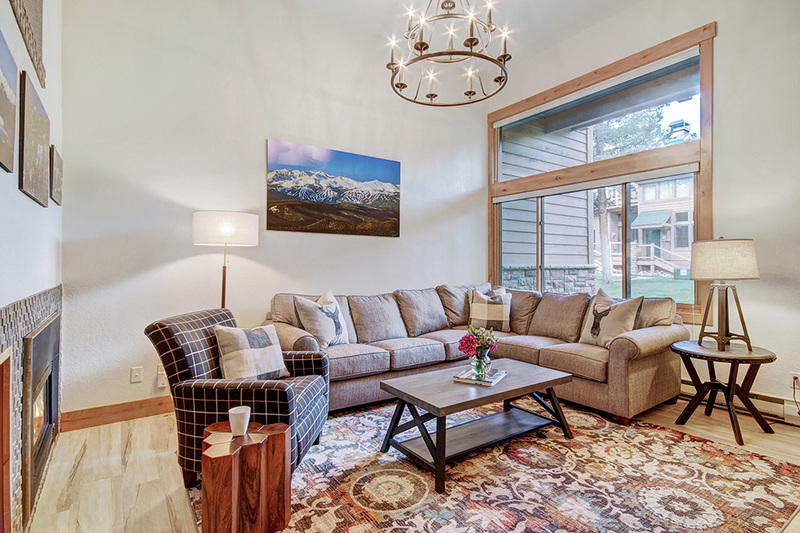 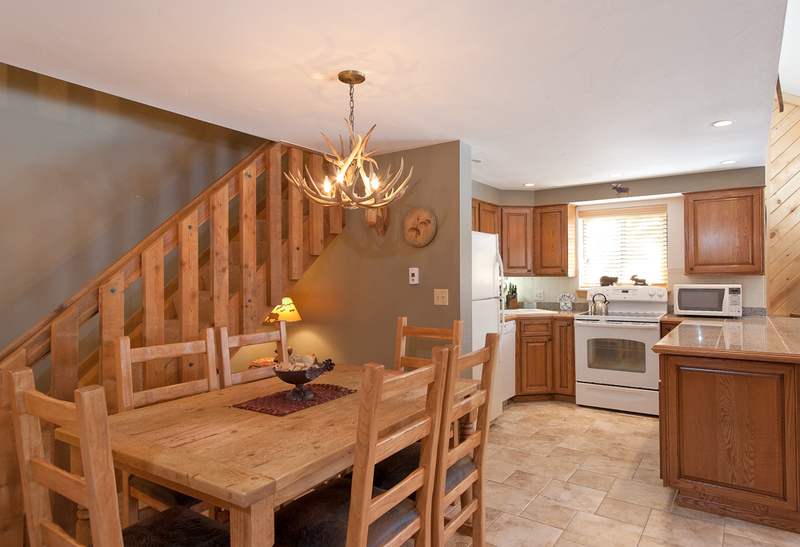 The unique antler chandelier that hovers over the dining room table and buffalo and moose mounts add to the warm Colorado ambiance in the living room where guests will love to gather at the end of a busy day. 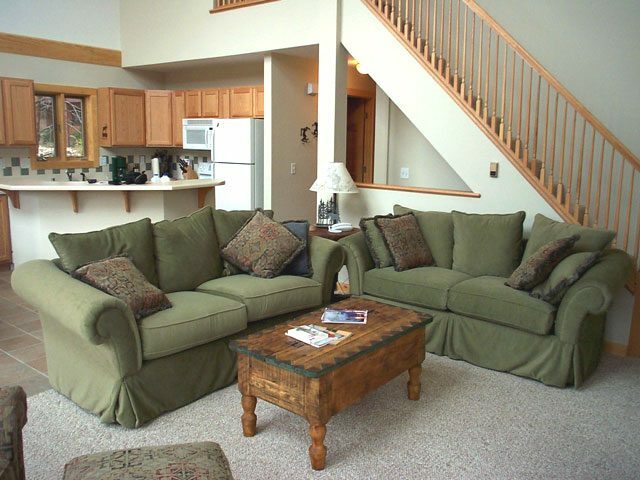 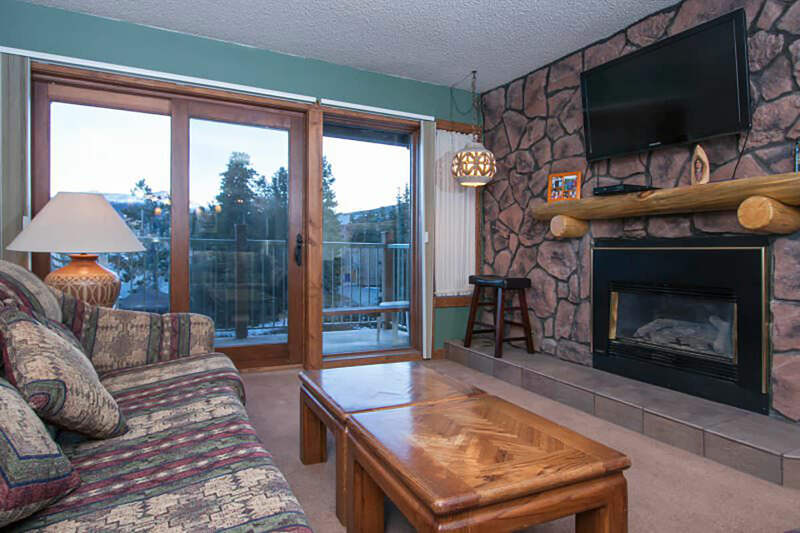 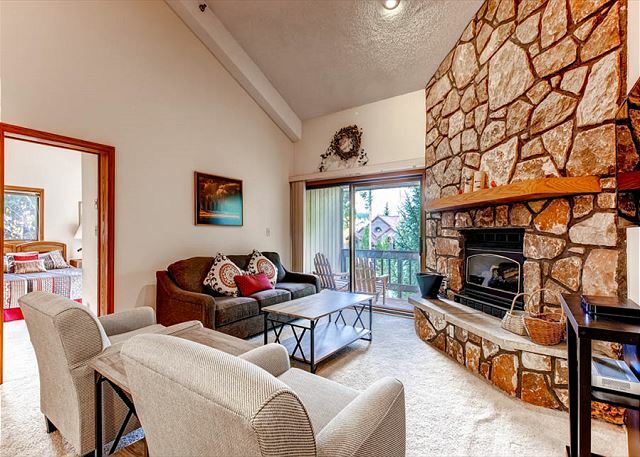 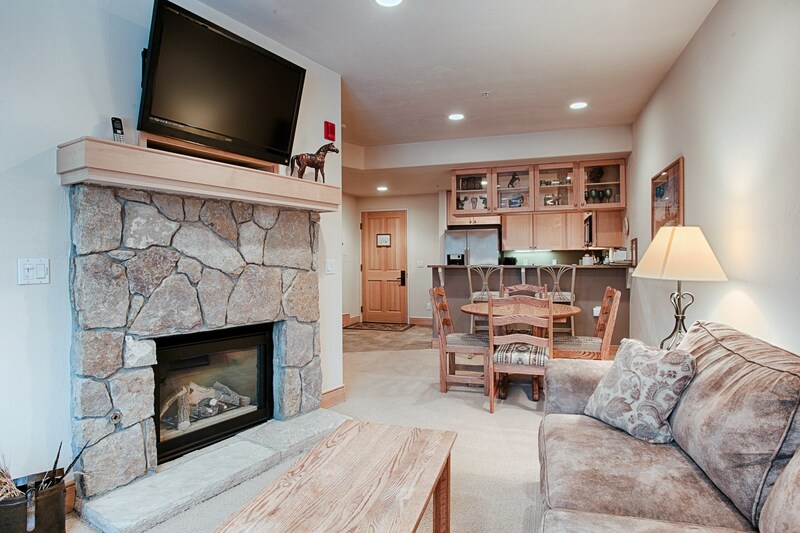 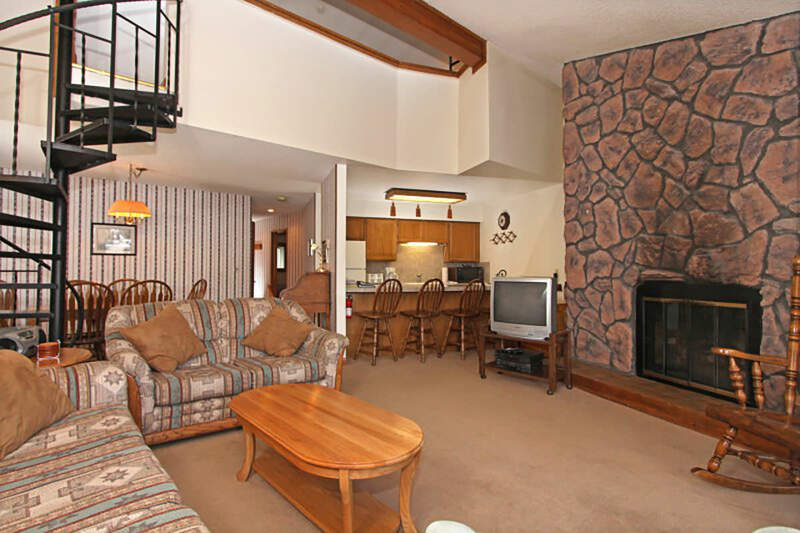 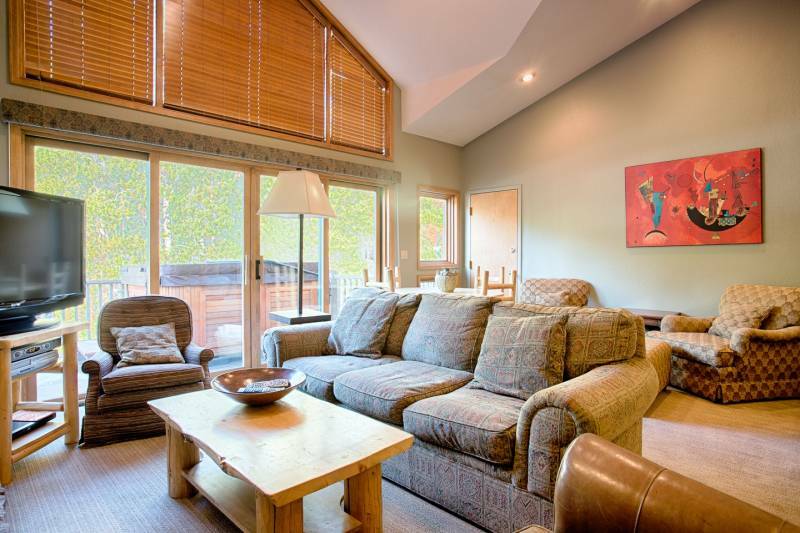 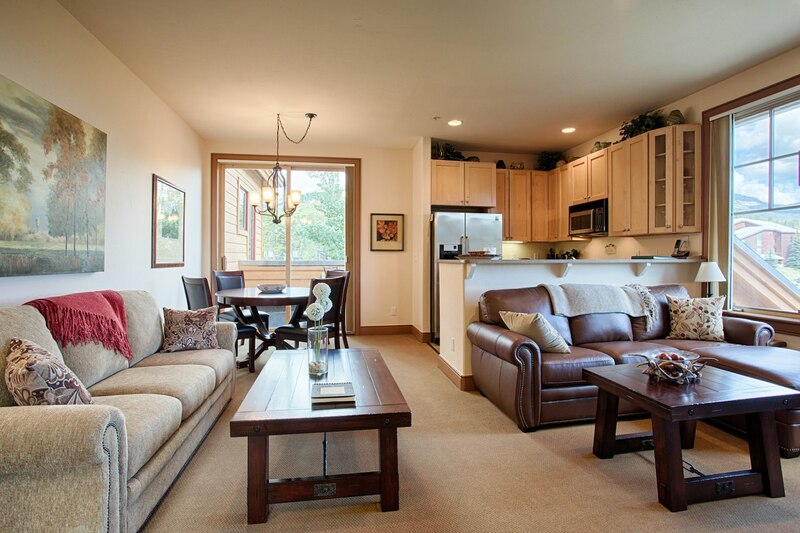 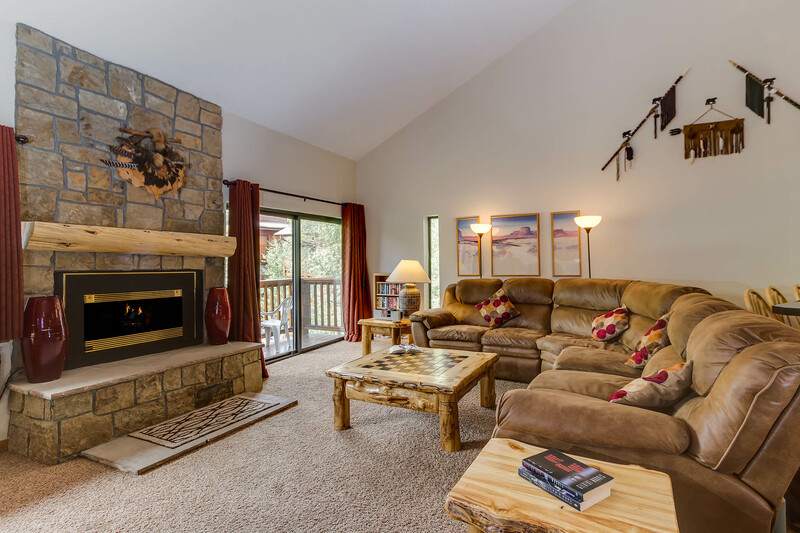 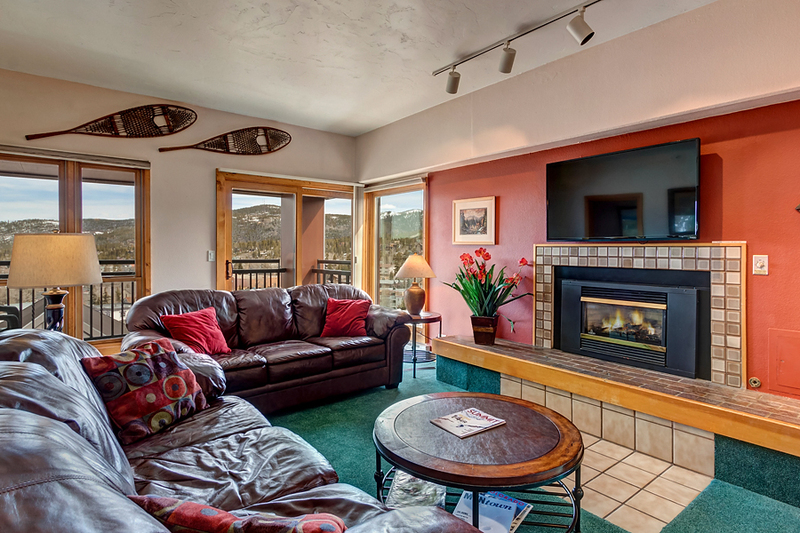 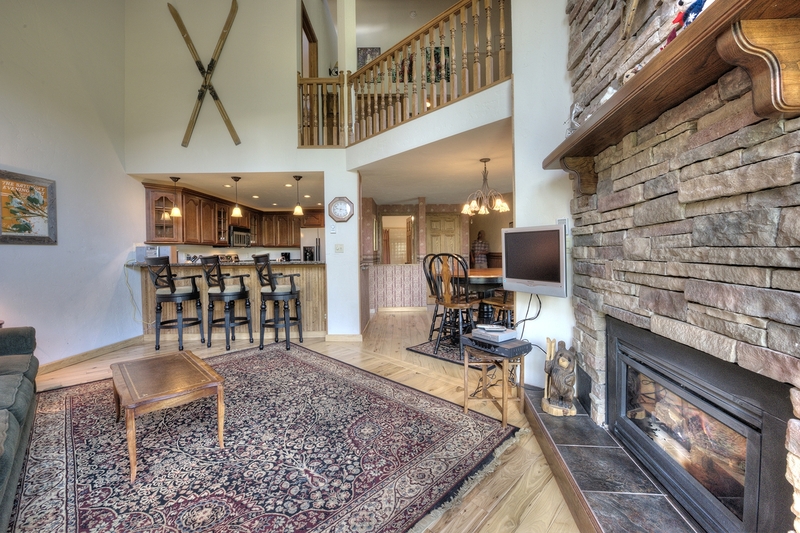 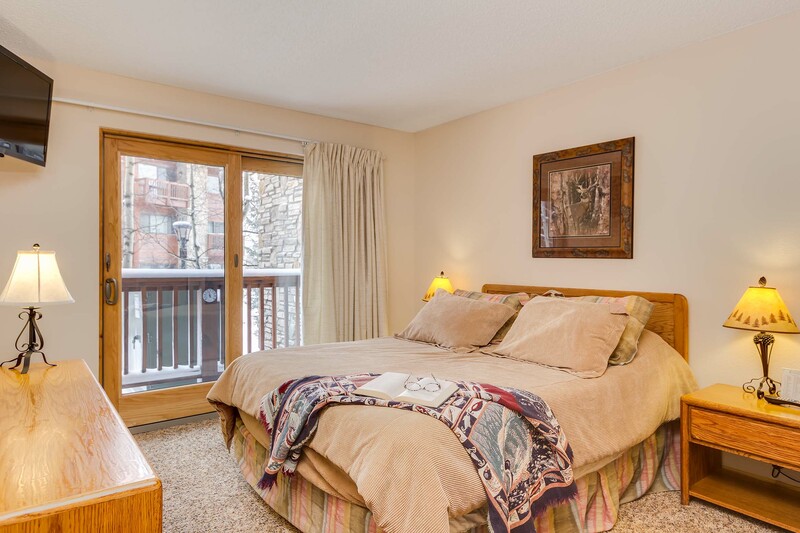 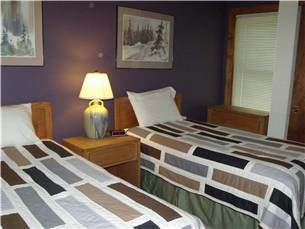 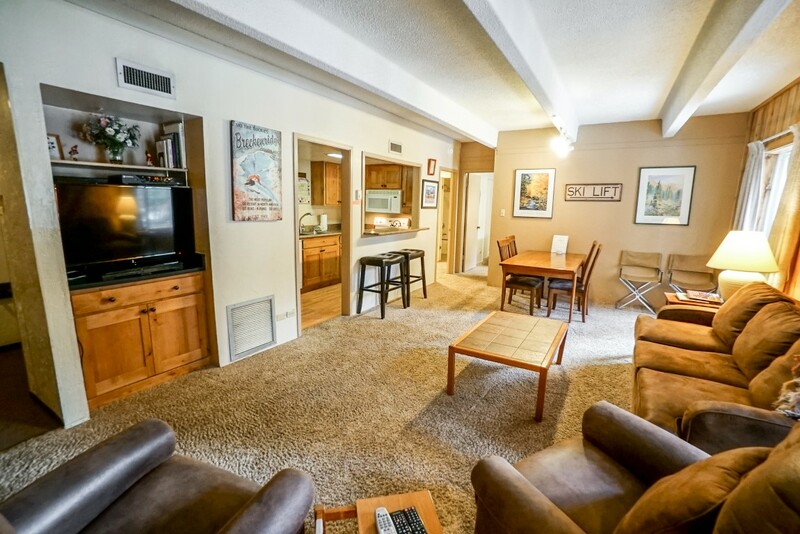 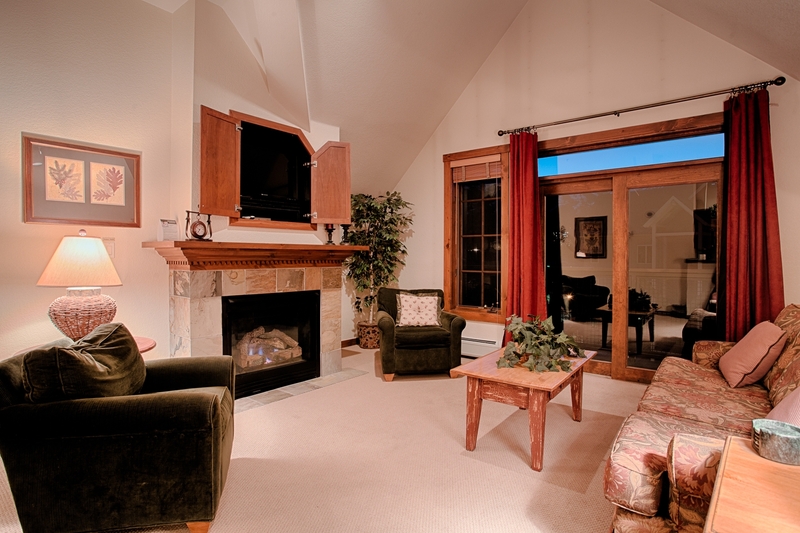 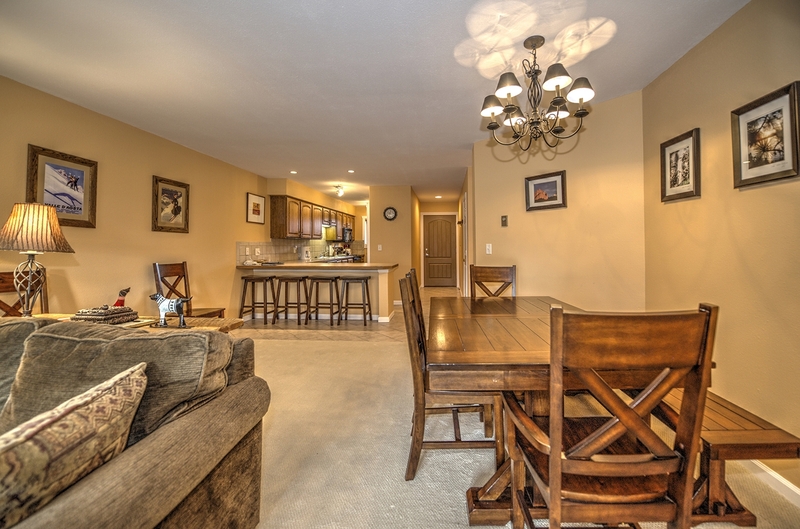 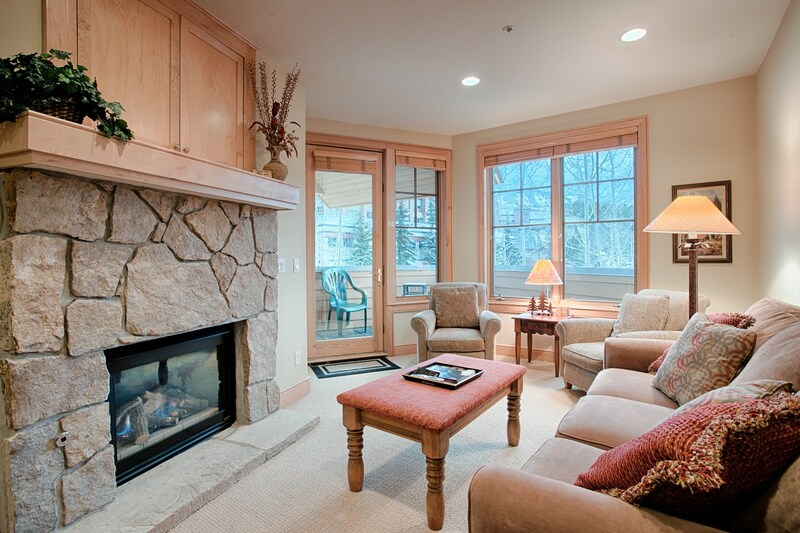 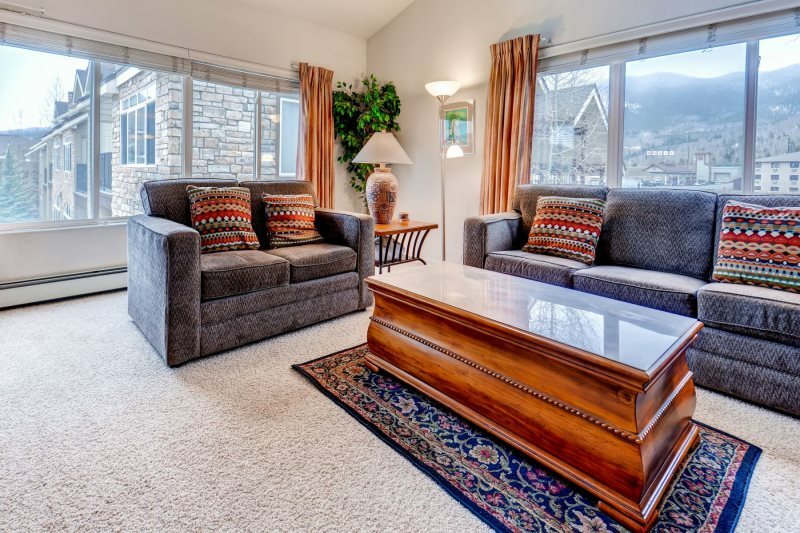 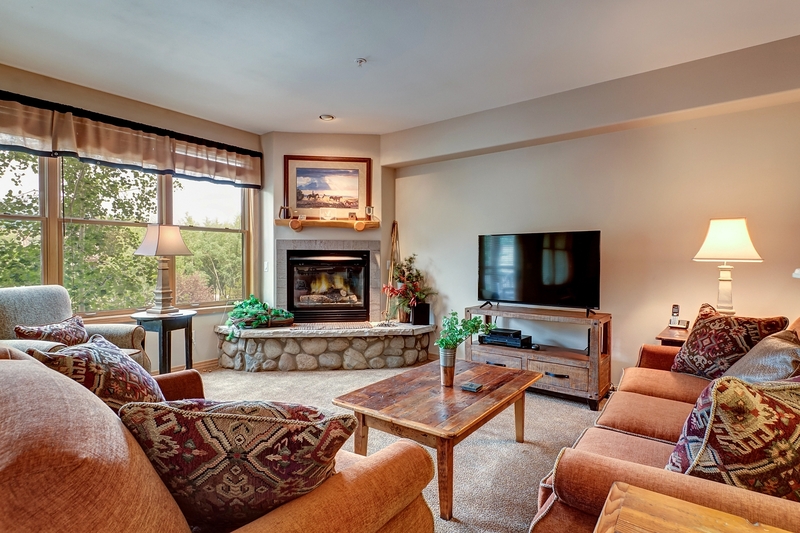 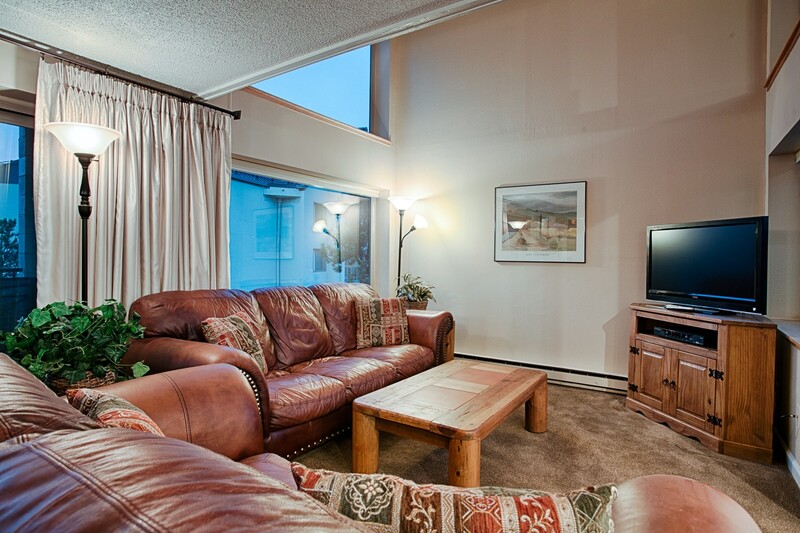 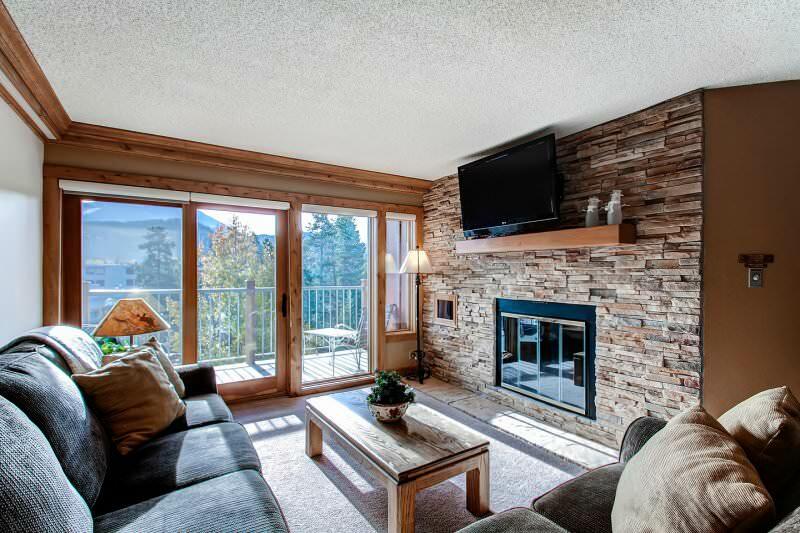 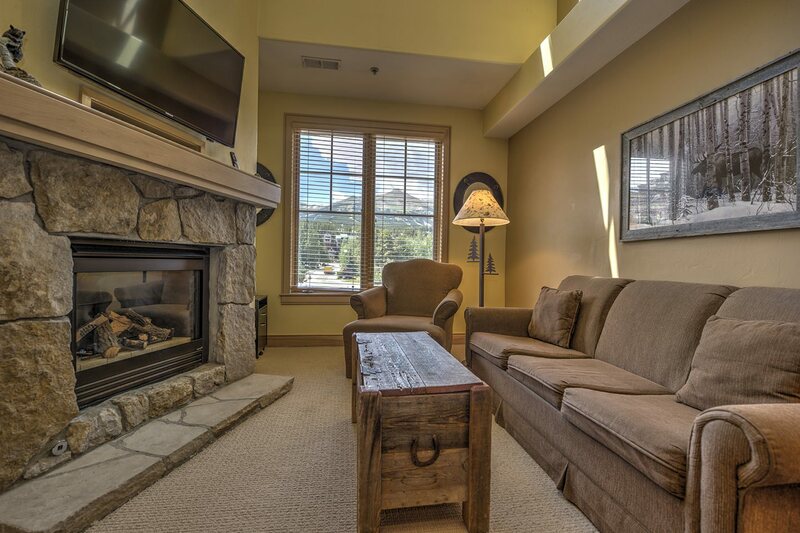 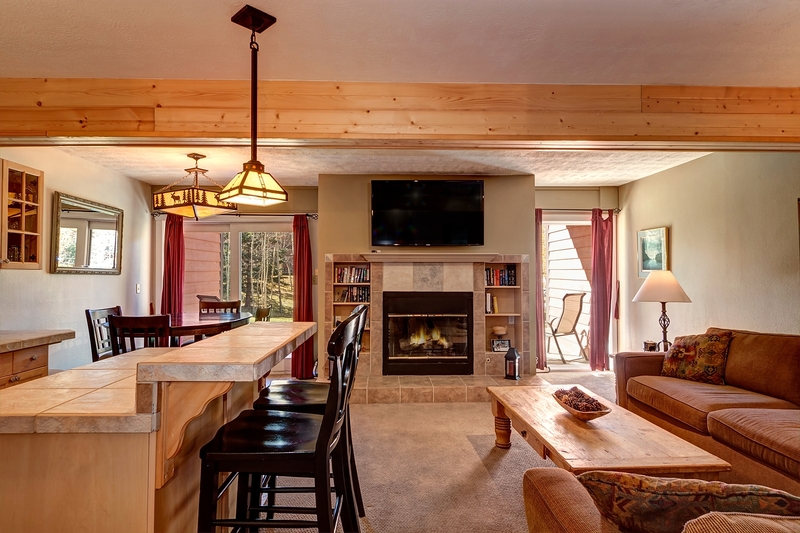 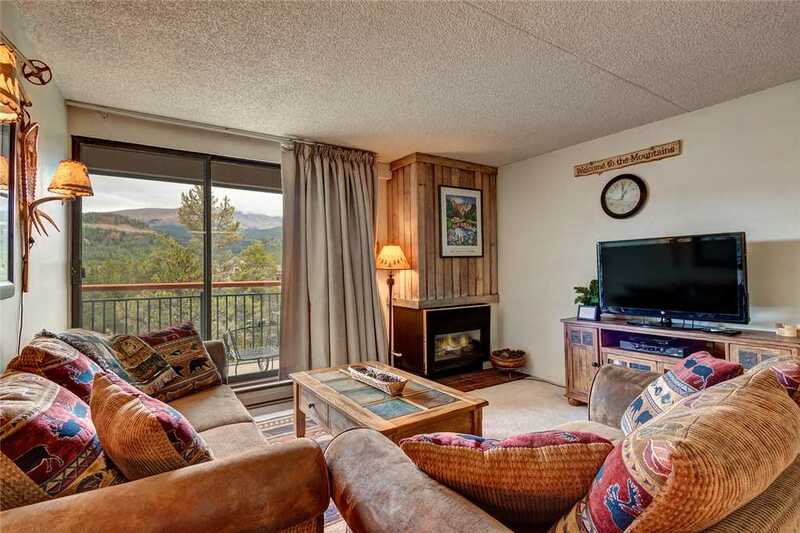 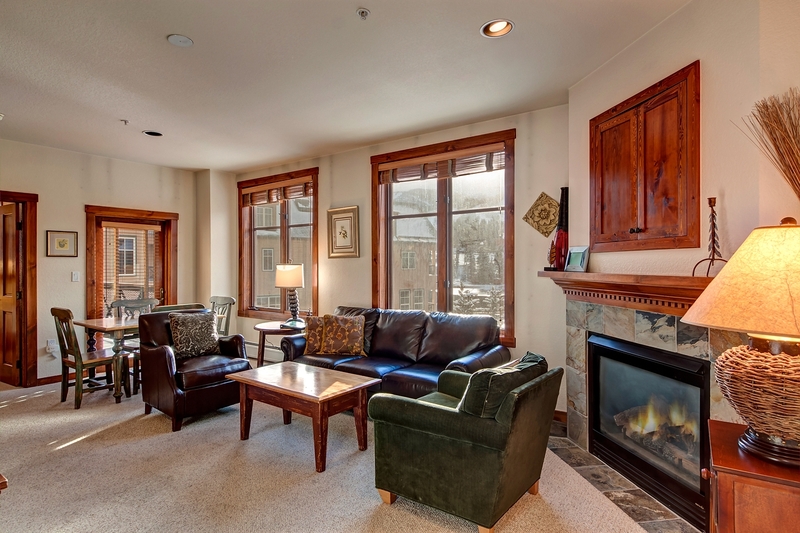 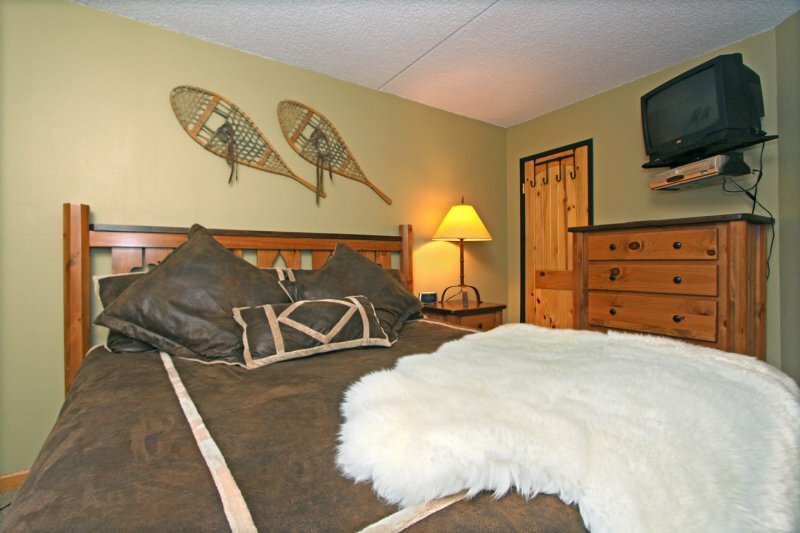 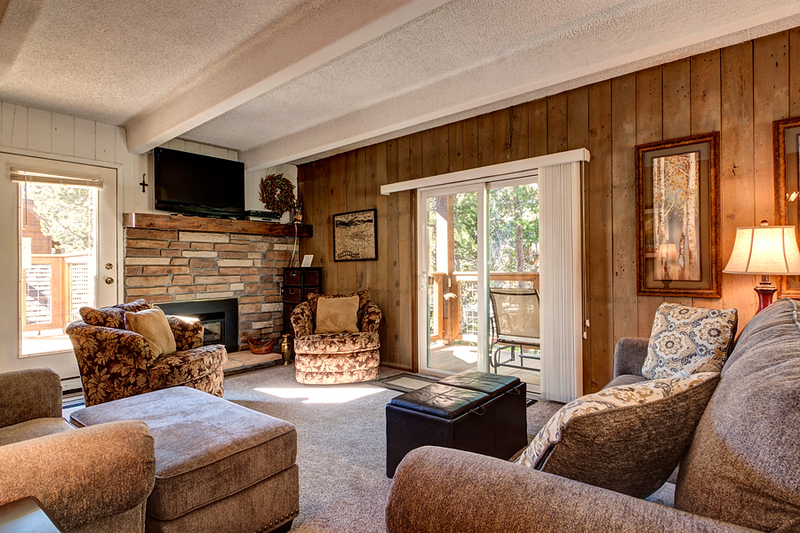 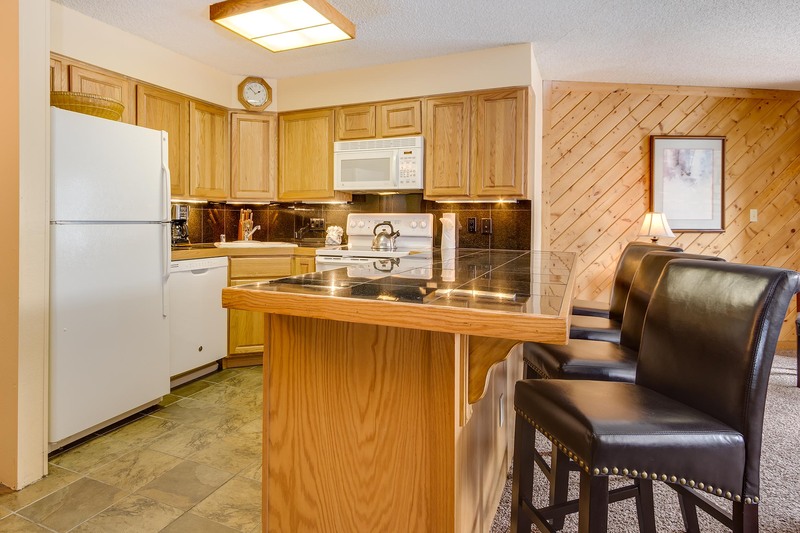 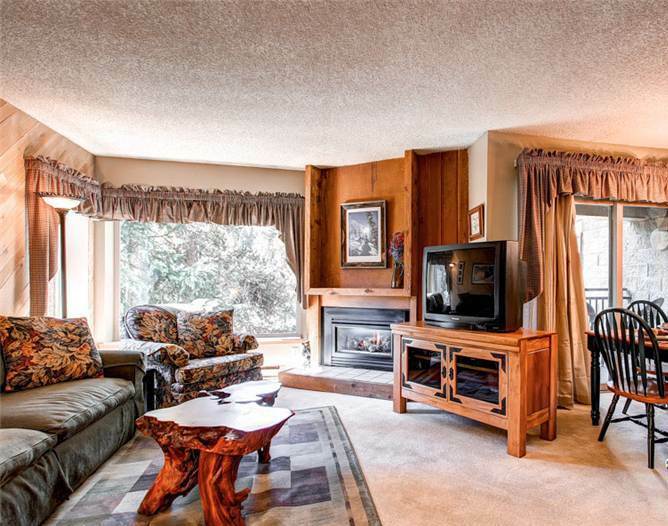 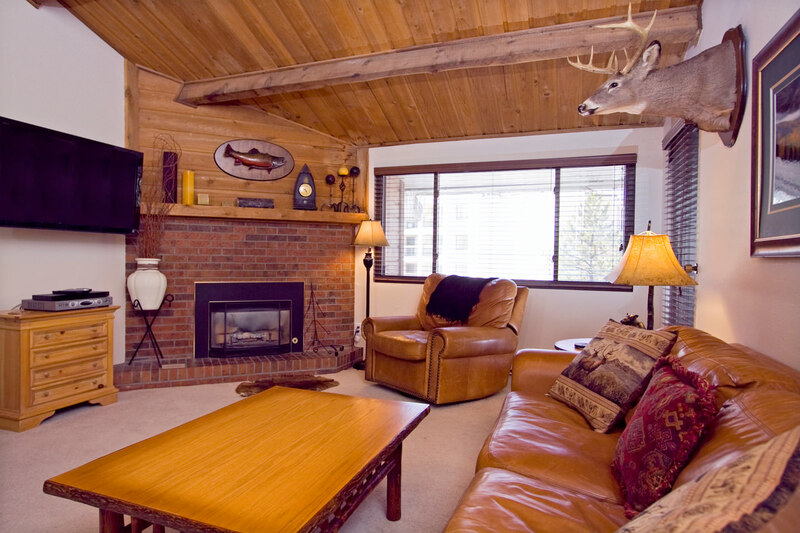 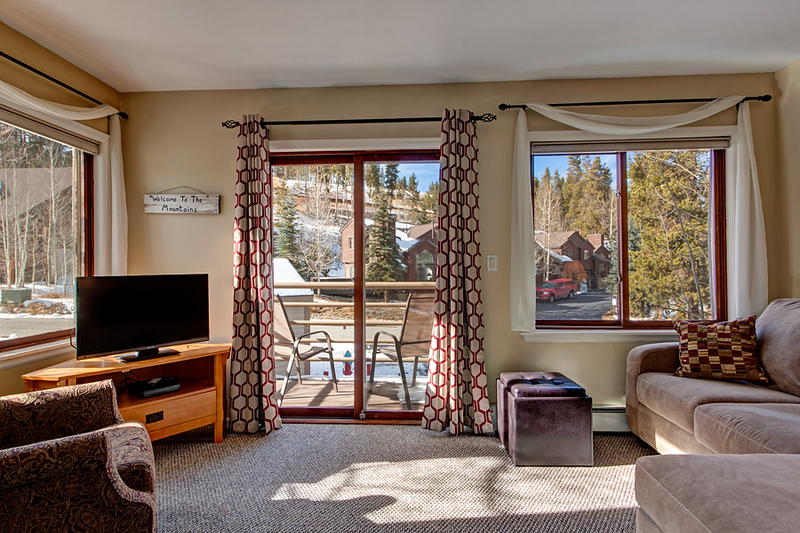 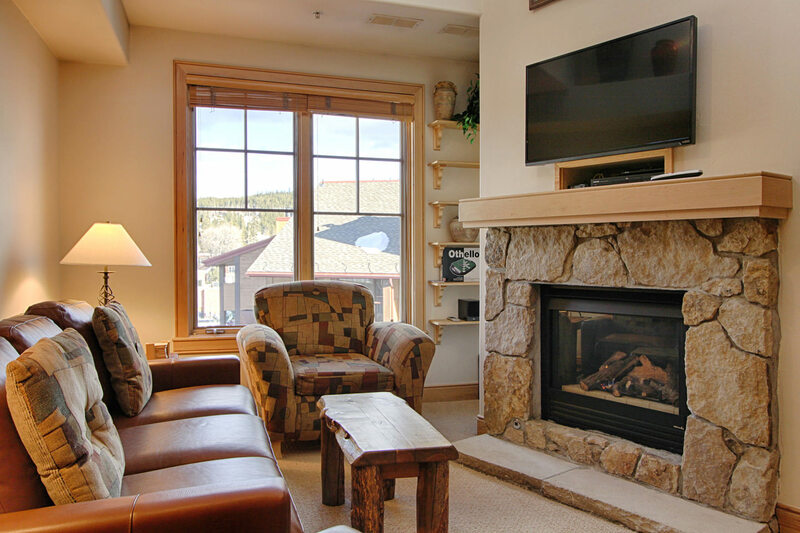 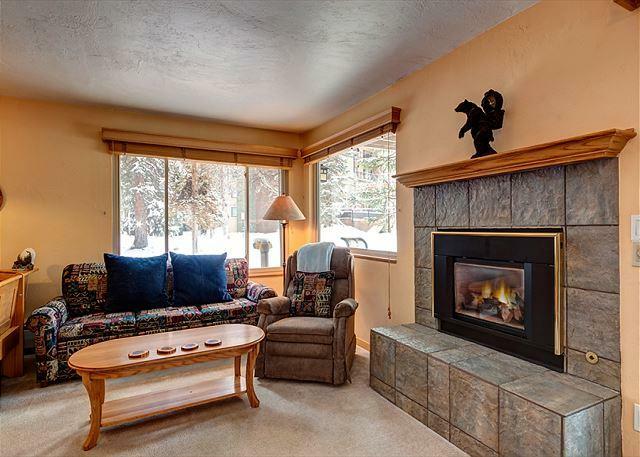 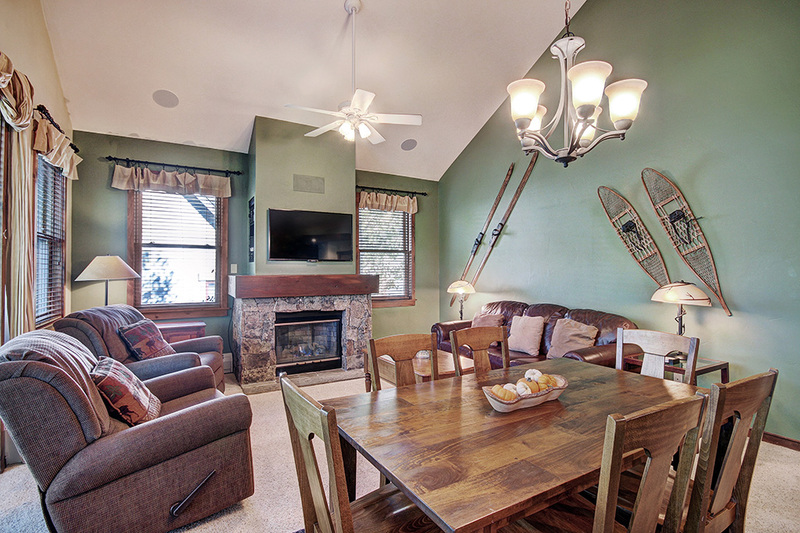 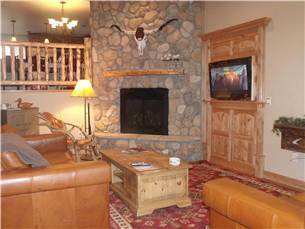 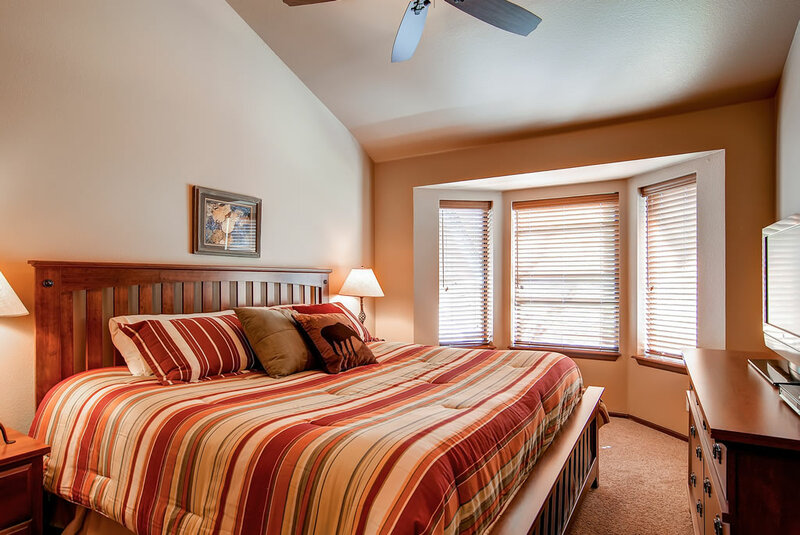 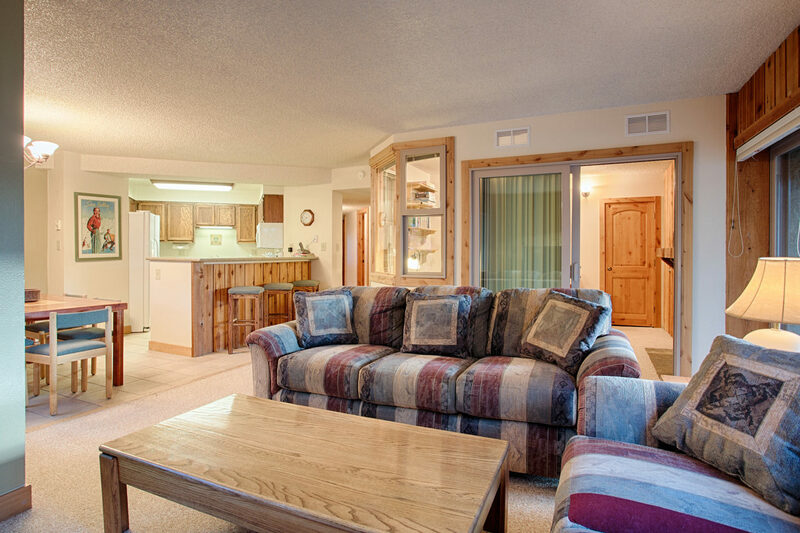 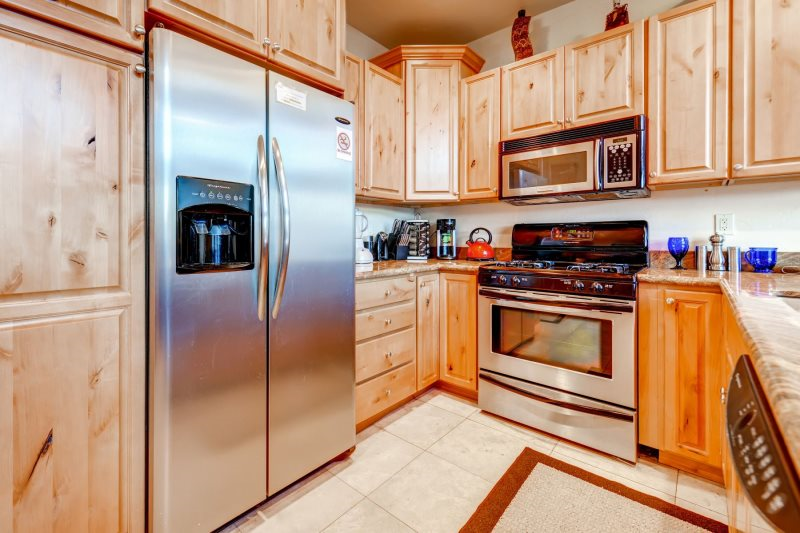 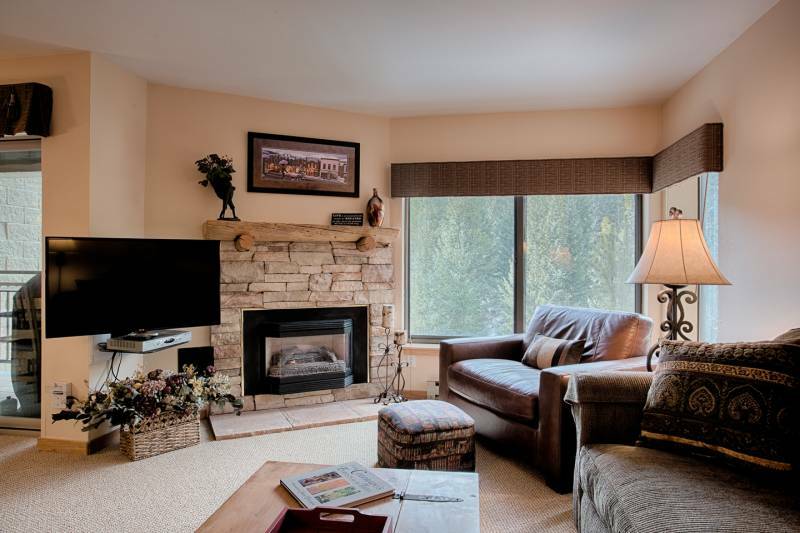 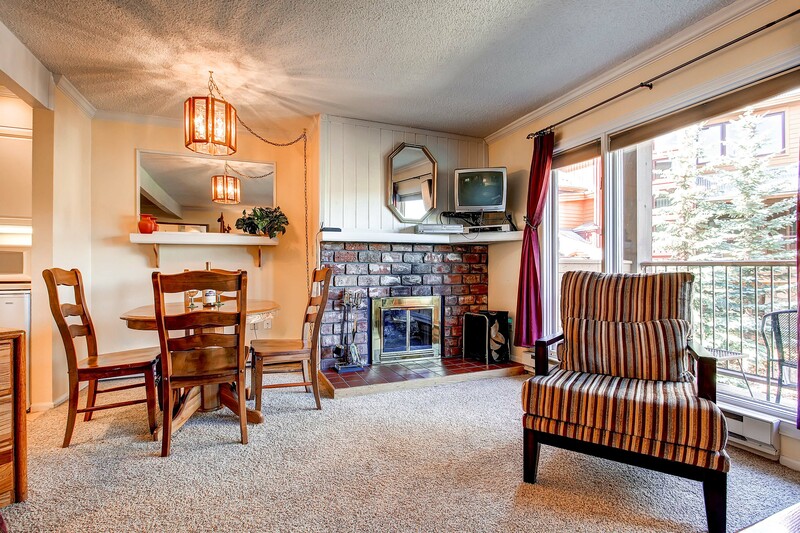 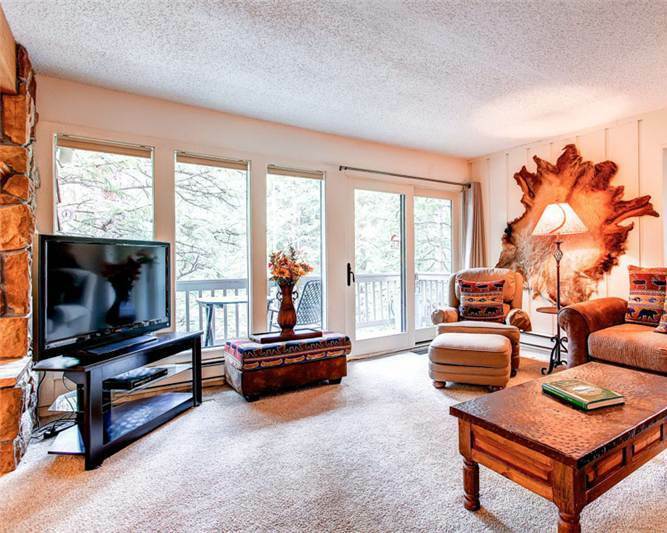 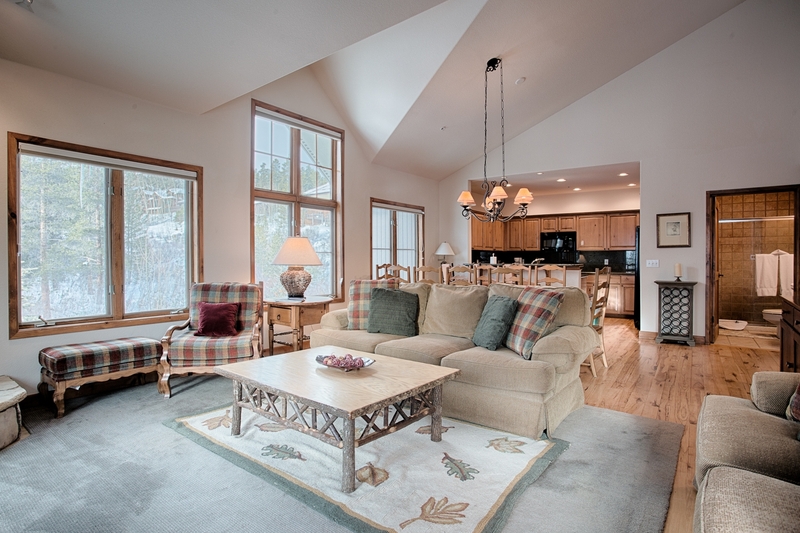 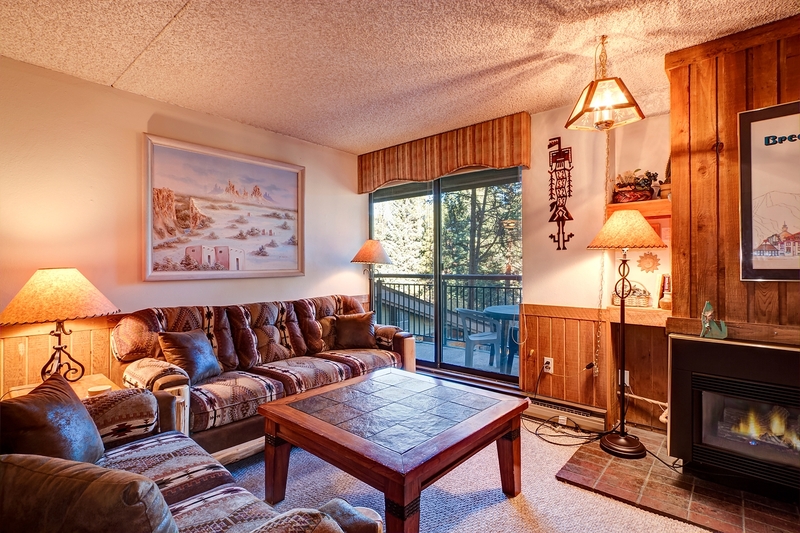 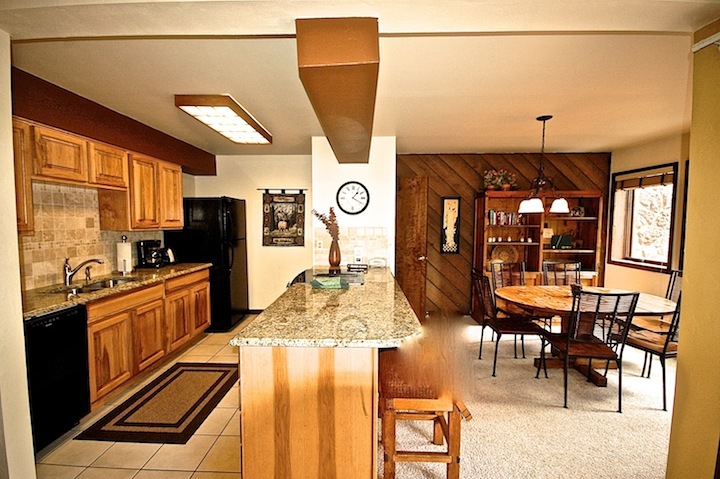 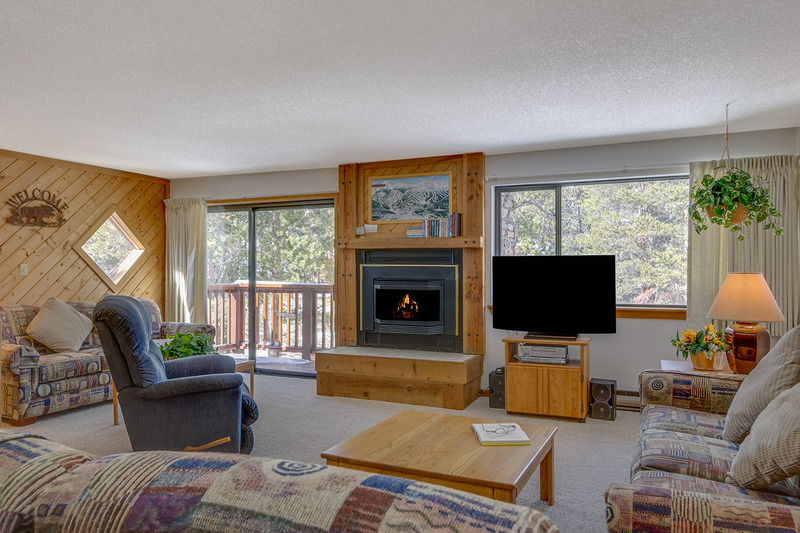 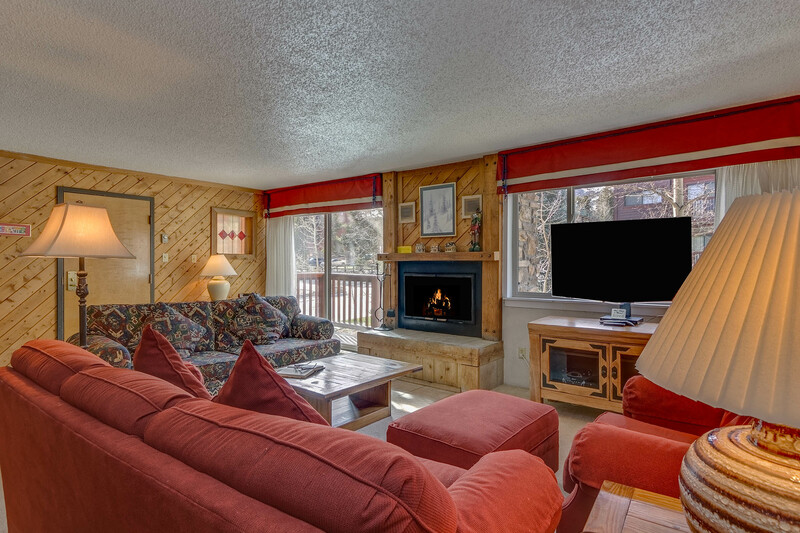 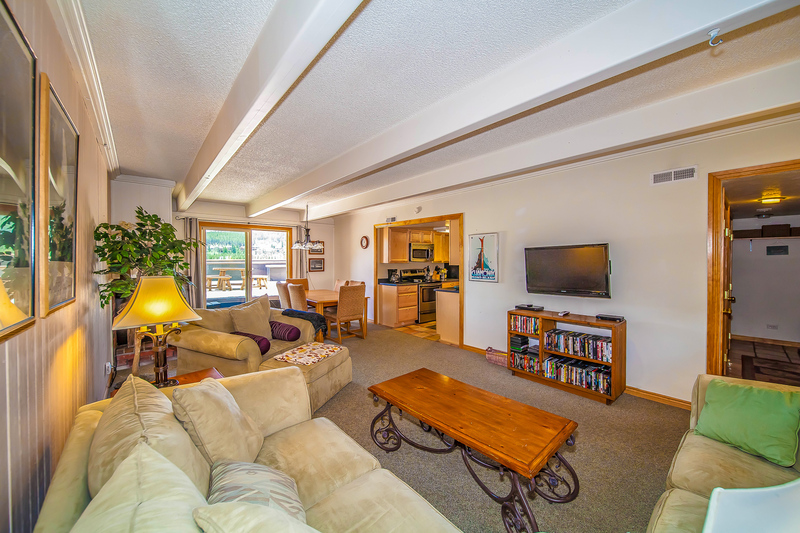 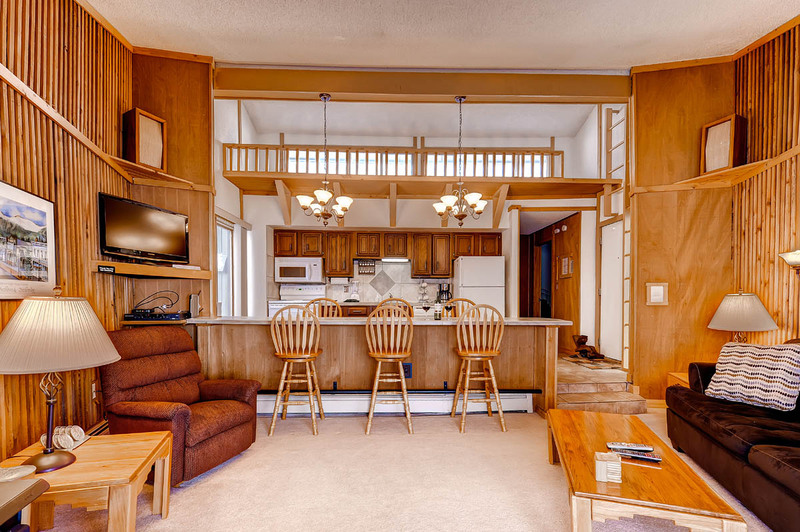 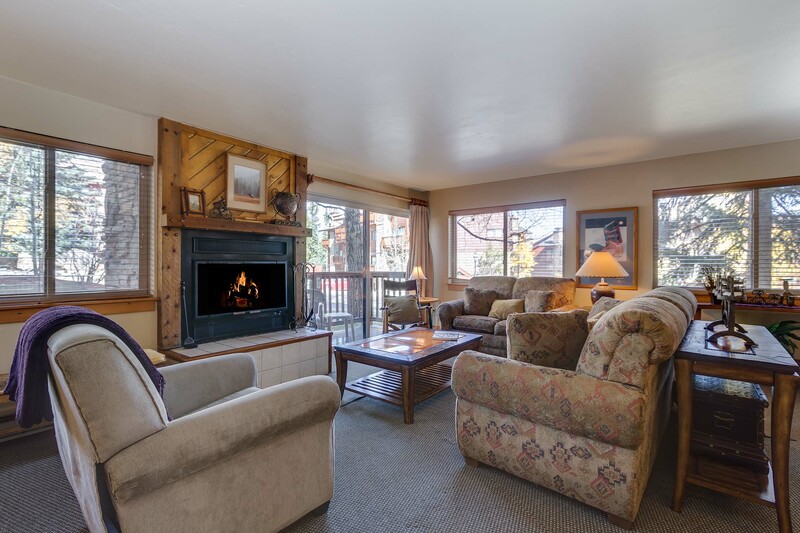 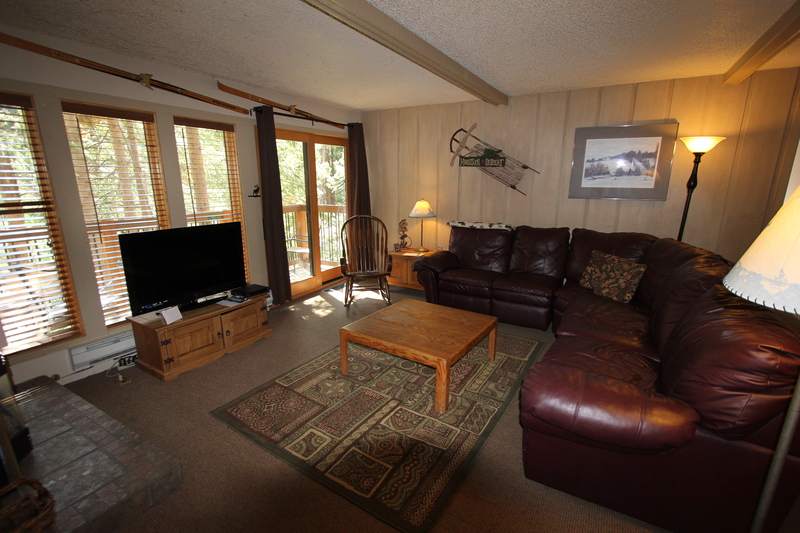 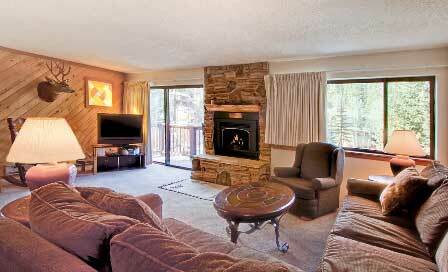 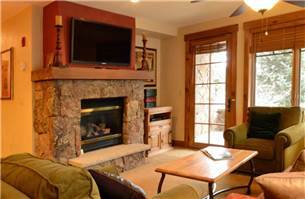 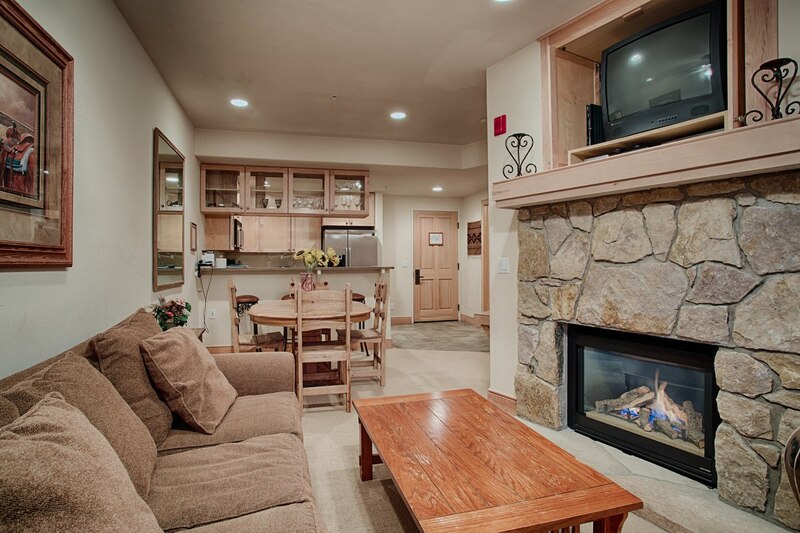 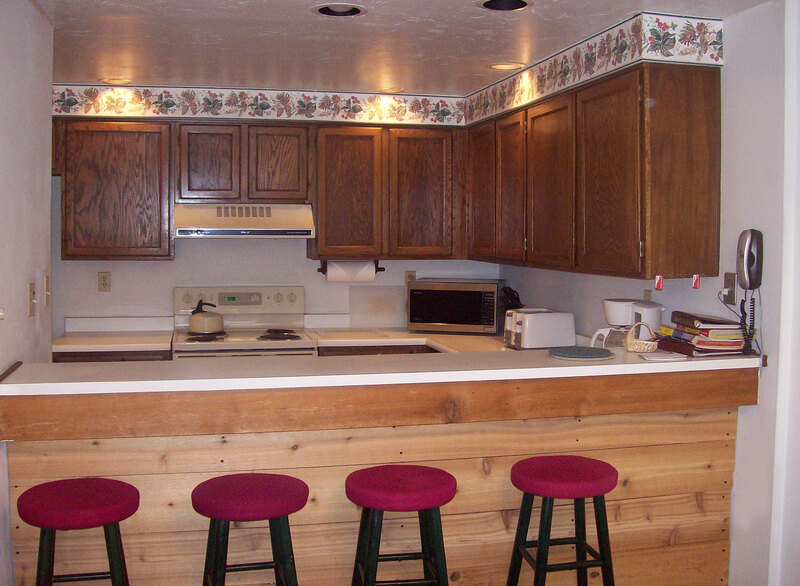 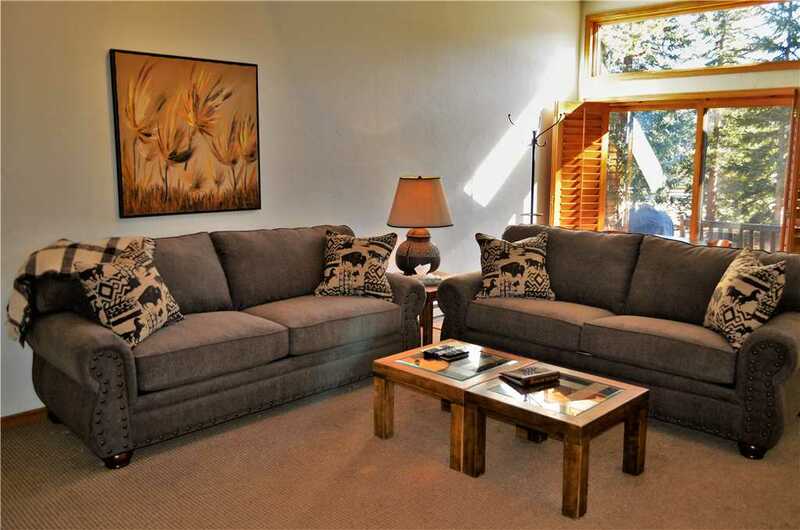 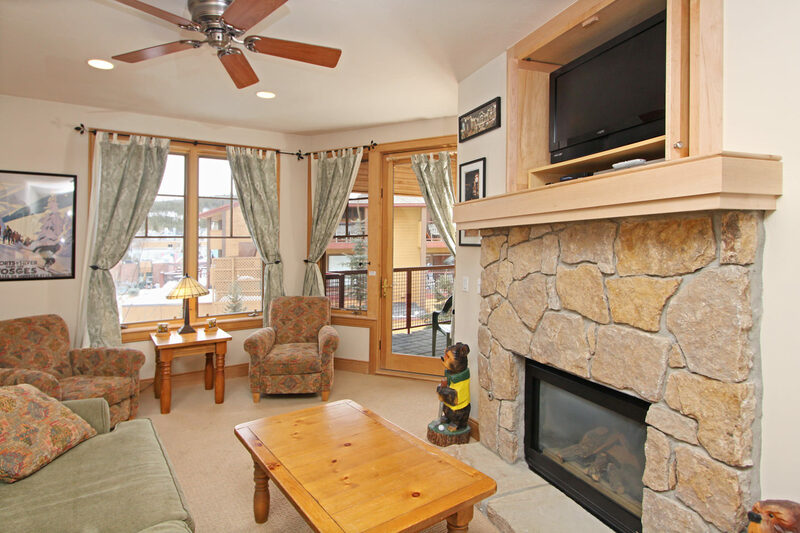 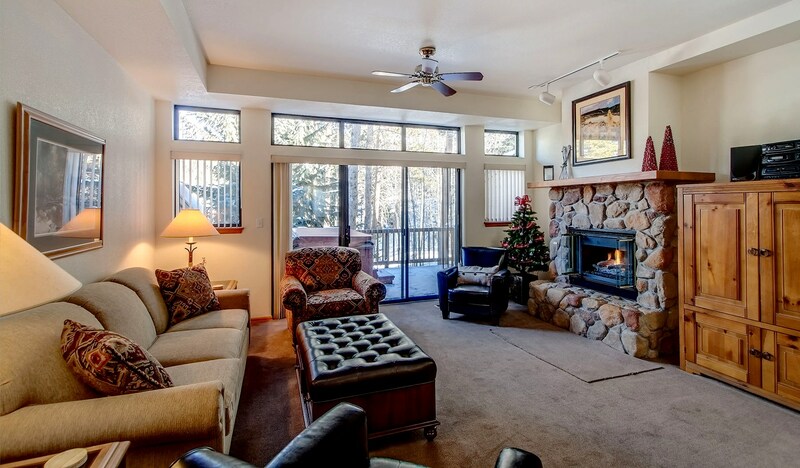 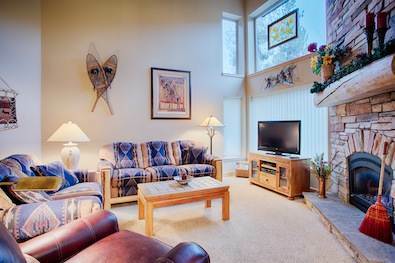 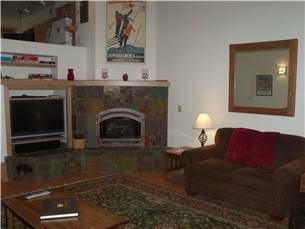 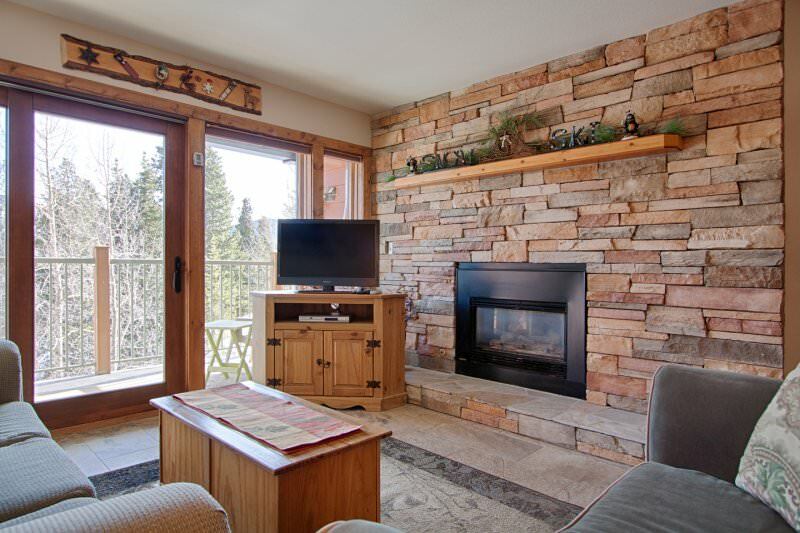 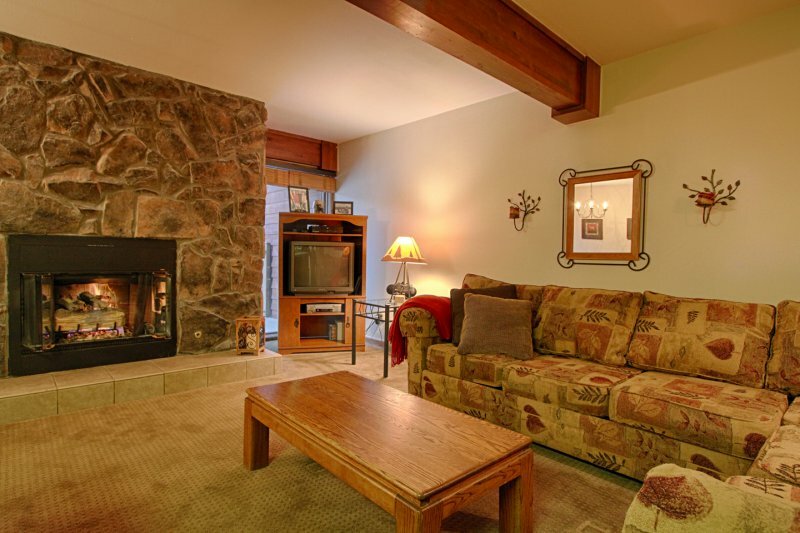 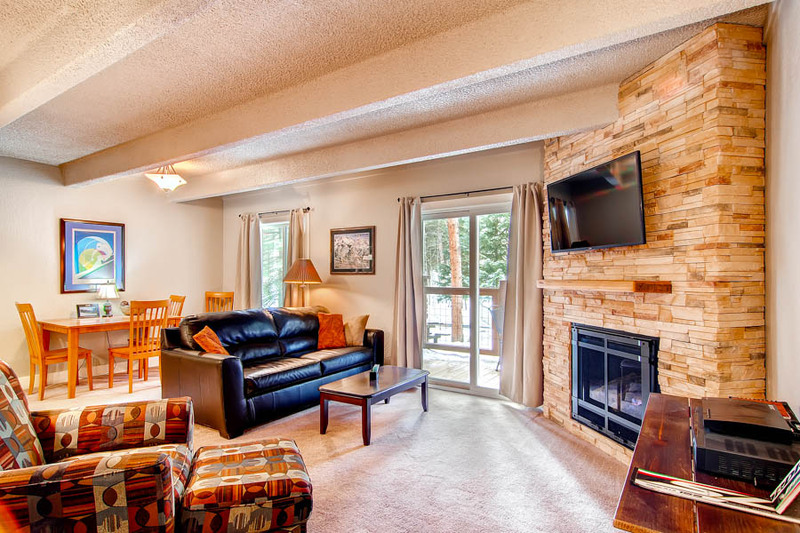 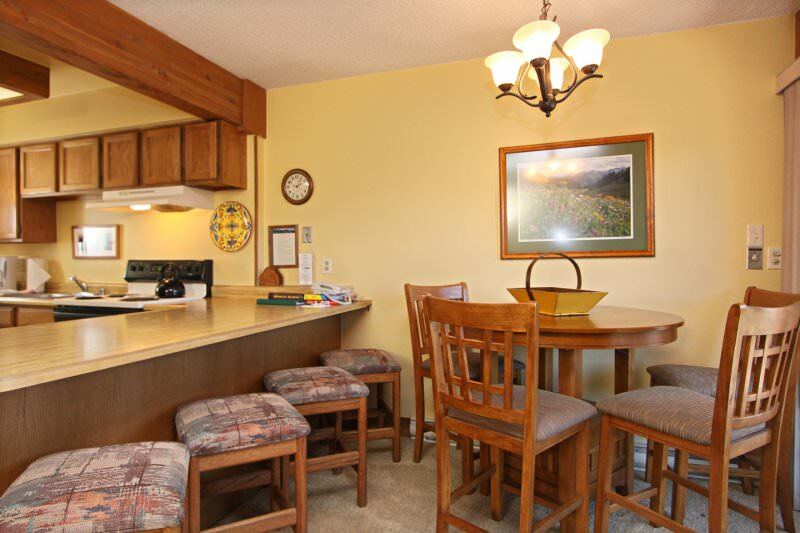 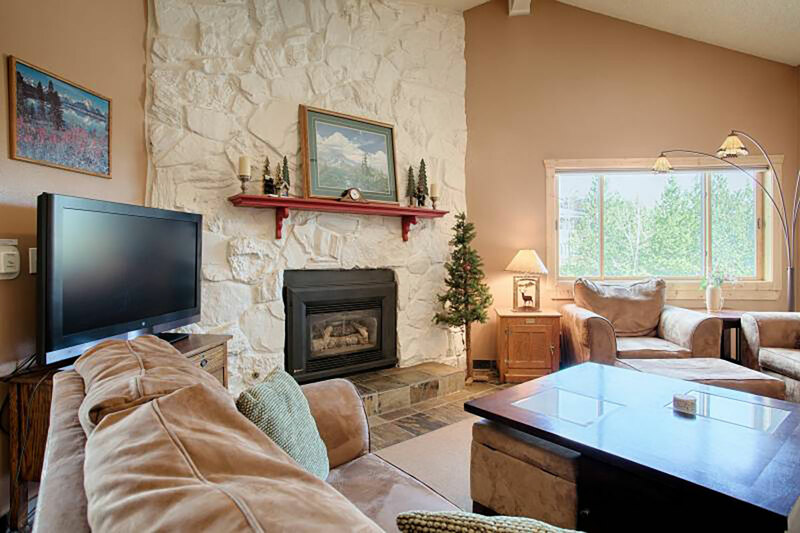 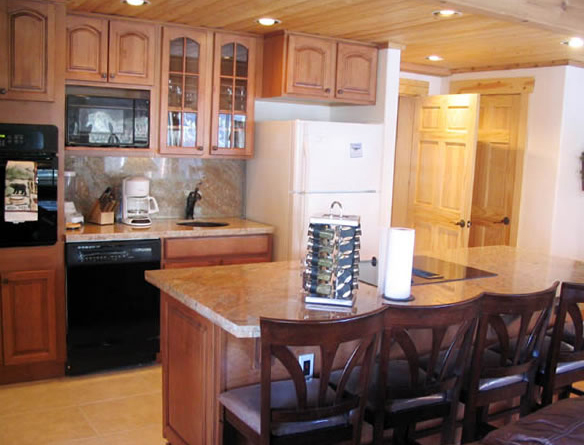 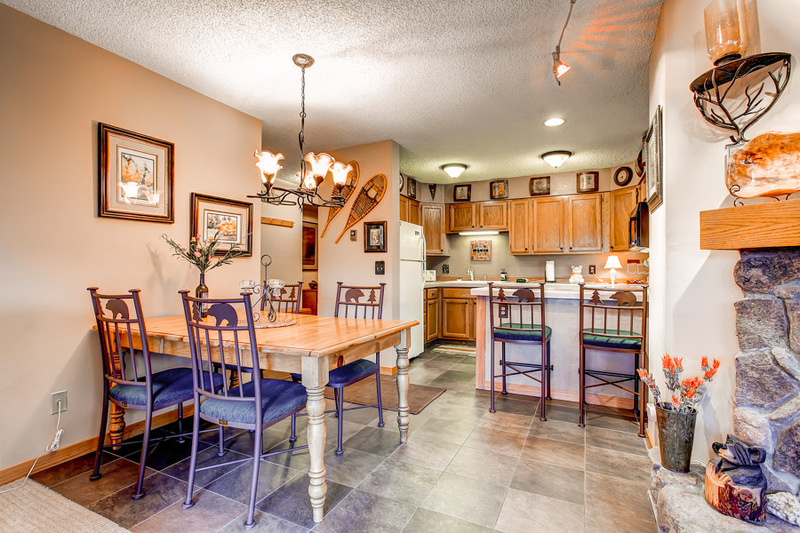 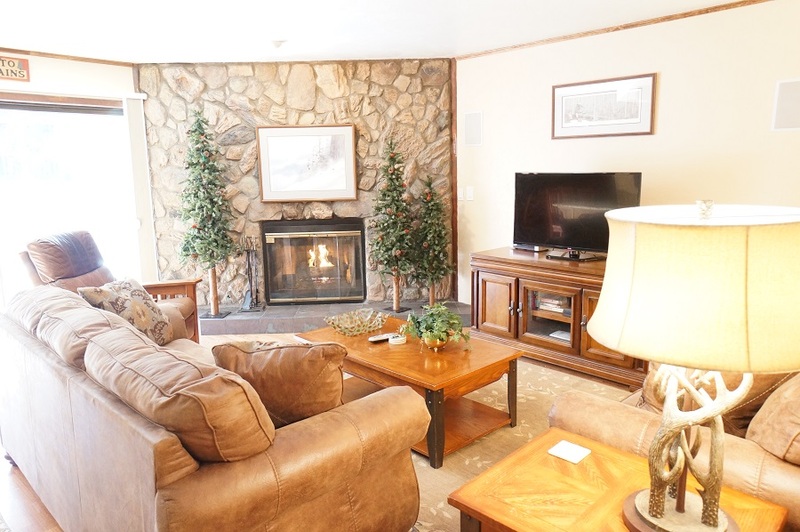 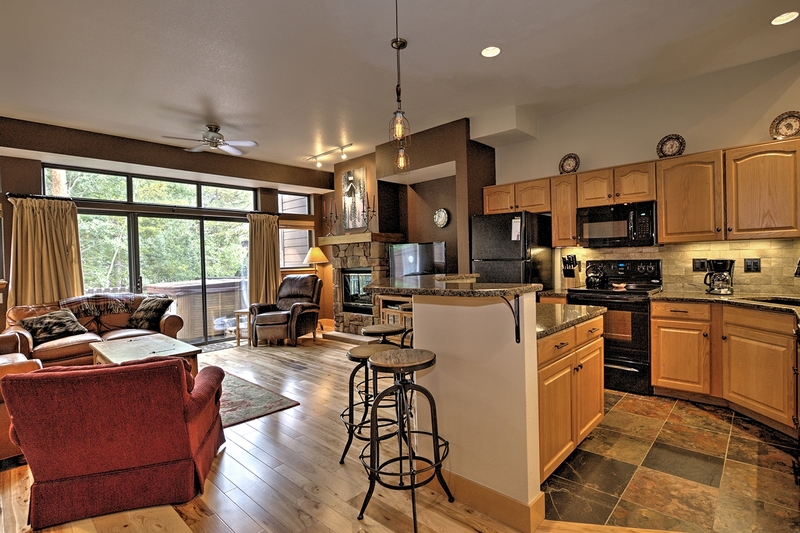 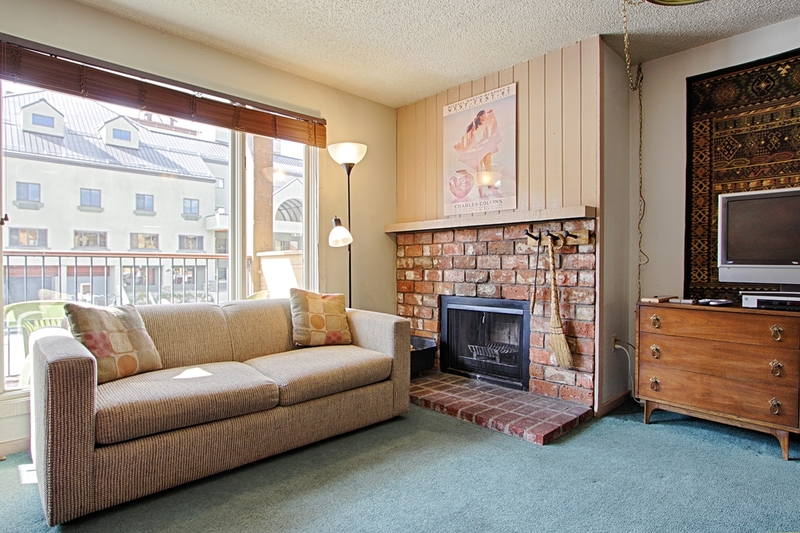 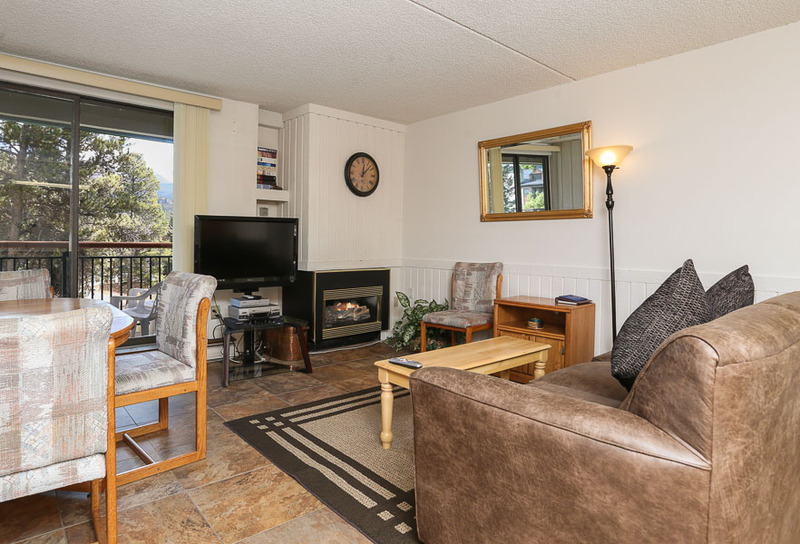 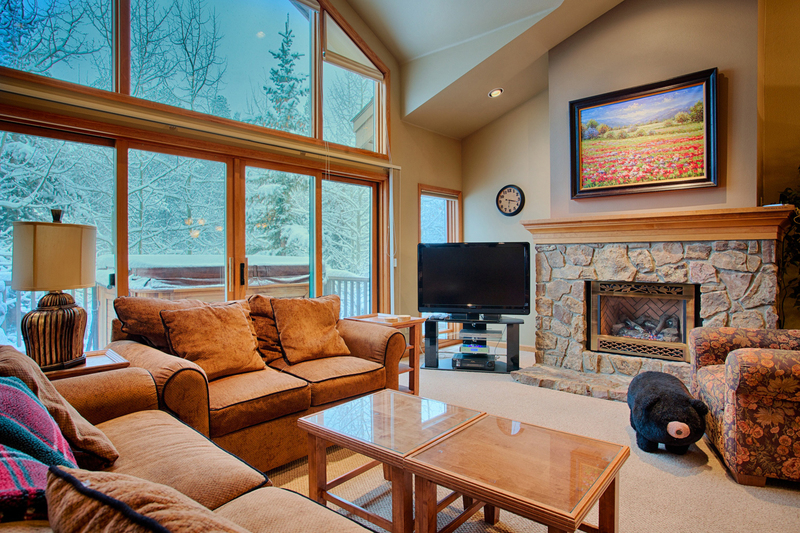 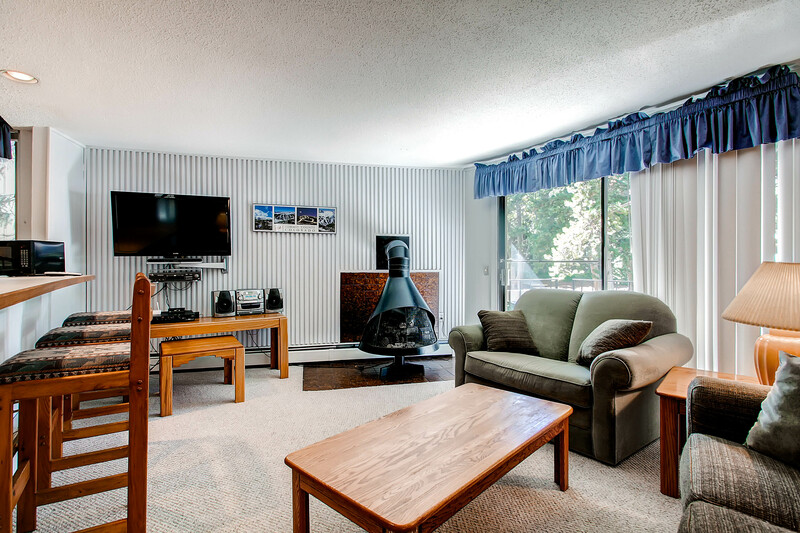 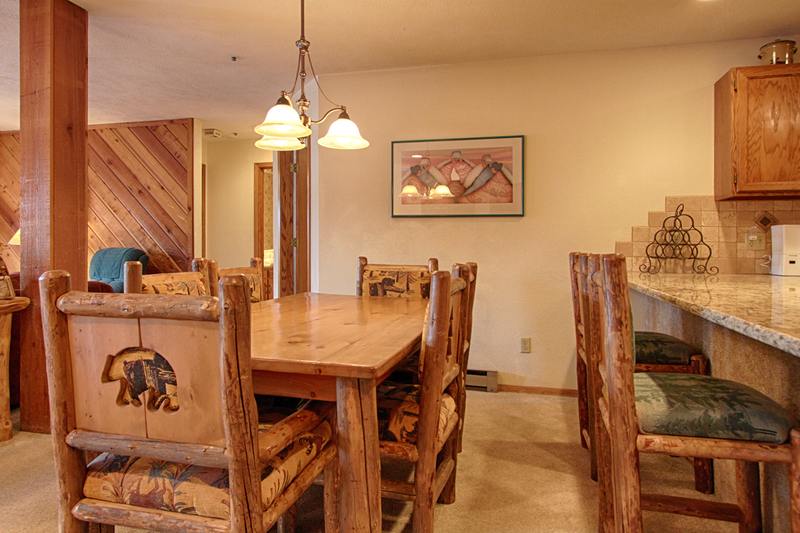 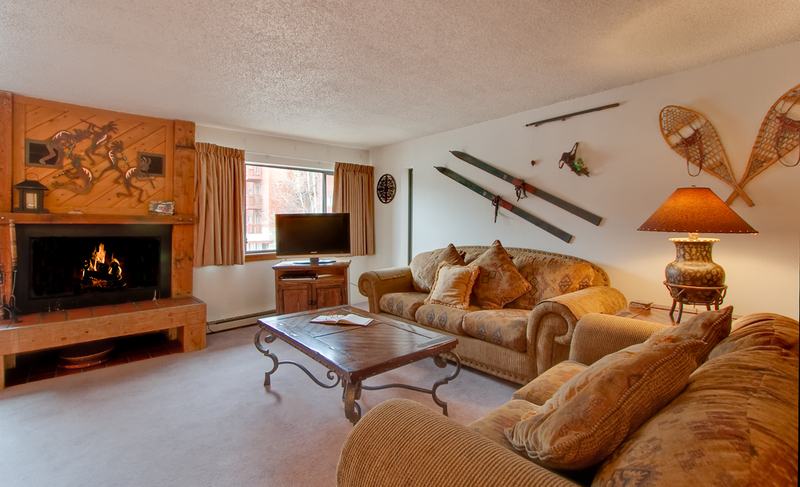 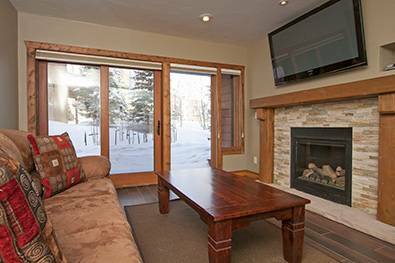 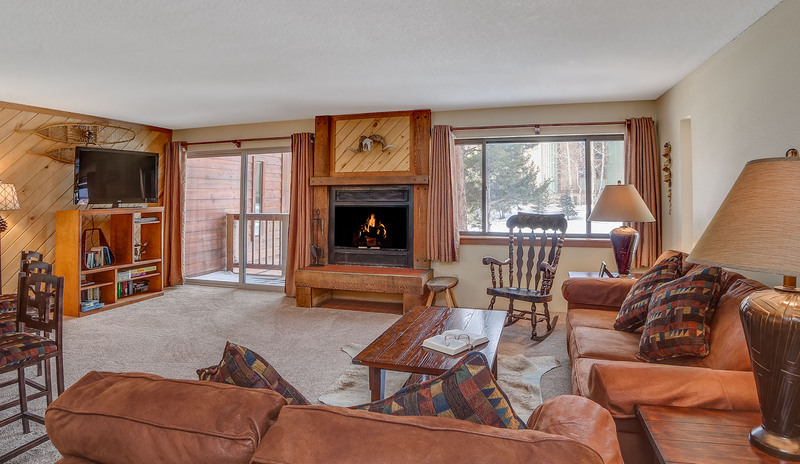 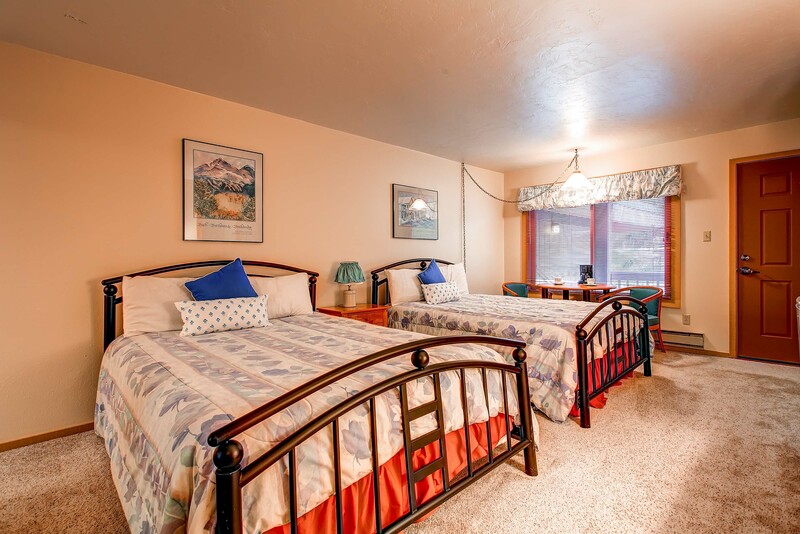 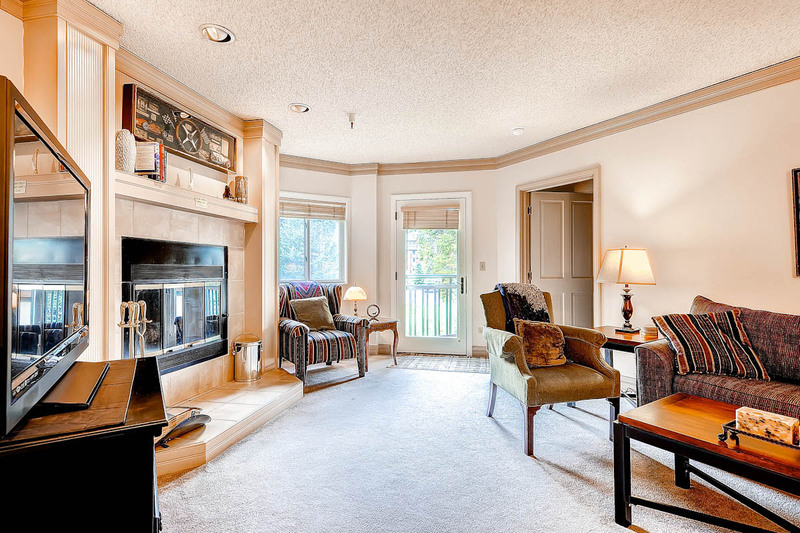 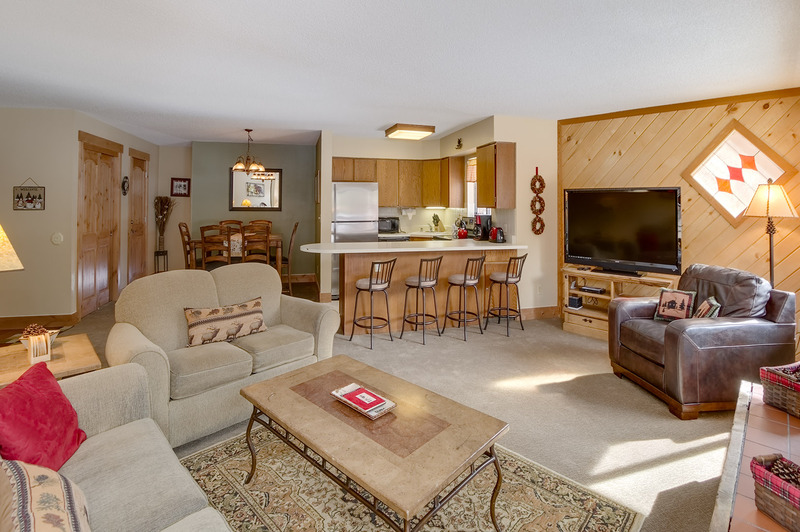 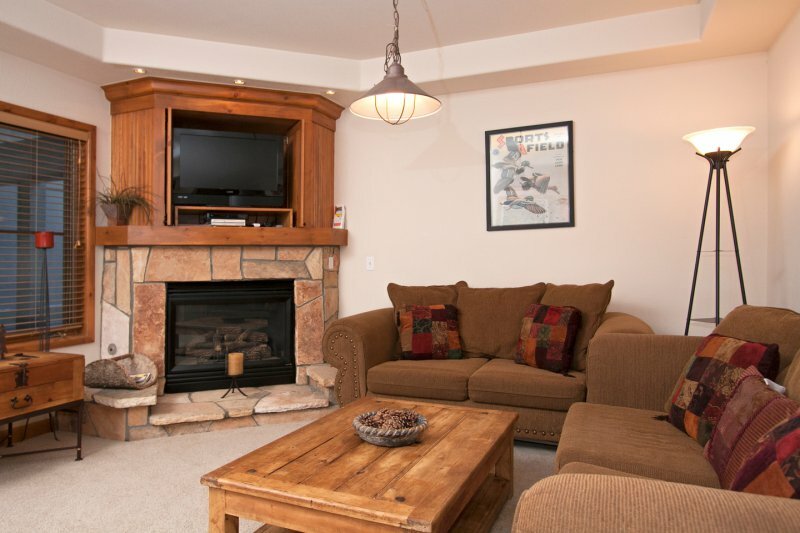 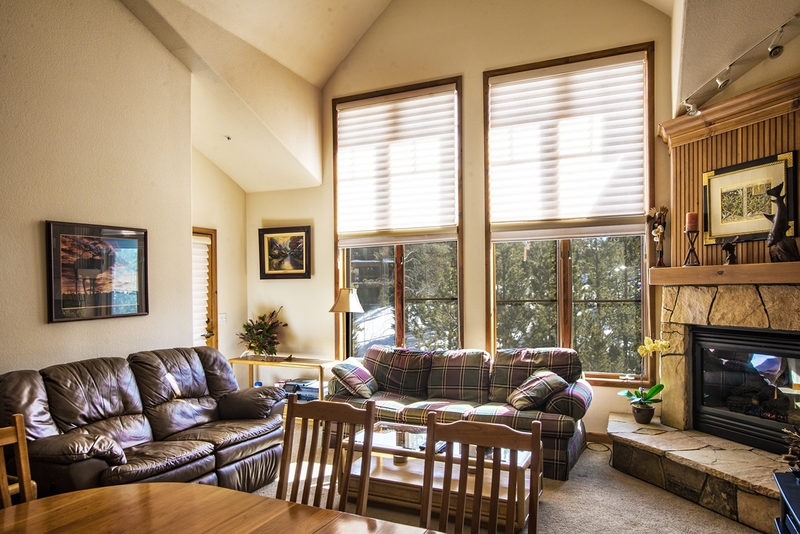 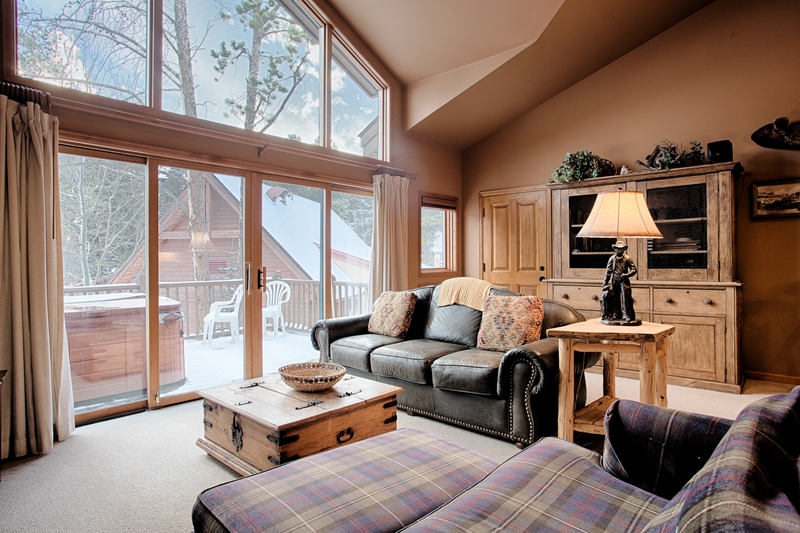 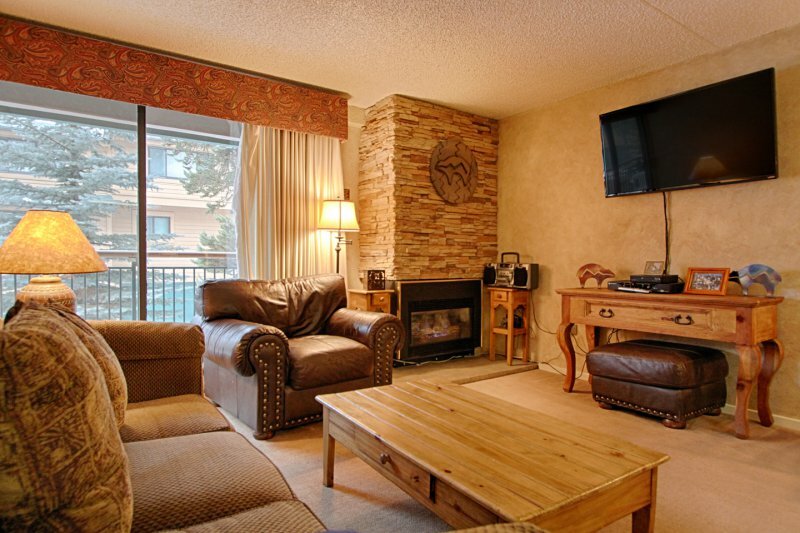 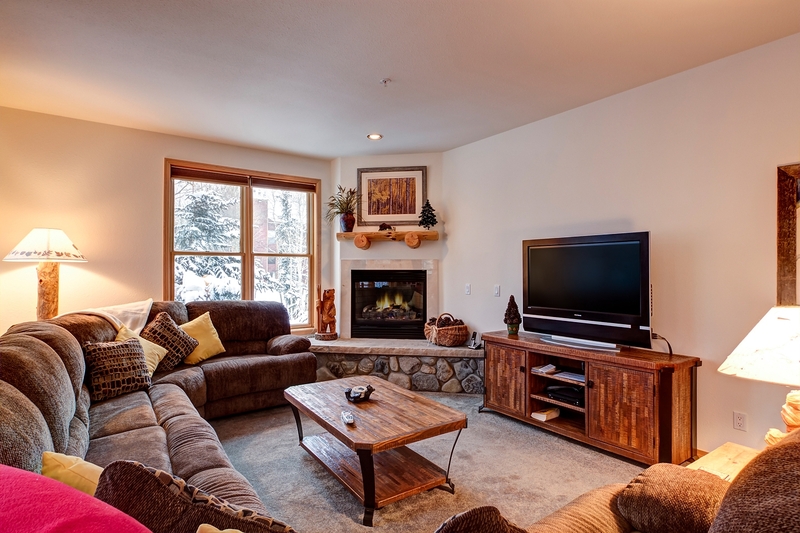 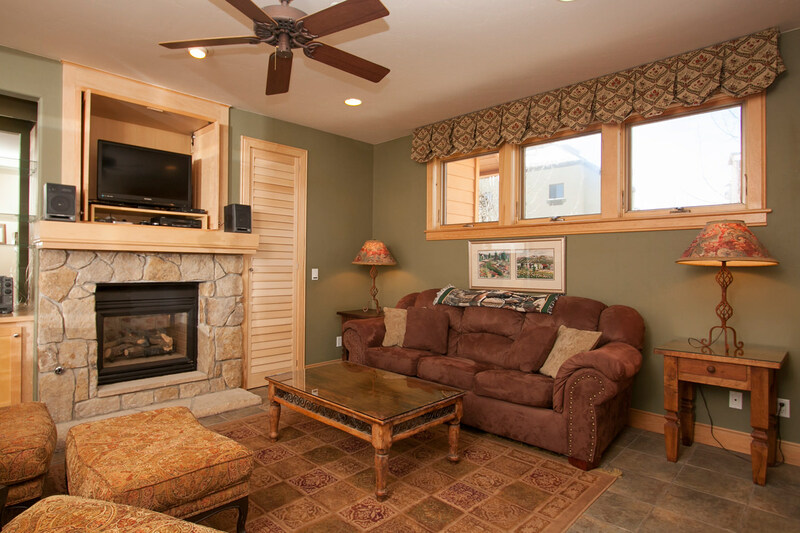 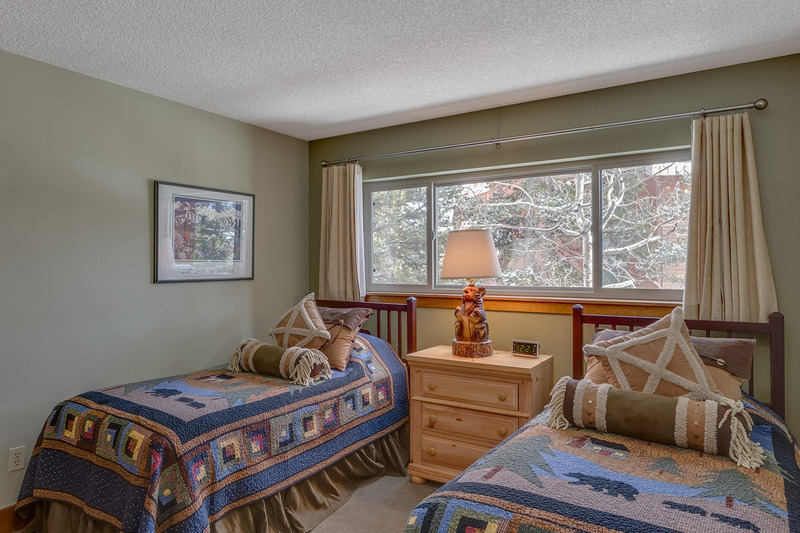 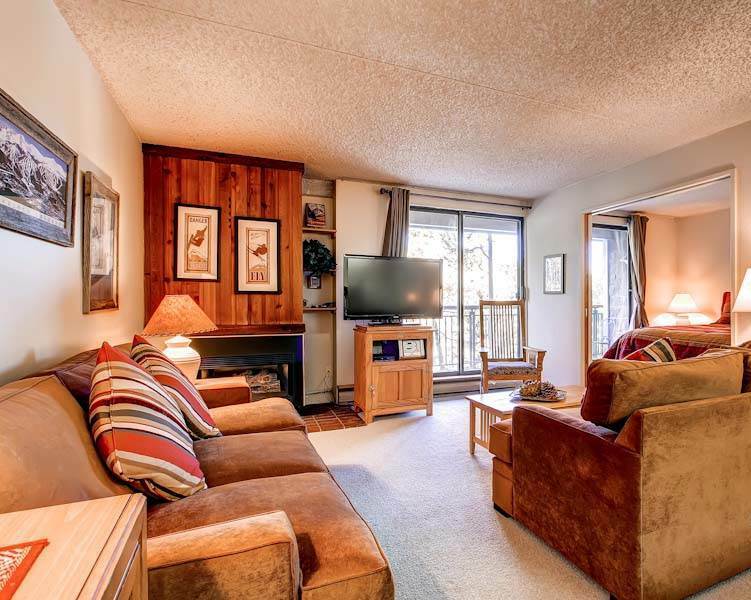 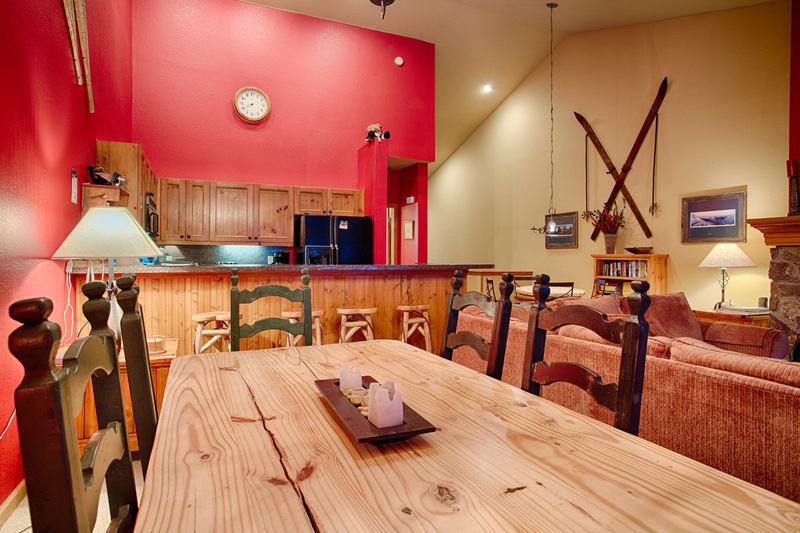 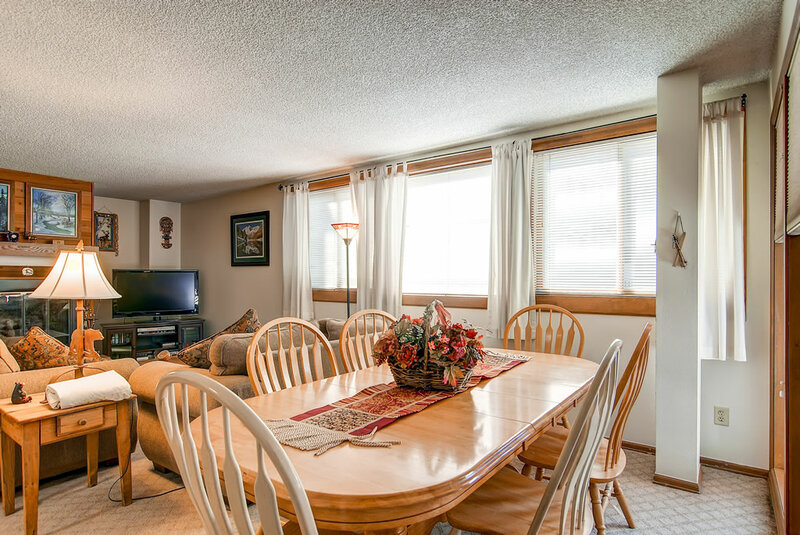 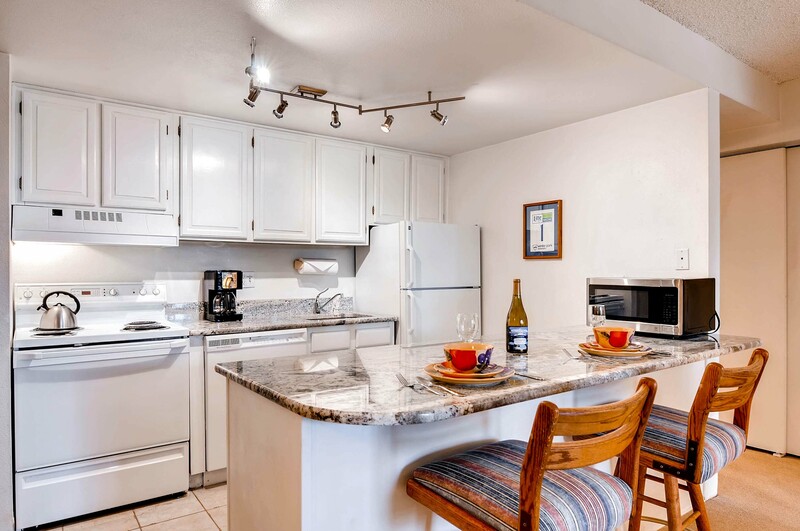 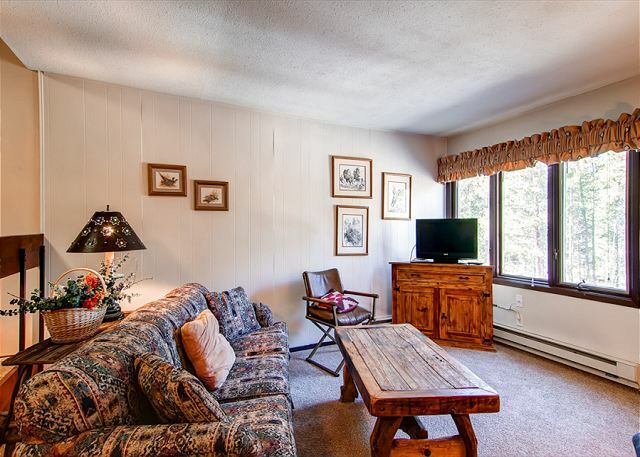 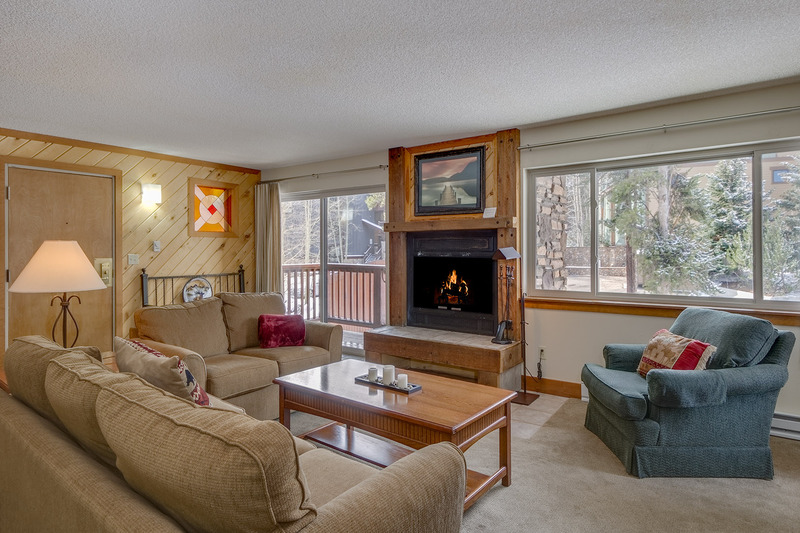 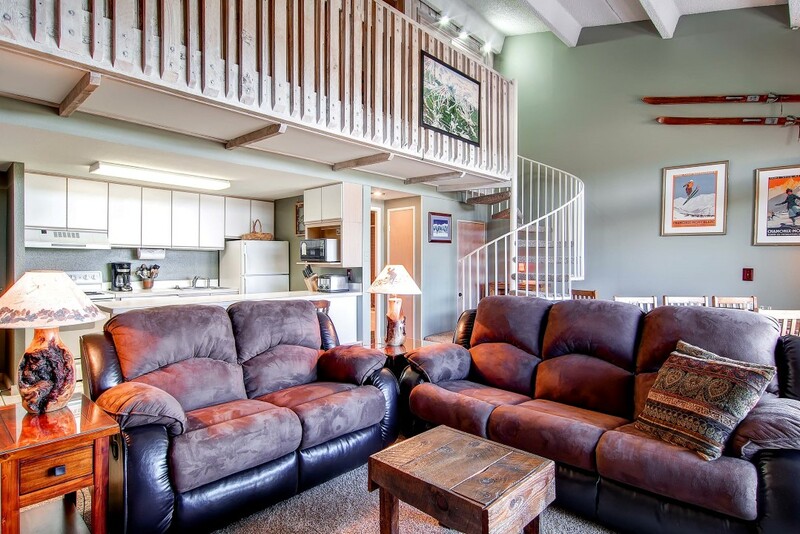 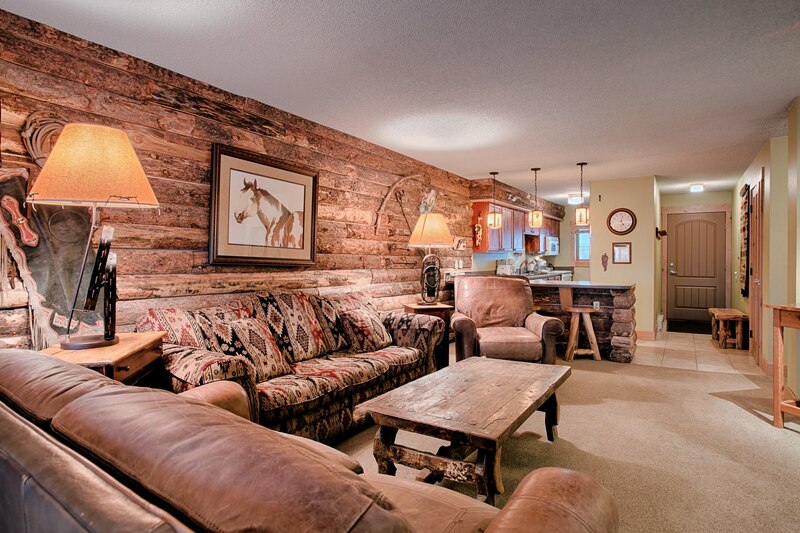 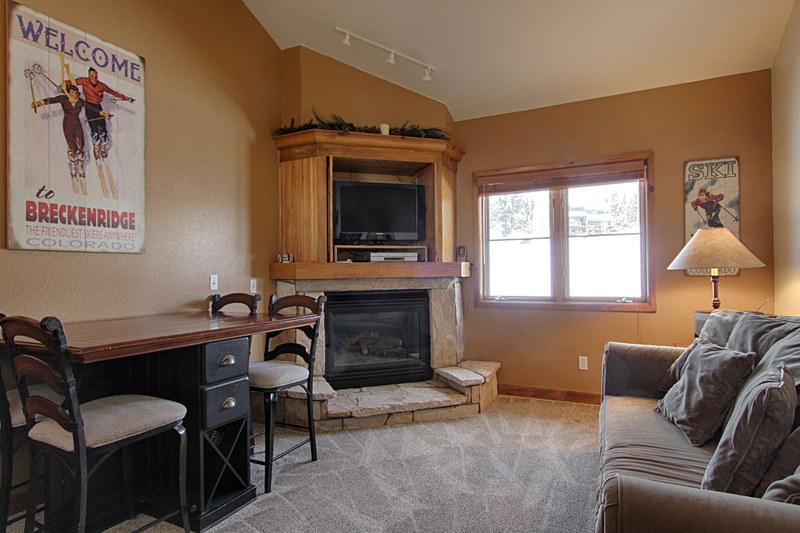 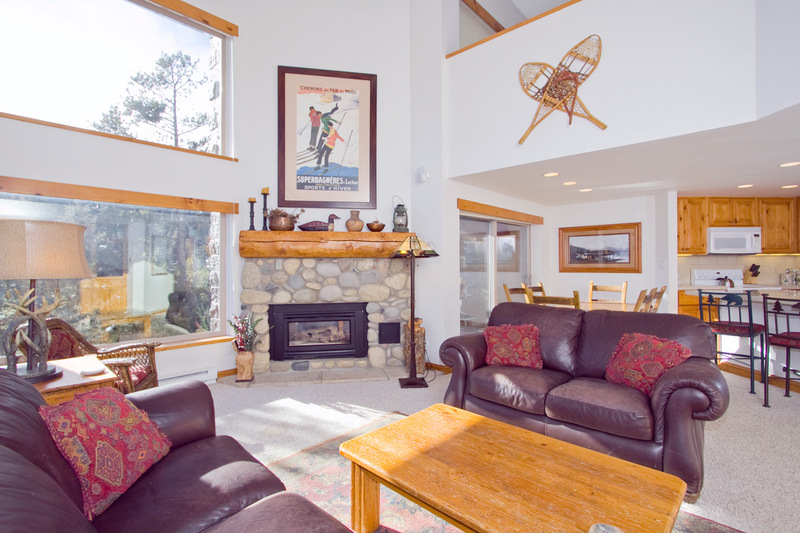 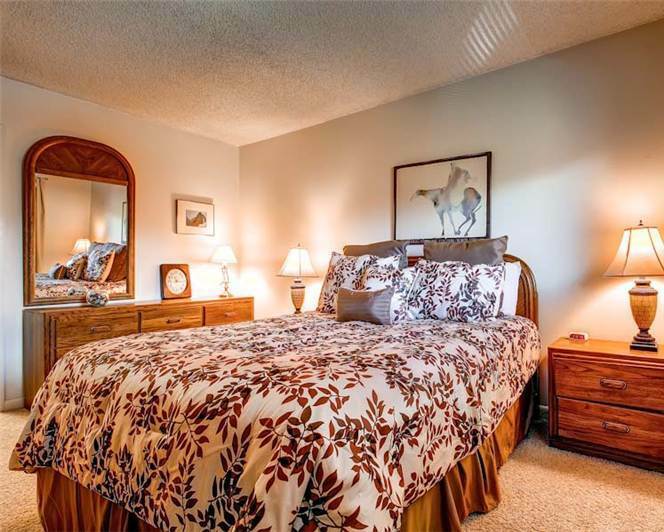 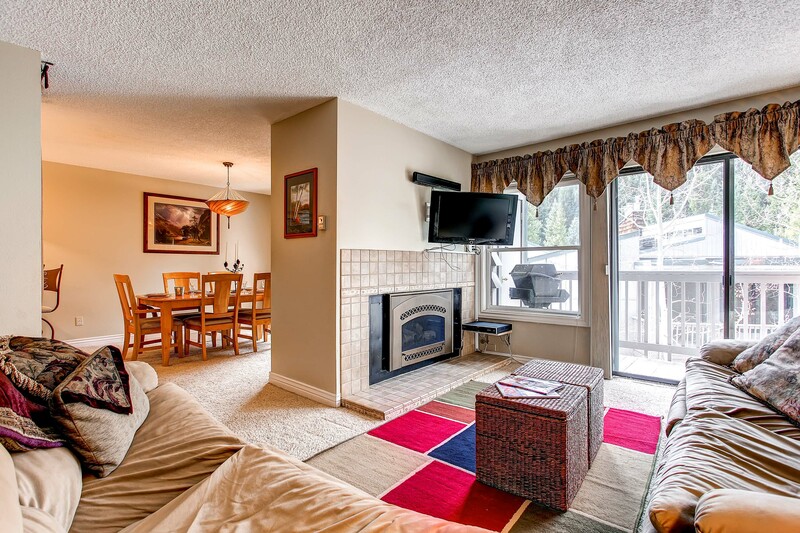 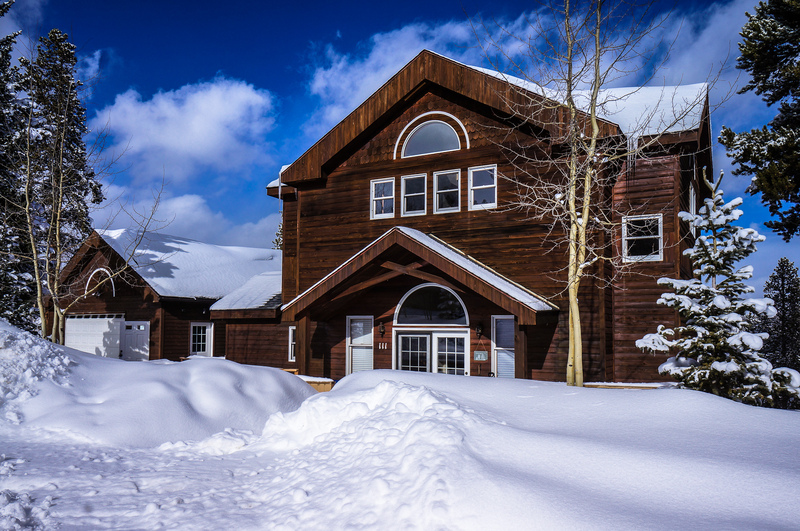 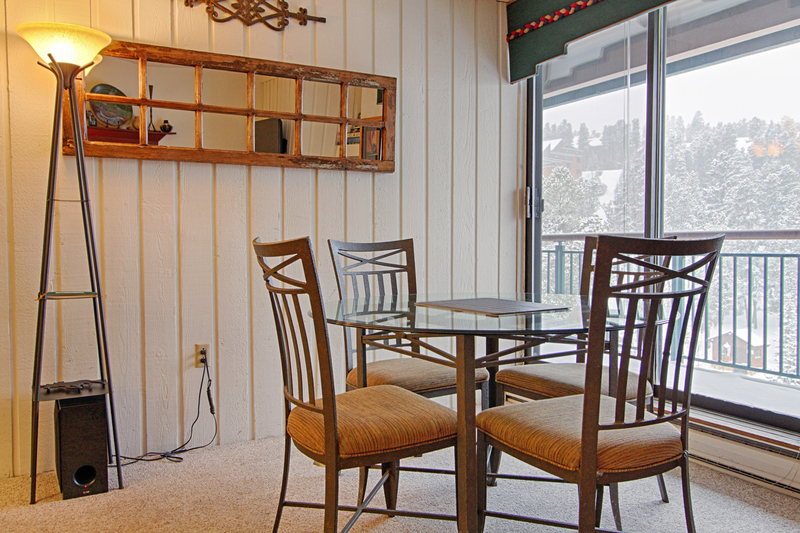 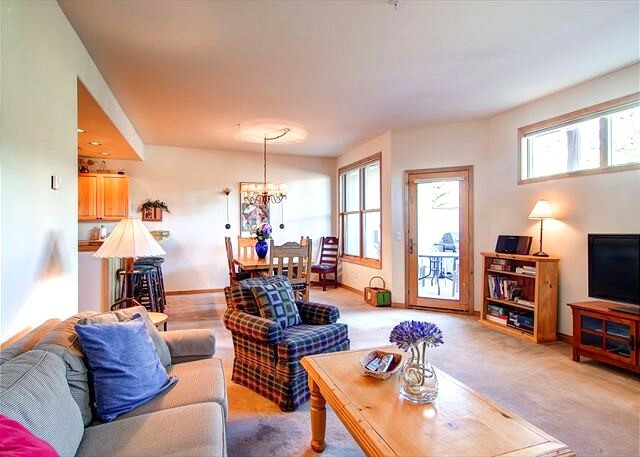 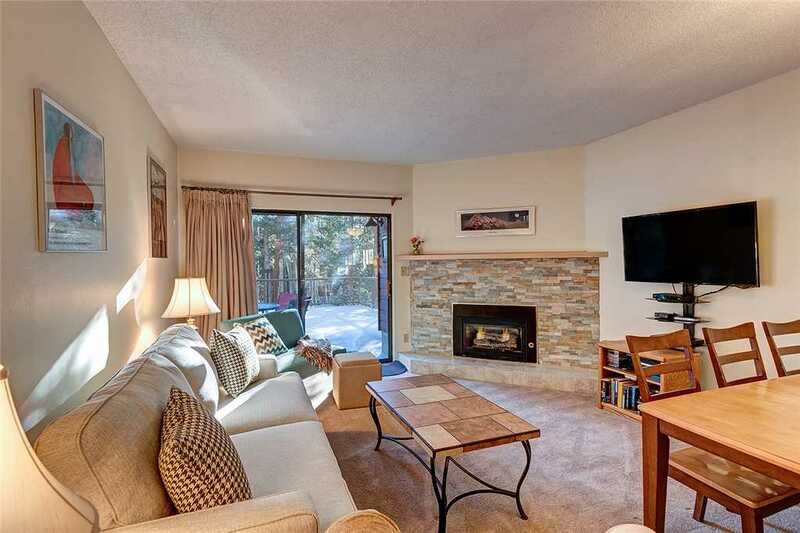 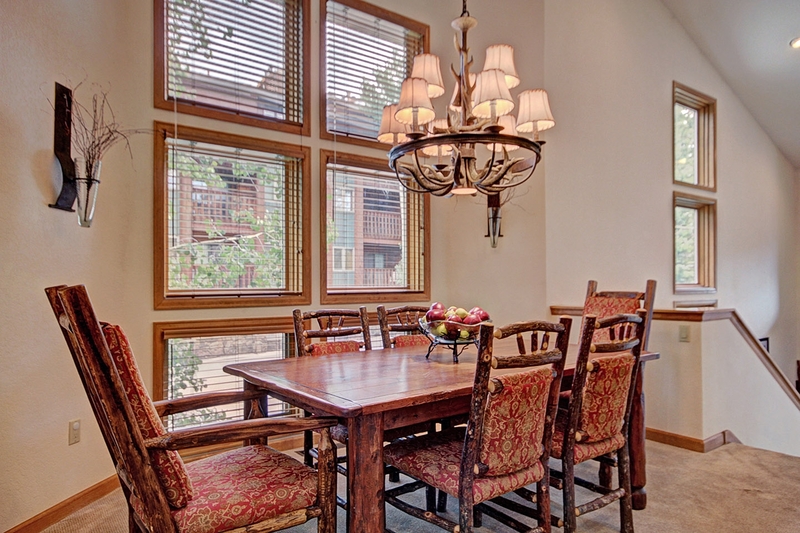 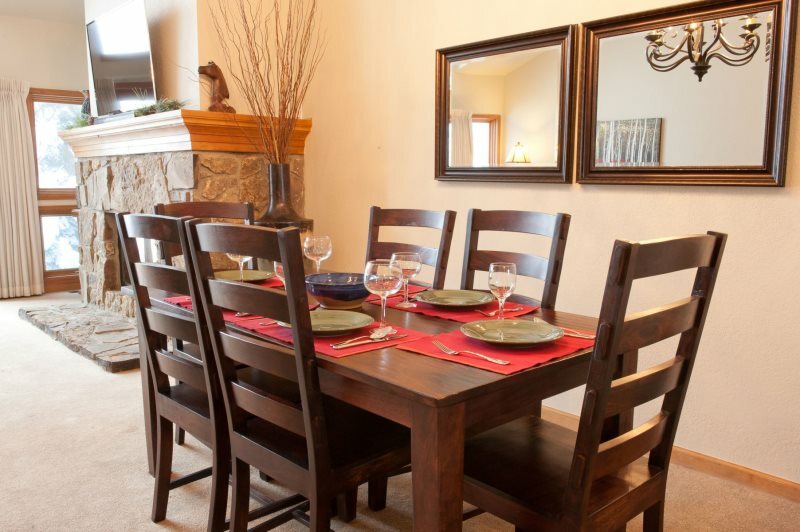 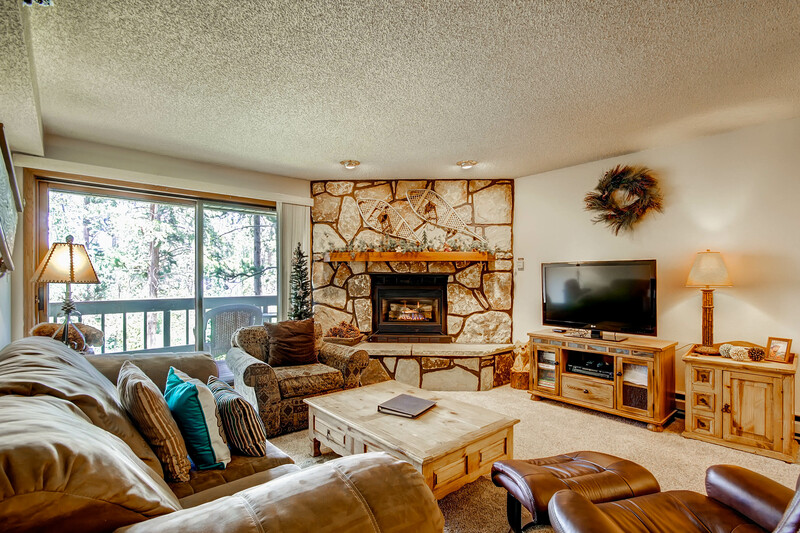 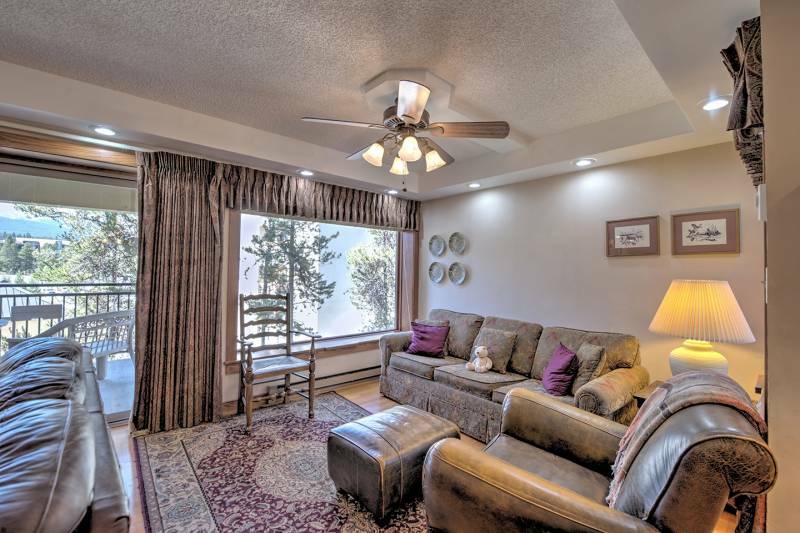 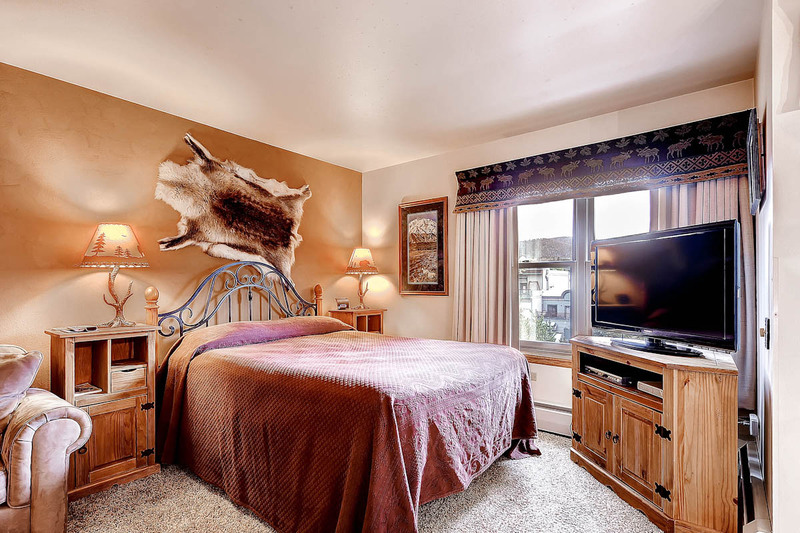 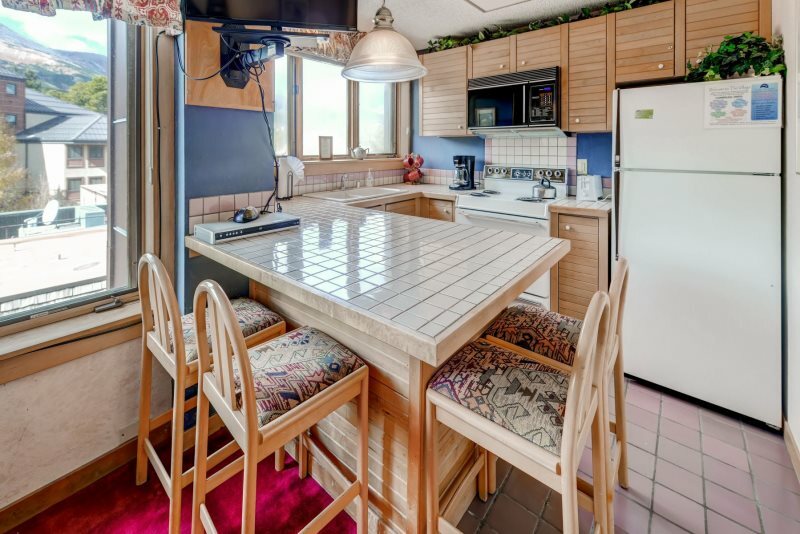 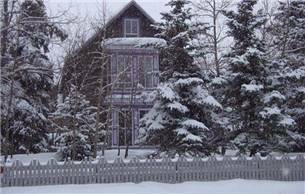 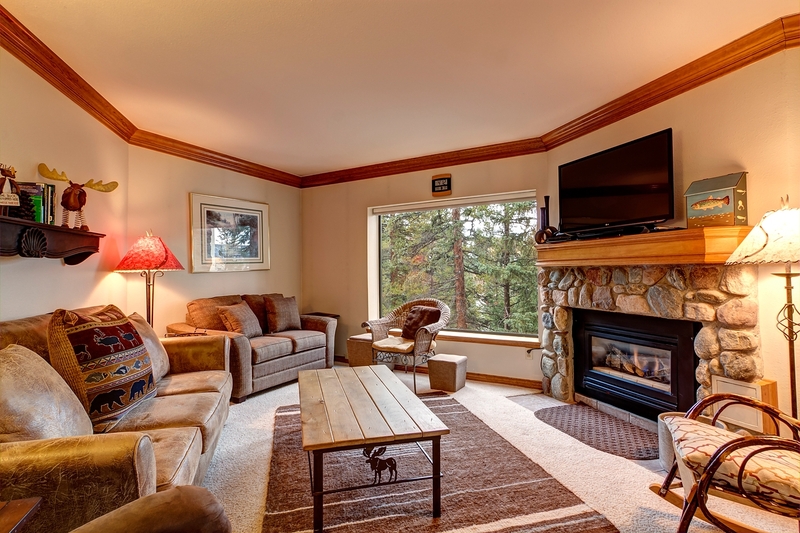 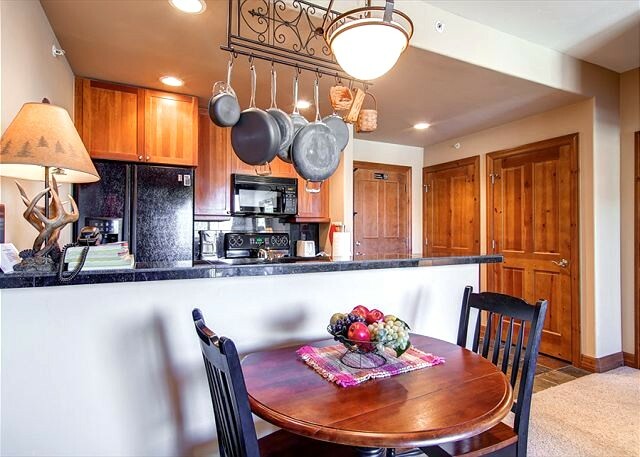 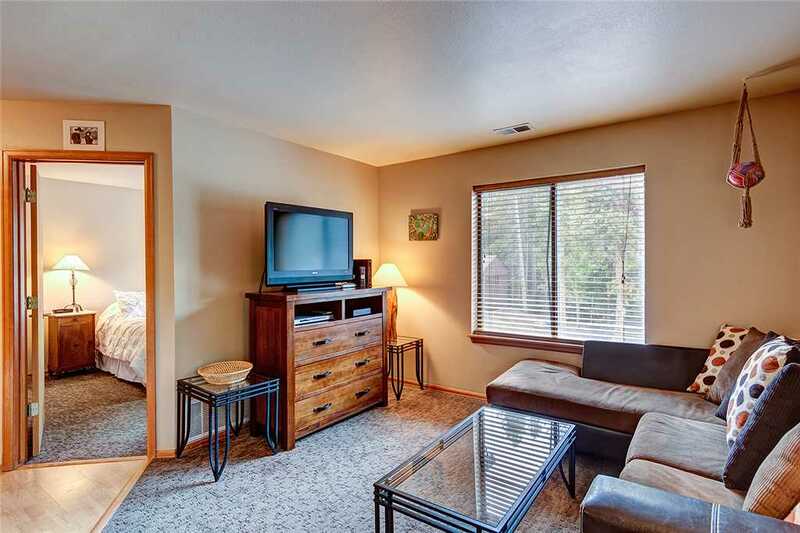 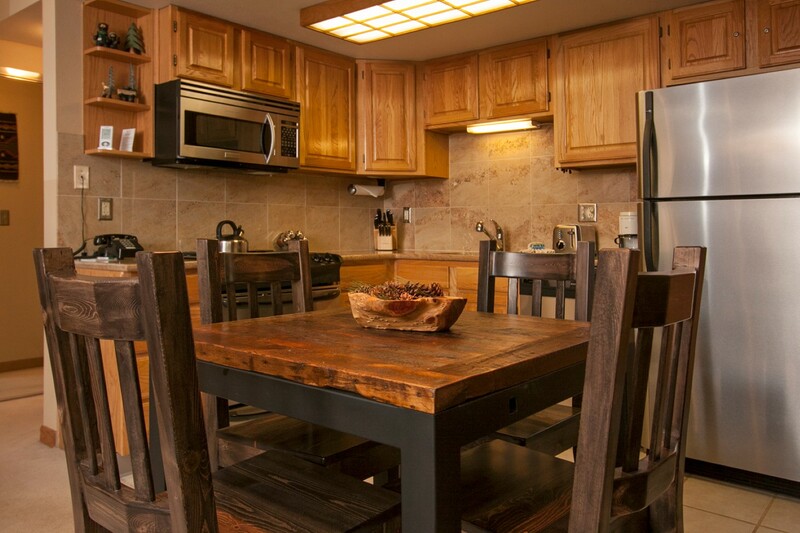 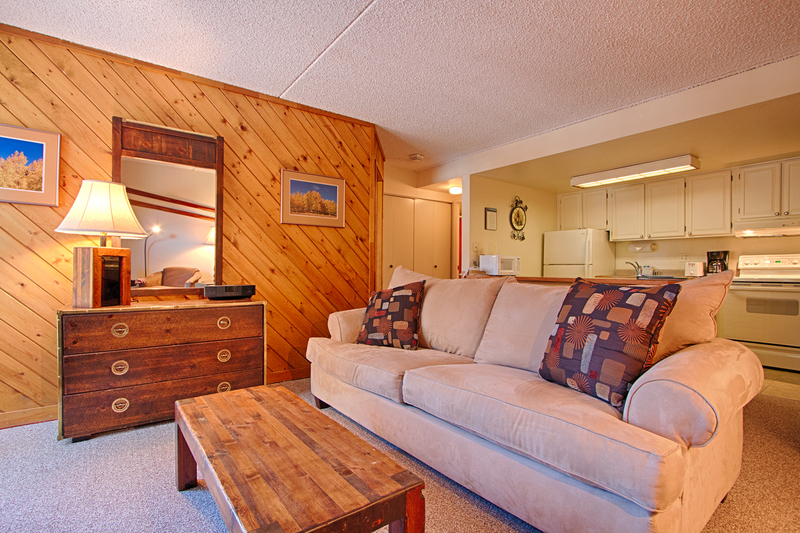 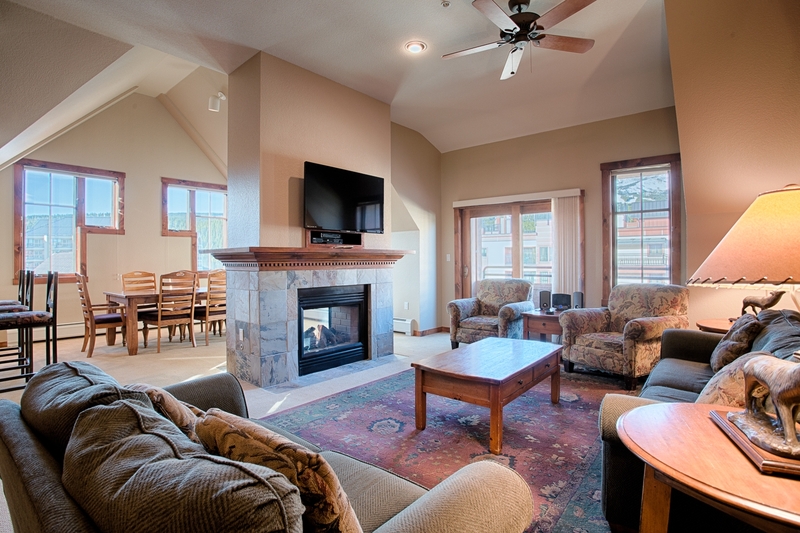 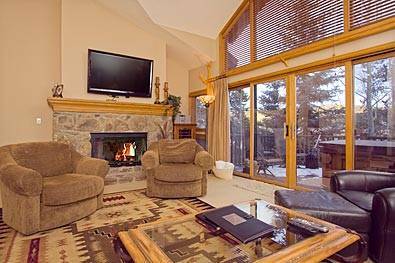 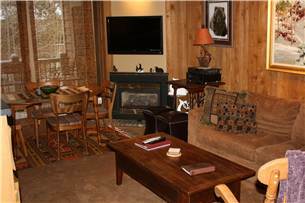 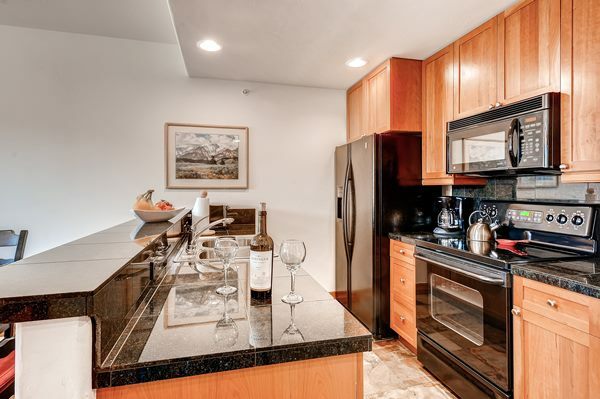 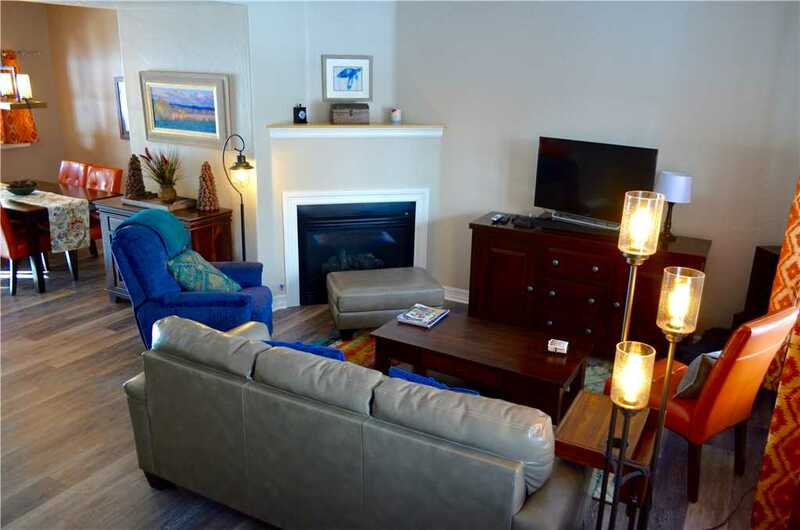 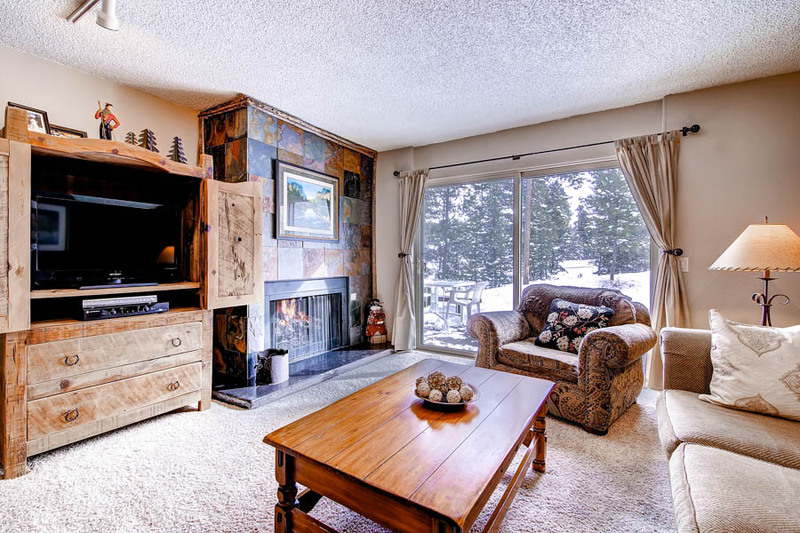 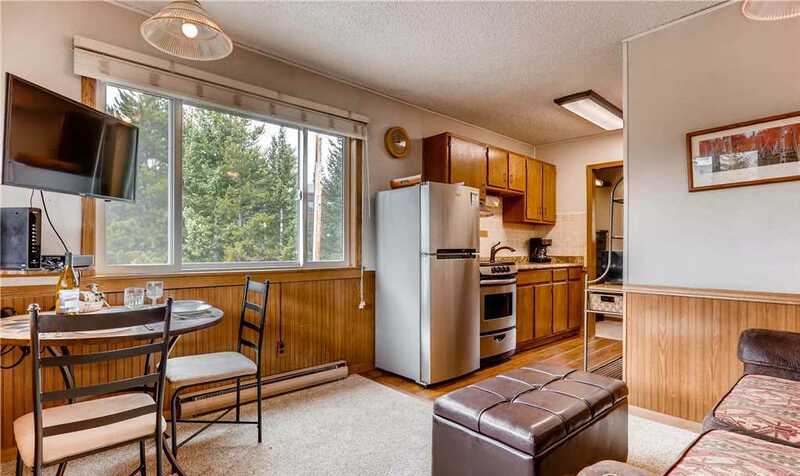 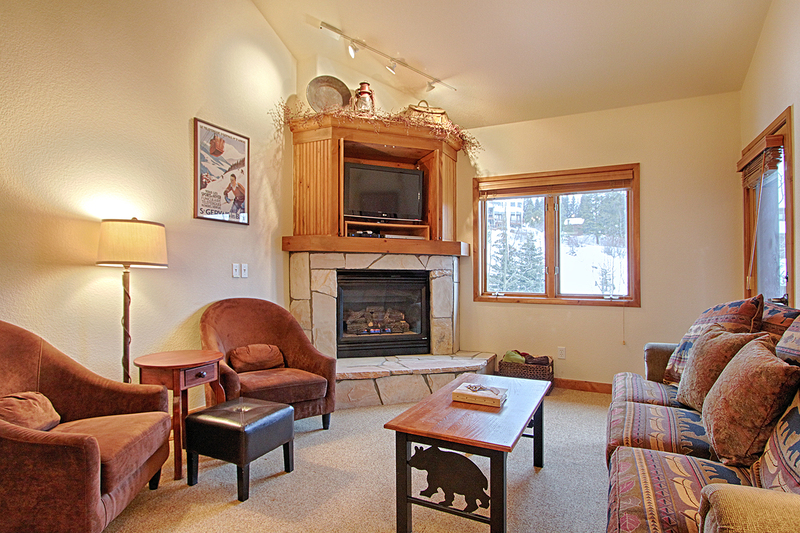 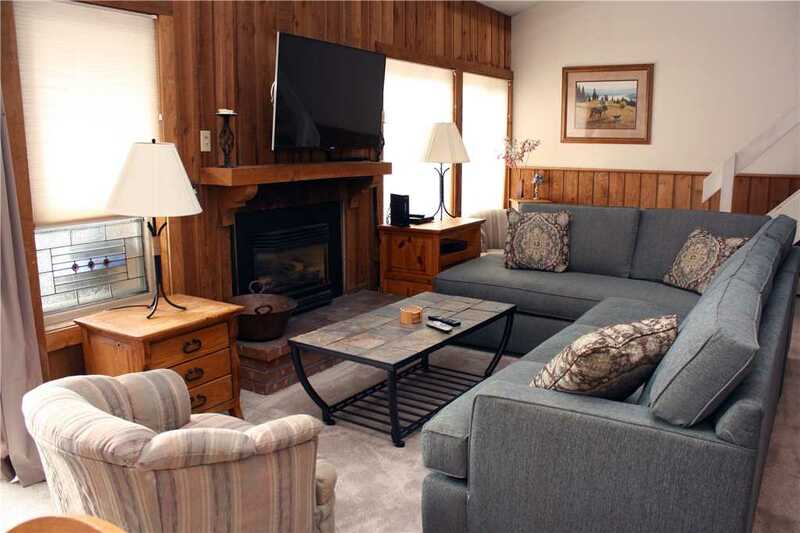 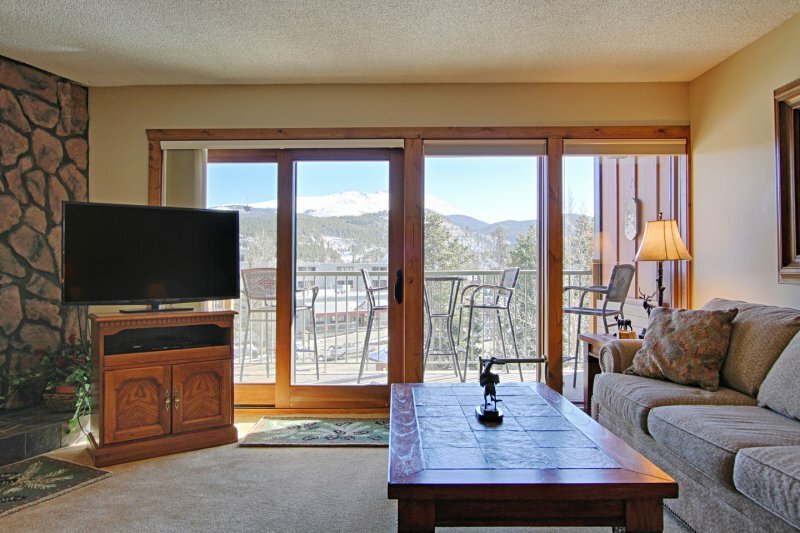 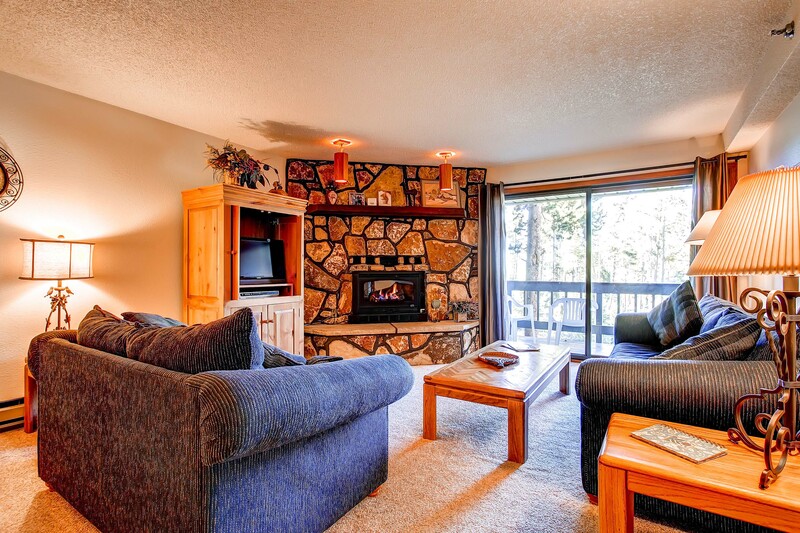 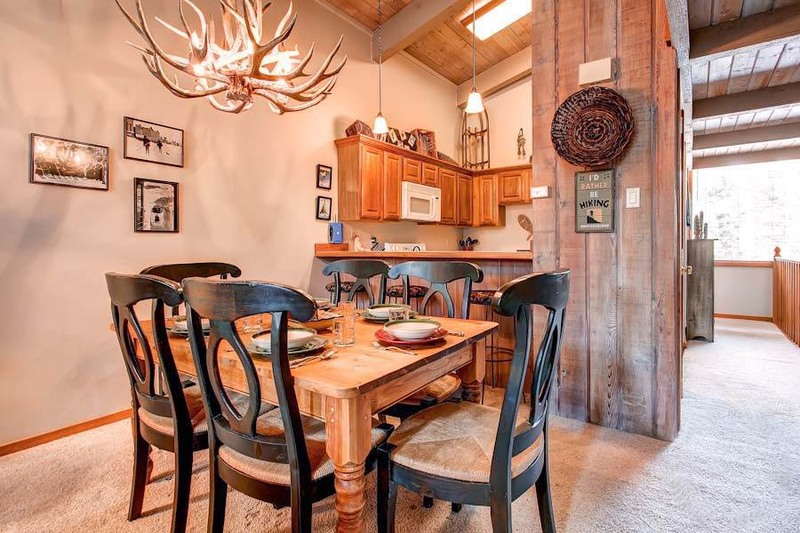 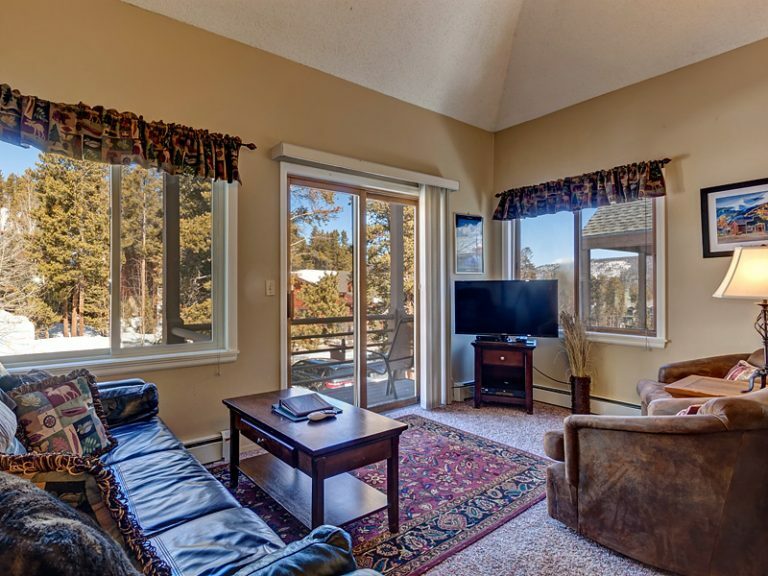 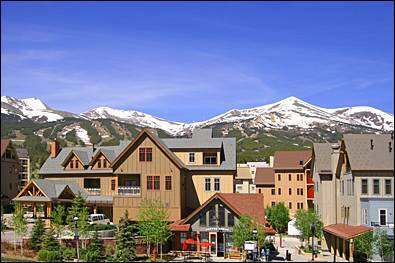 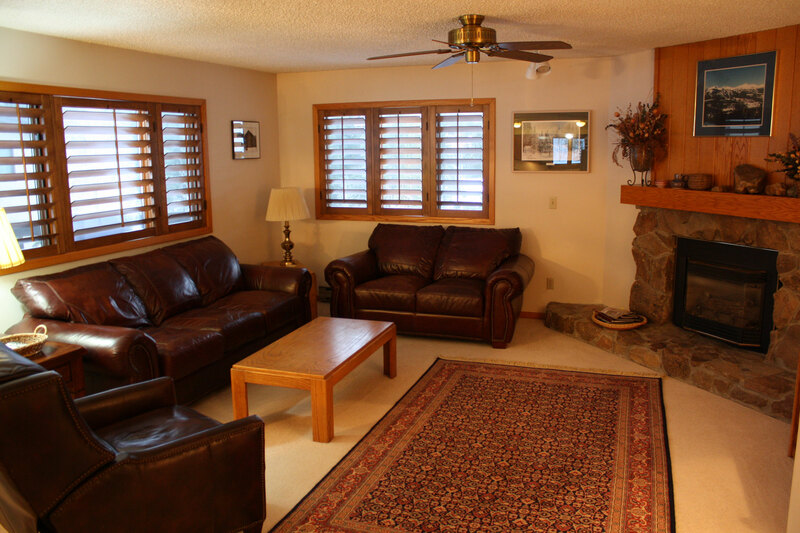 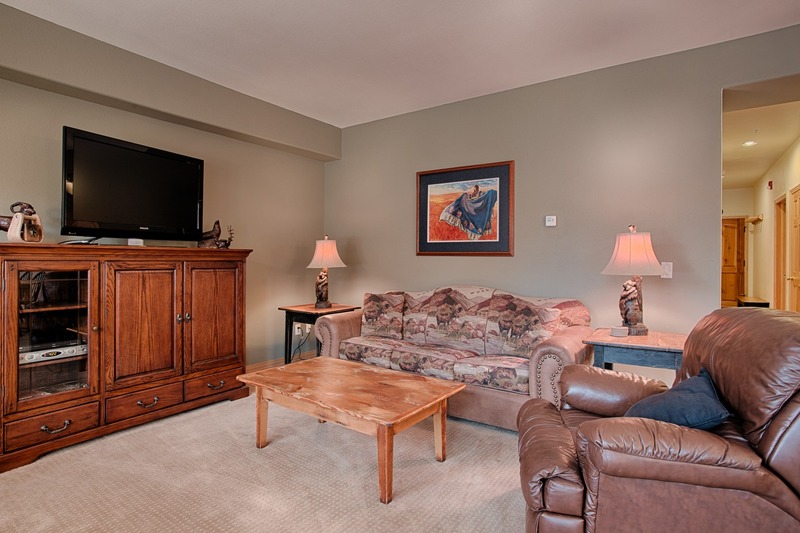 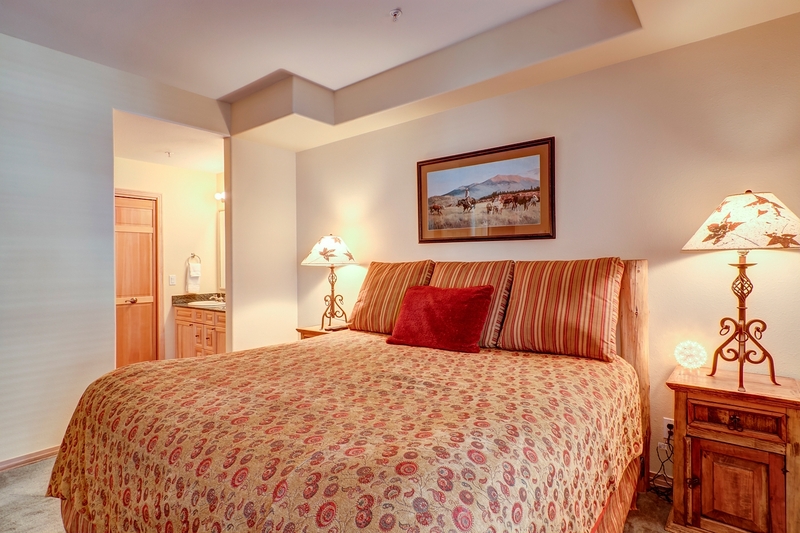 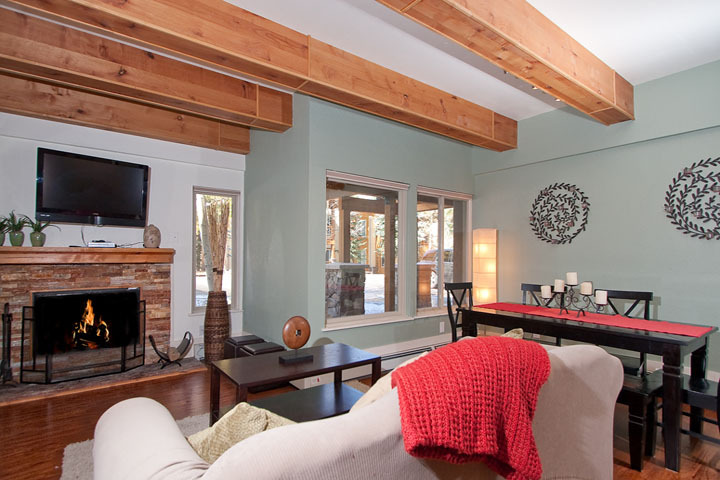 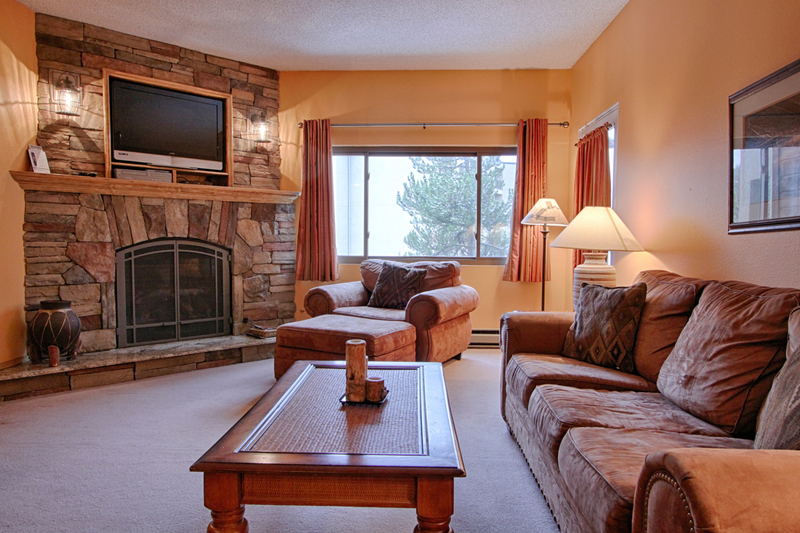 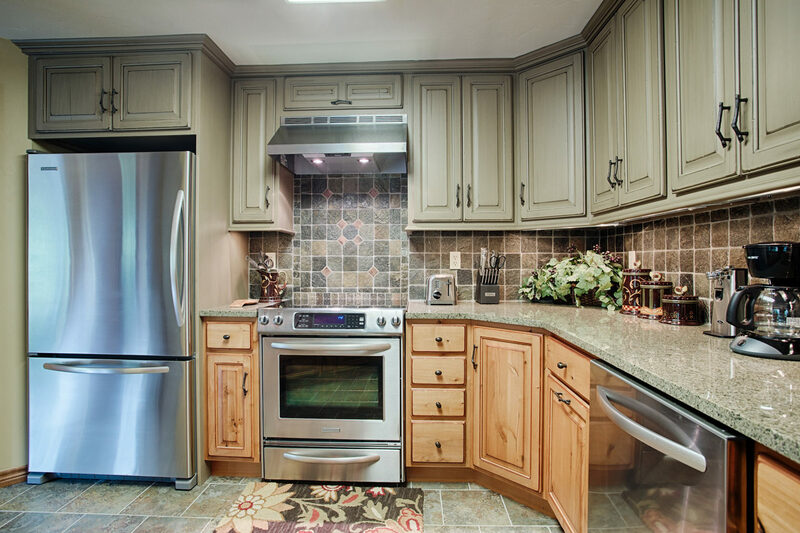 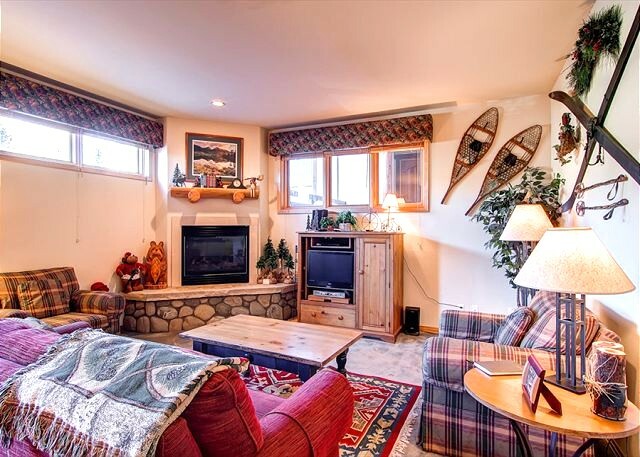 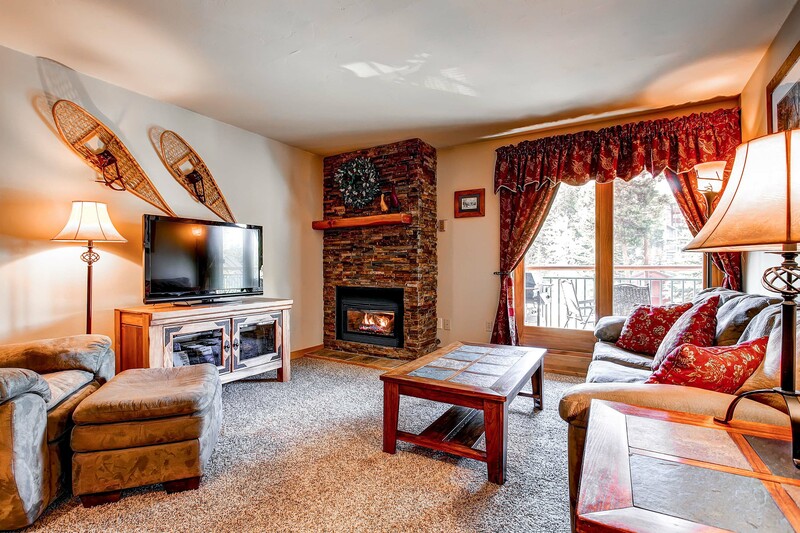 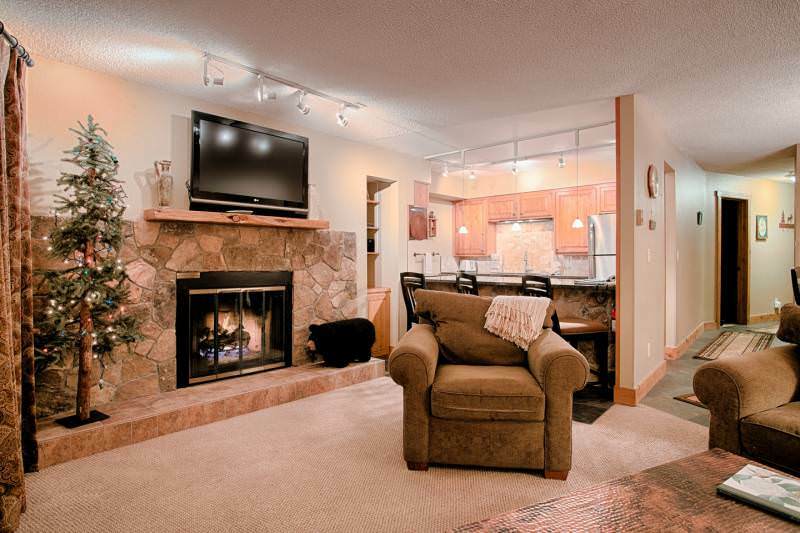 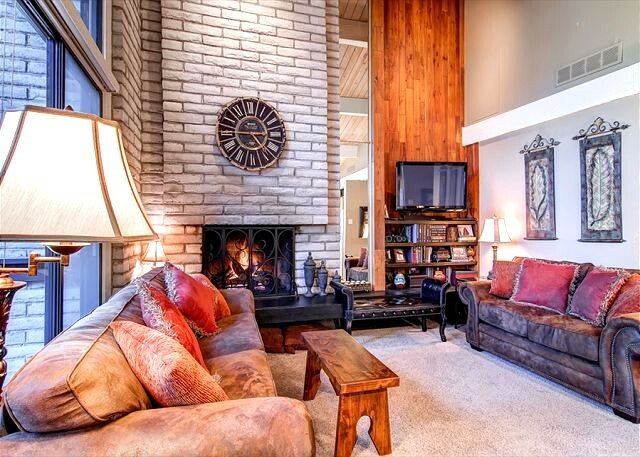 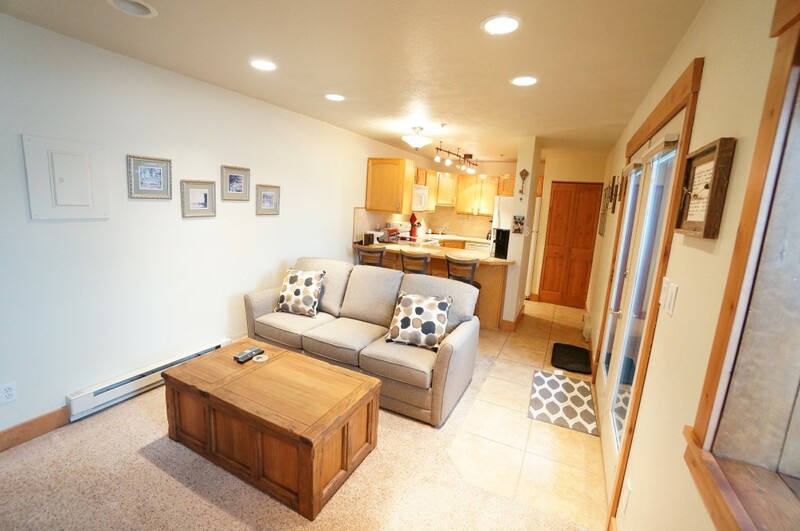 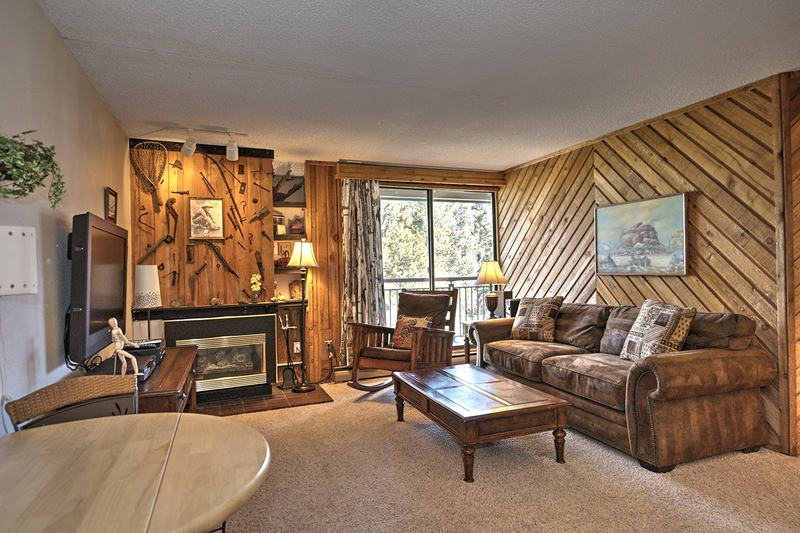 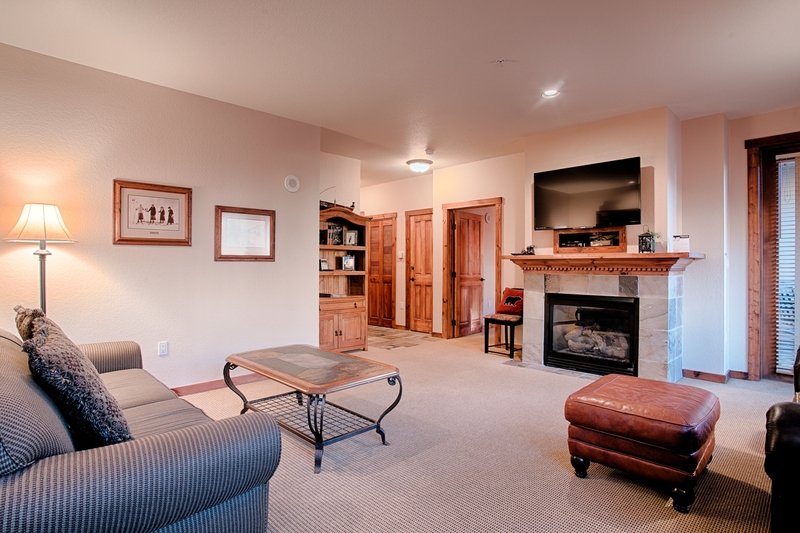 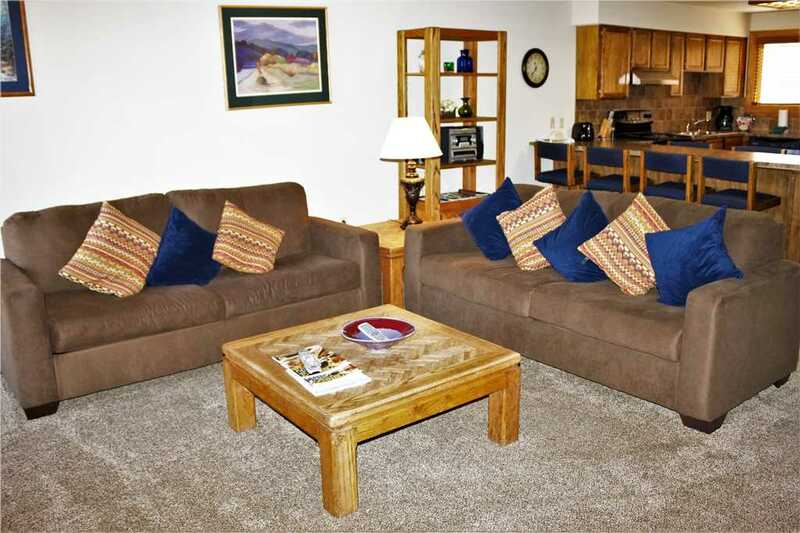 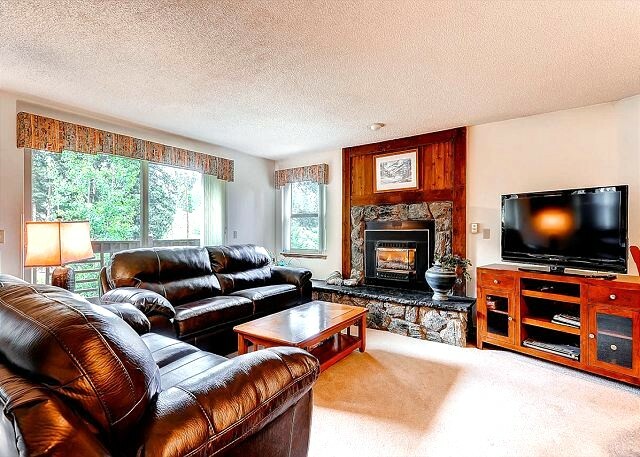 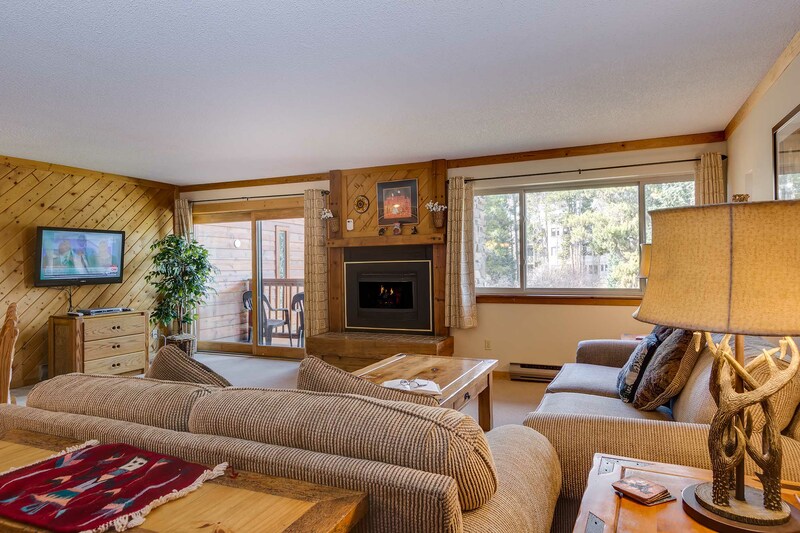 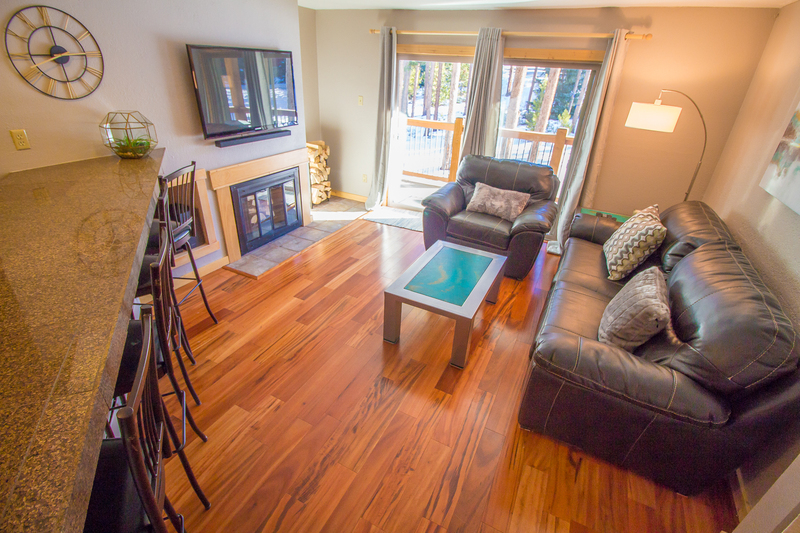 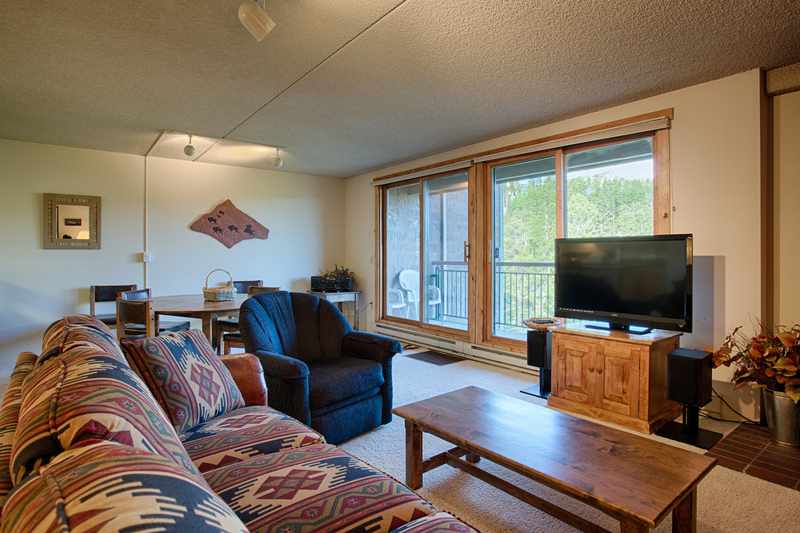 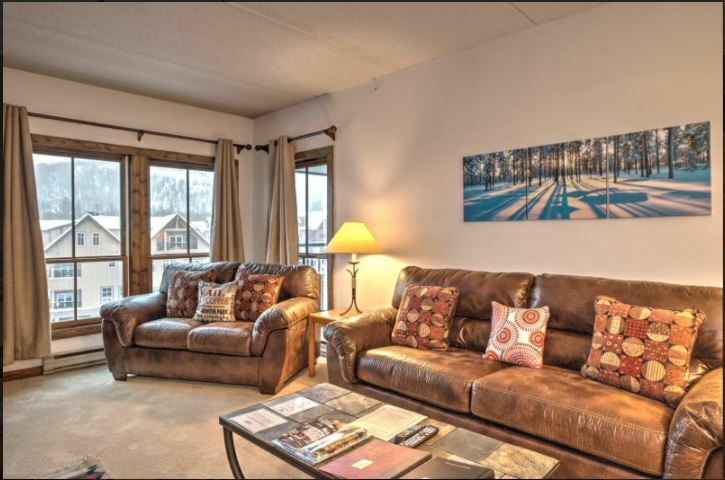 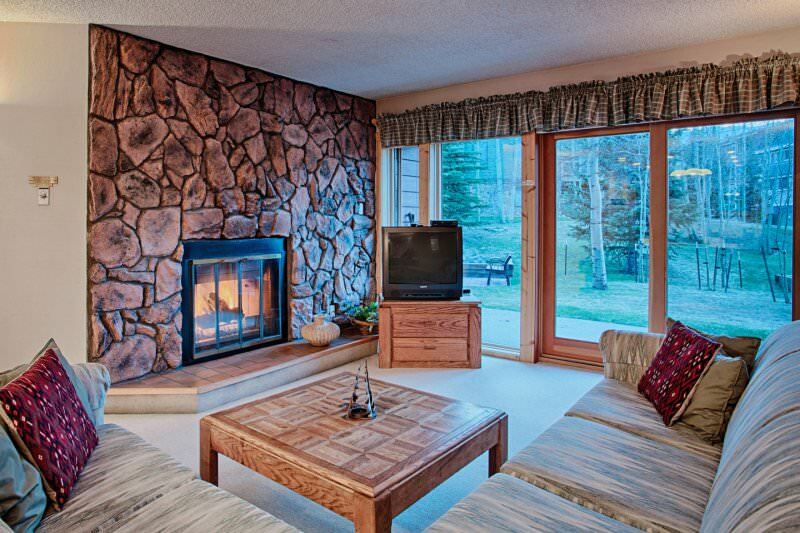 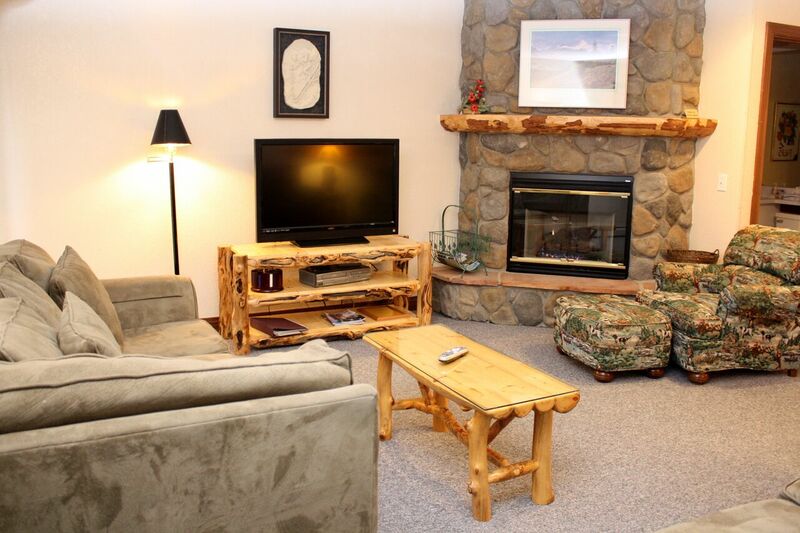 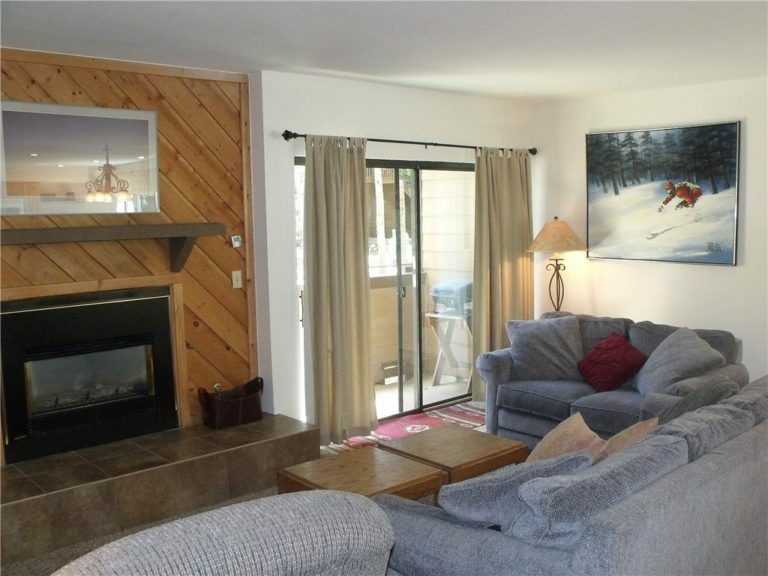 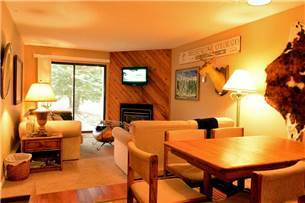 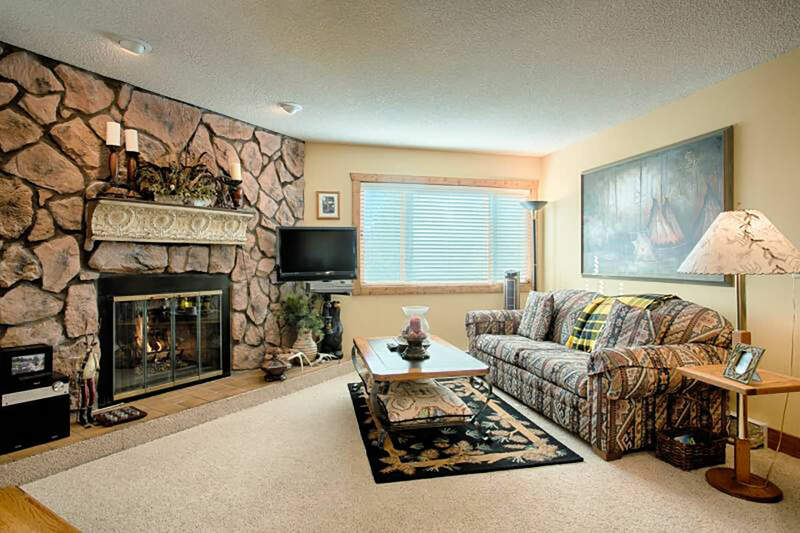 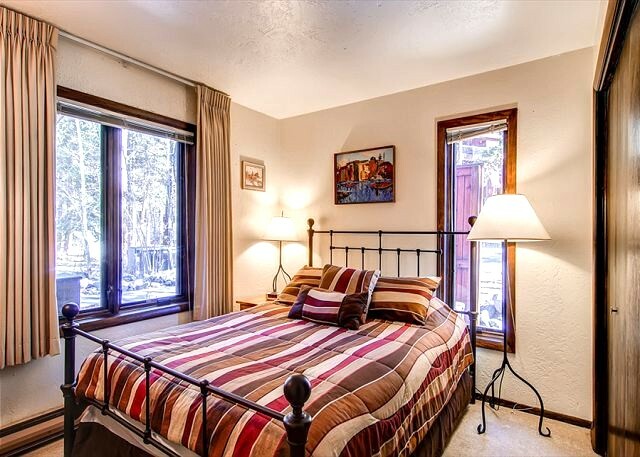 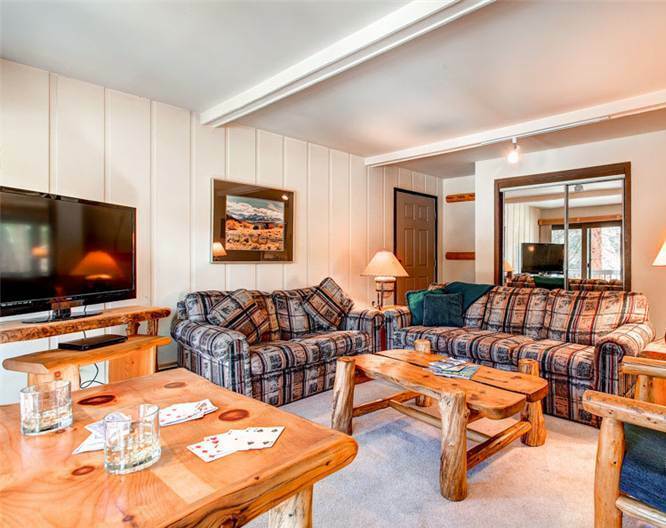 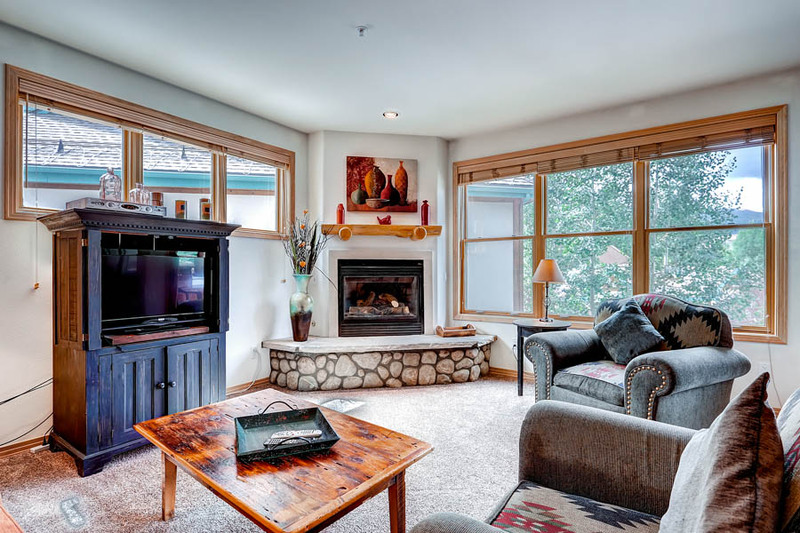 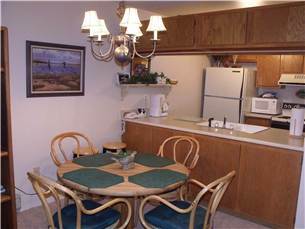 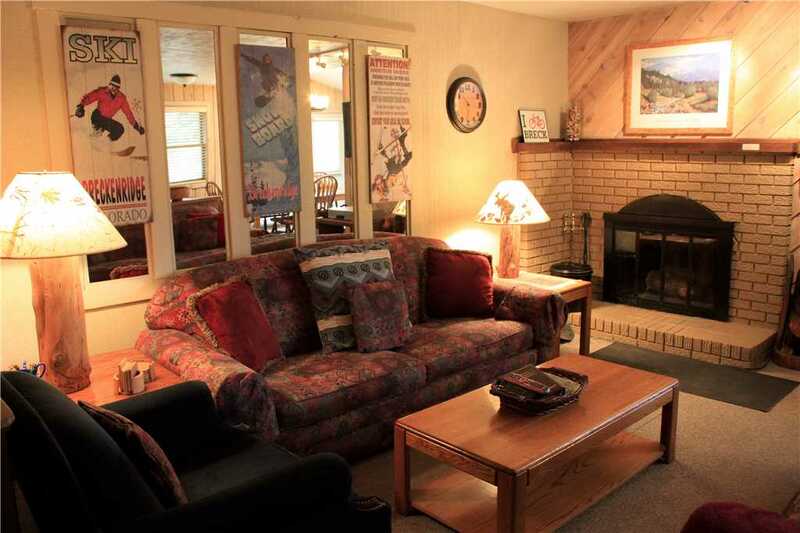 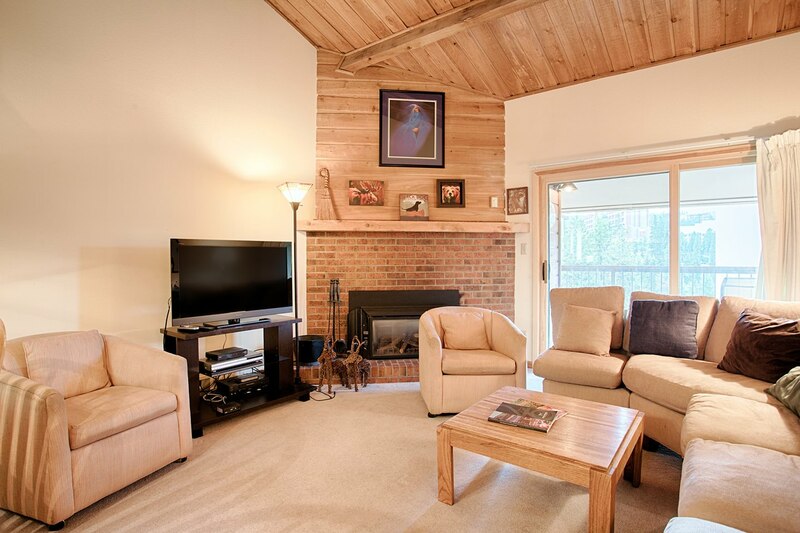 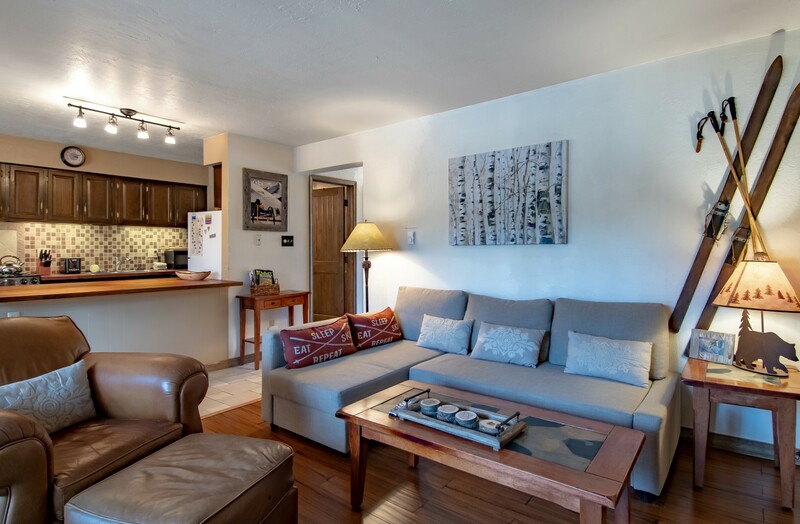 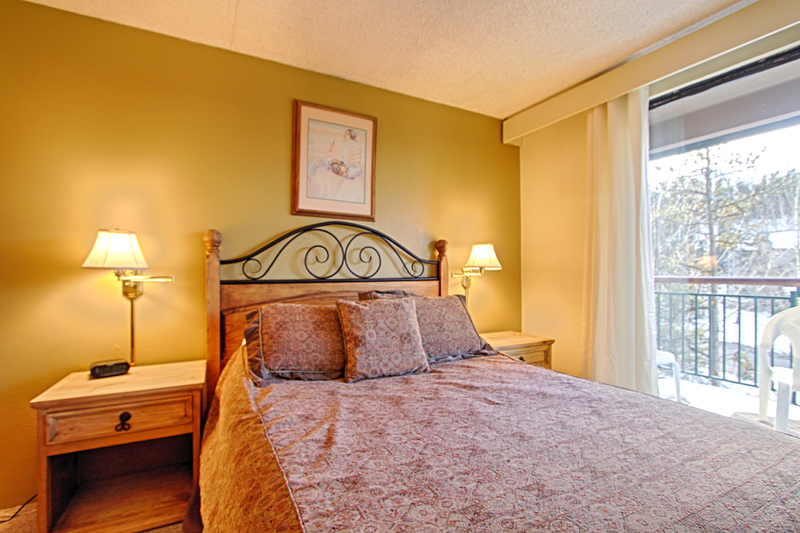 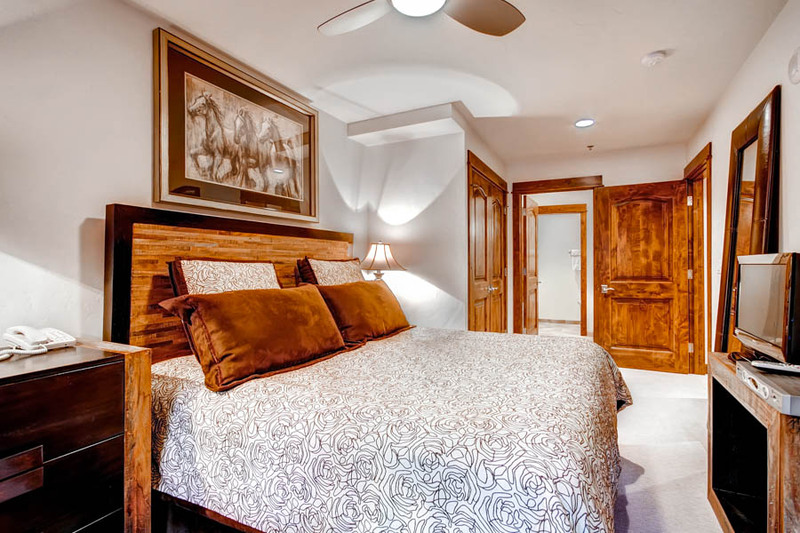 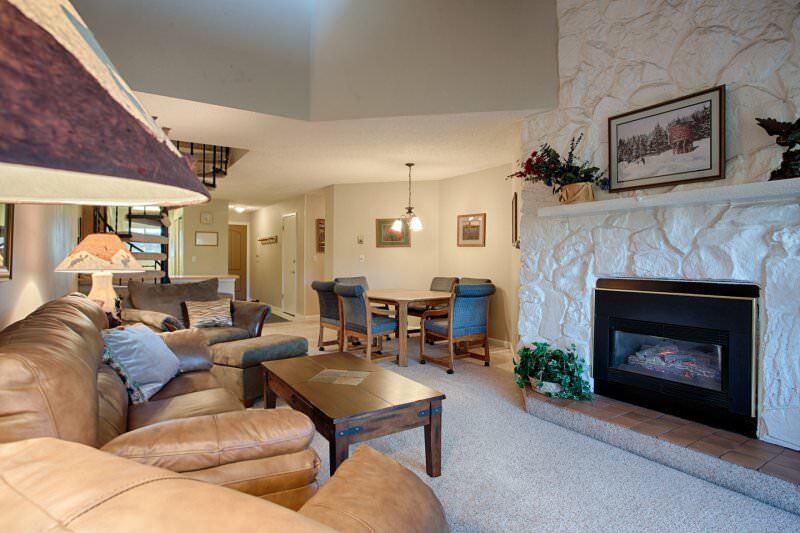 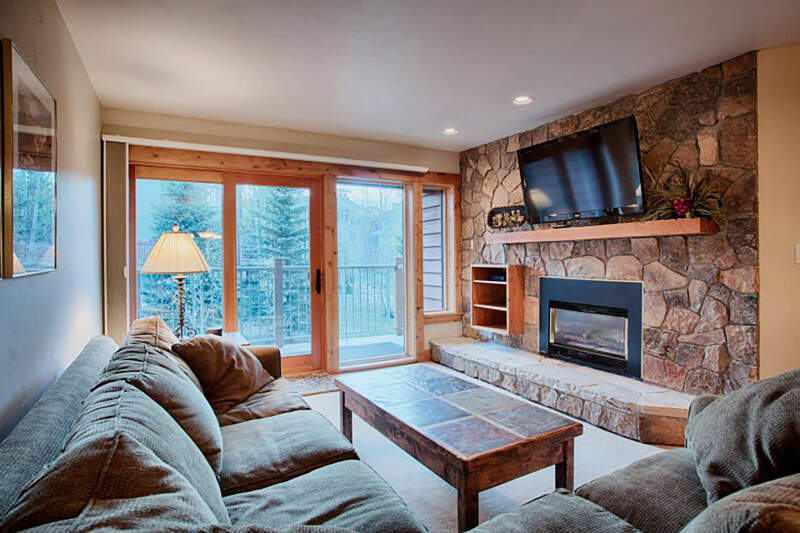 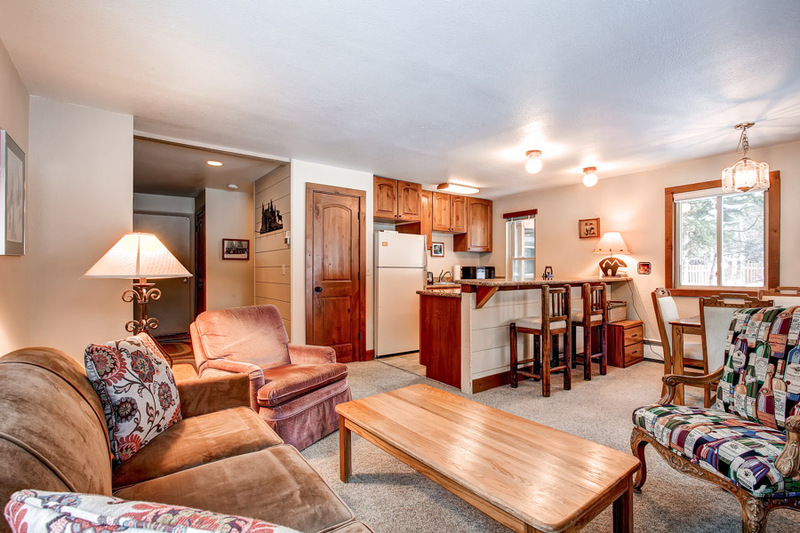 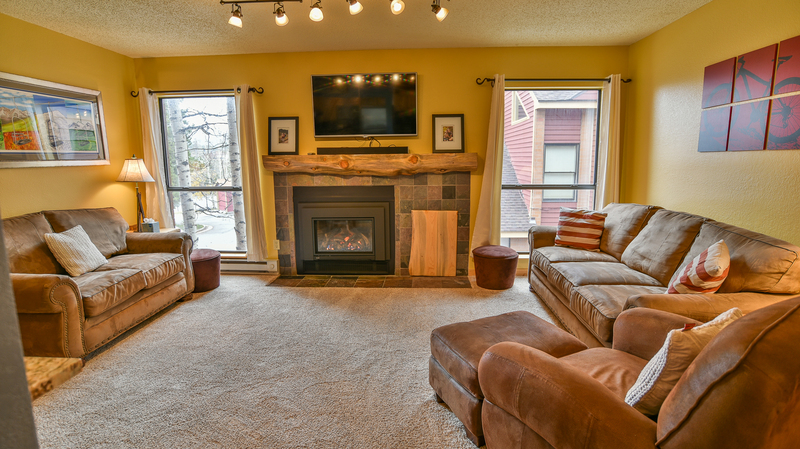 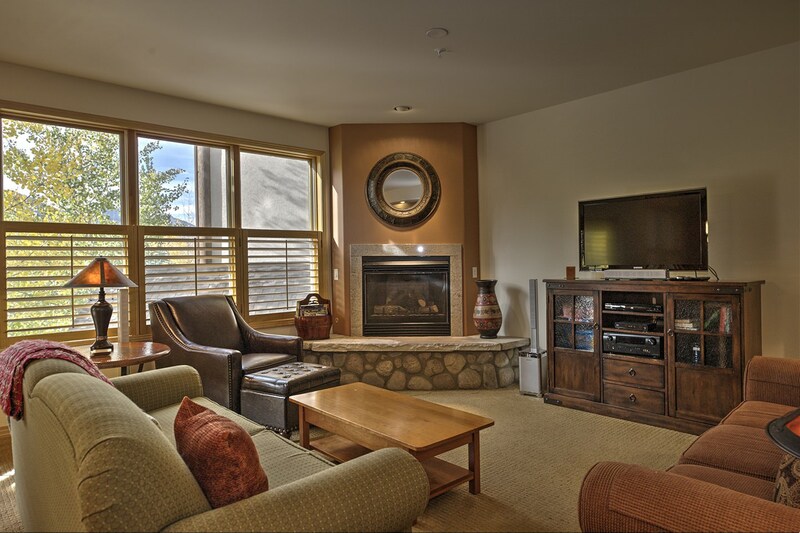 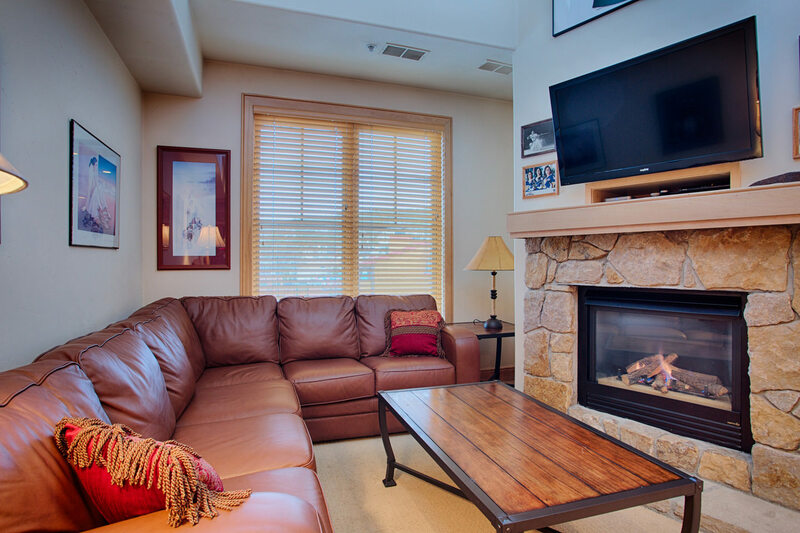 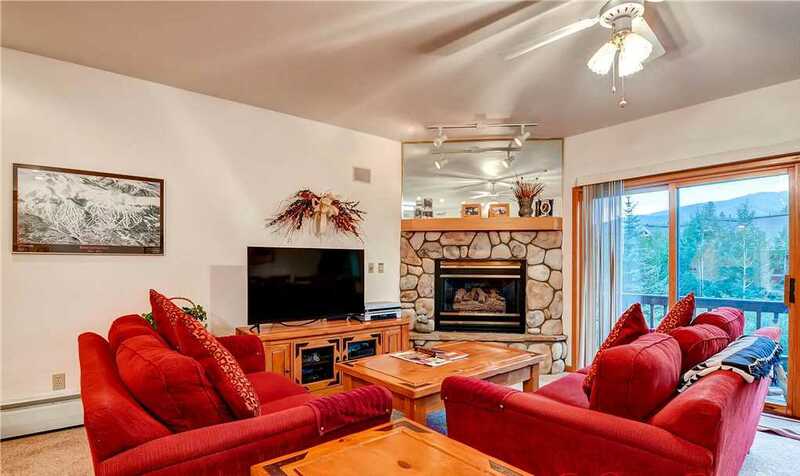 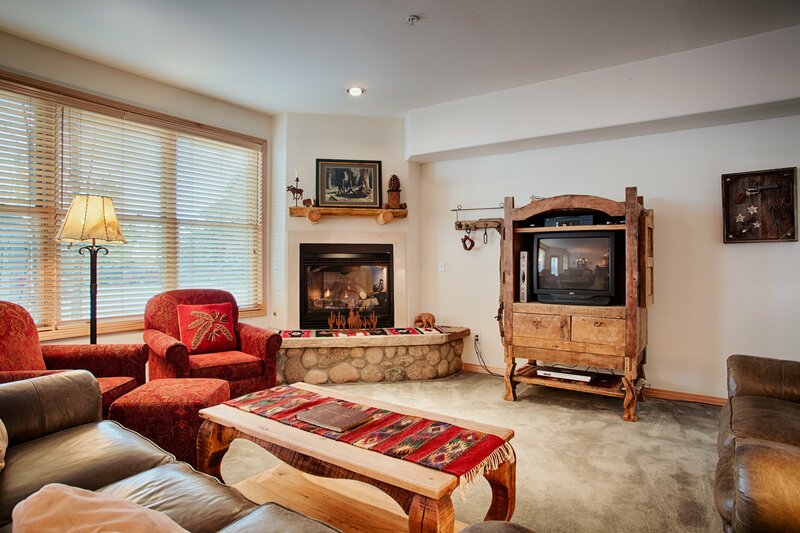 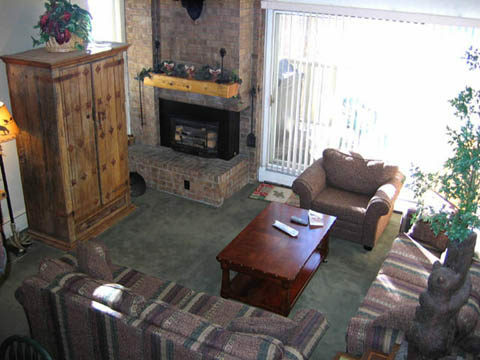 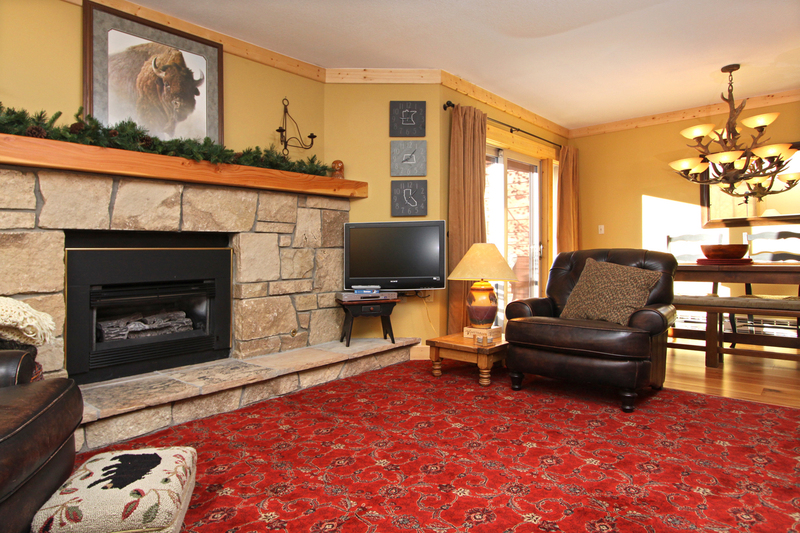 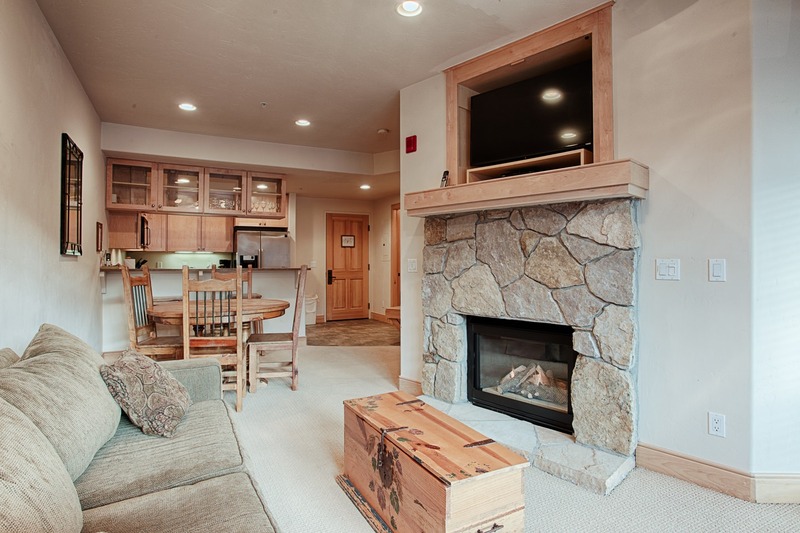 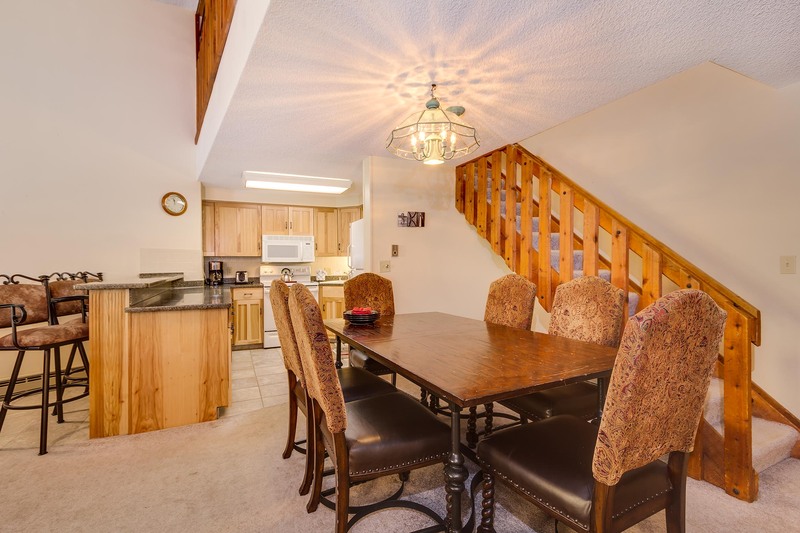 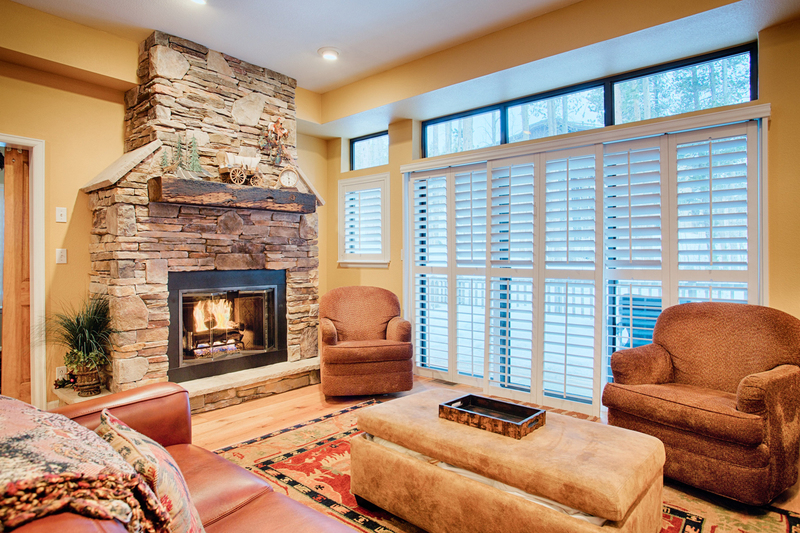 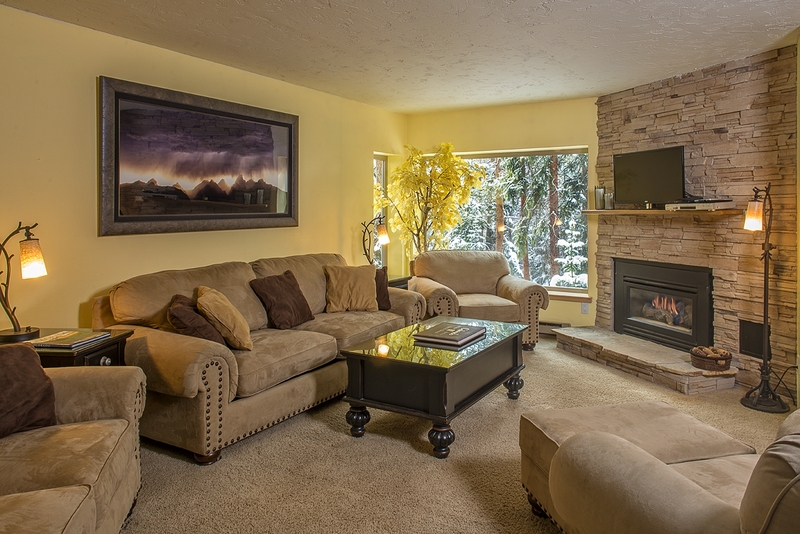 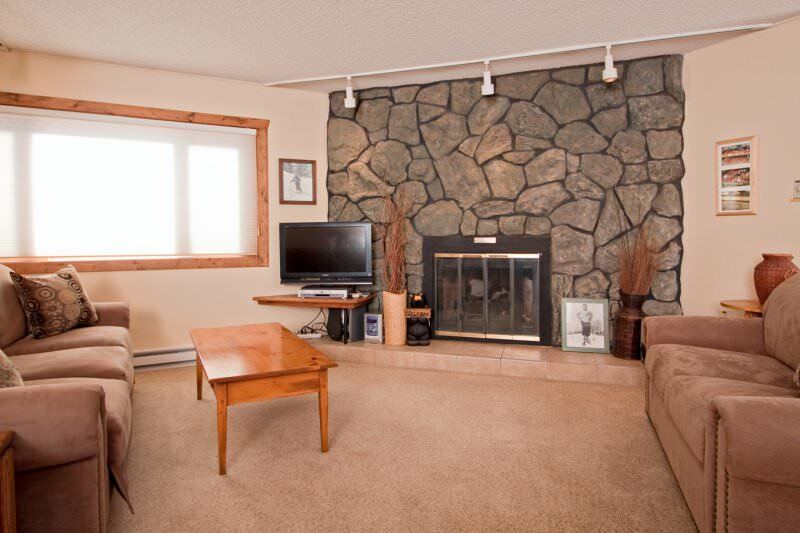 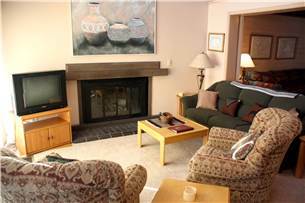 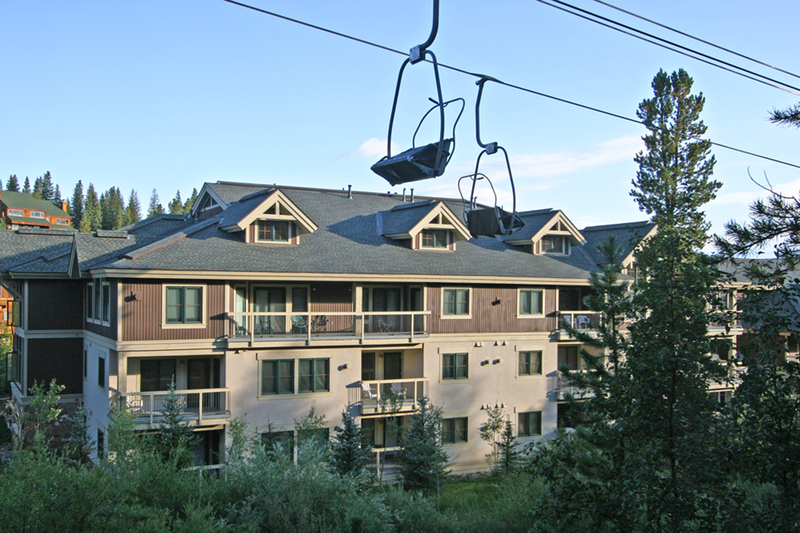 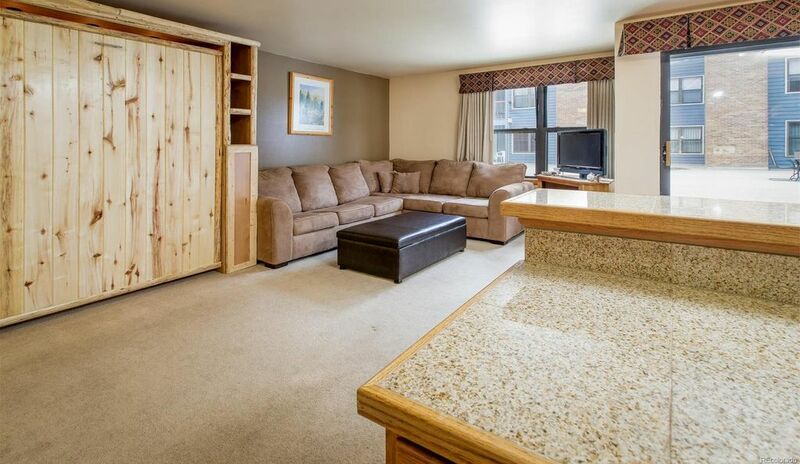 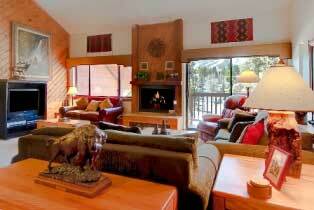 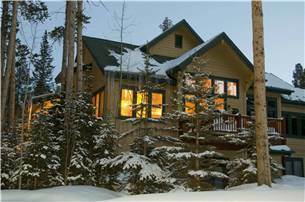 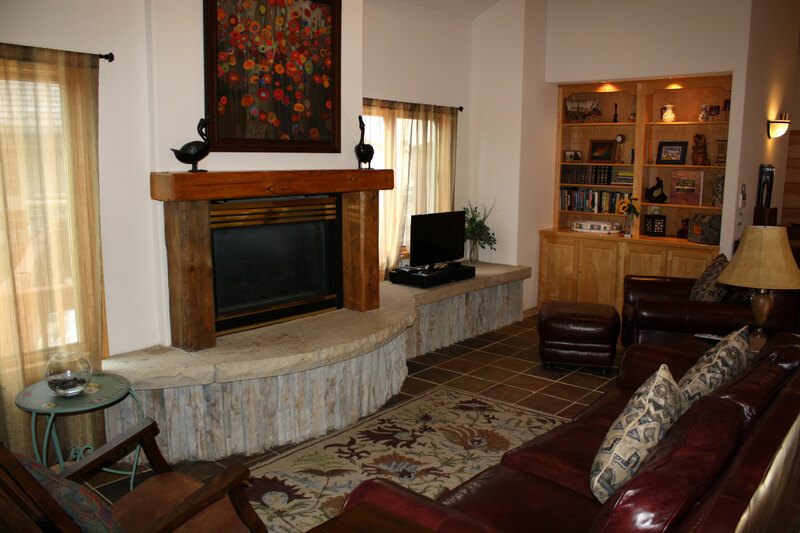 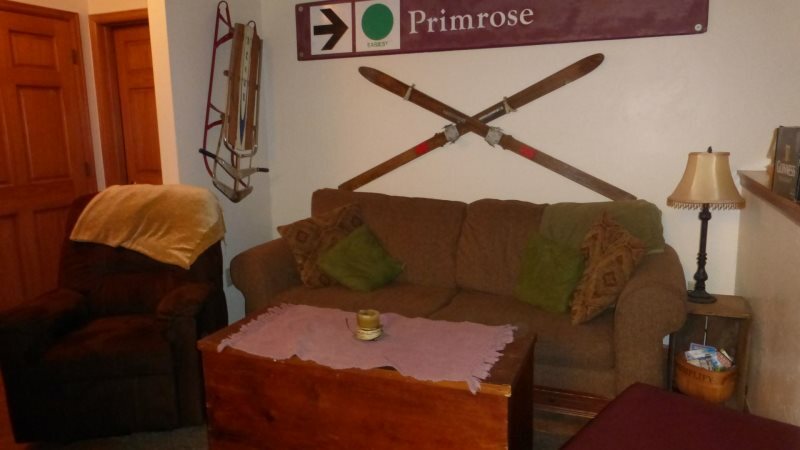 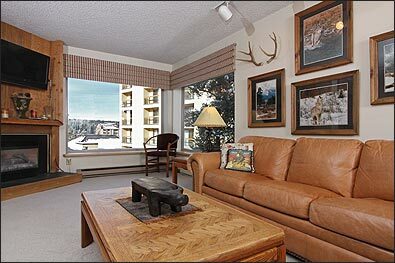 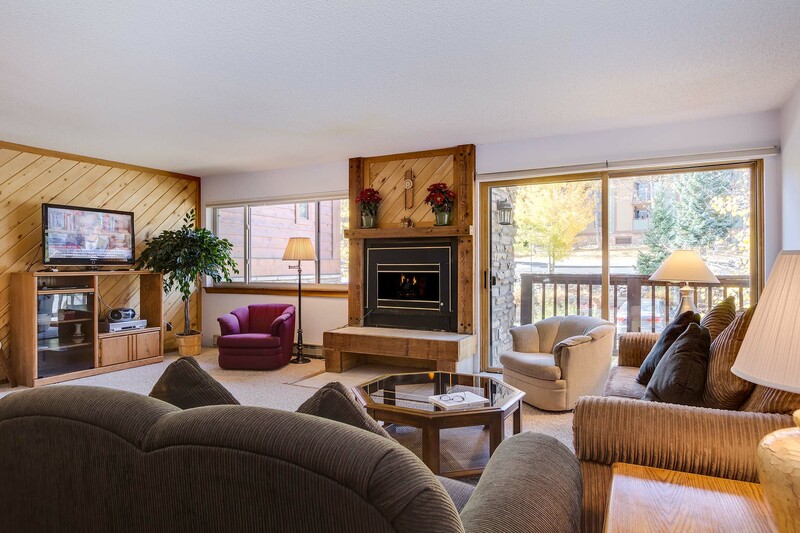 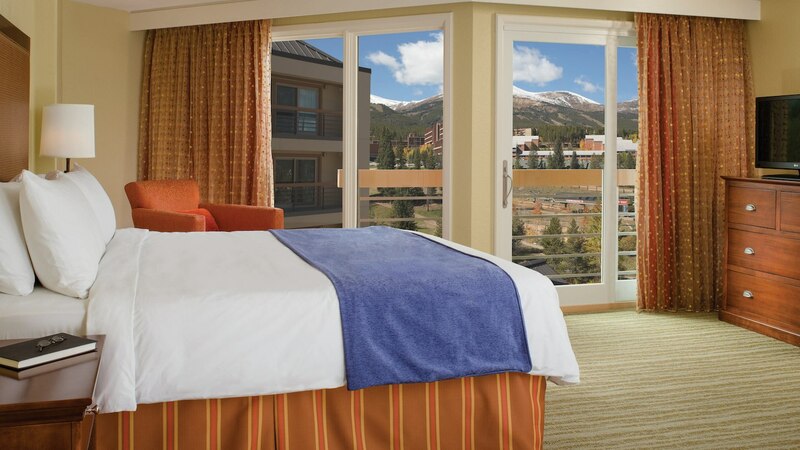 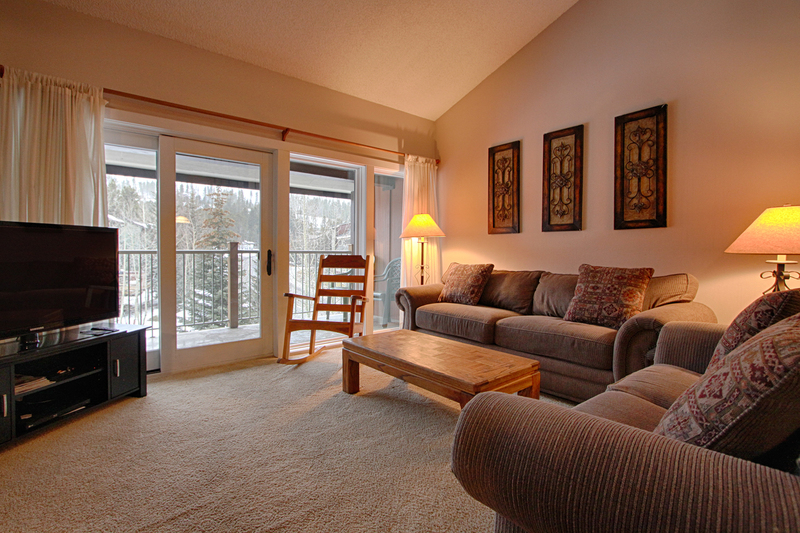 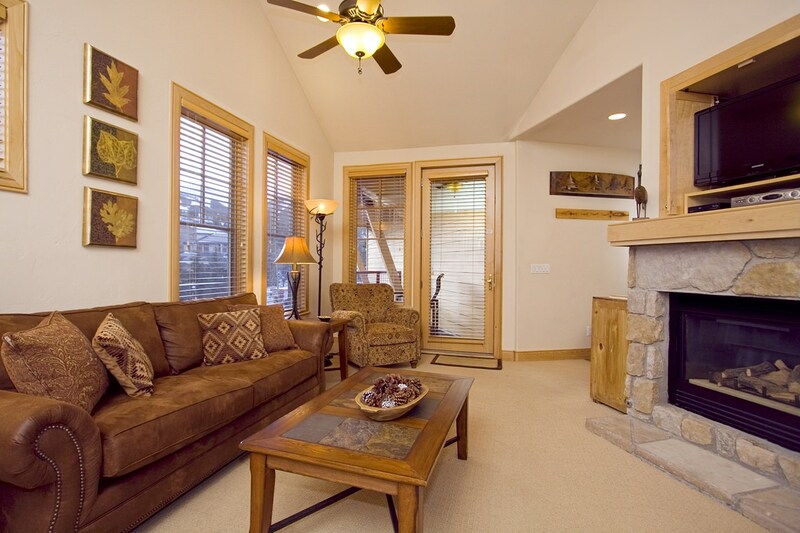 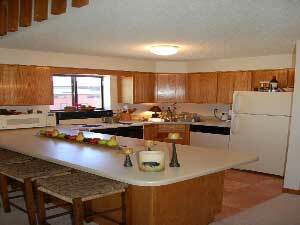 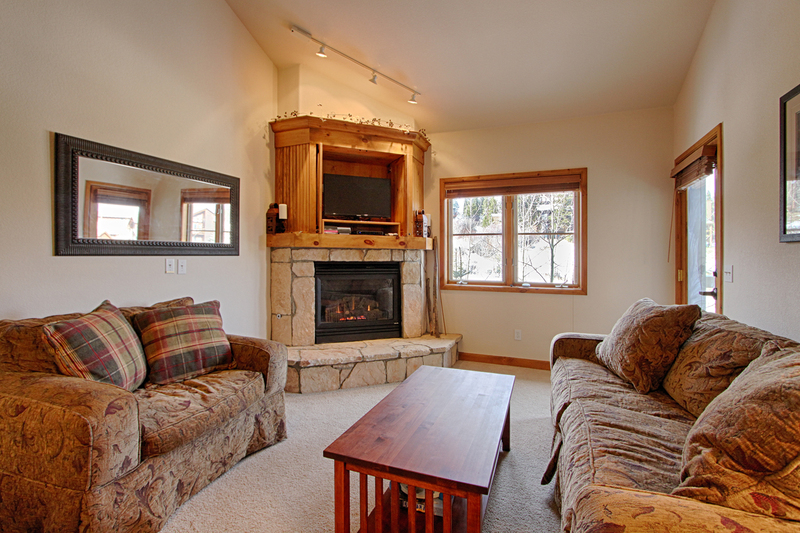 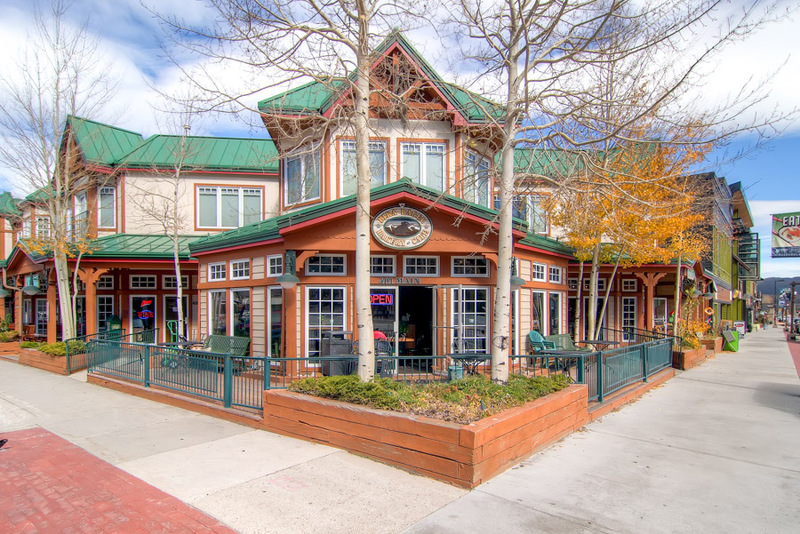 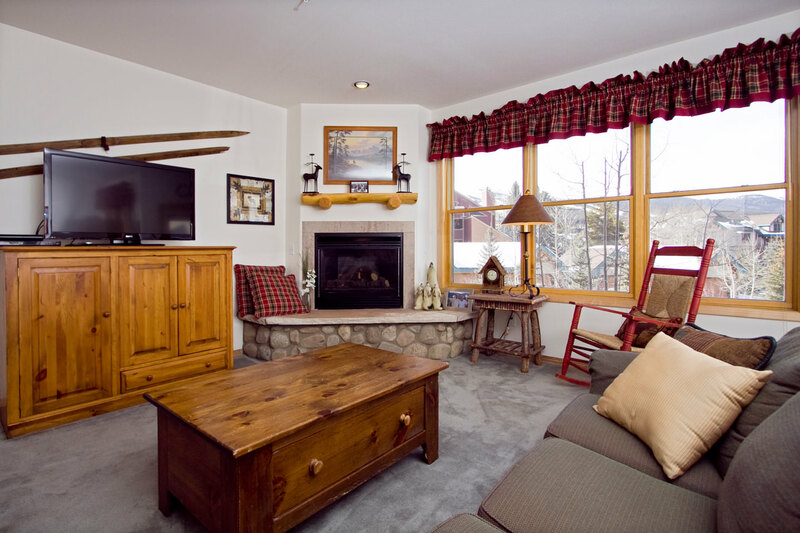 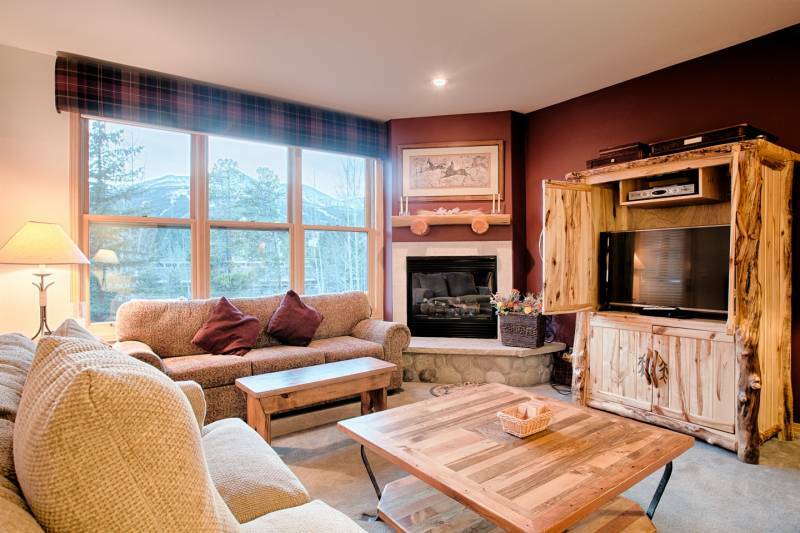 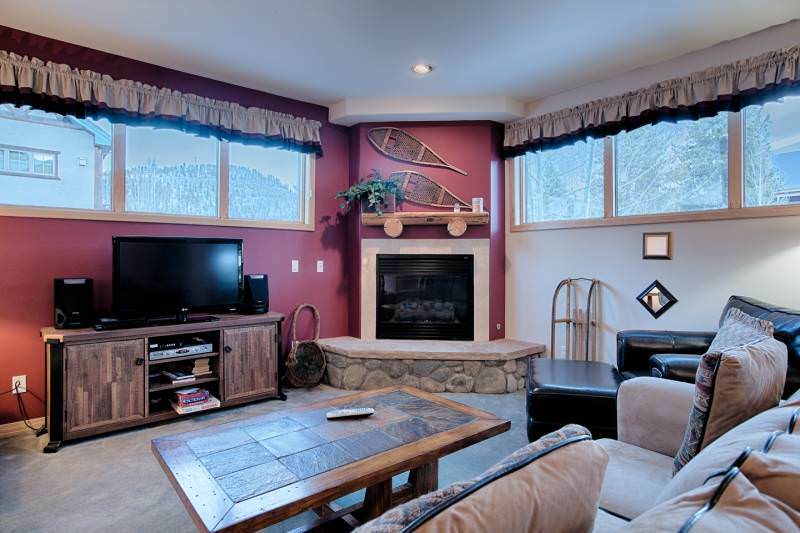 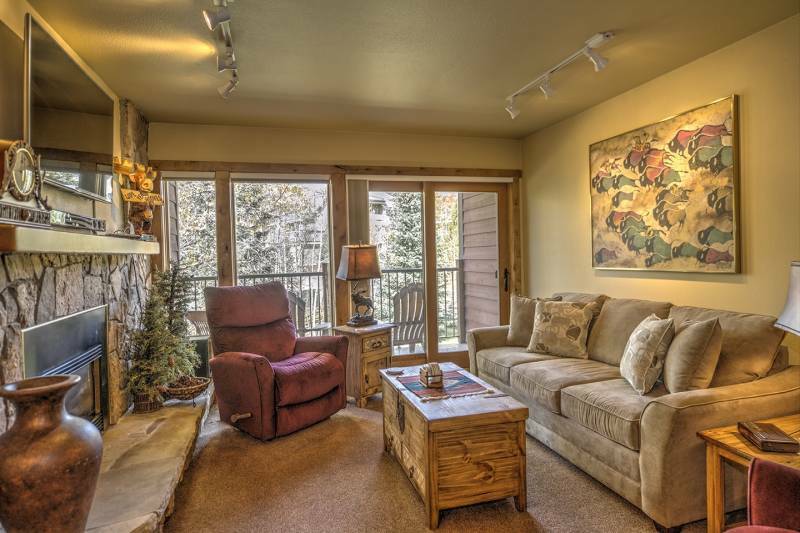 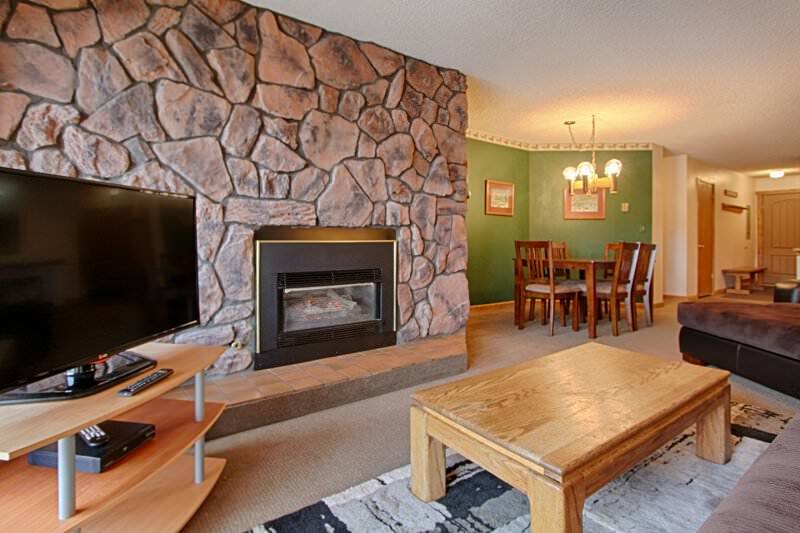 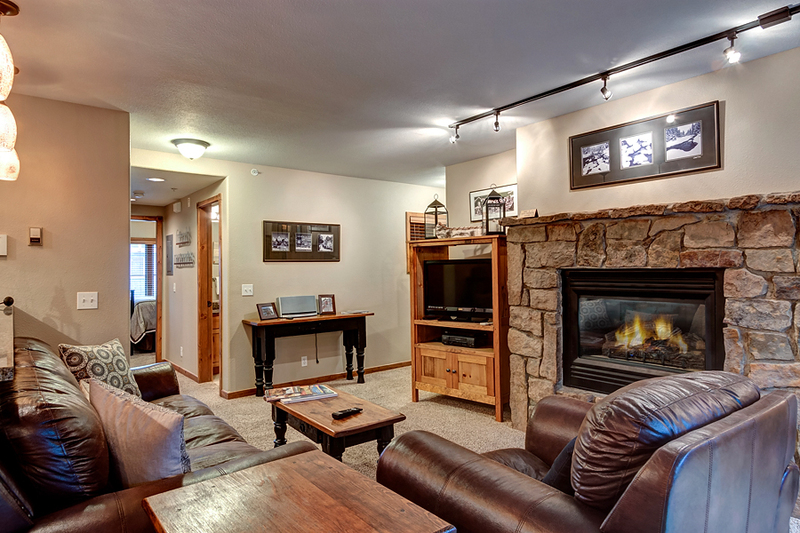 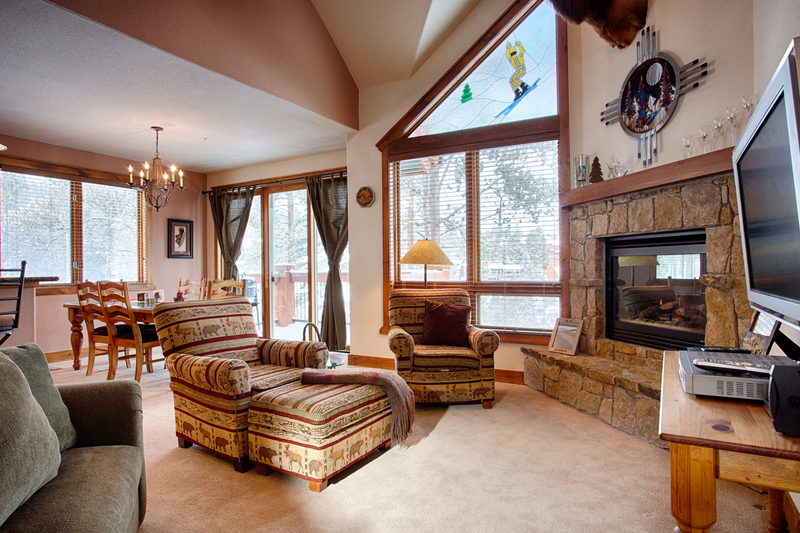 LOCATION – Your home-away-from-home is located approximately four miles from town as well as the base of Peak 8. 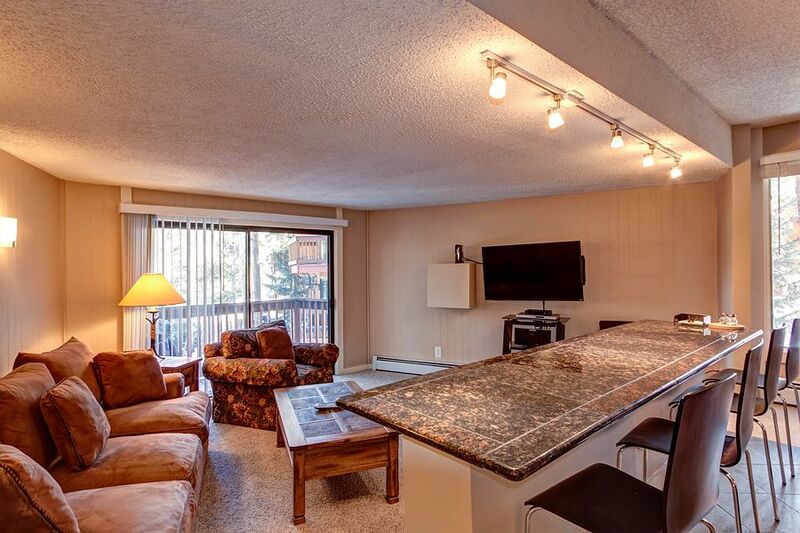 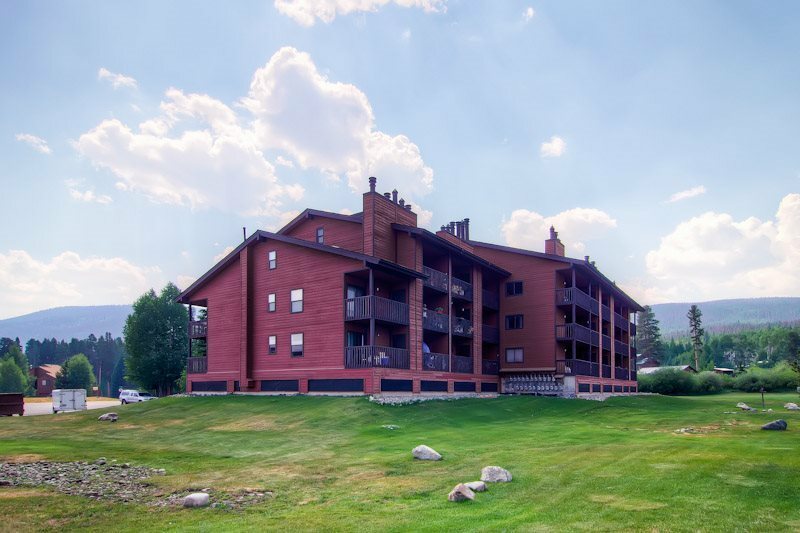 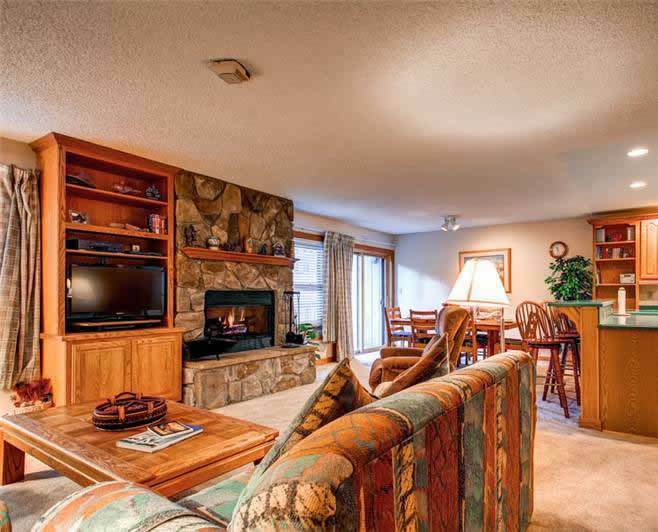 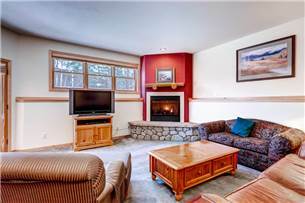 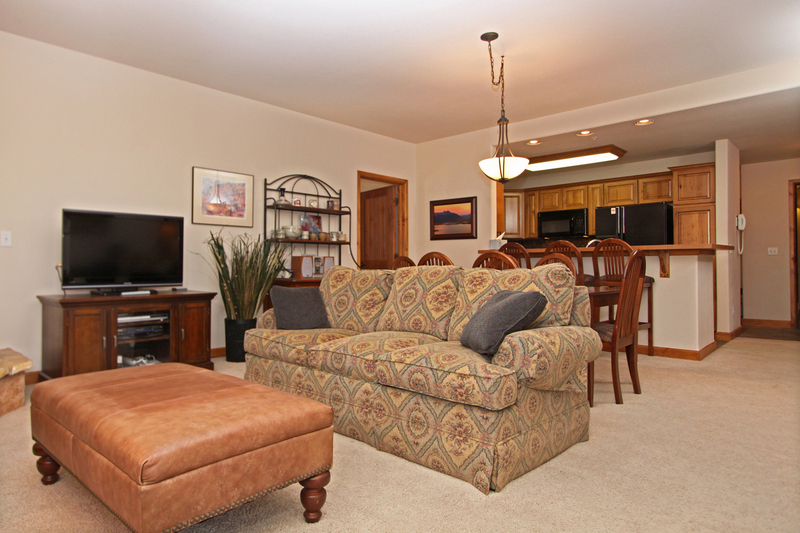 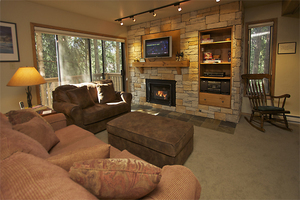 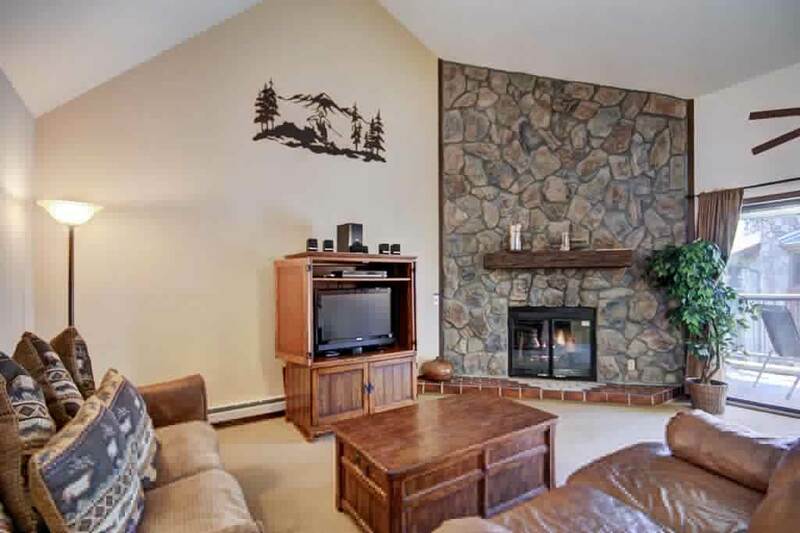 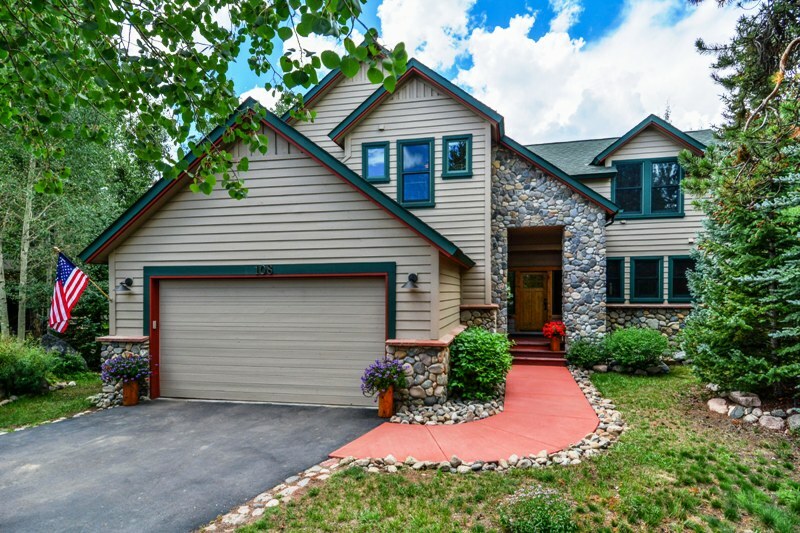 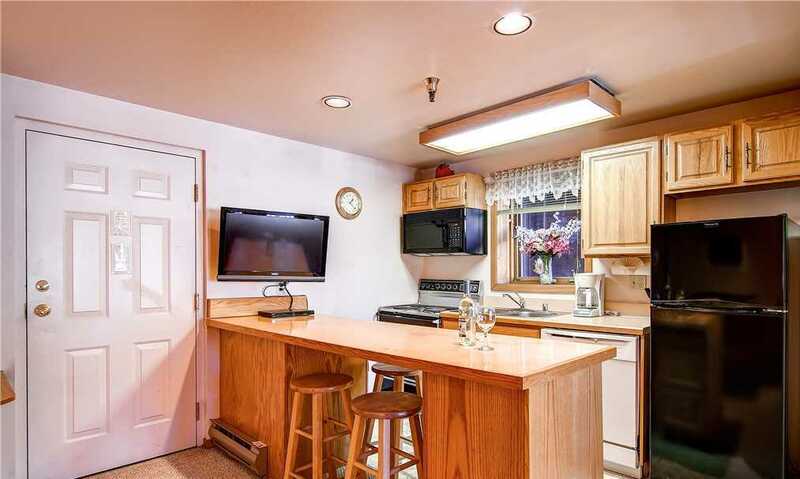 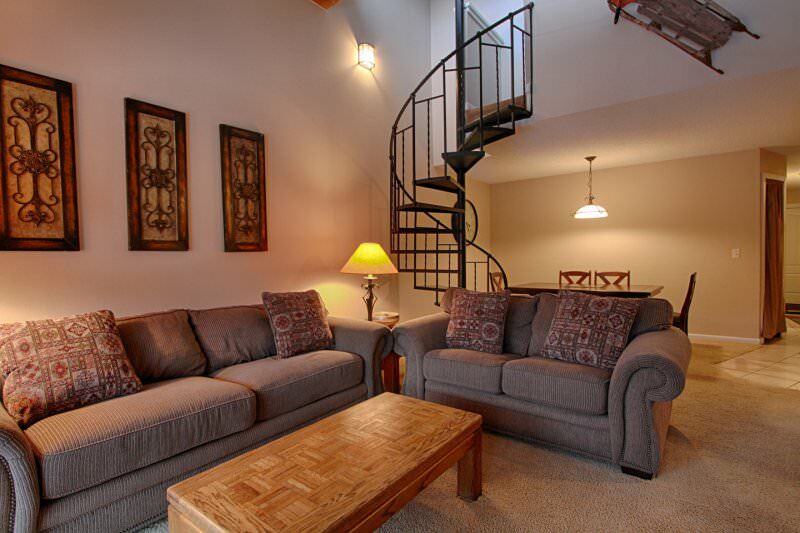 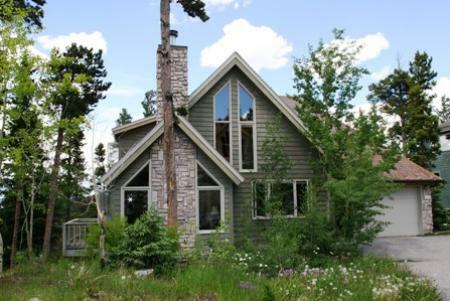 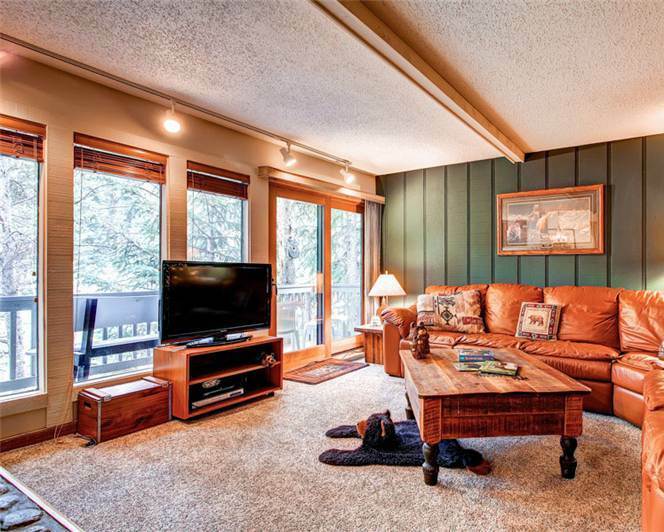 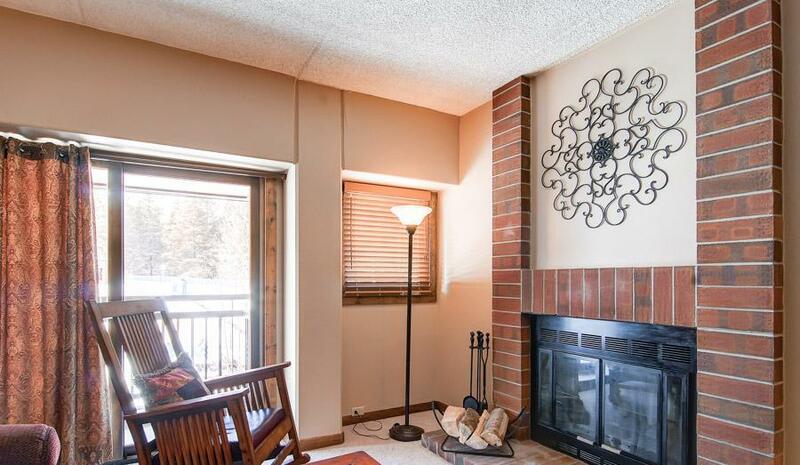 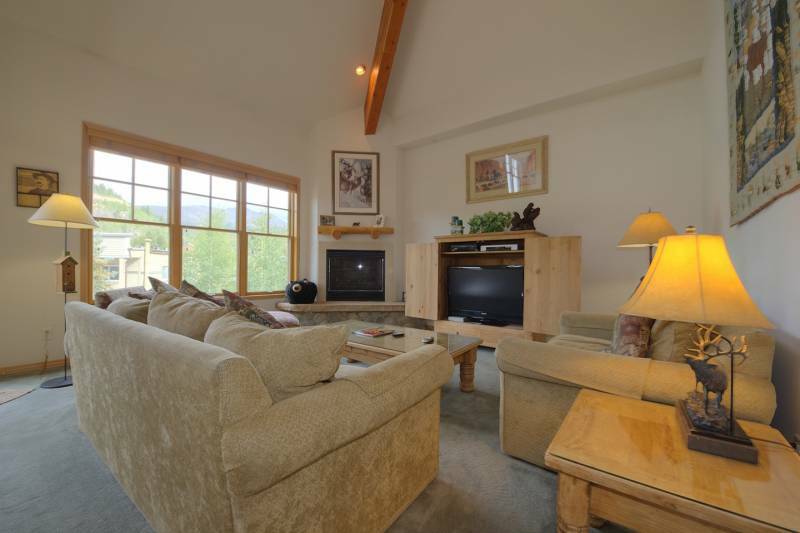 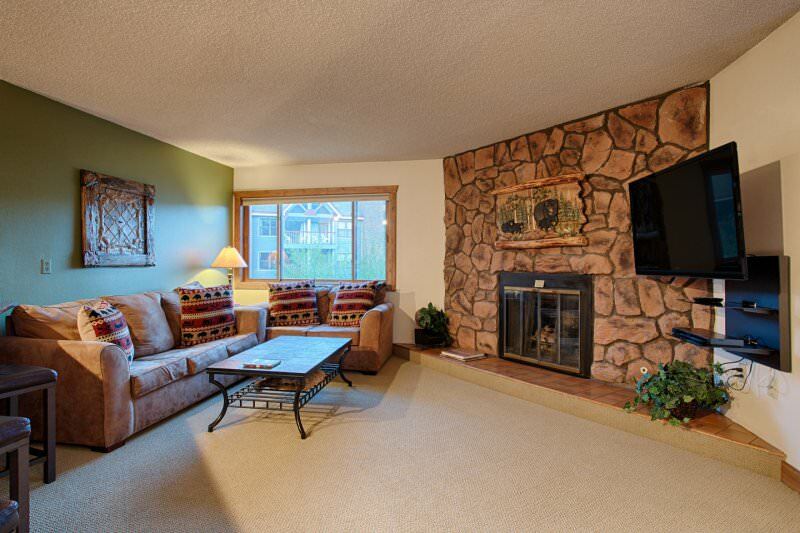 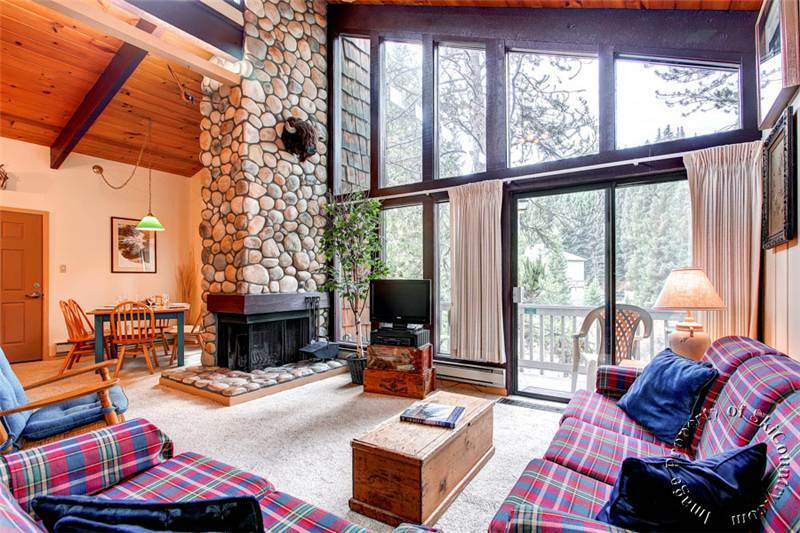 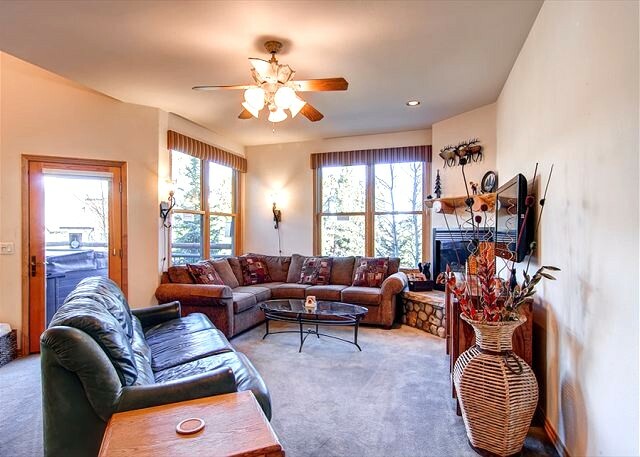 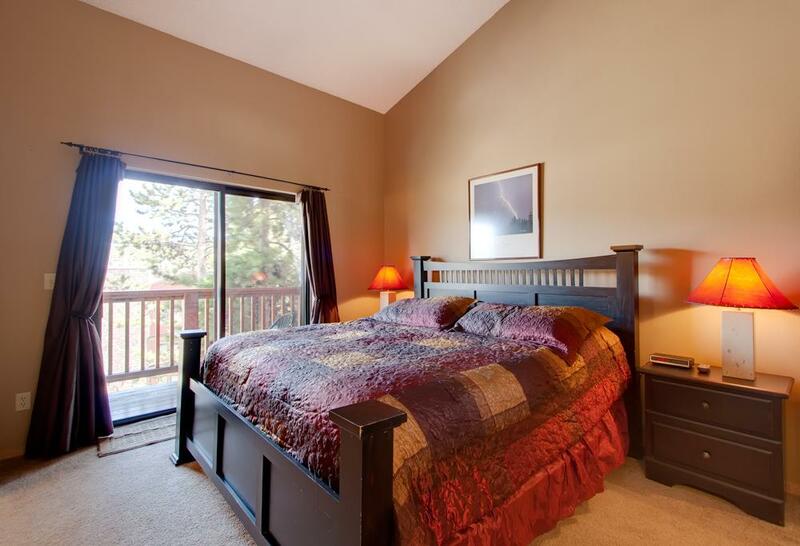 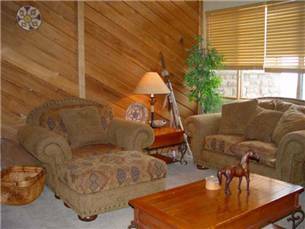 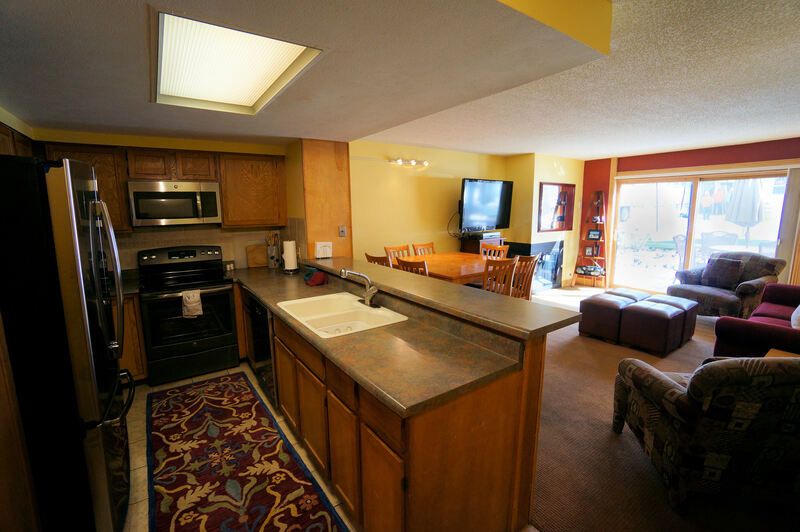 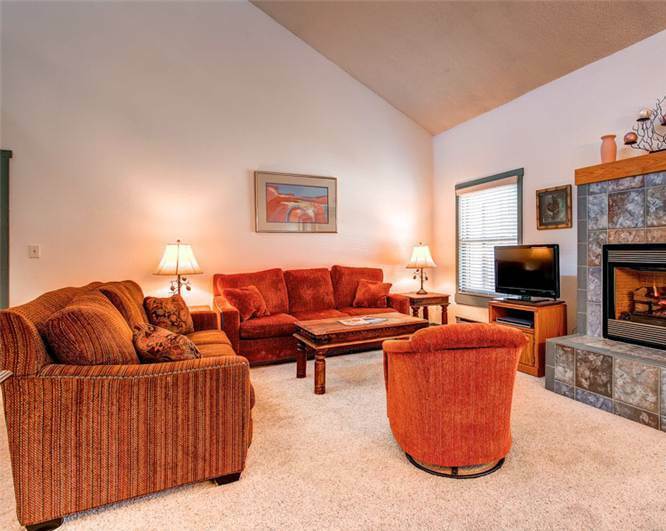 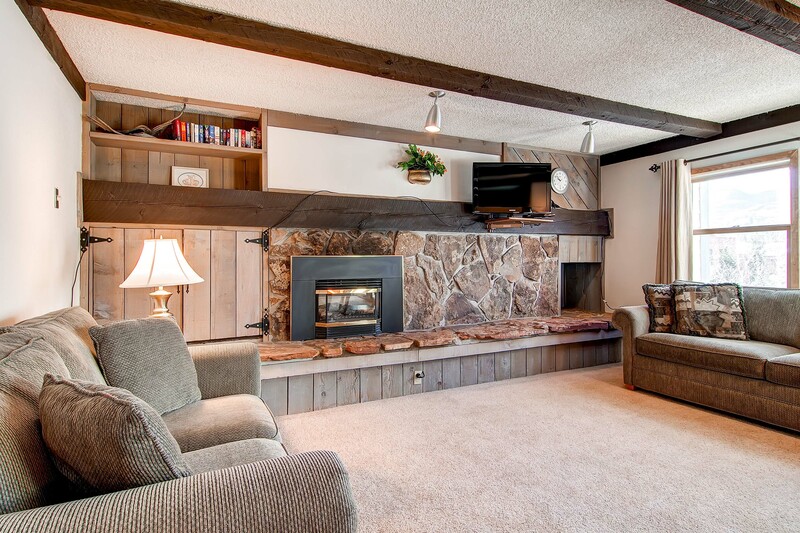 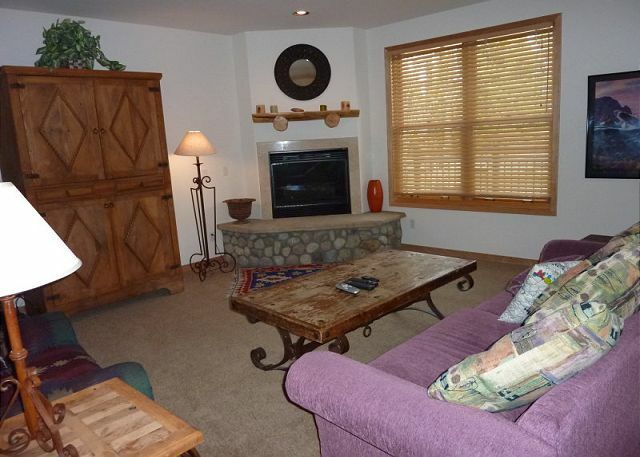 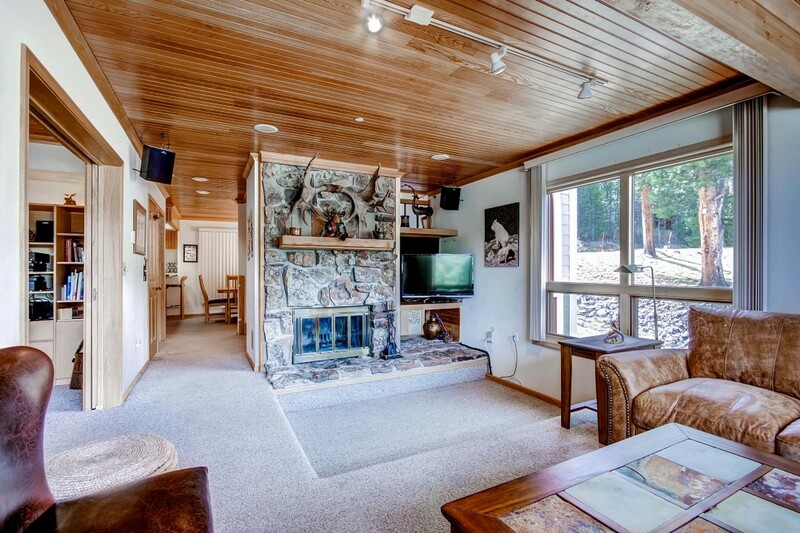 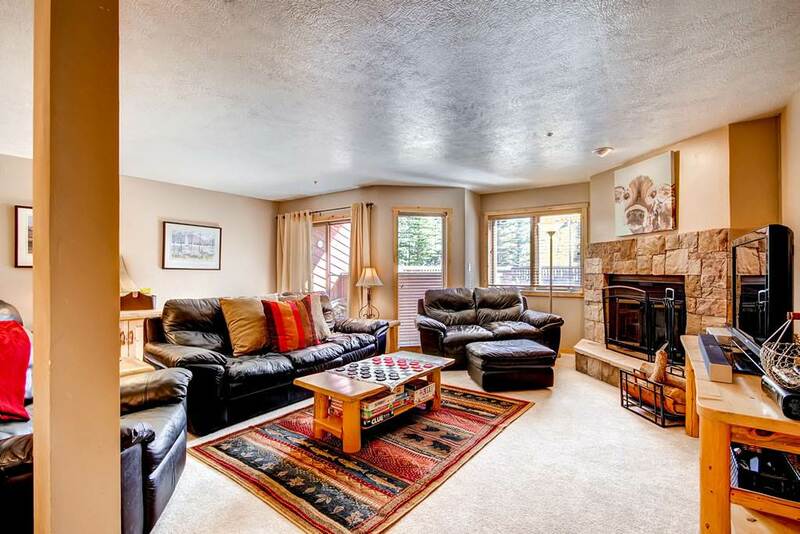 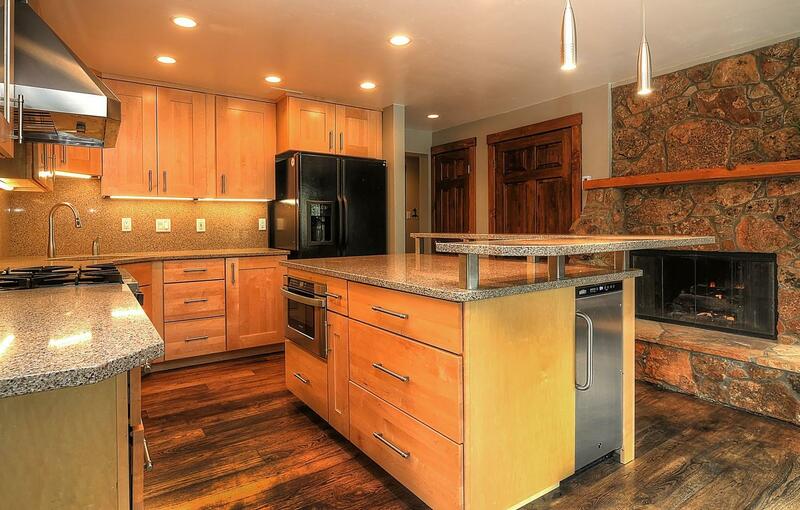 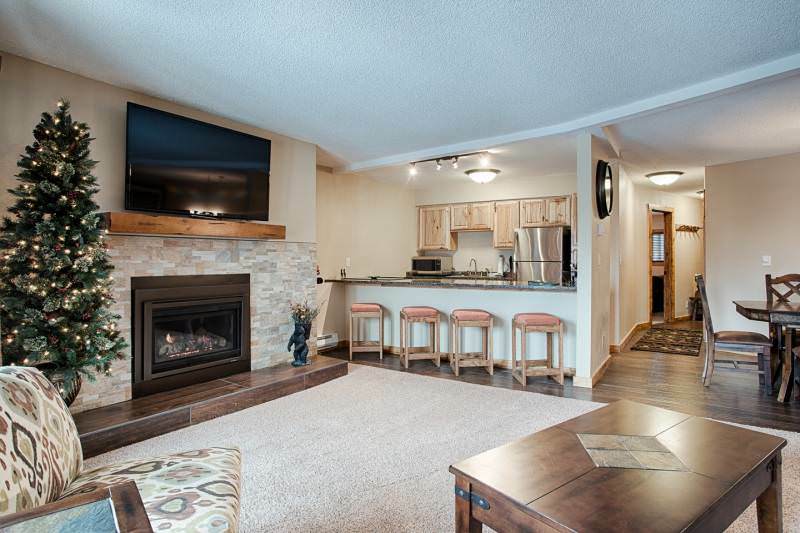 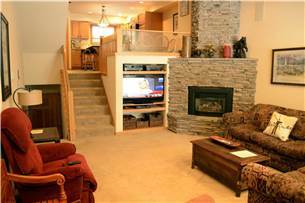 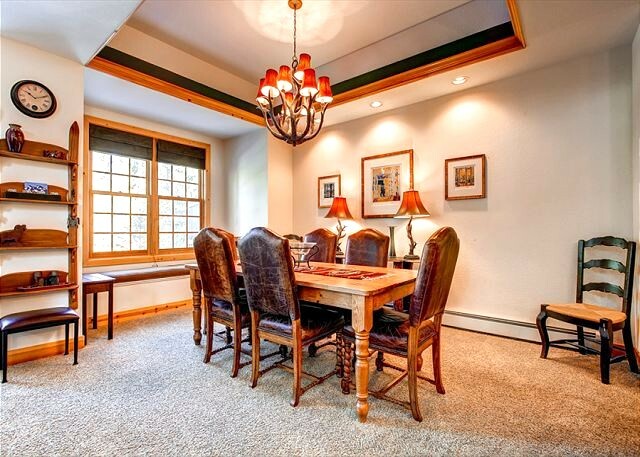 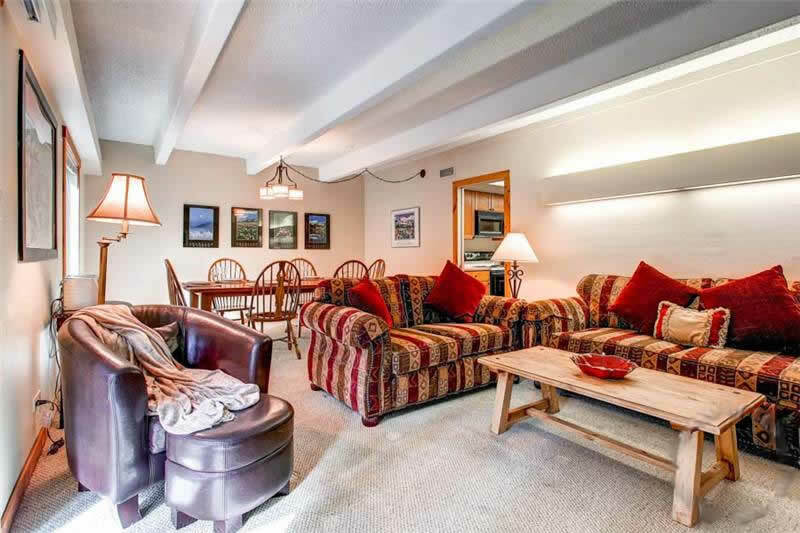 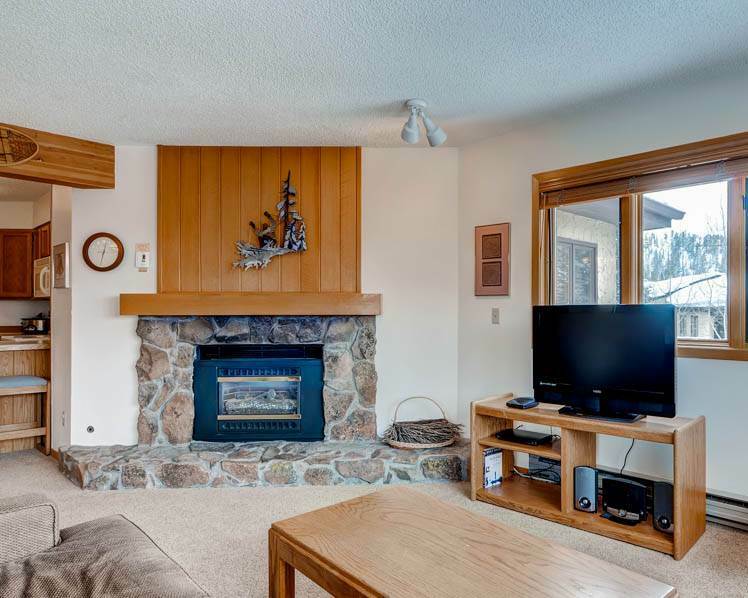 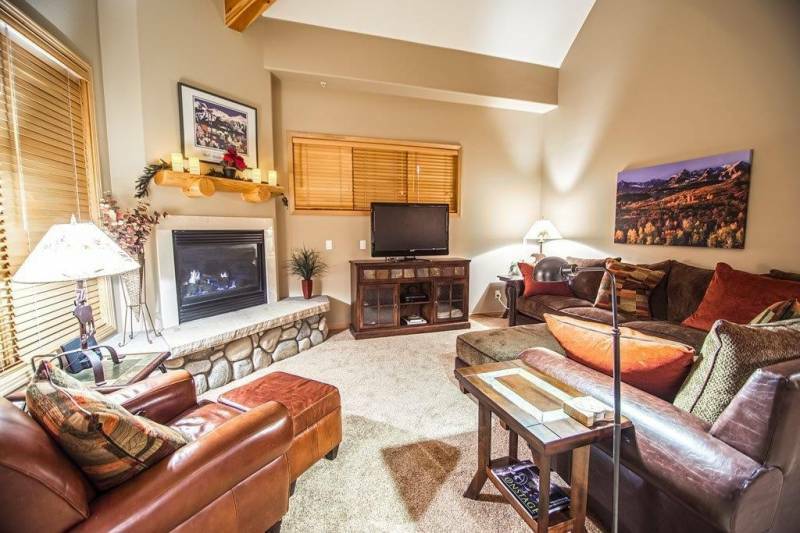 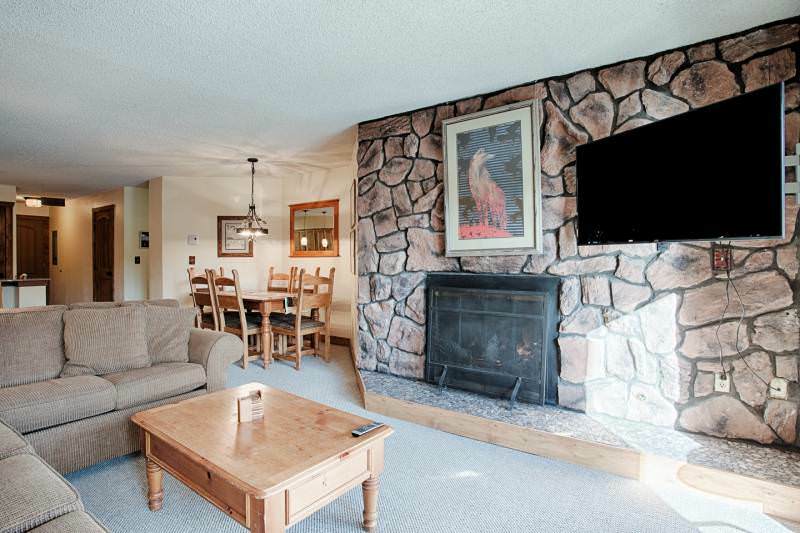 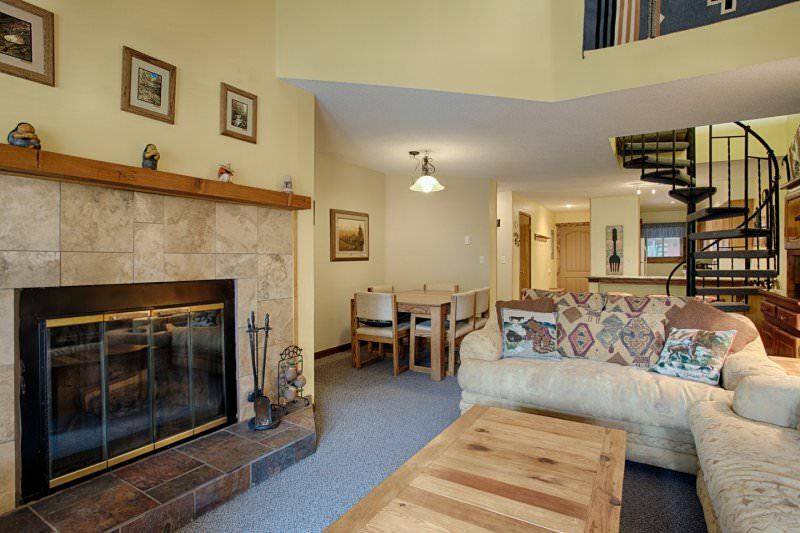 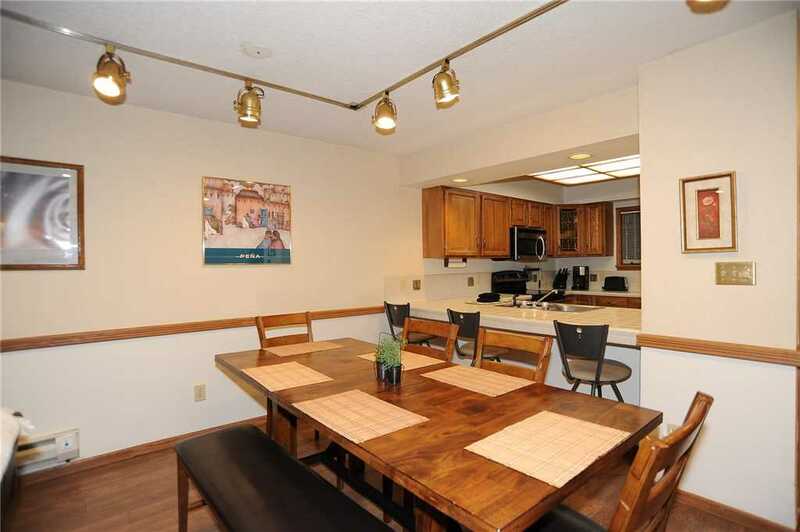 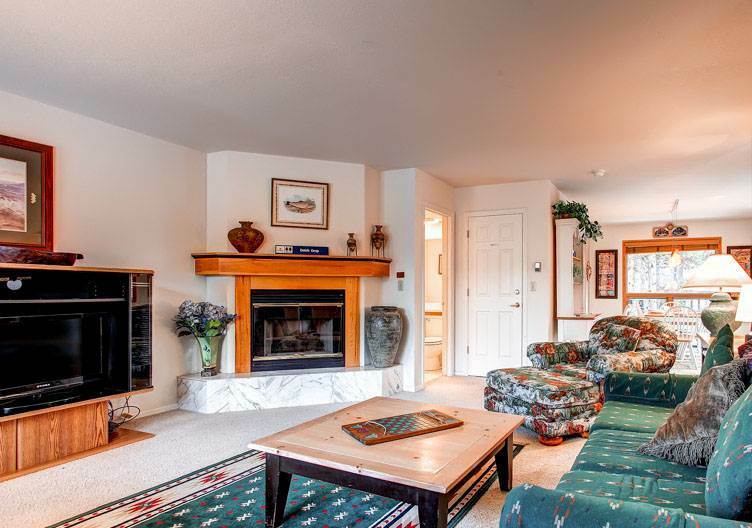 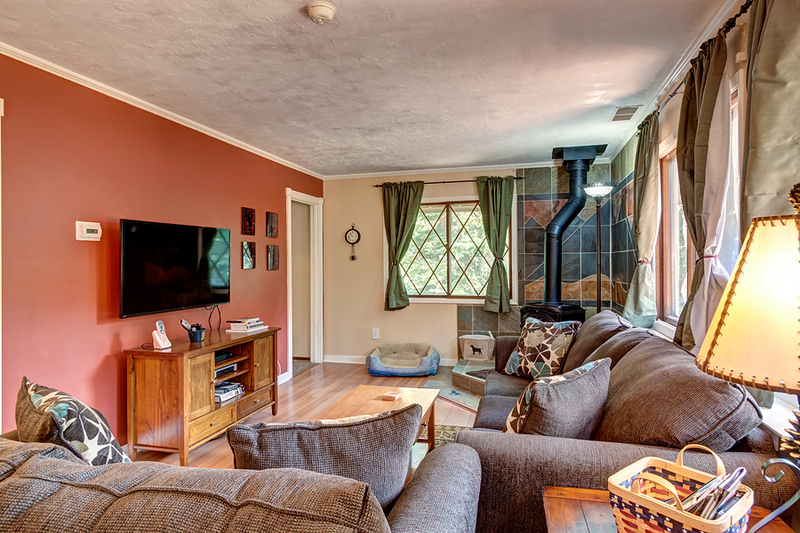 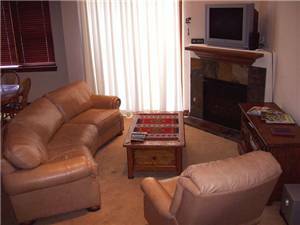 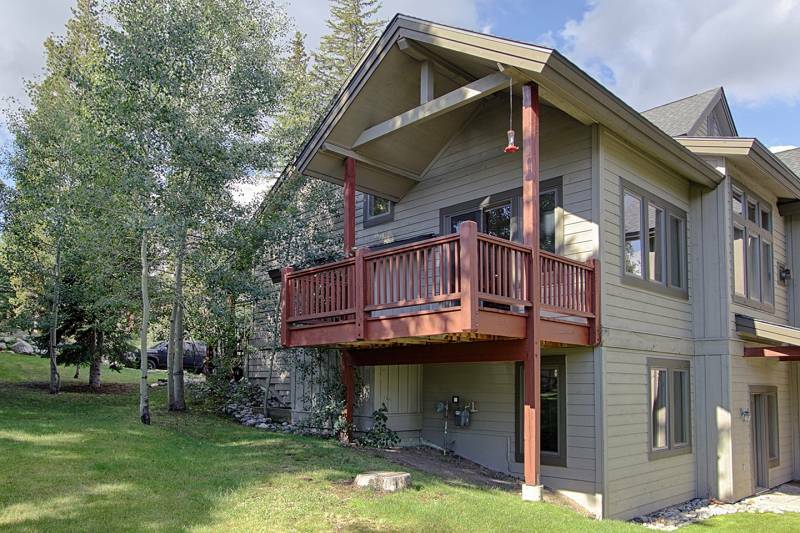 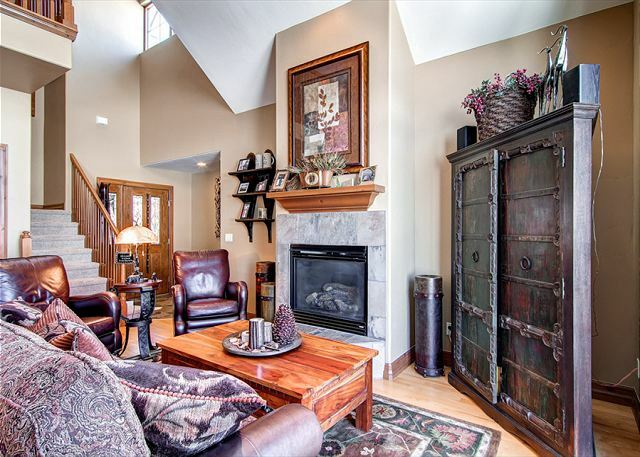 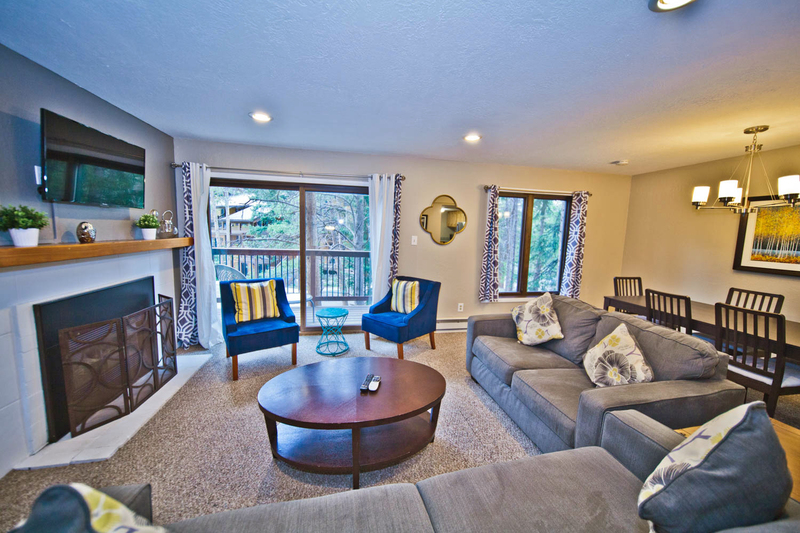 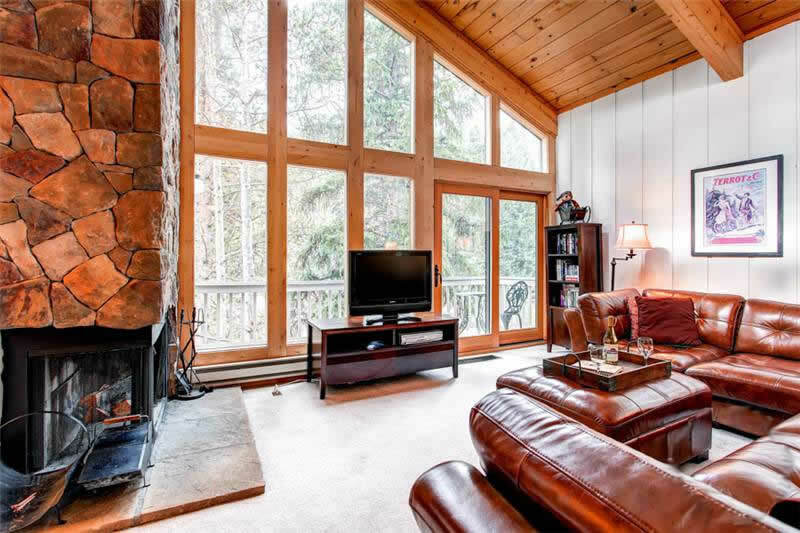 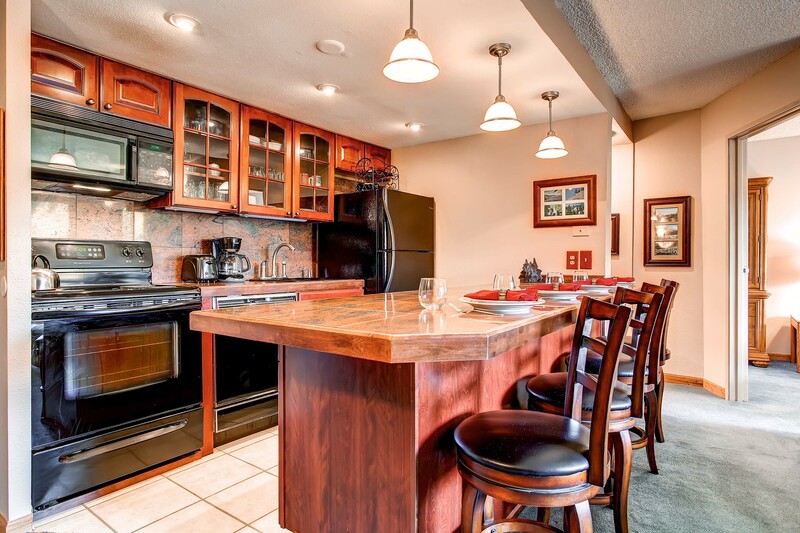 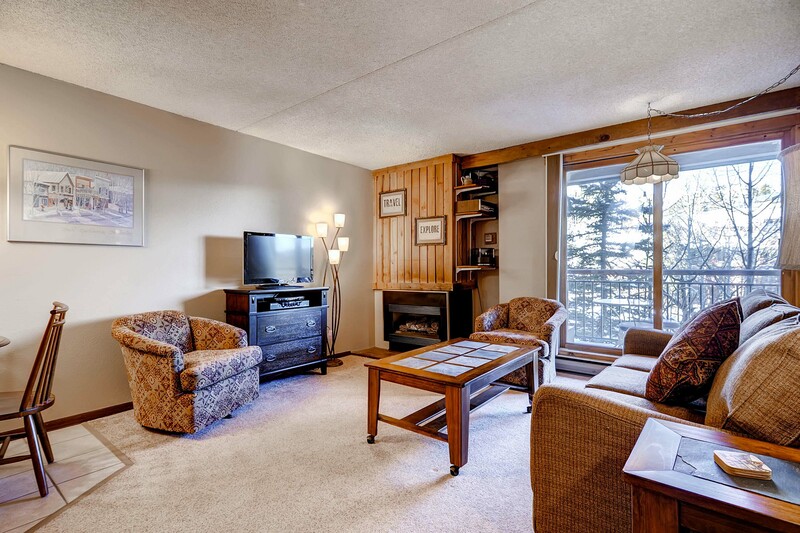 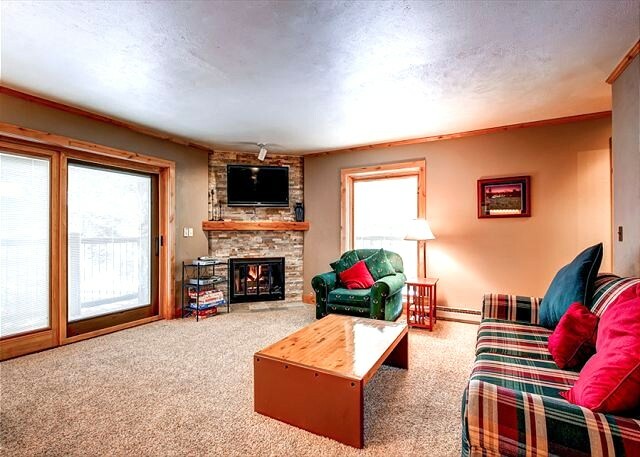 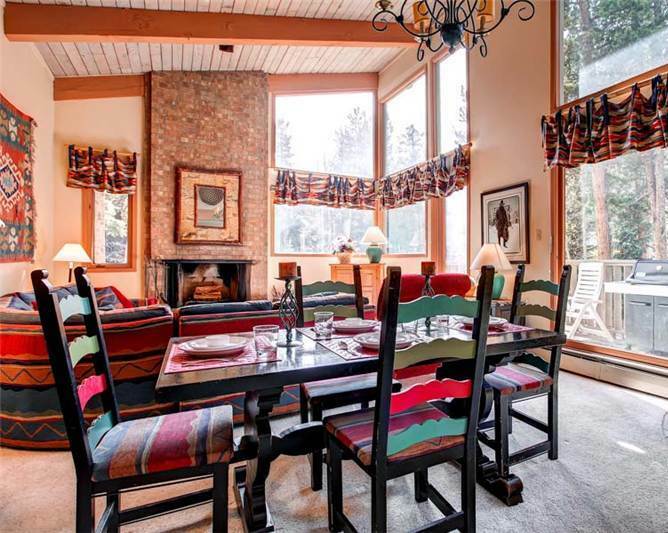 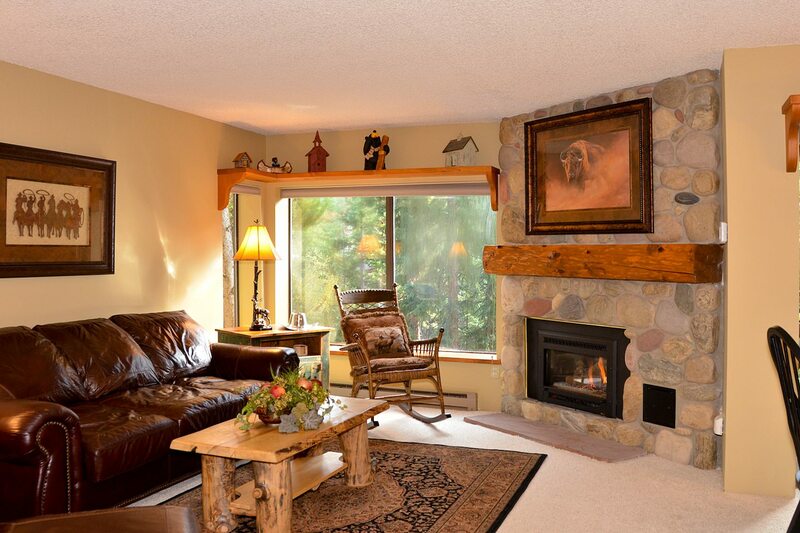 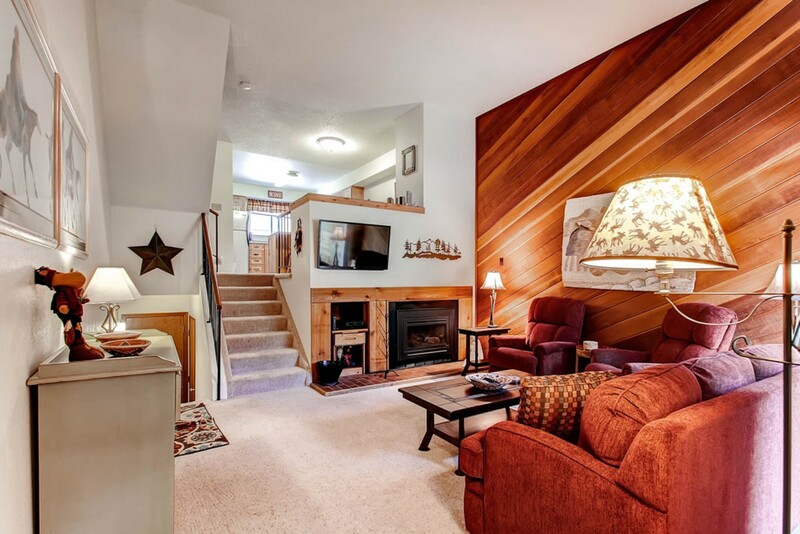 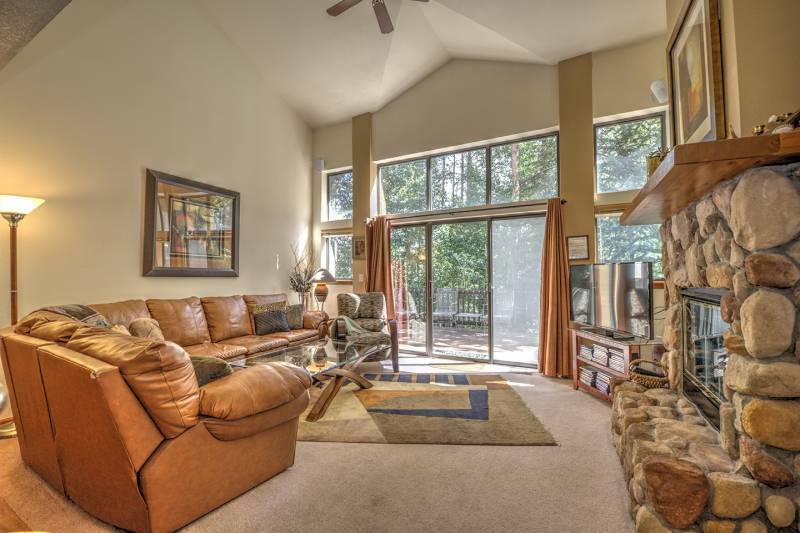 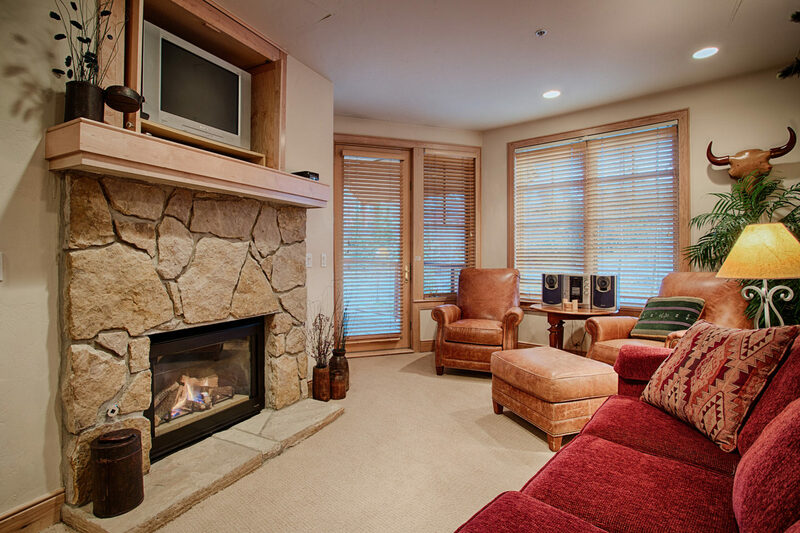 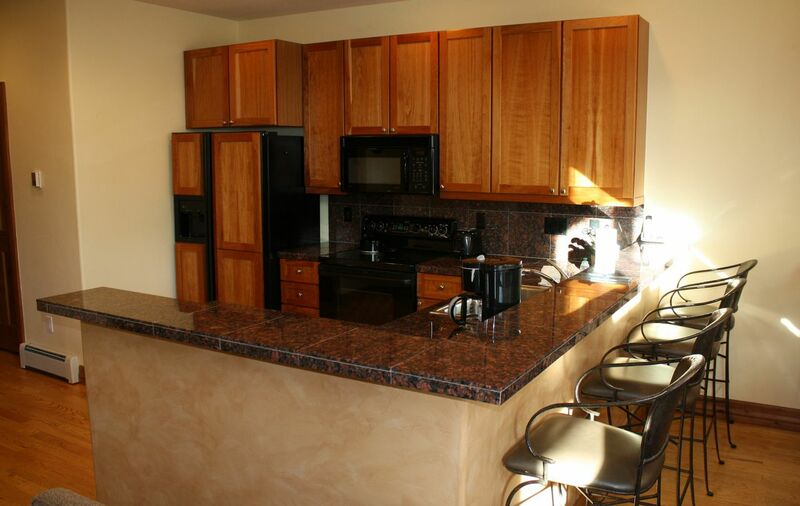 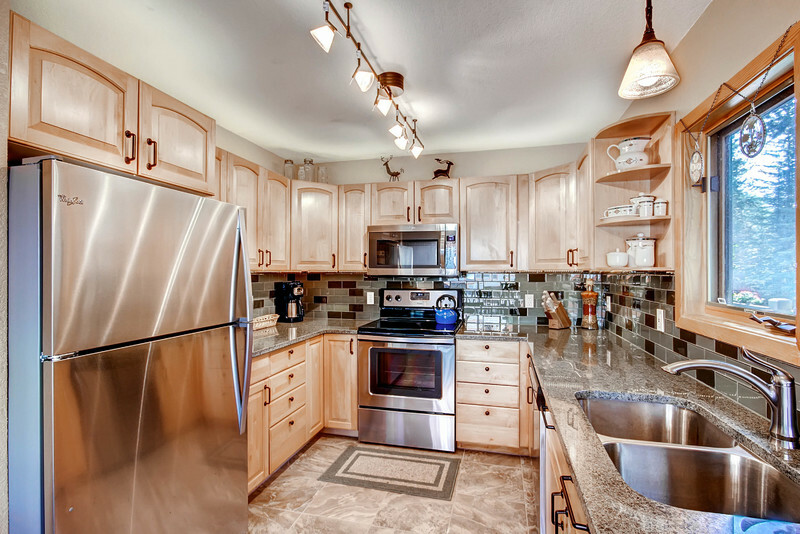 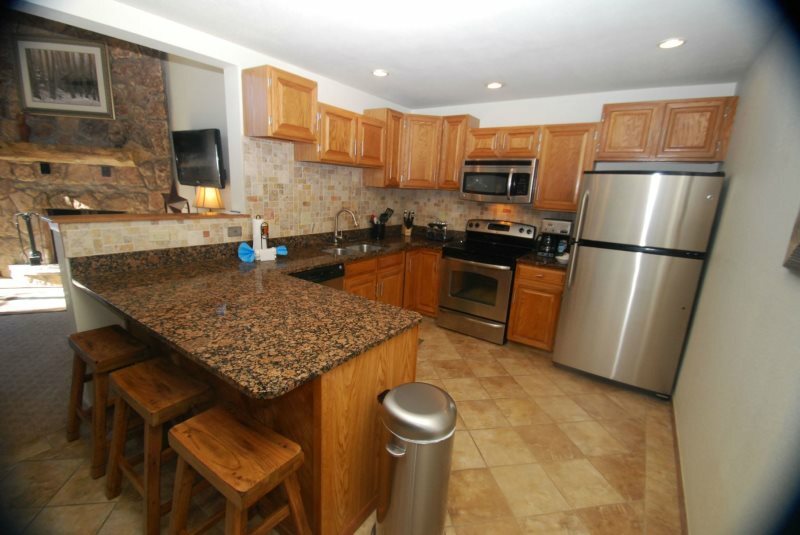 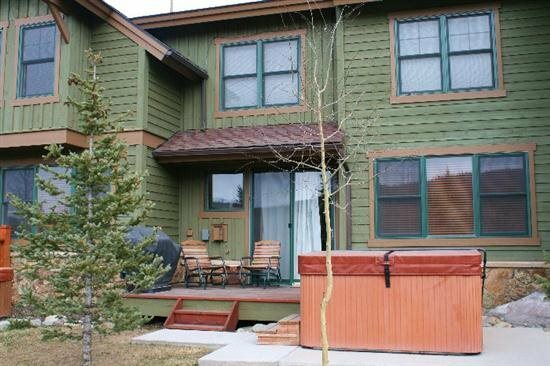 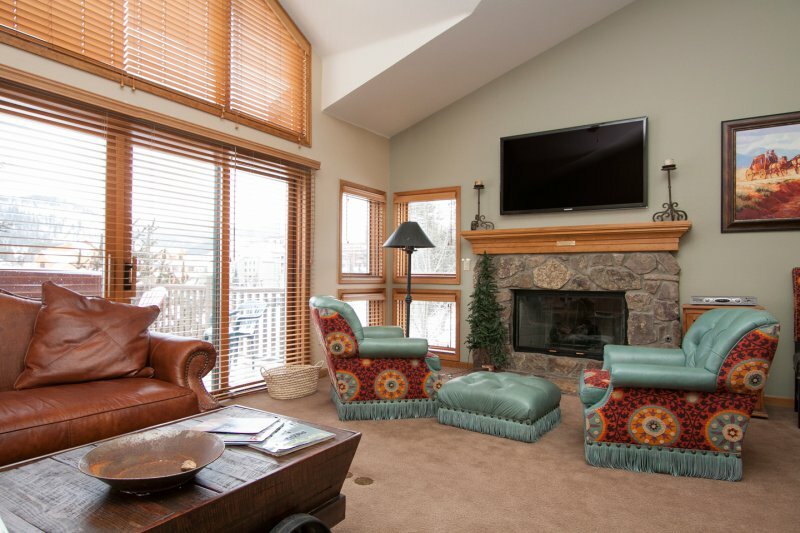 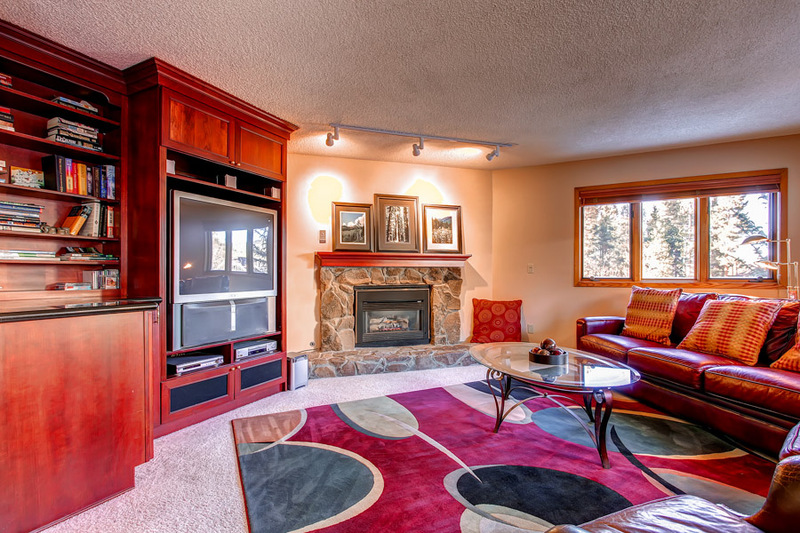 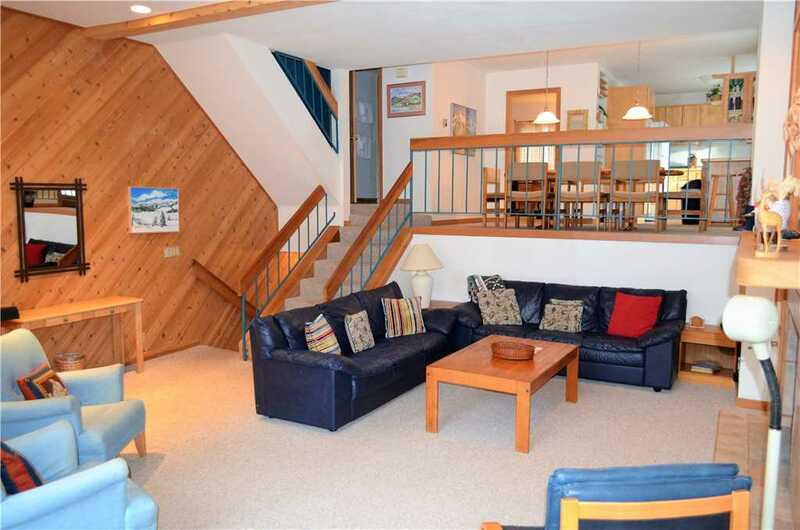 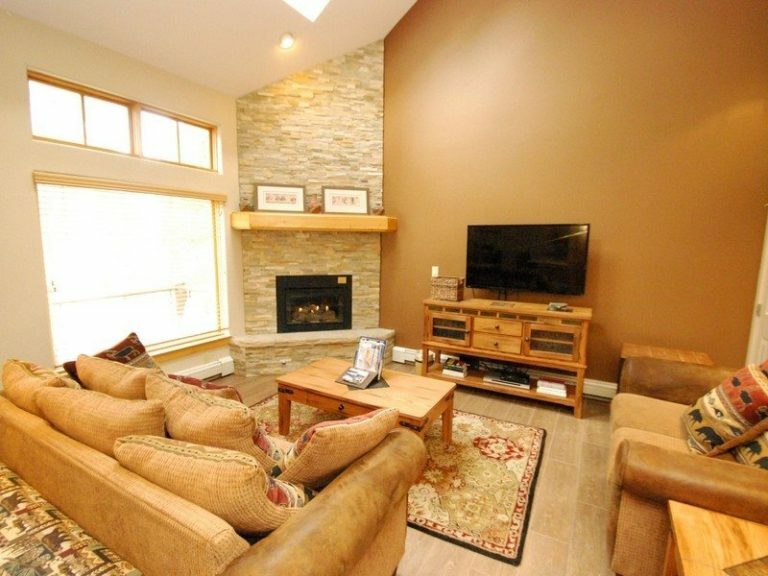 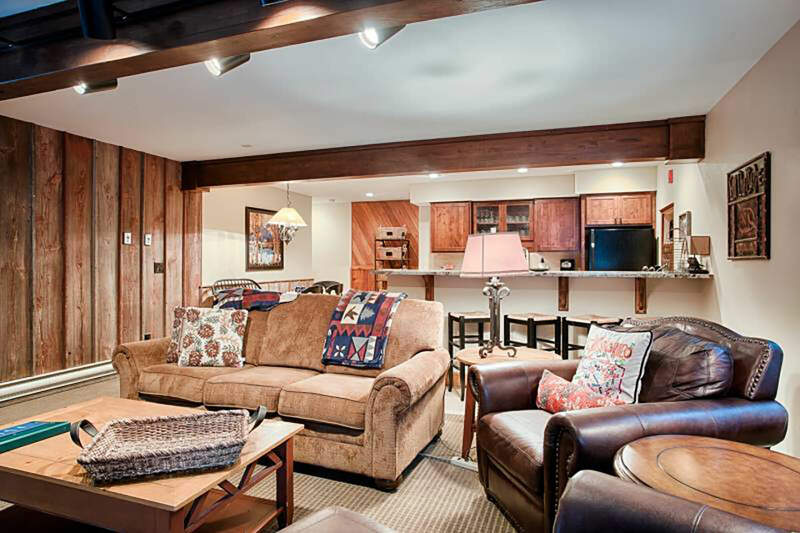 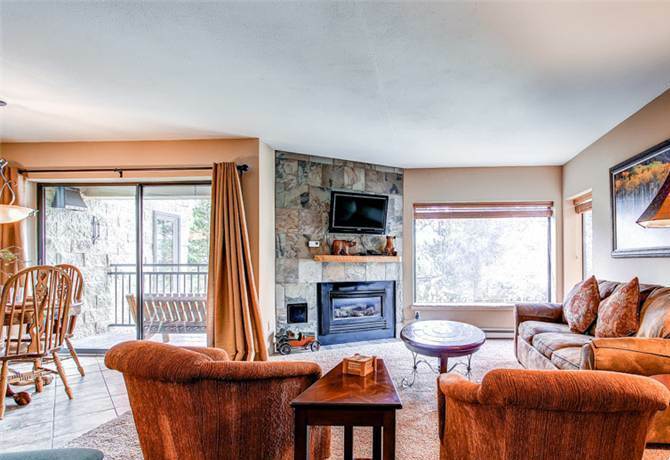 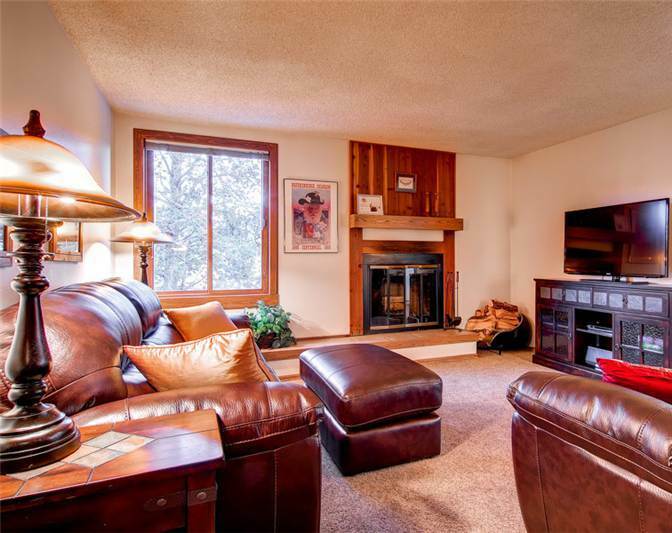 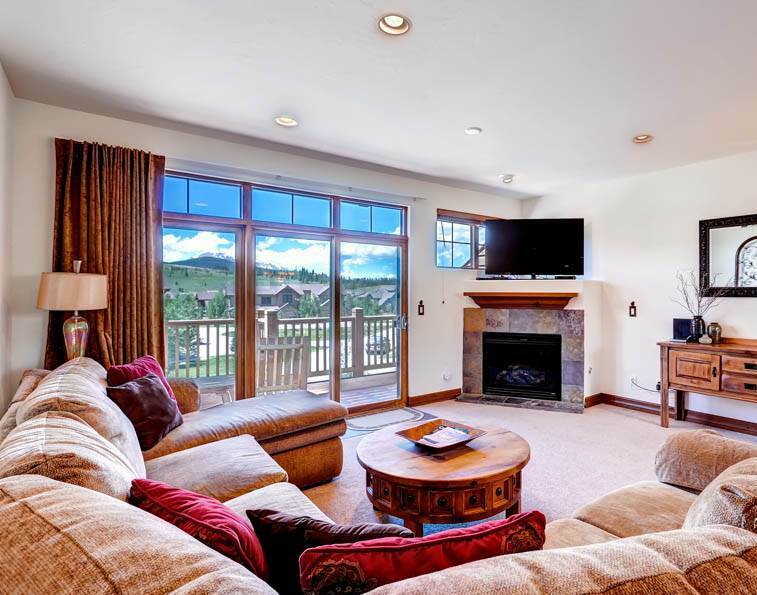 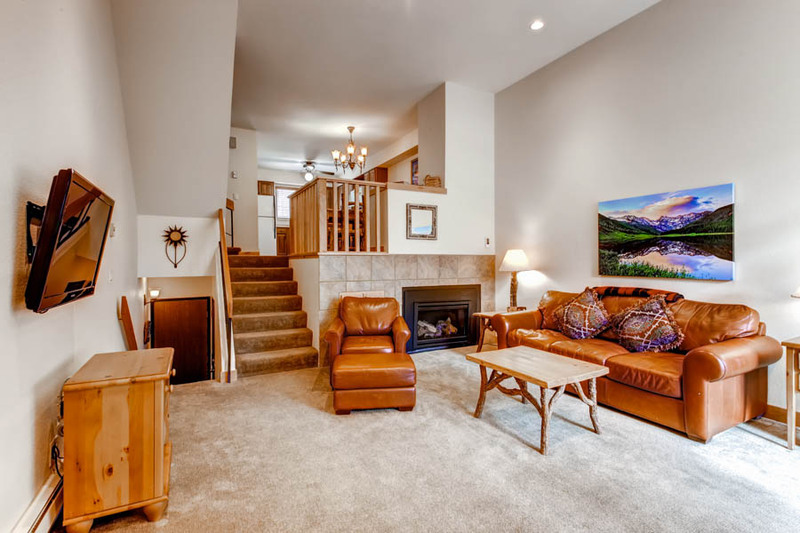 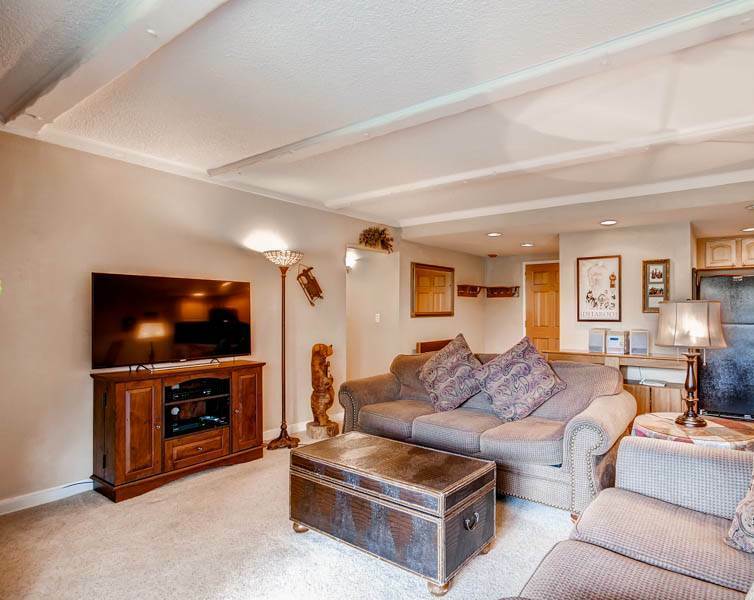 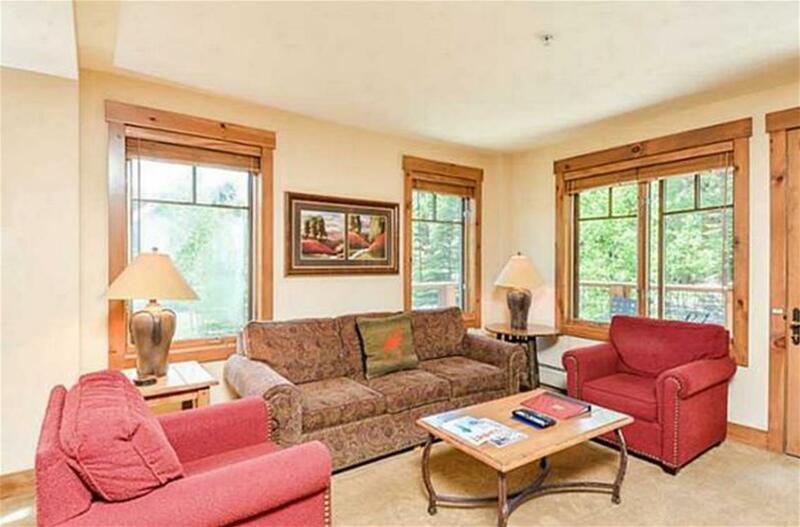 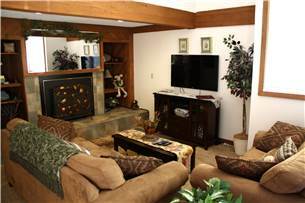 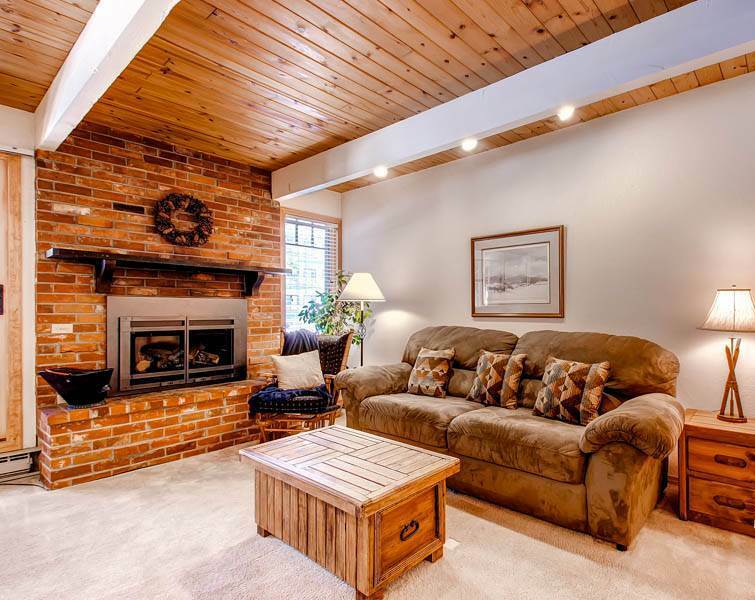 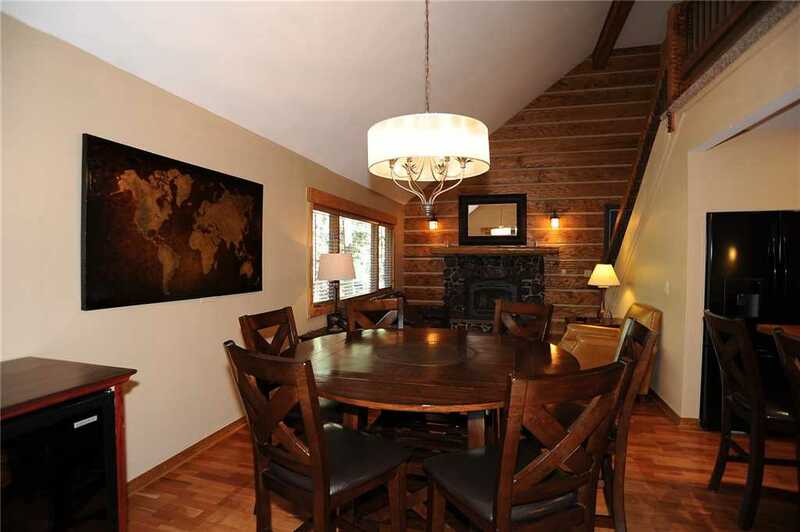 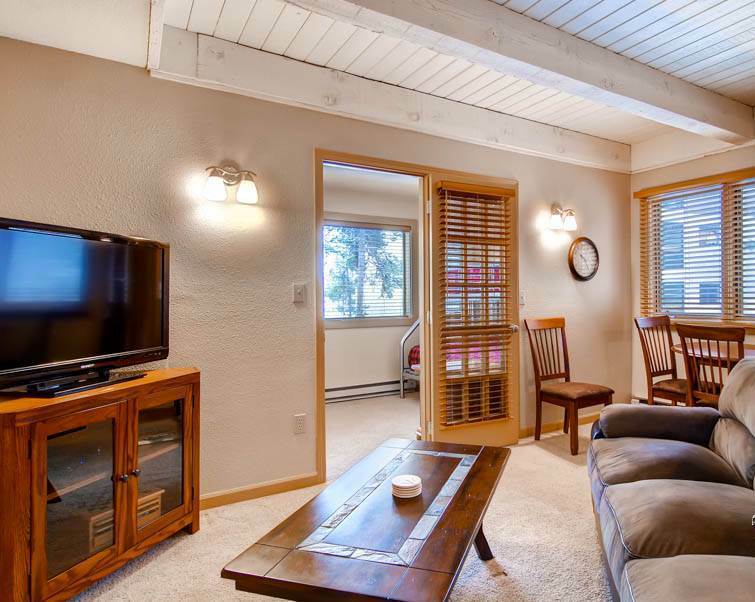 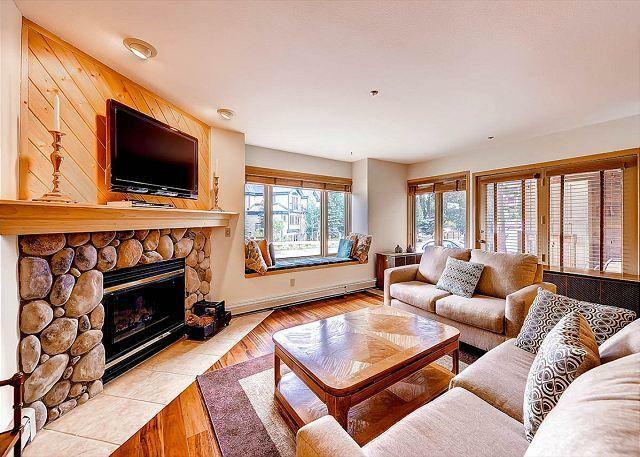 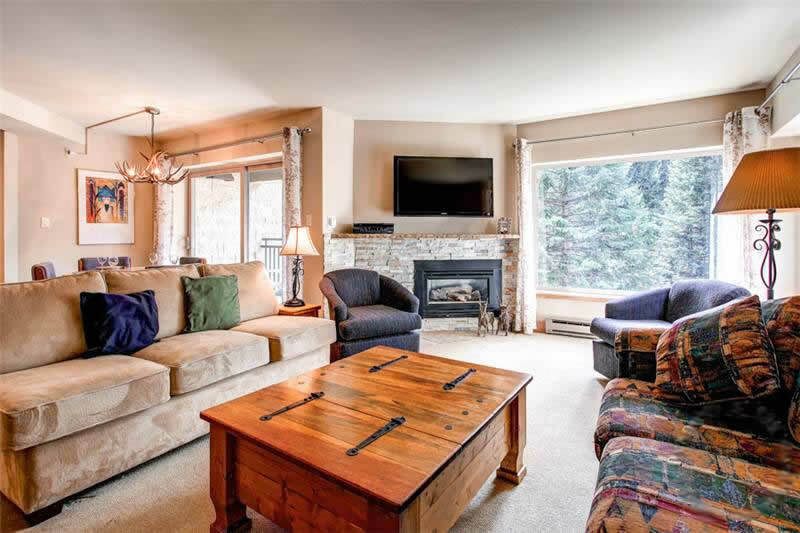 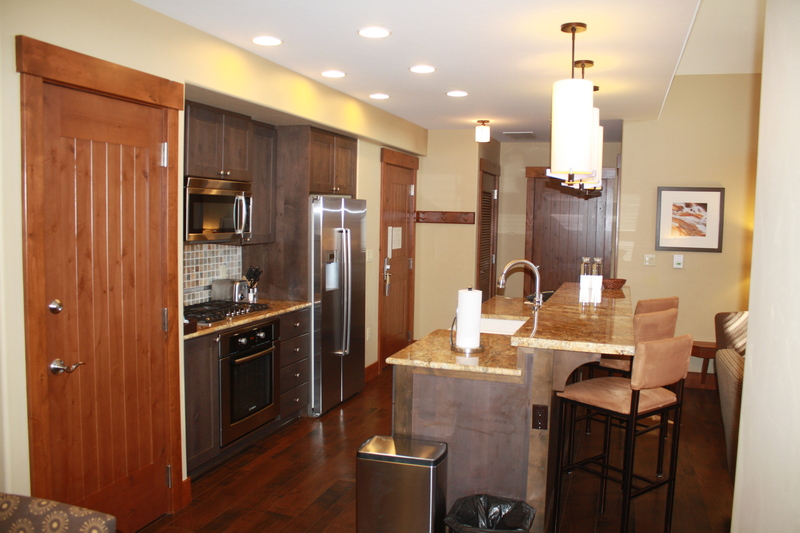 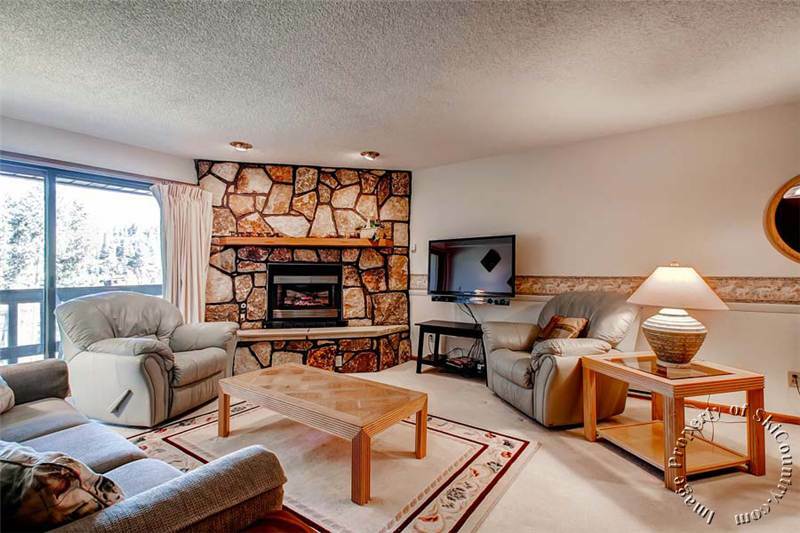 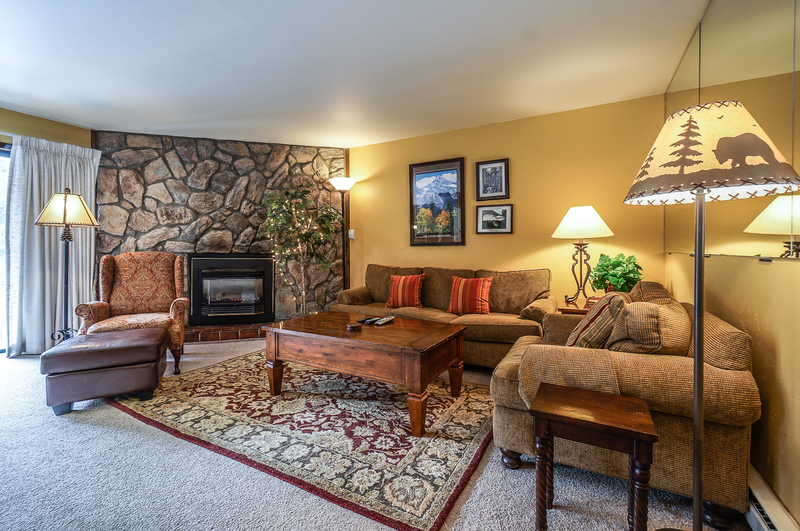 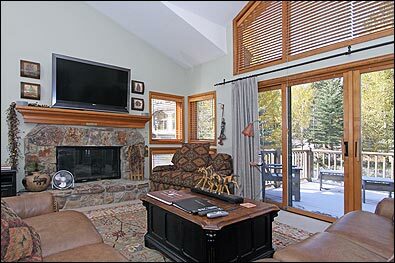 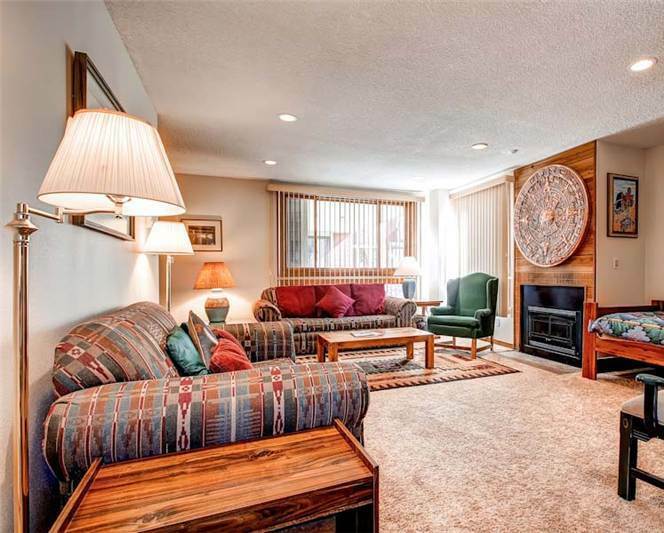 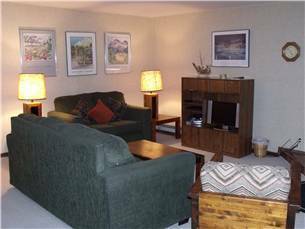 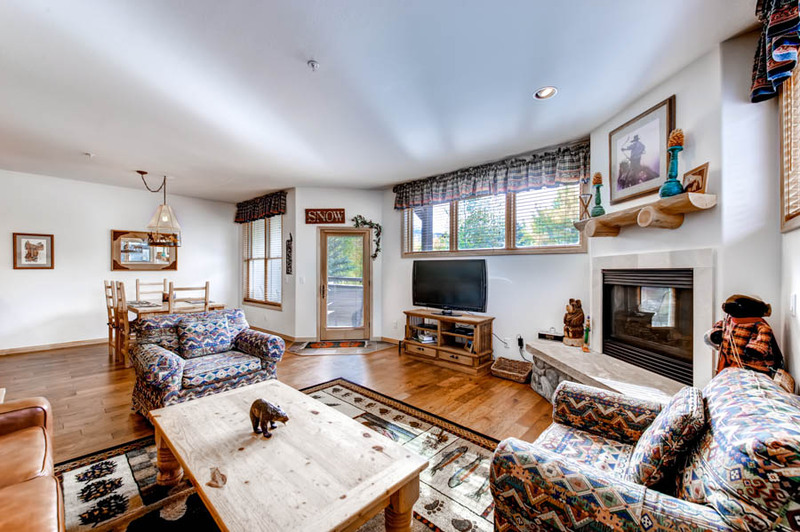 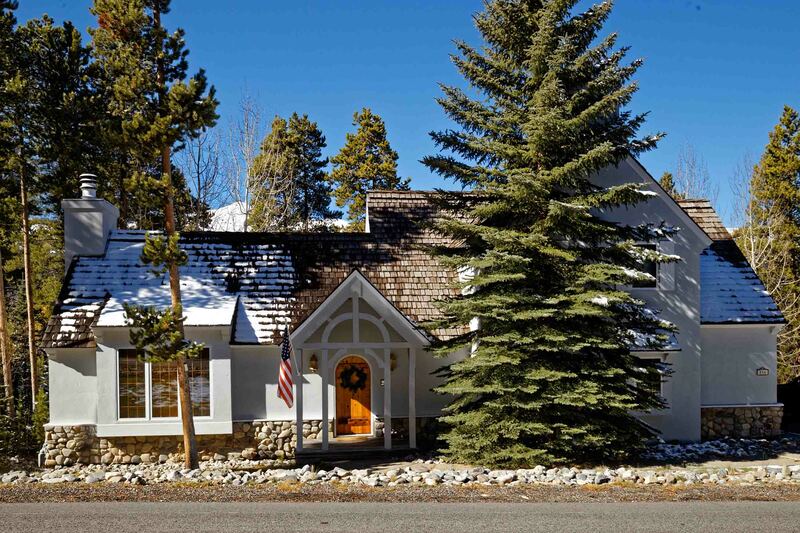 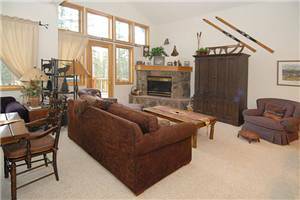 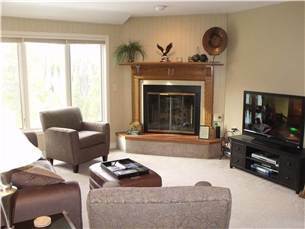 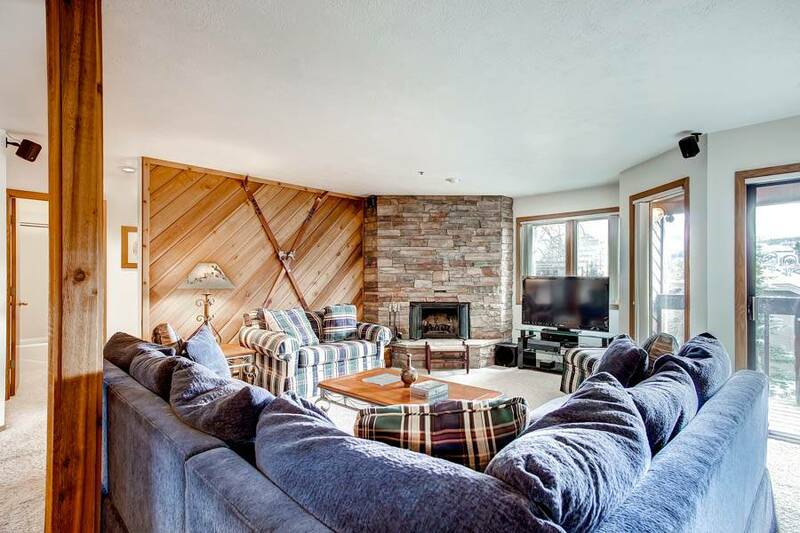 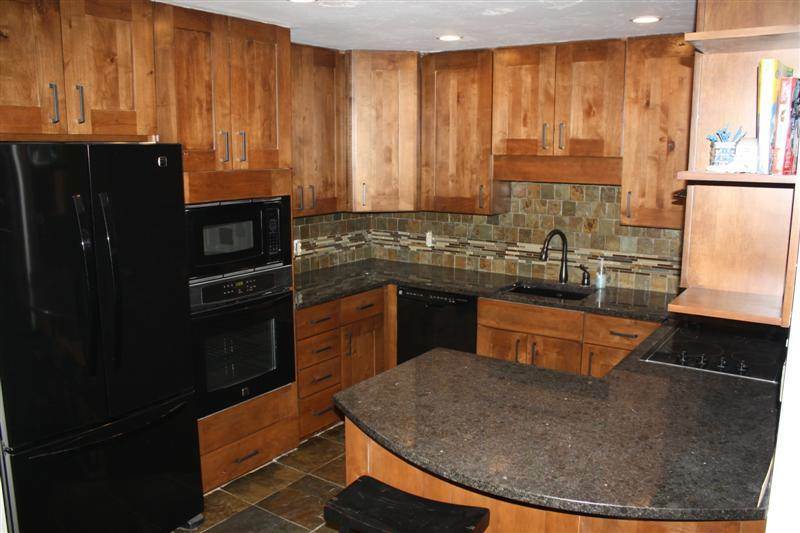 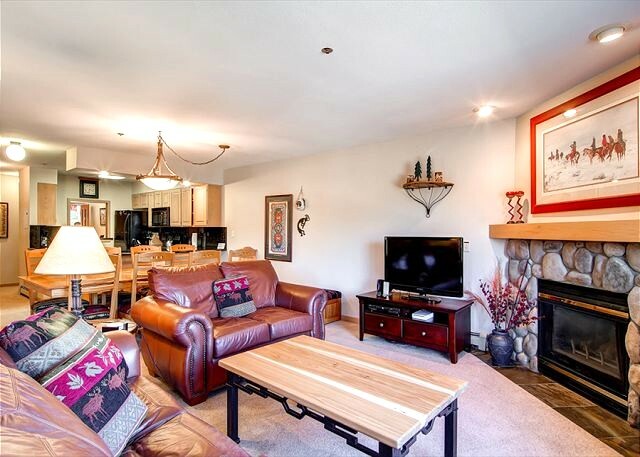 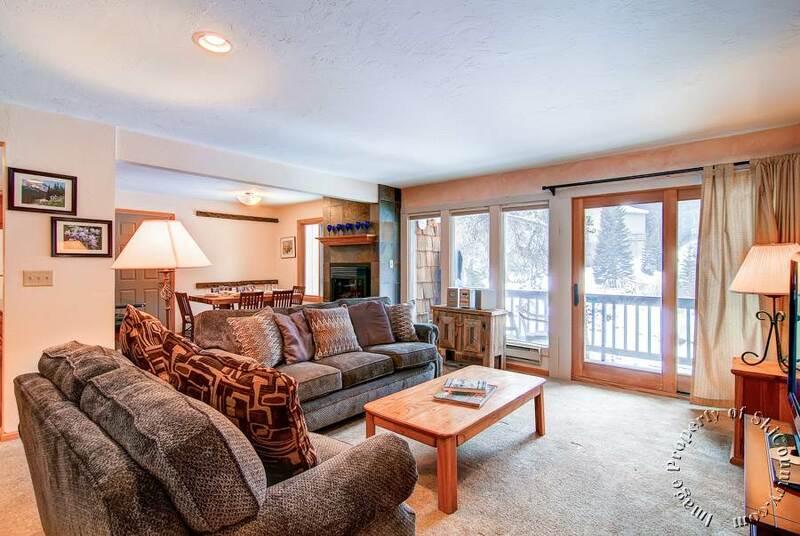 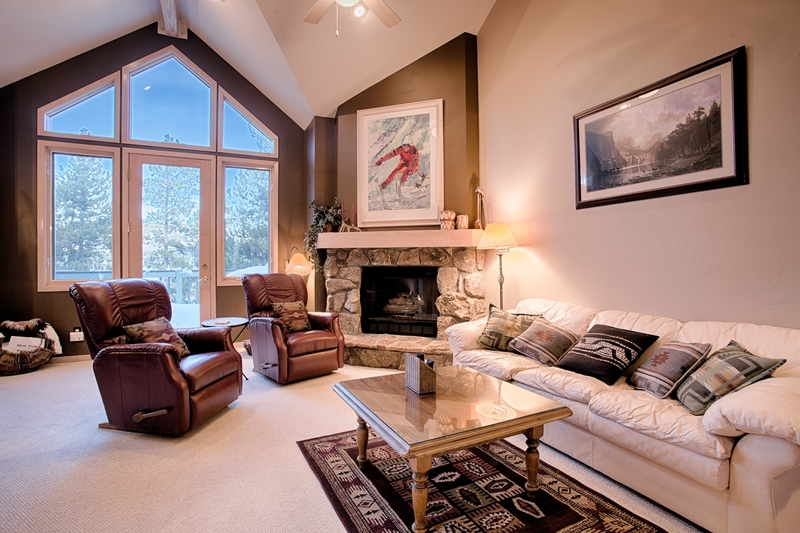 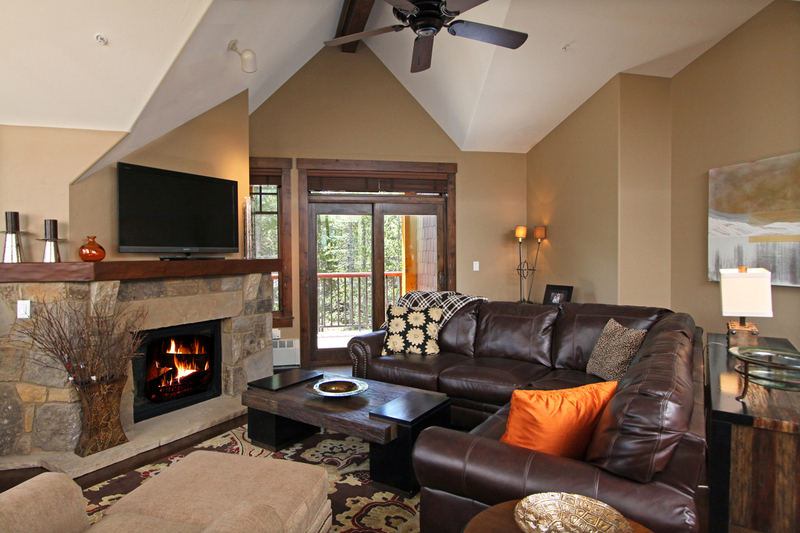 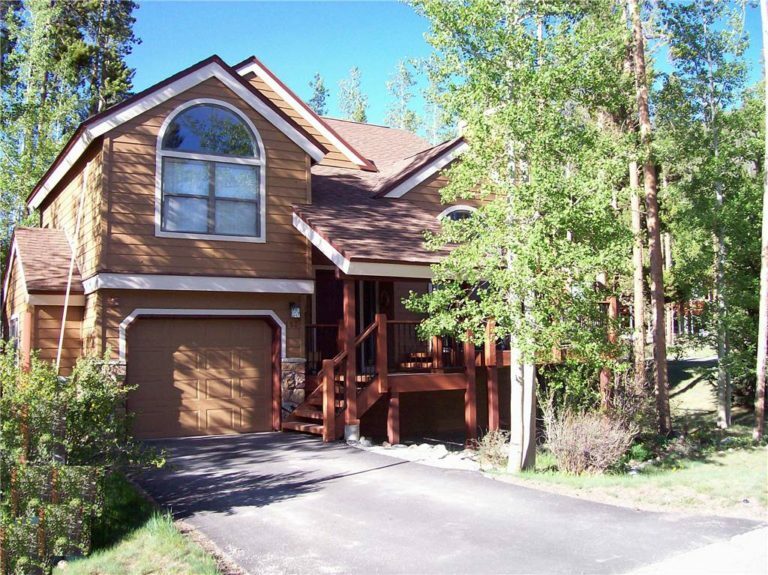 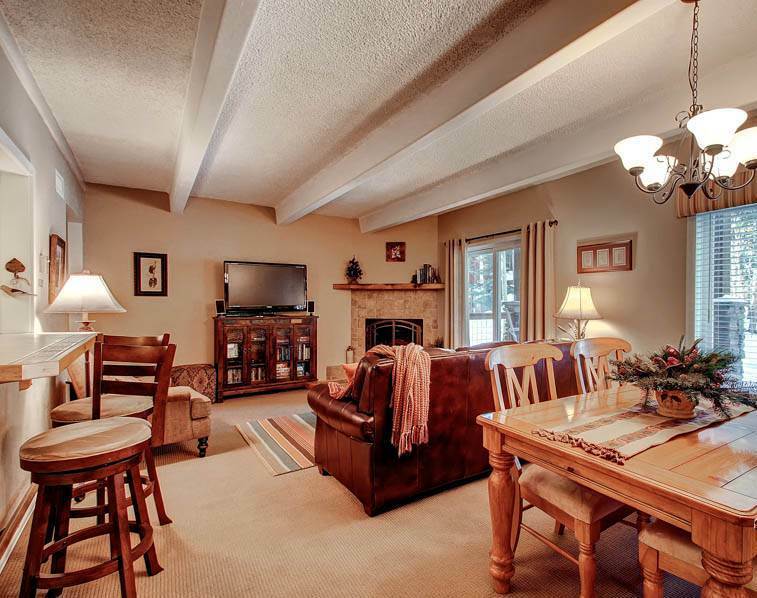 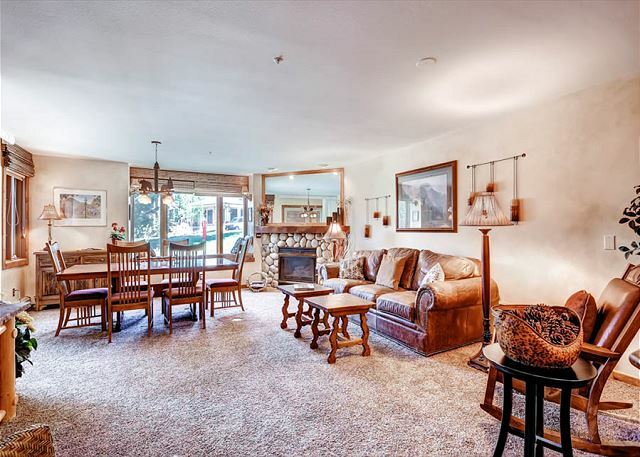 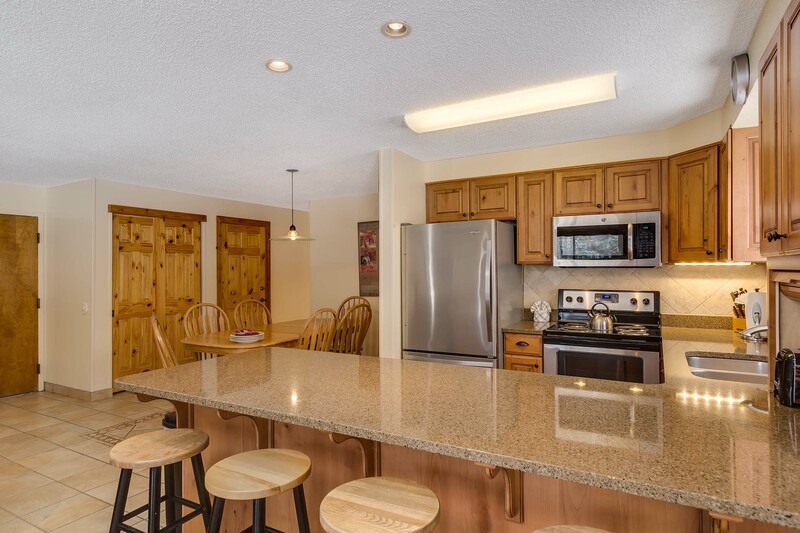 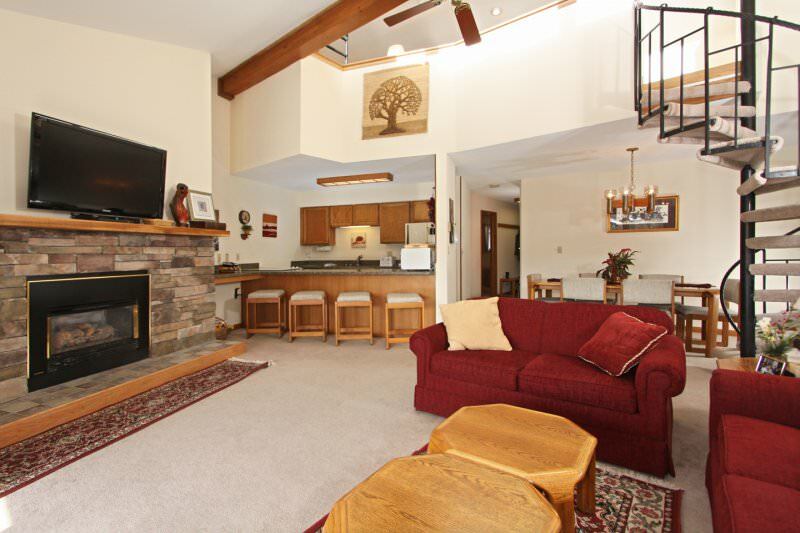 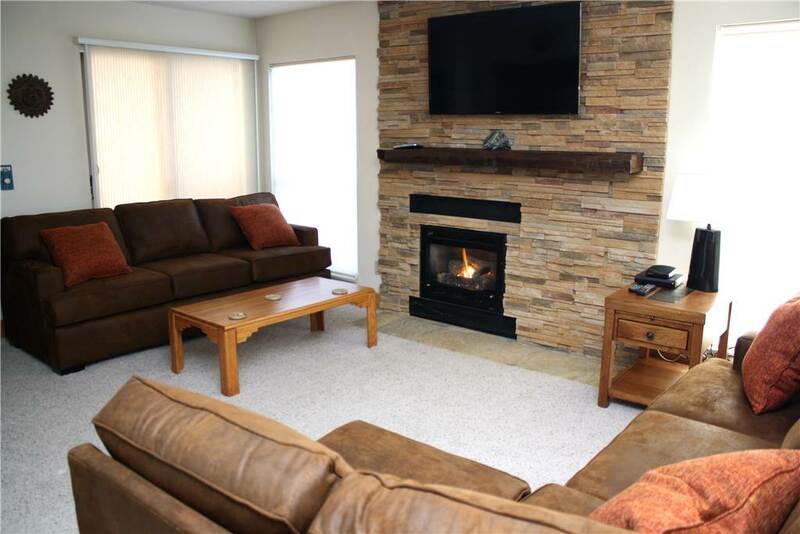 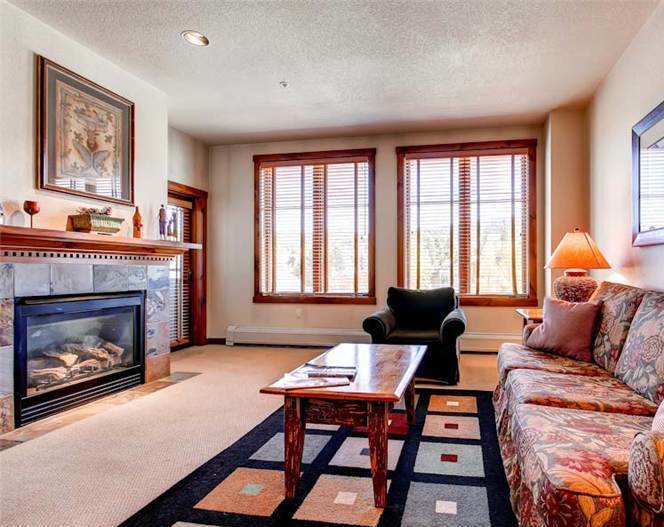 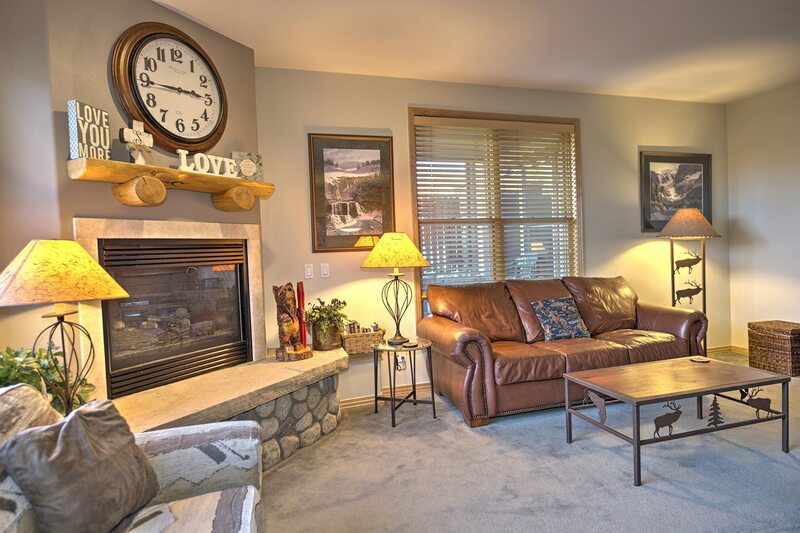 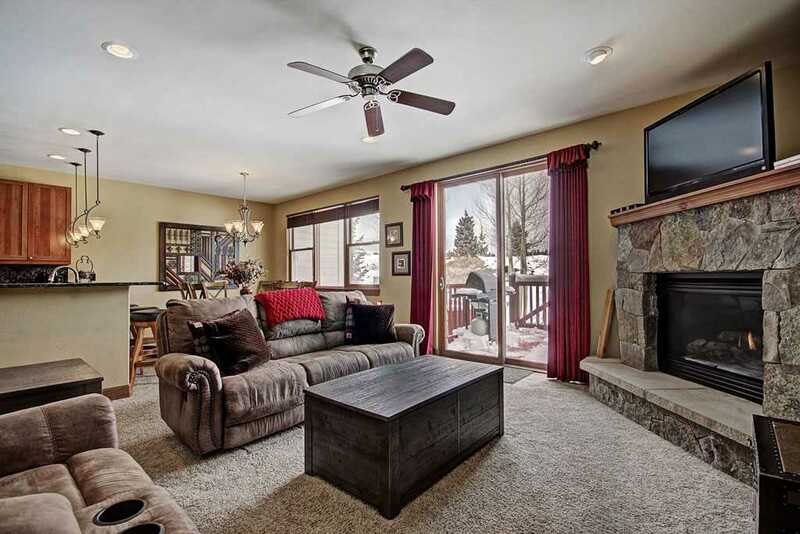 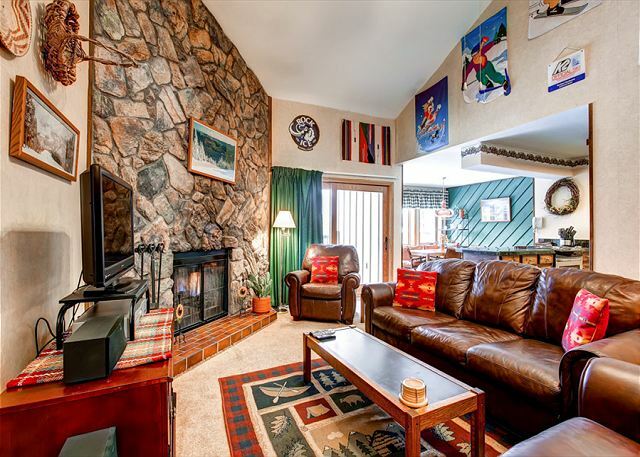 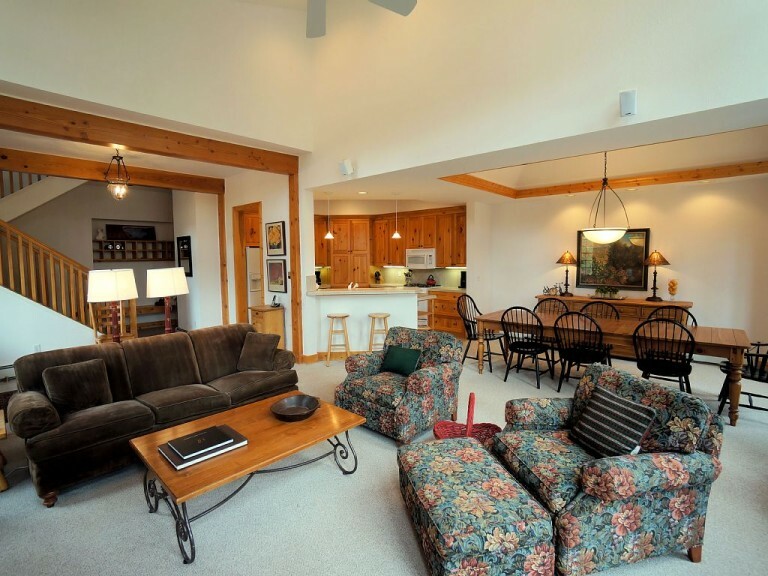 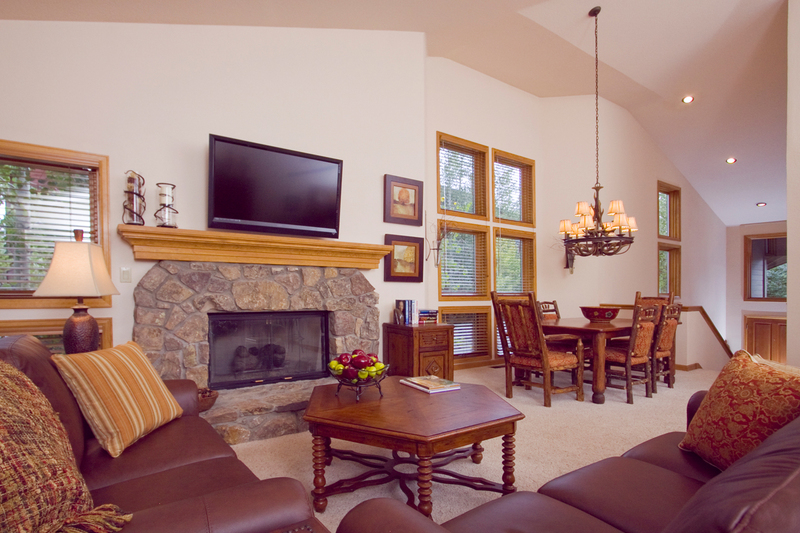 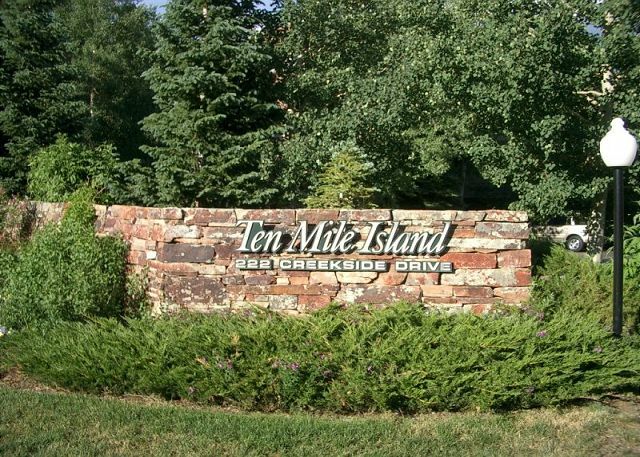 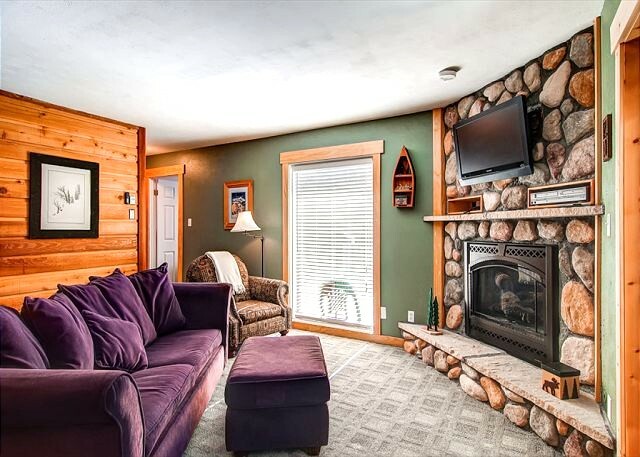 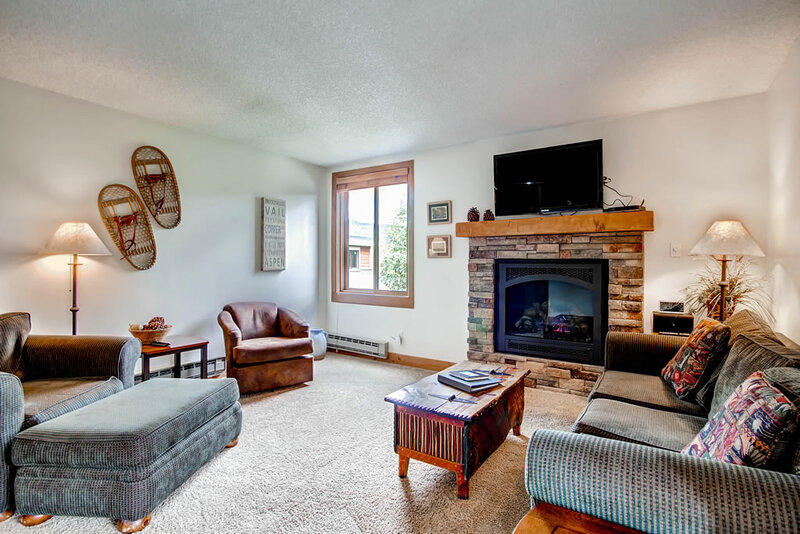 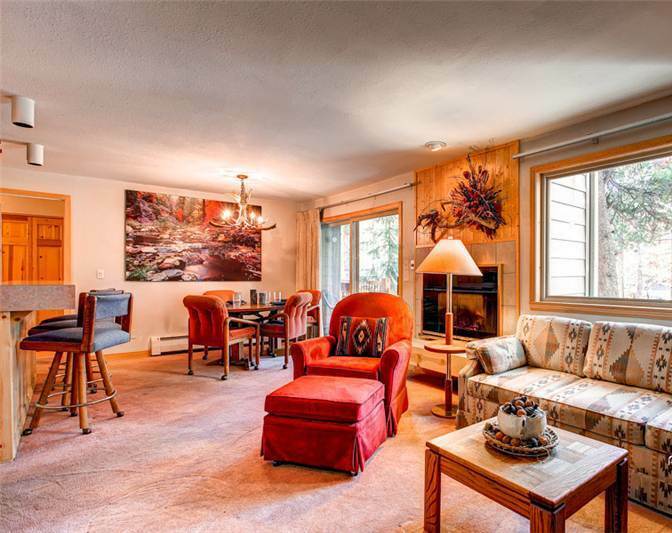 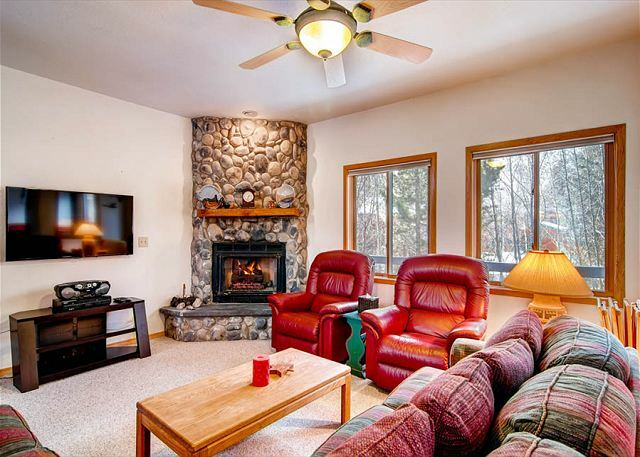 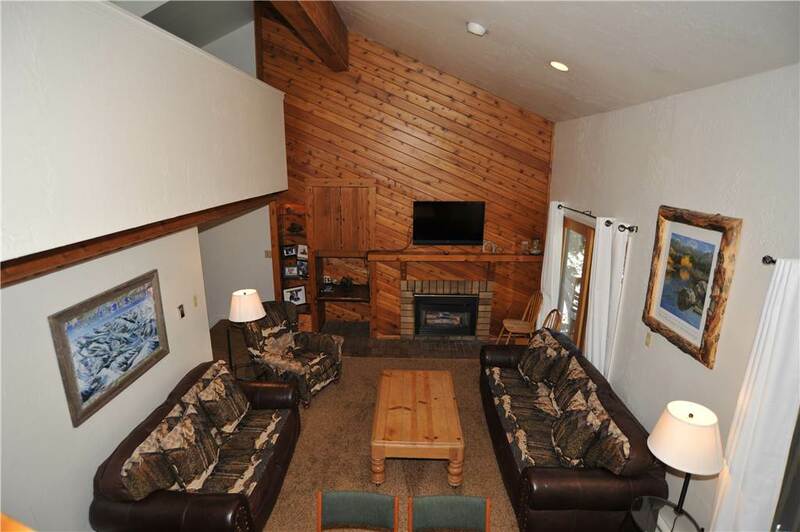 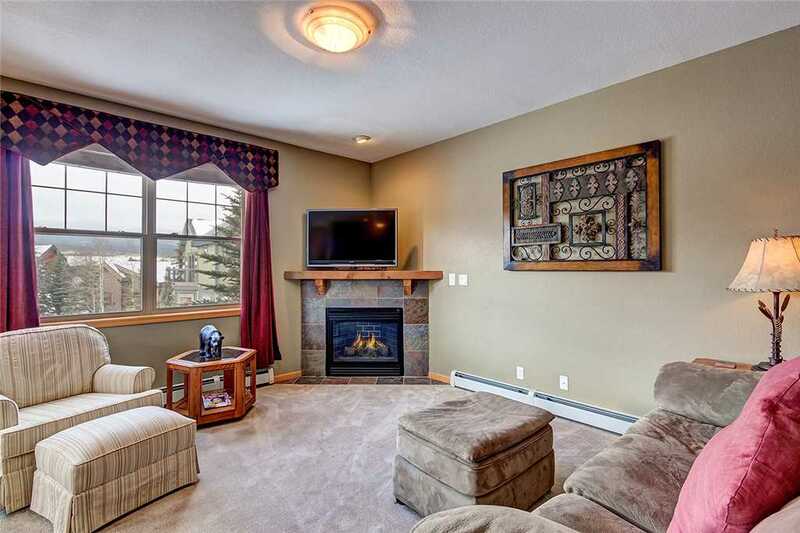 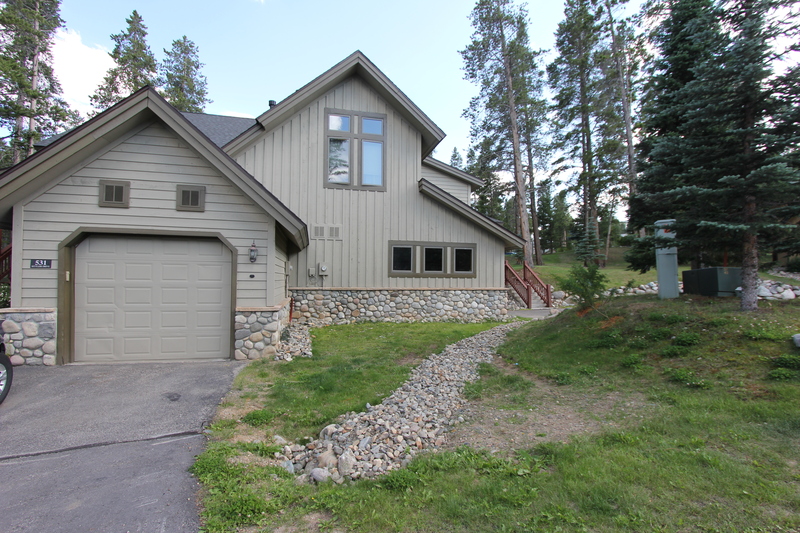 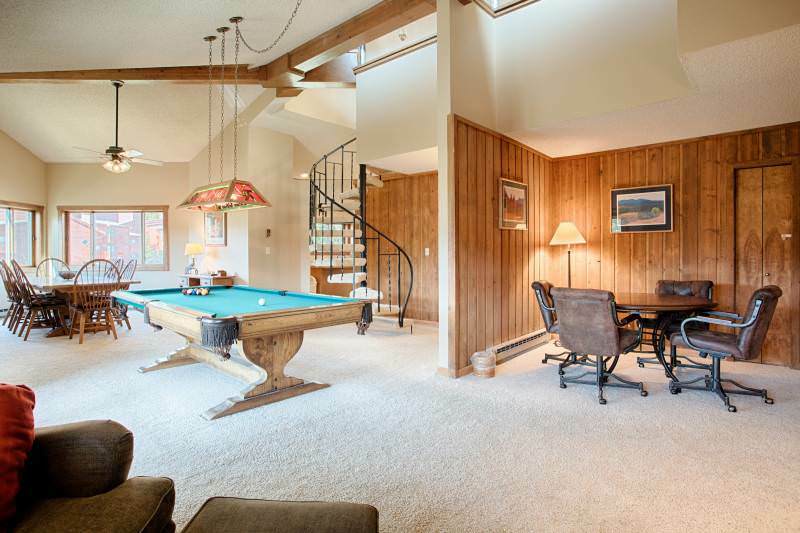 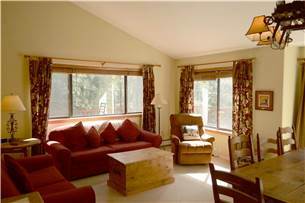 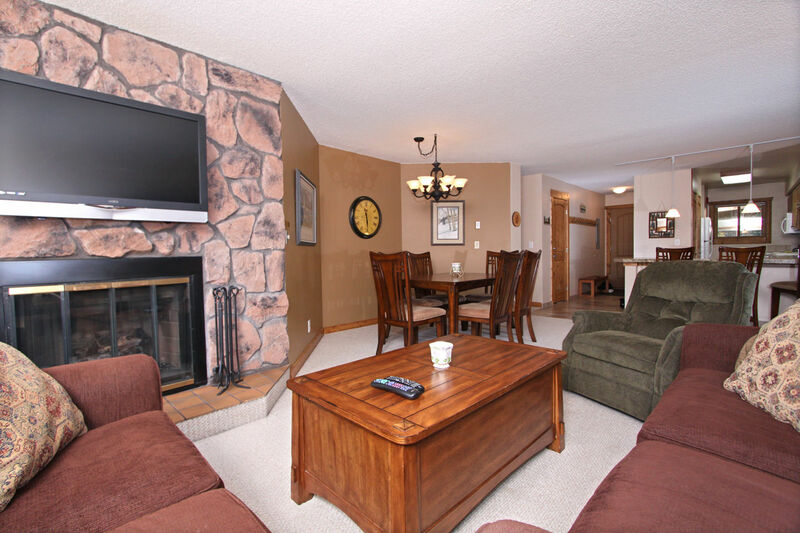 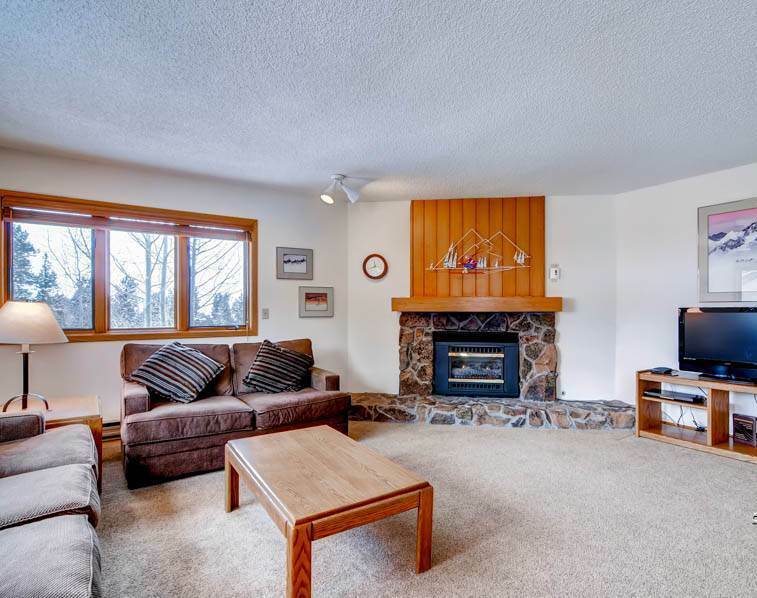 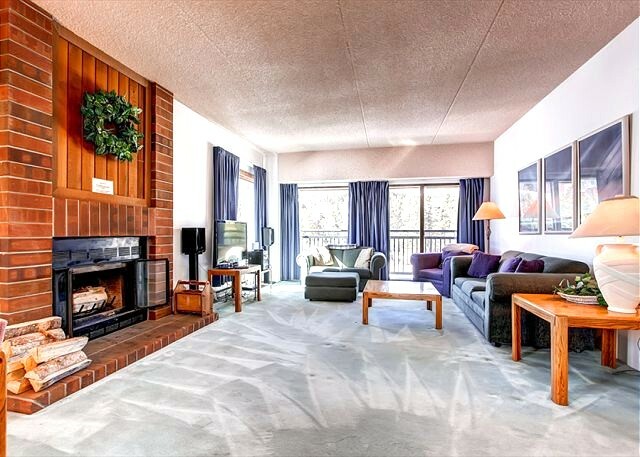 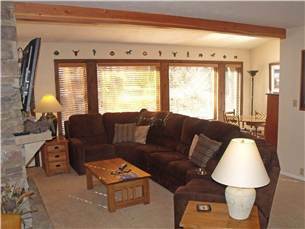 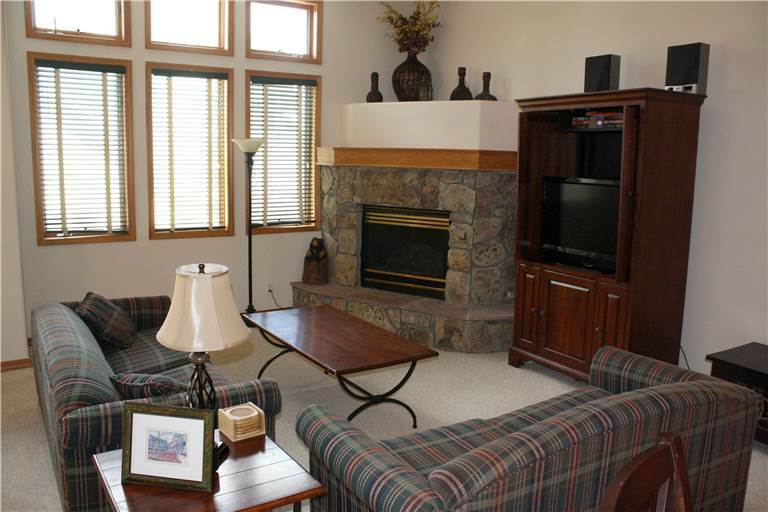 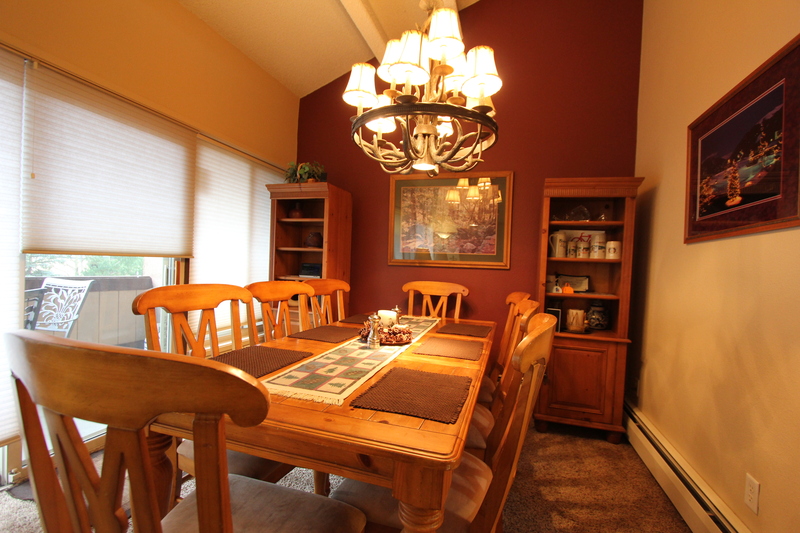 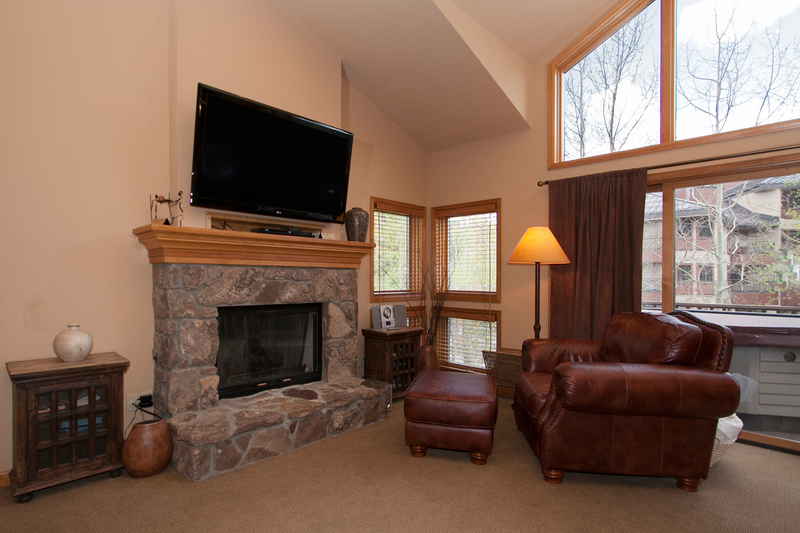 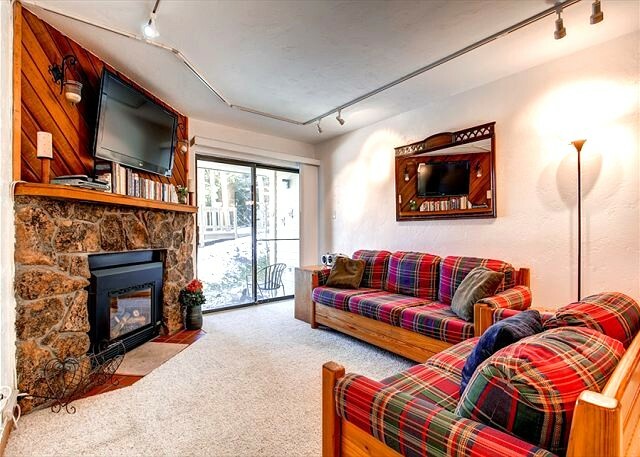 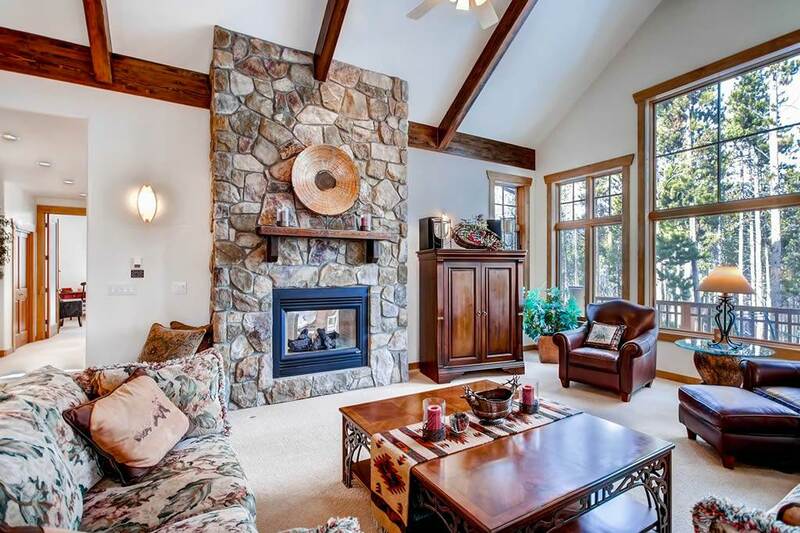 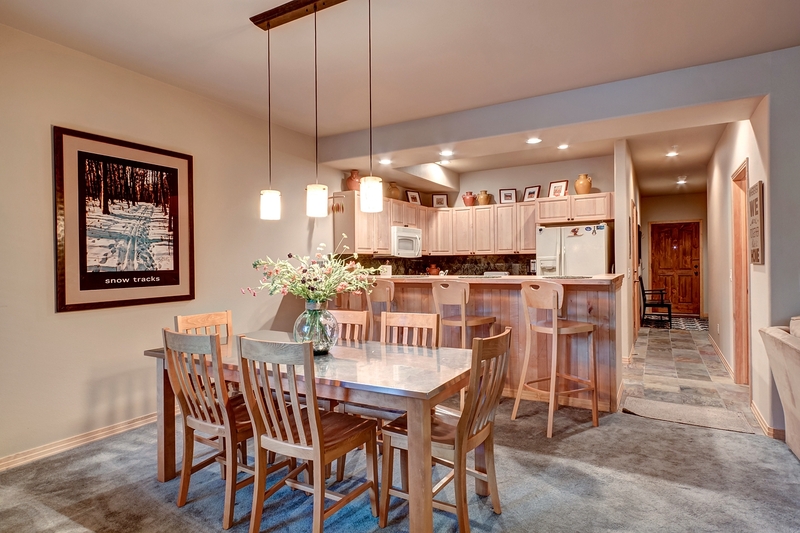 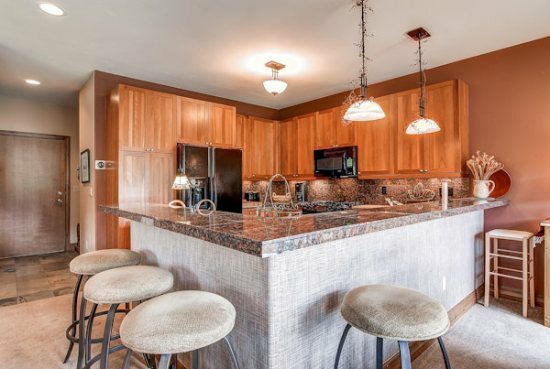 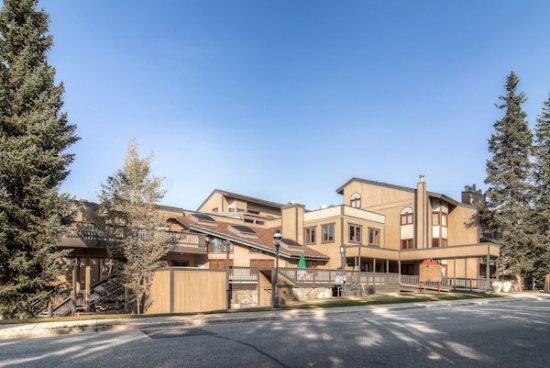 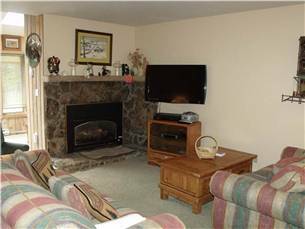 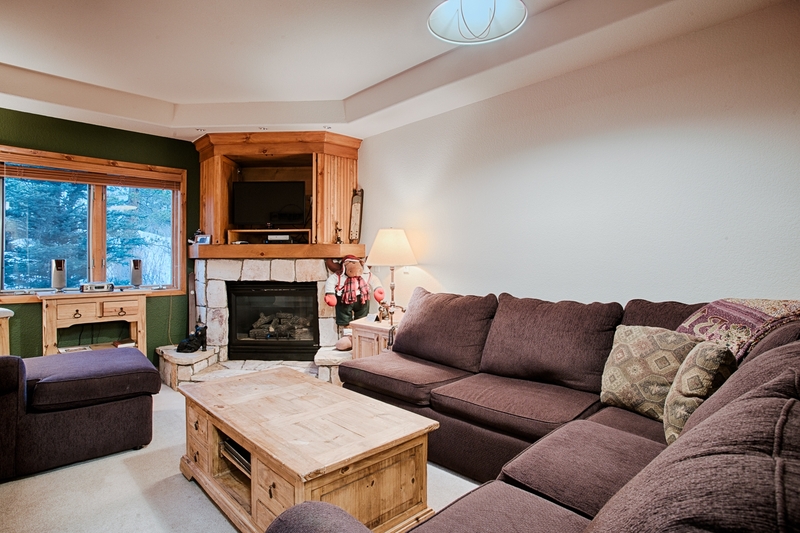 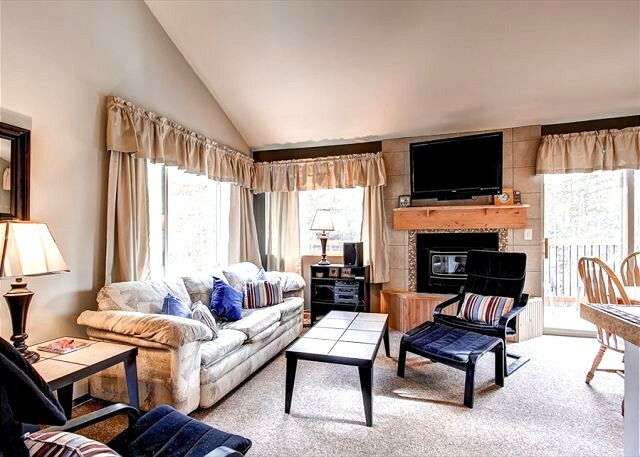 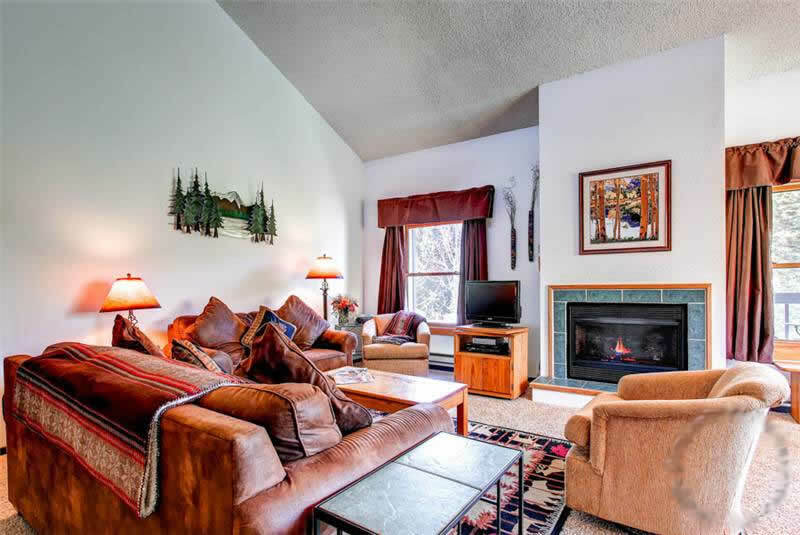 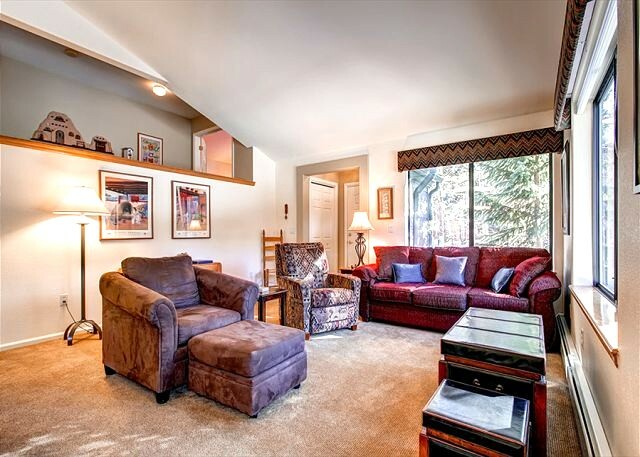 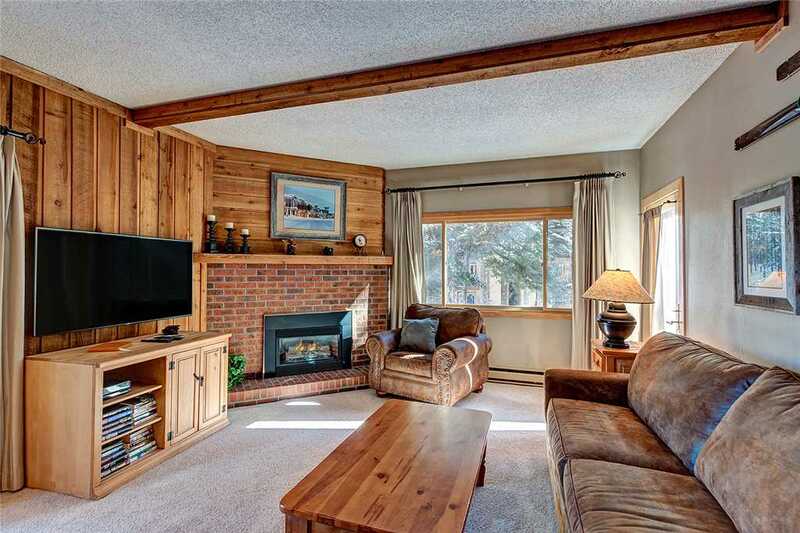 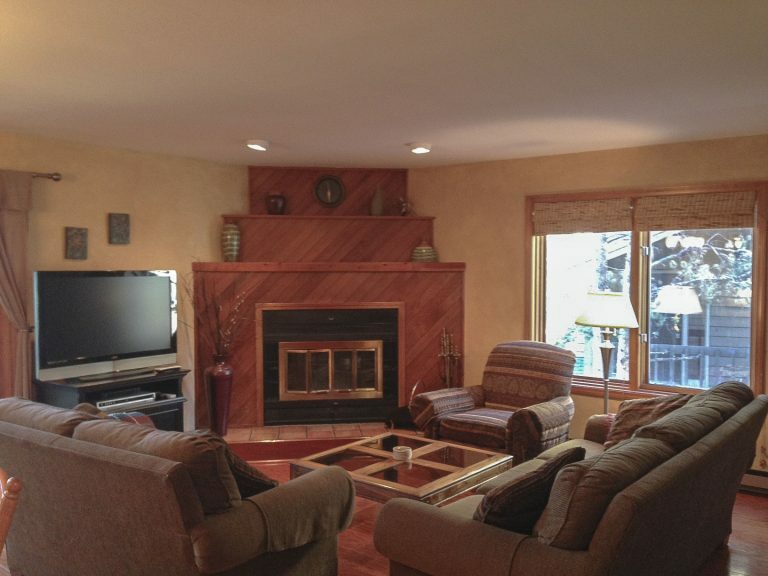 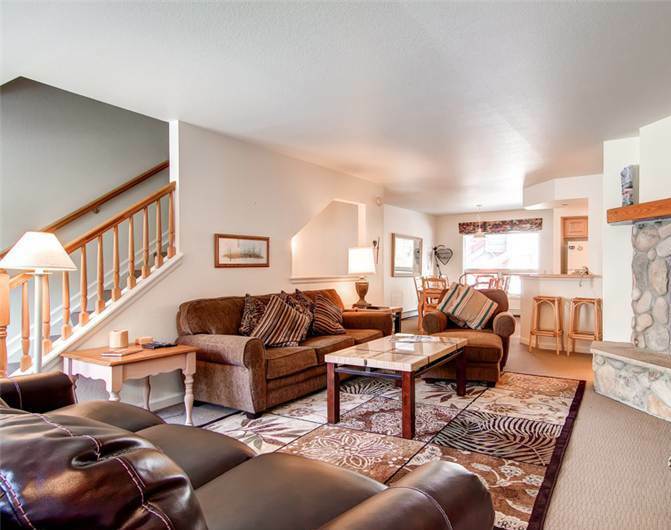 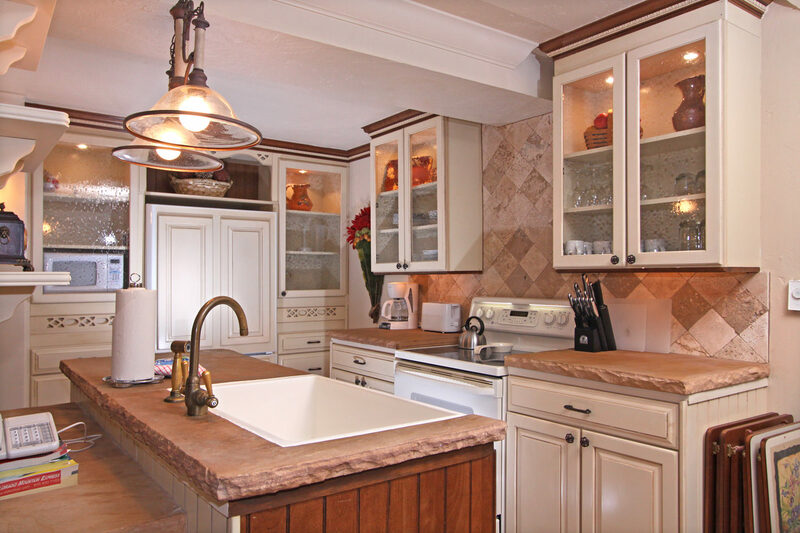 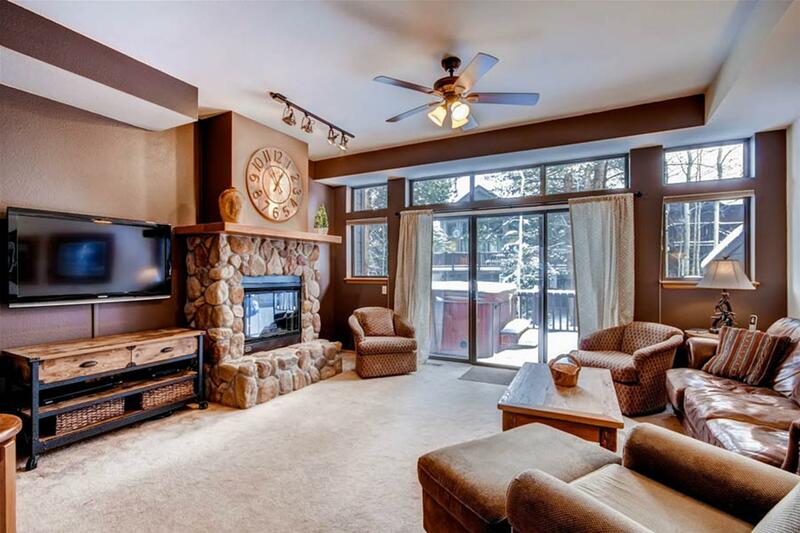 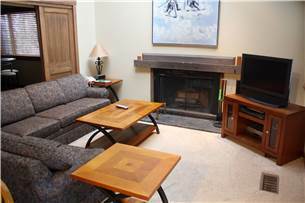 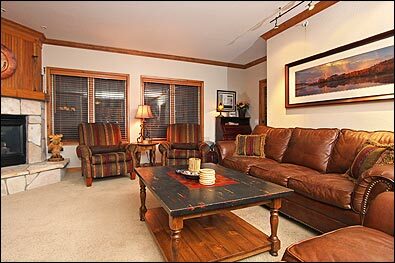 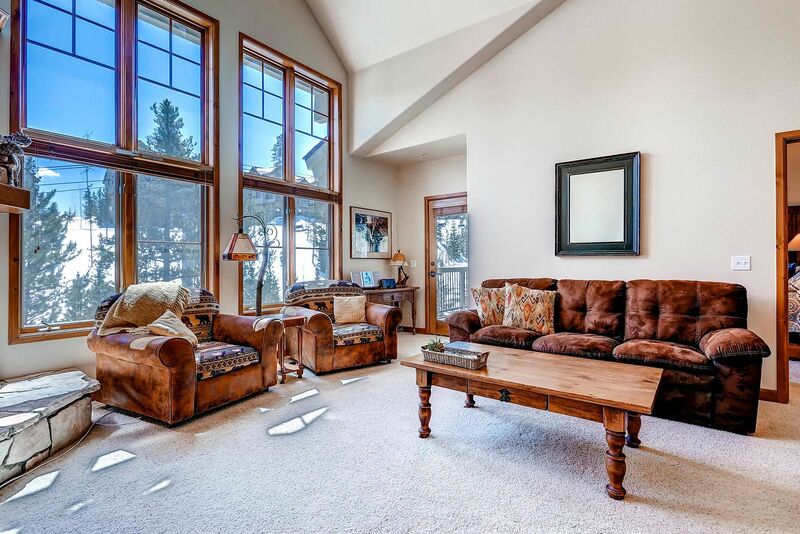 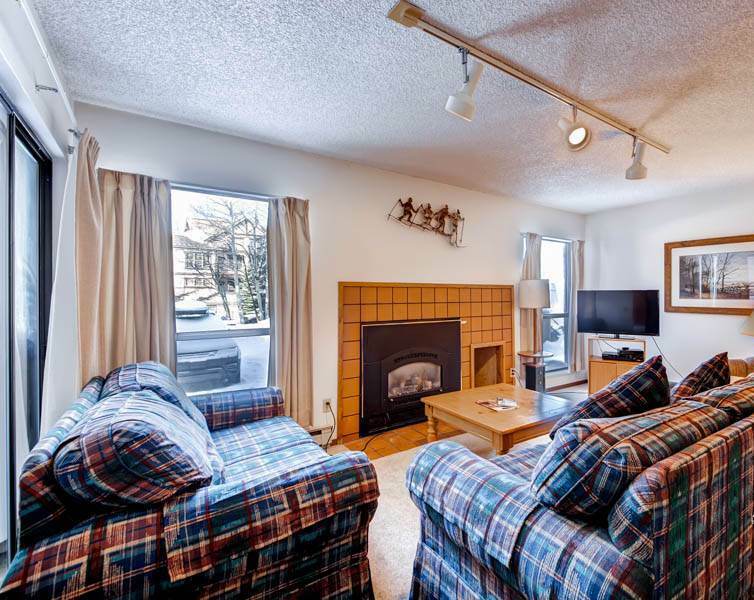 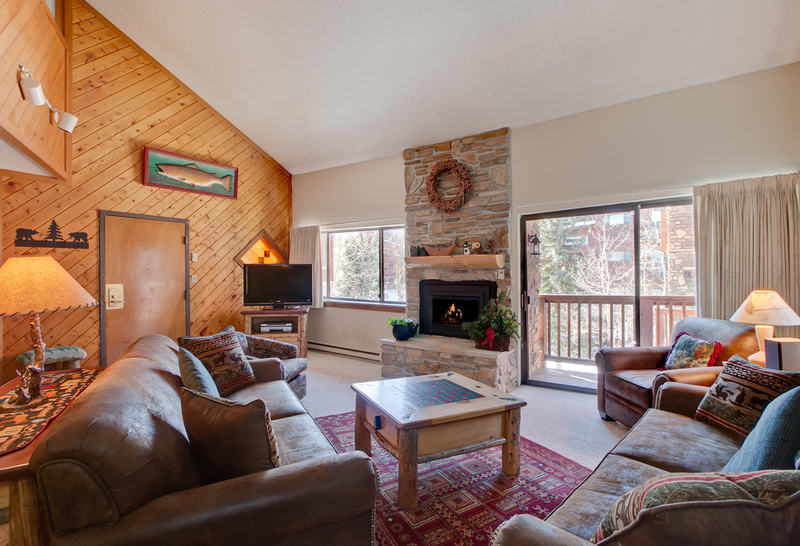 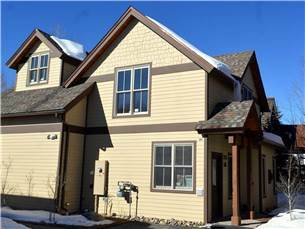 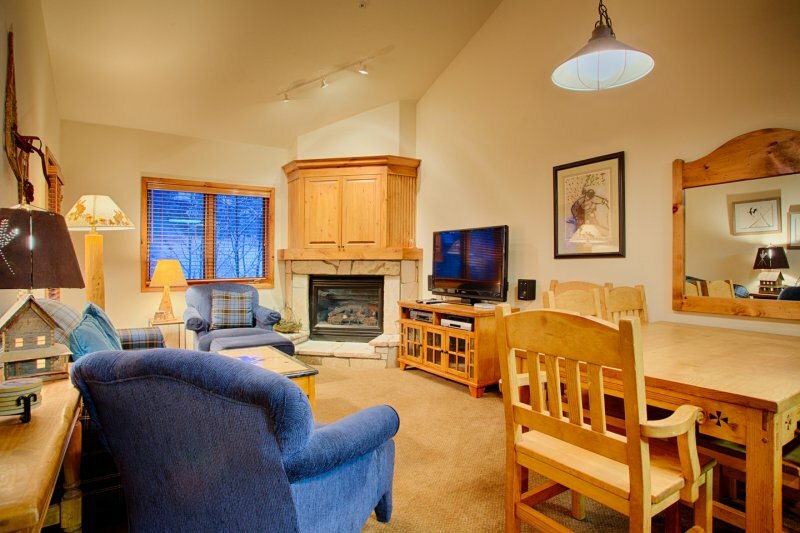 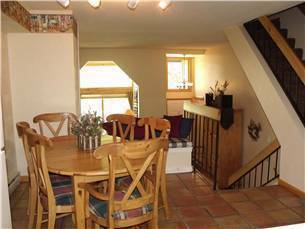 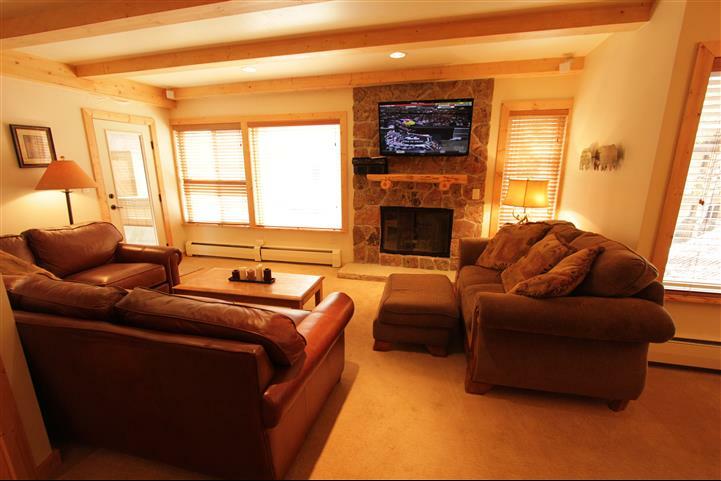 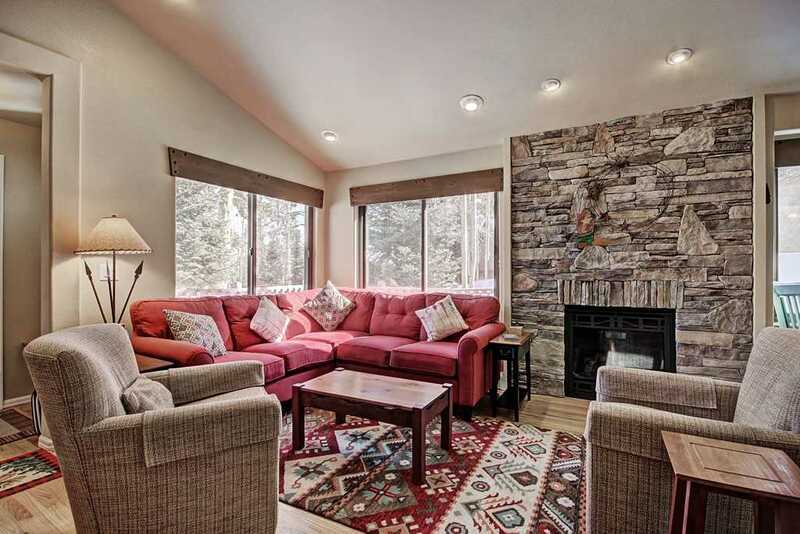 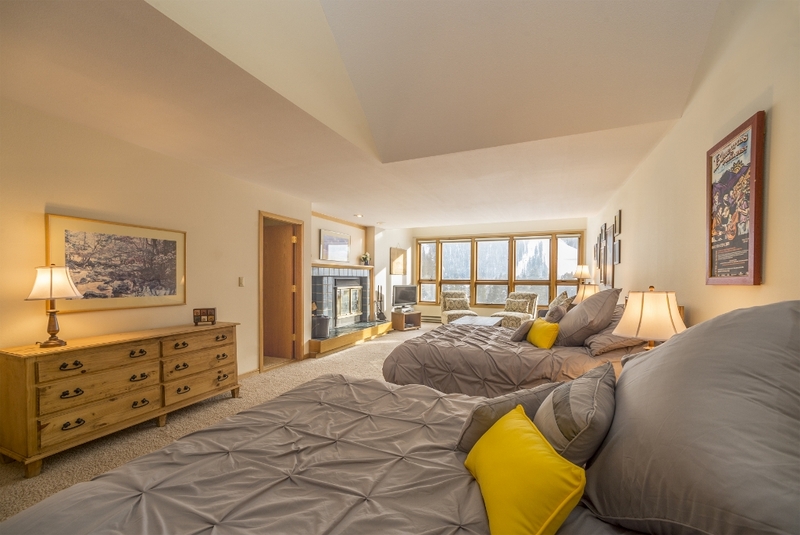 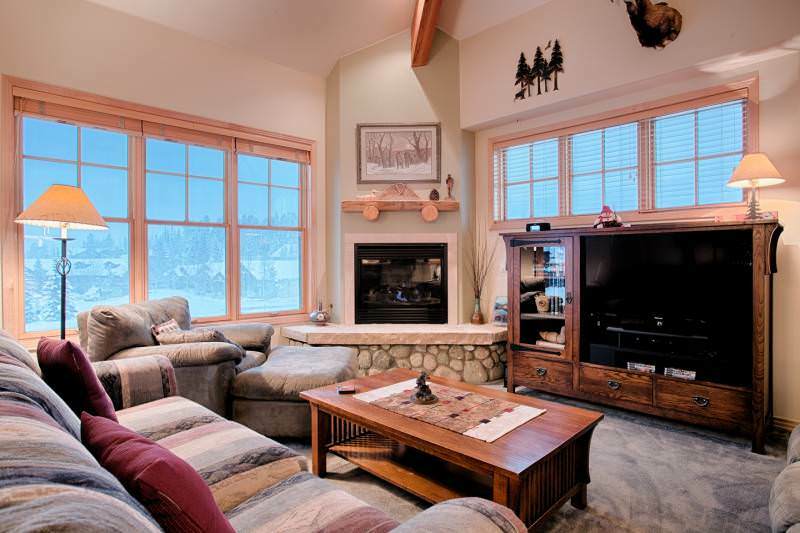 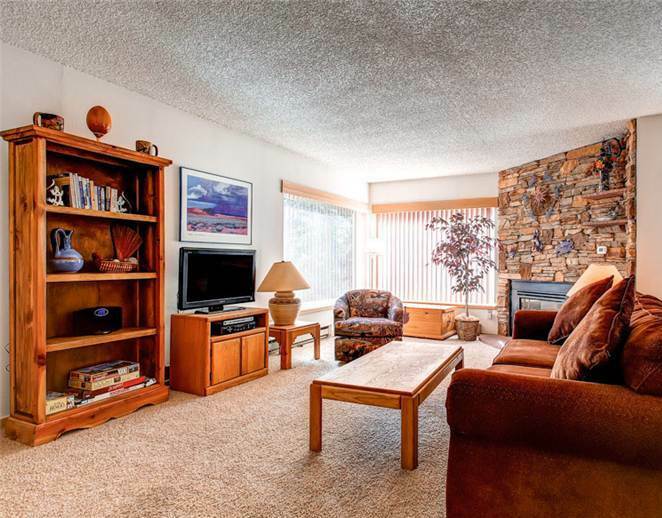 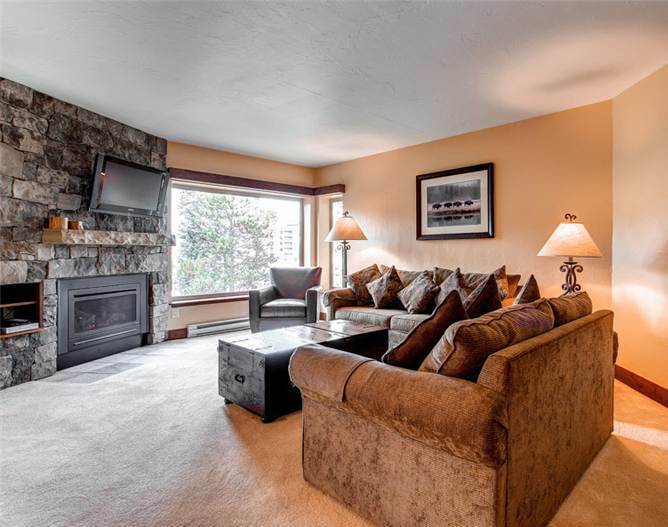 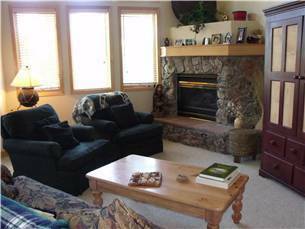 This property is also close to the Breckenridge Golf Club and gives easy access to all that Summit County has to offer! 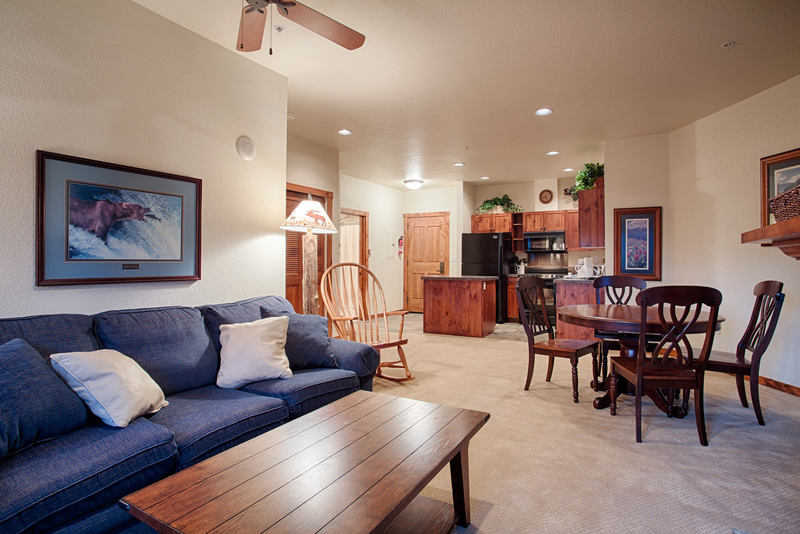 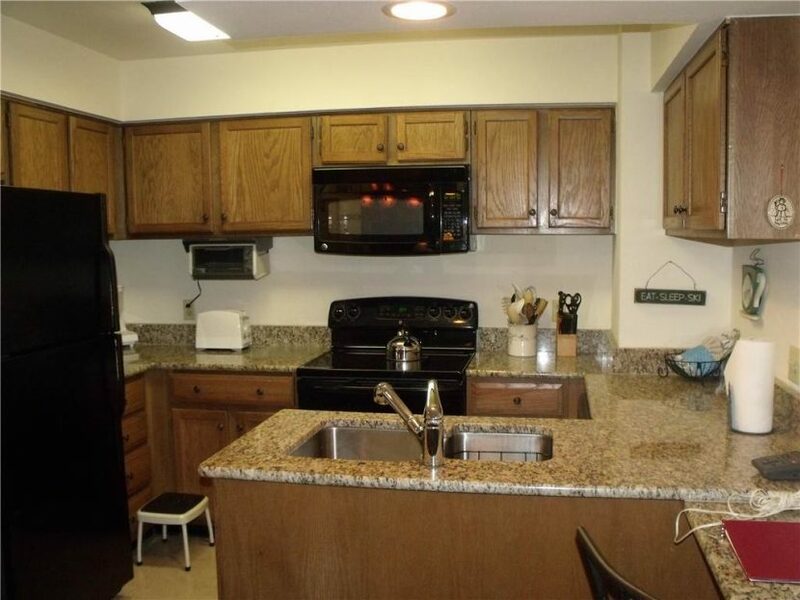 AMENITIES – This property gives up nothing in comfort and amenities. 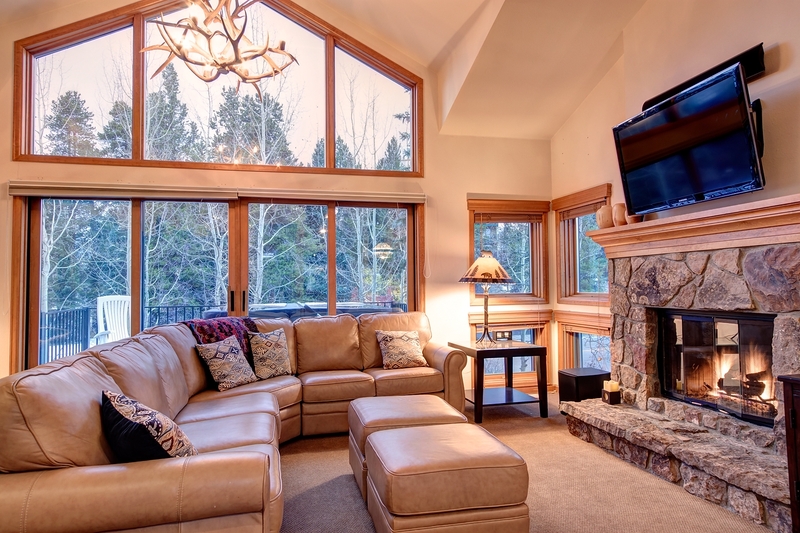 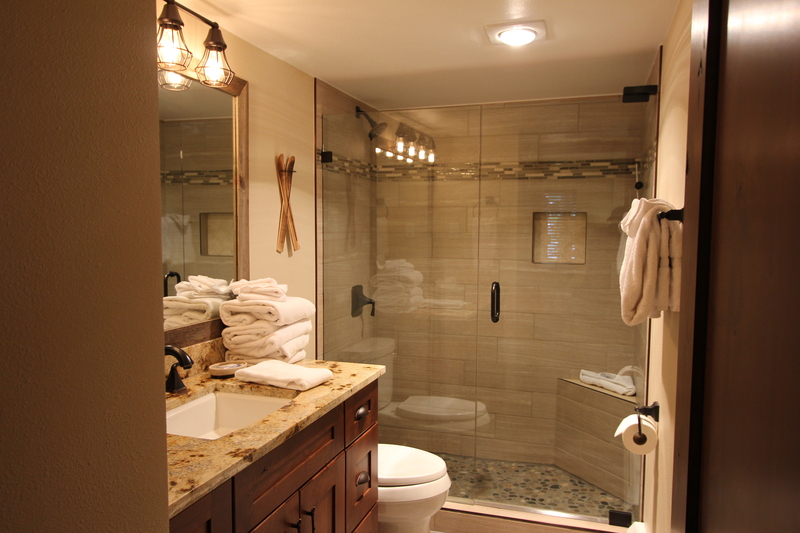 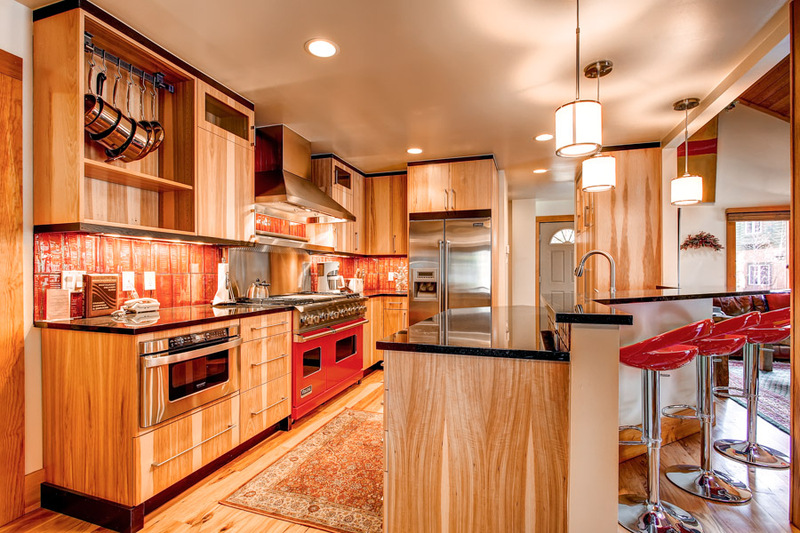 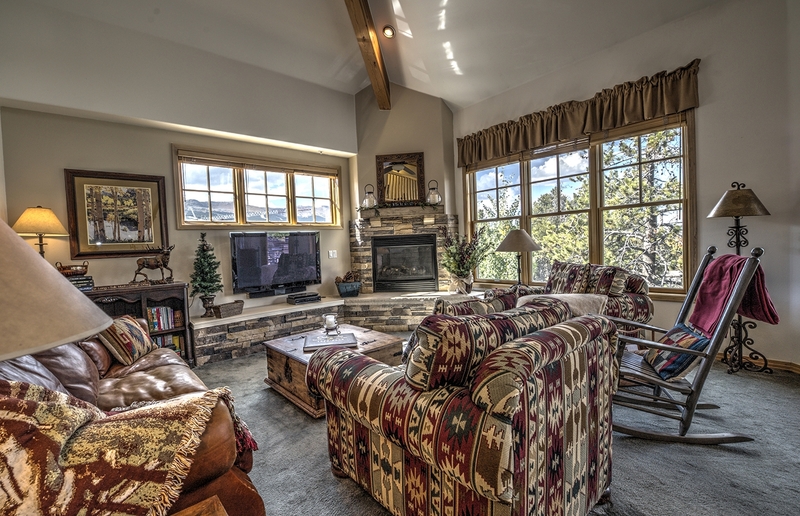 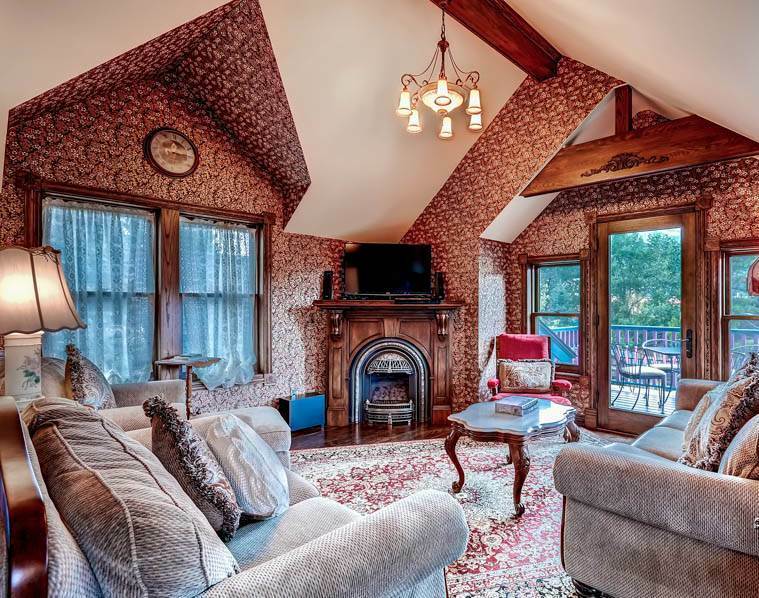 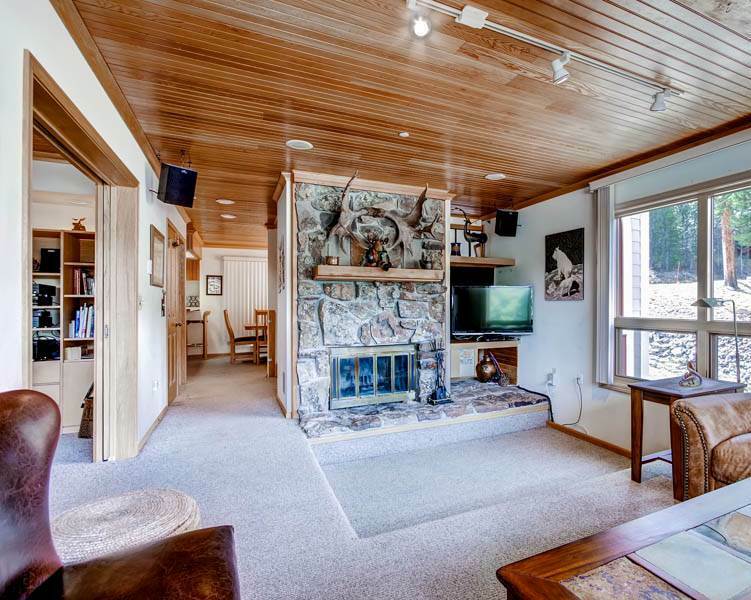 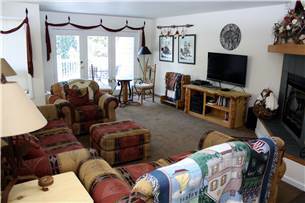 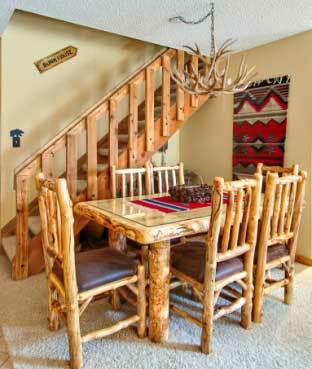 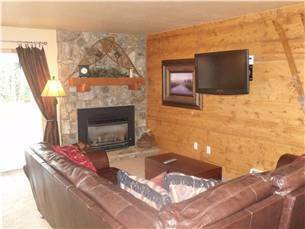 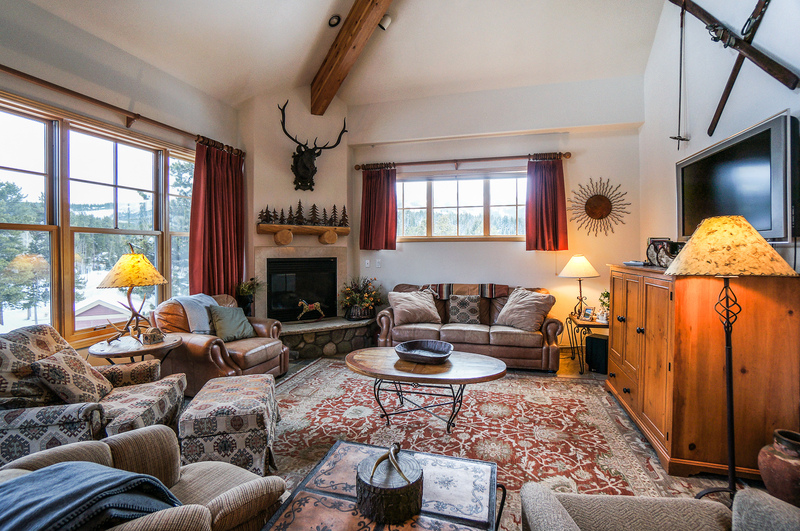 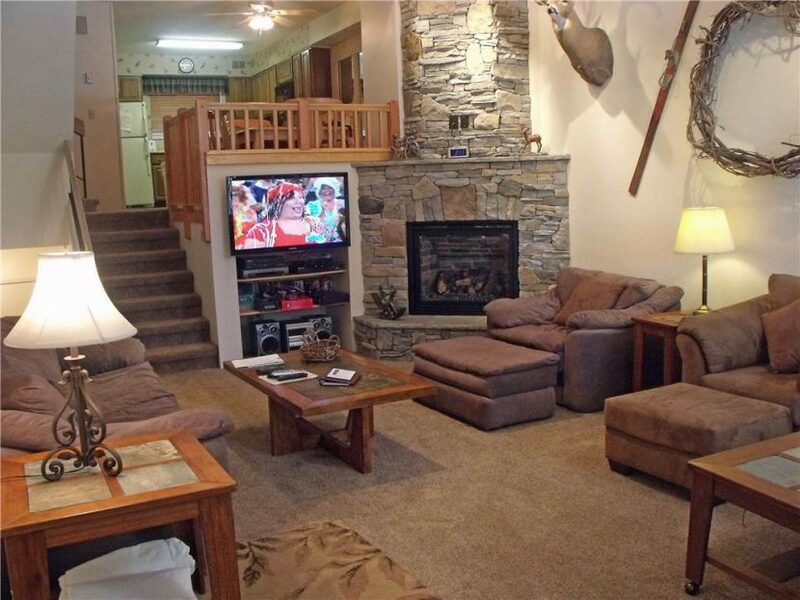 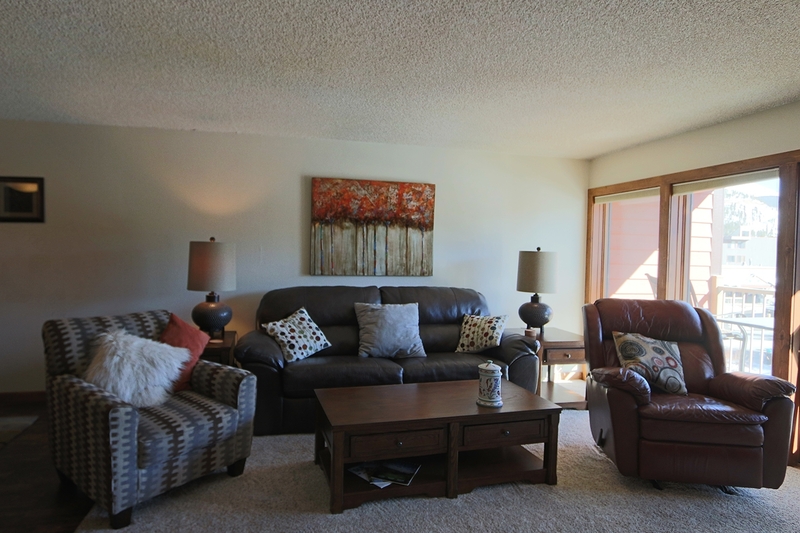 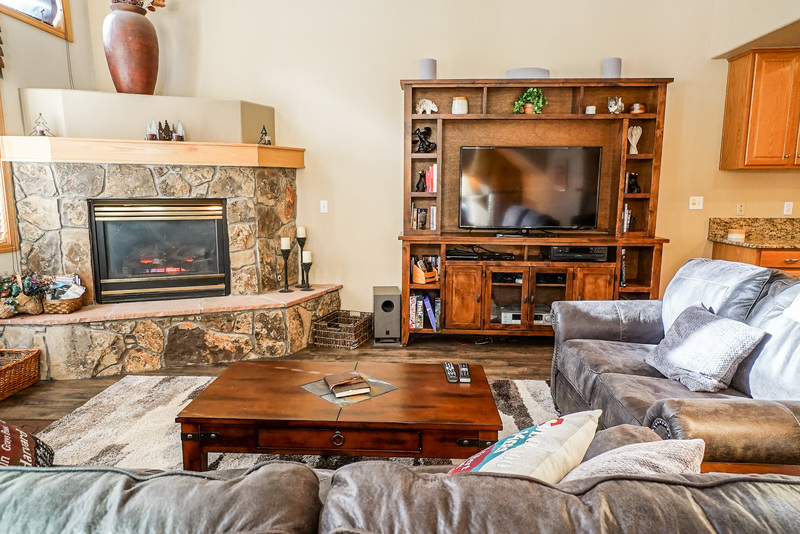 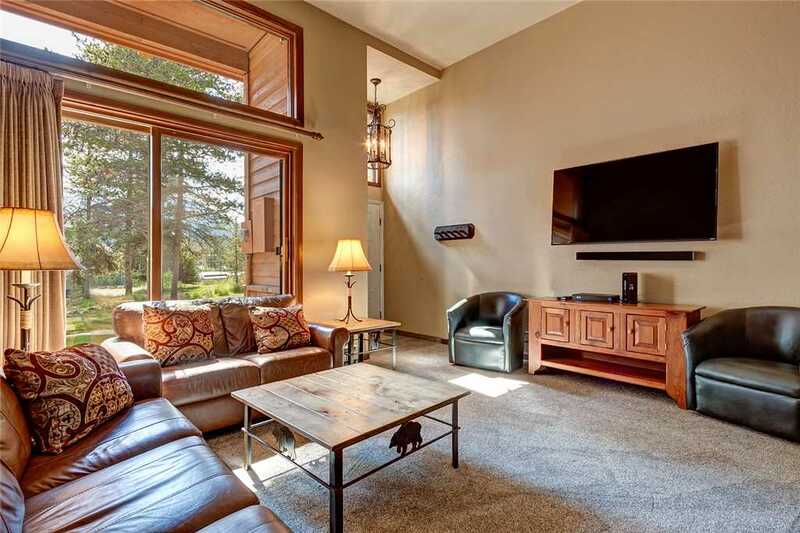 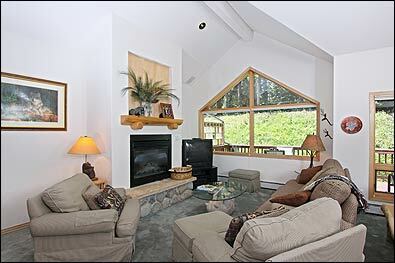 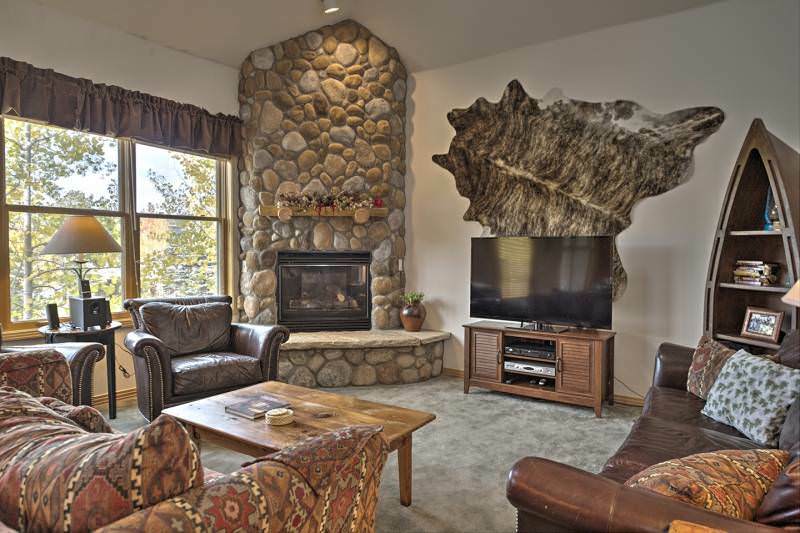 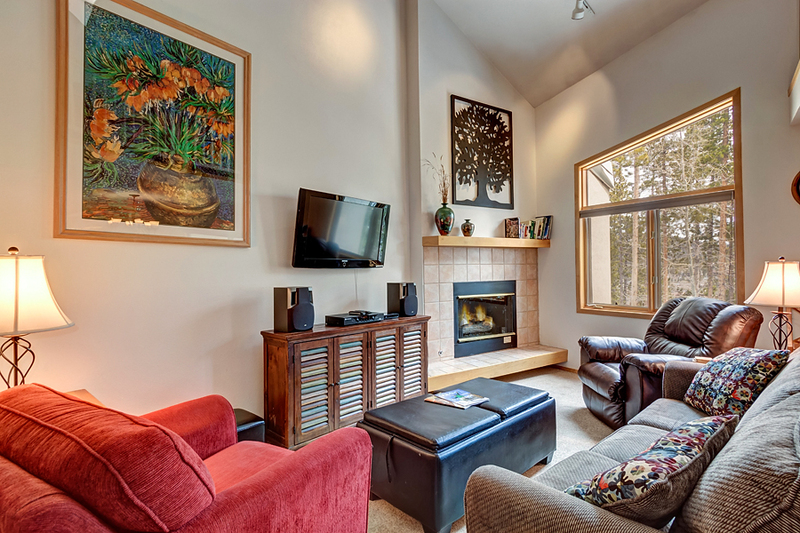 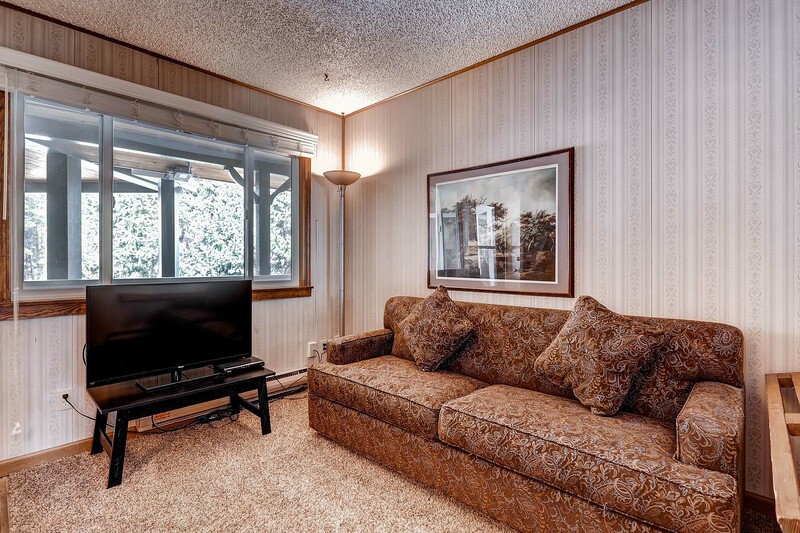 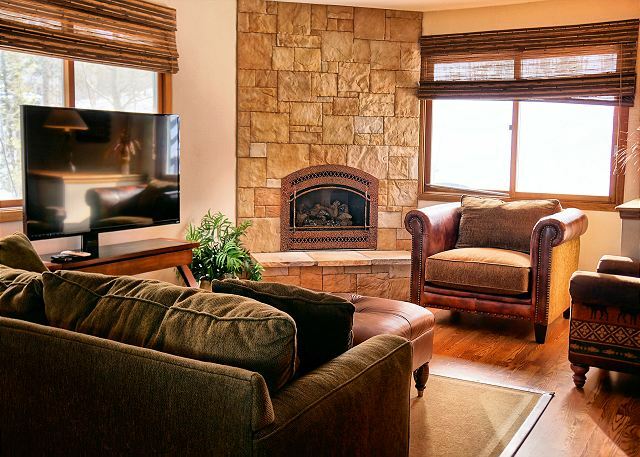 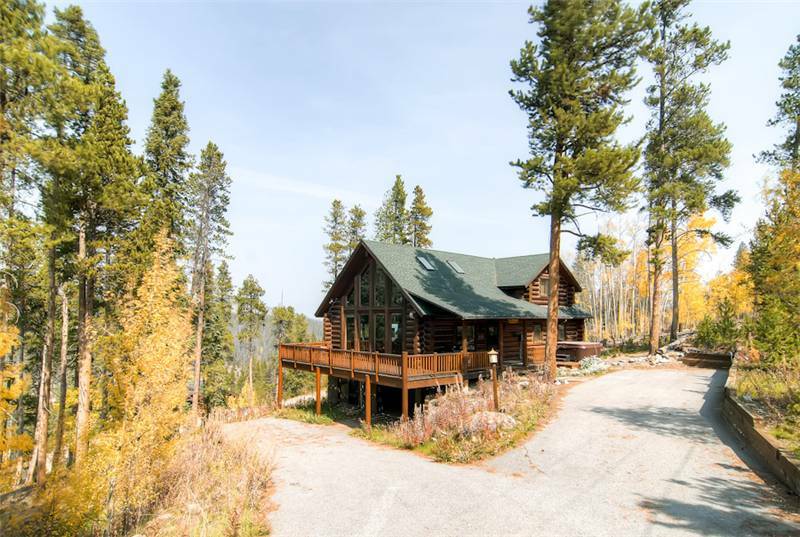 With 2,600 square feet of home, the Elk Trail House has plenty of sleeping space and entertainment options. 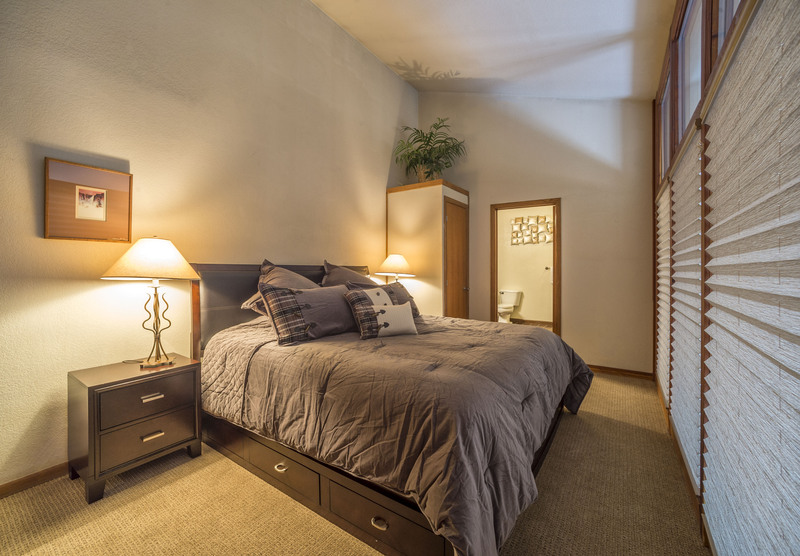 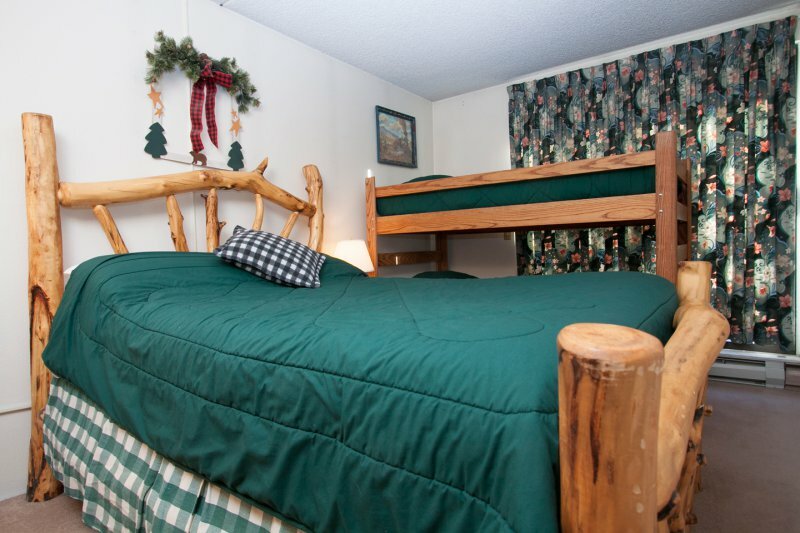 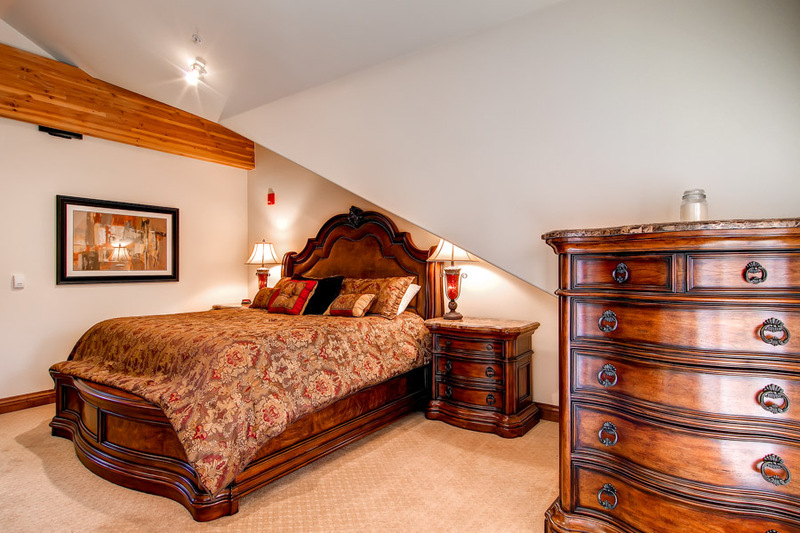 There are three bedrooms including two queen bedrooms, a bunk bedroom with additional bedding in the loft. 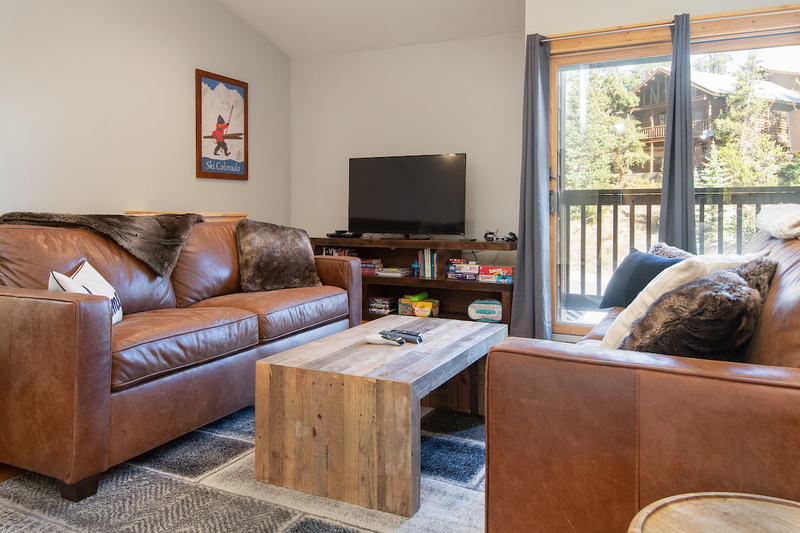 Play a game of pool or darts inside or play outside in the surrounding wilderness where activities abound like skiing, fishing, hiking, biking, snowshoeing and more! 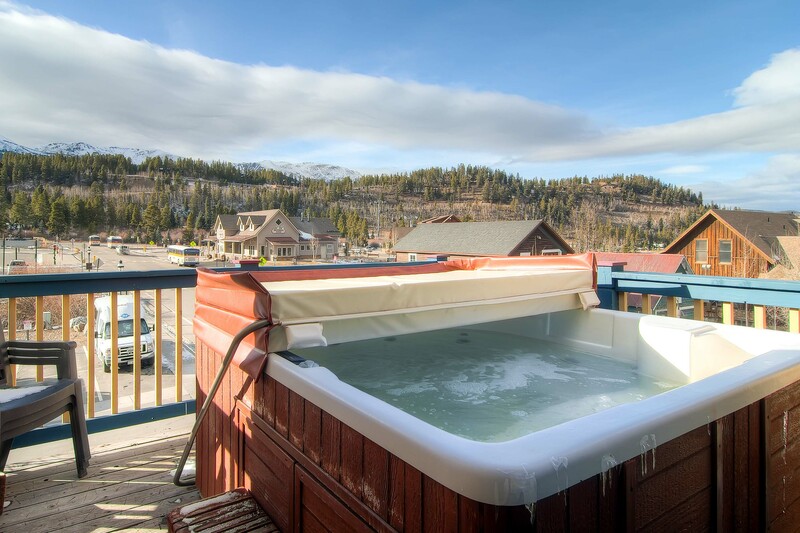 The private hot tub (not available in summer) and the spacious deck – which is complete with a gas grill – will give you the lounging space that you need for a relaxing vacation. 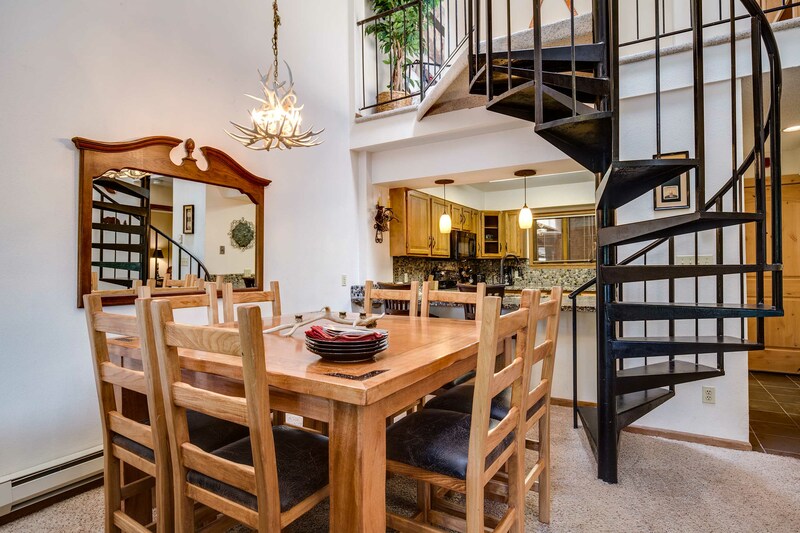 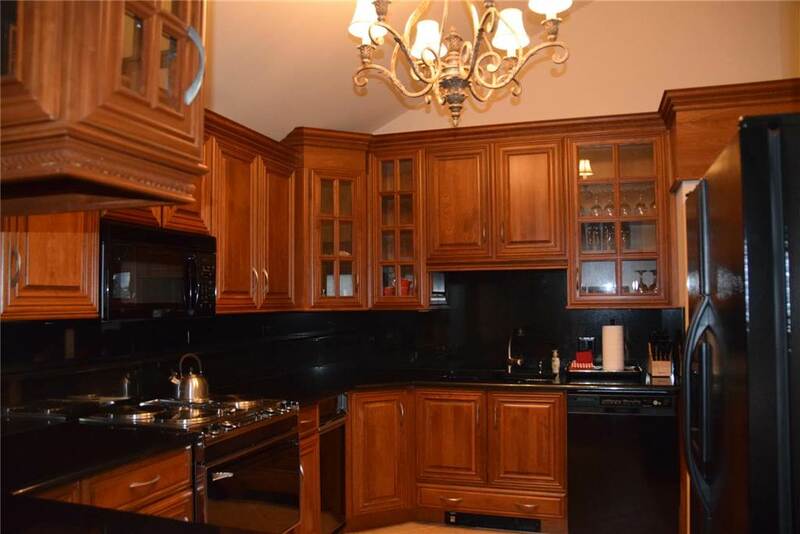 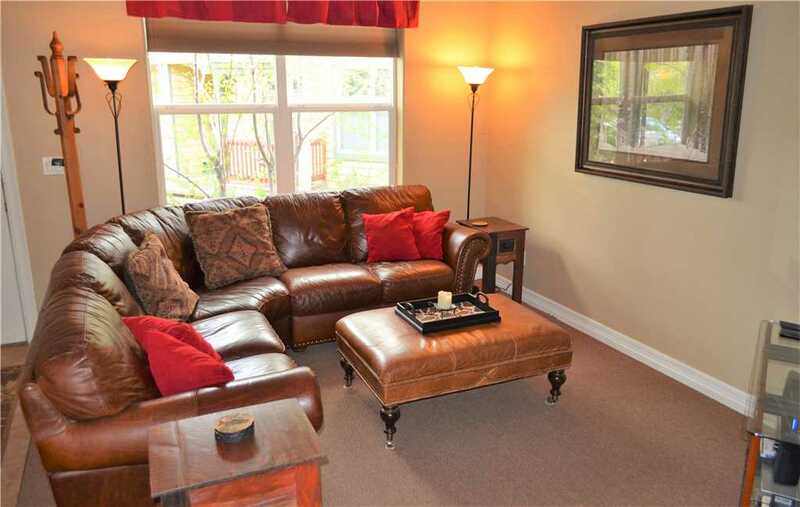 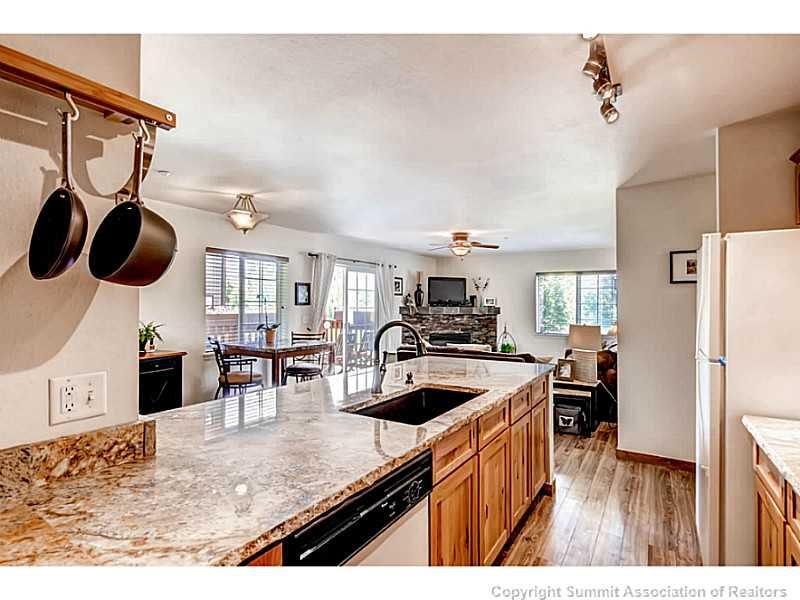 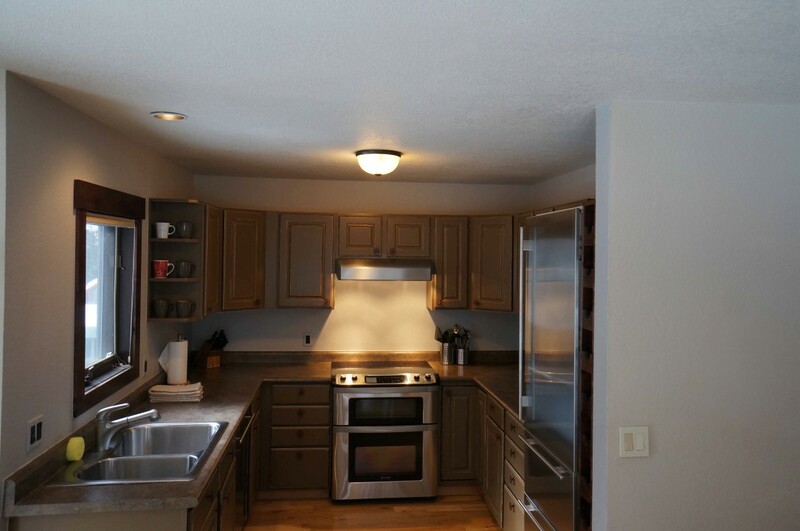 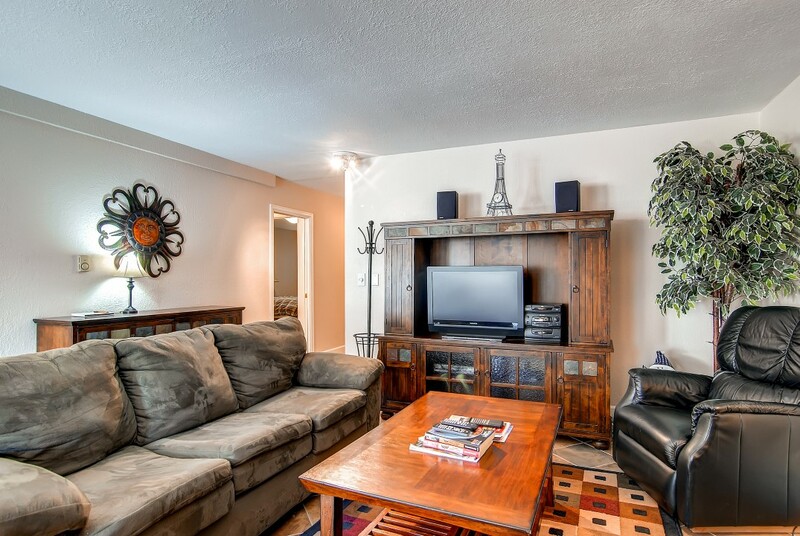 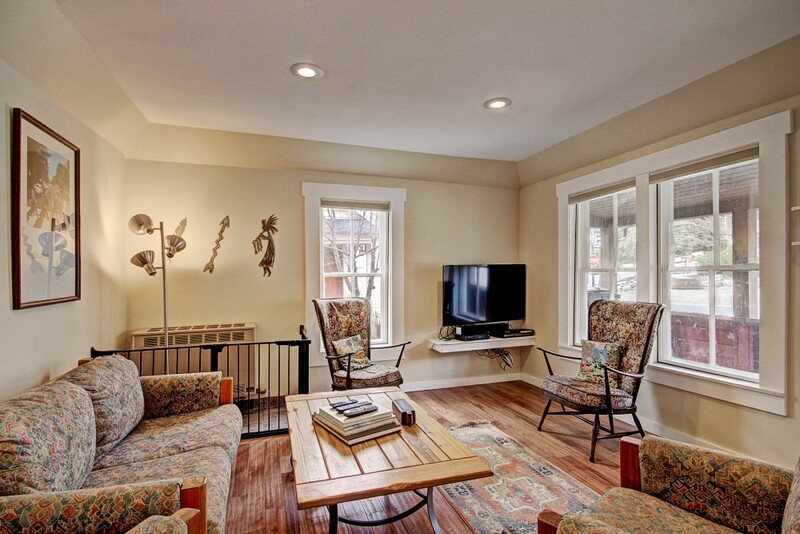 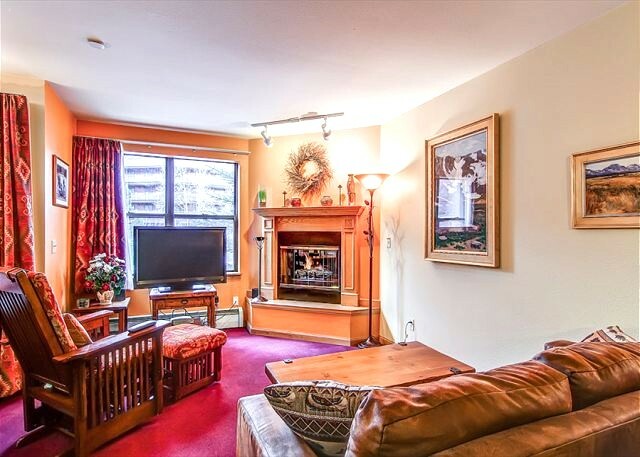 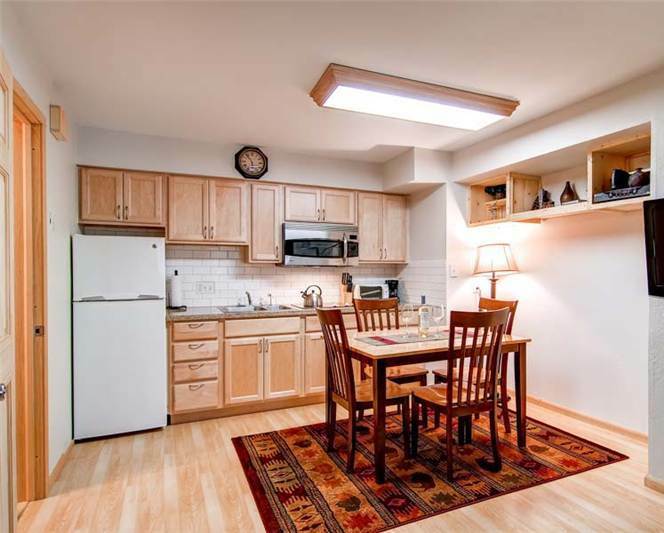 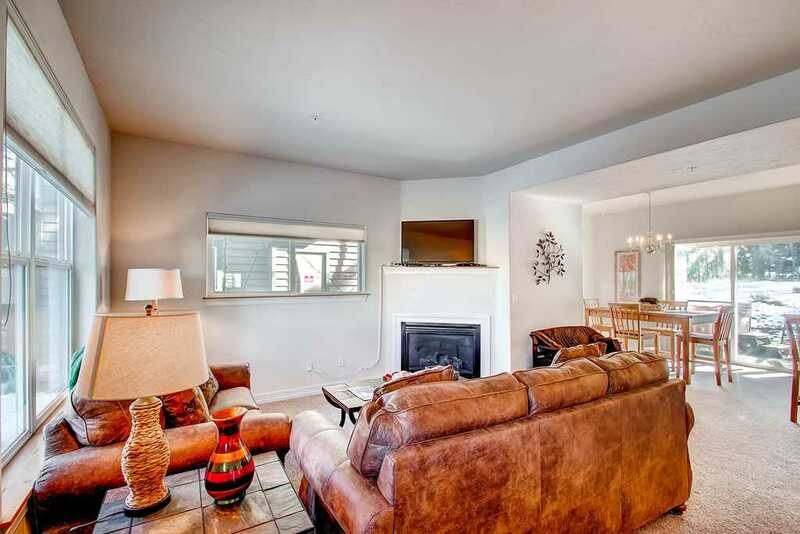 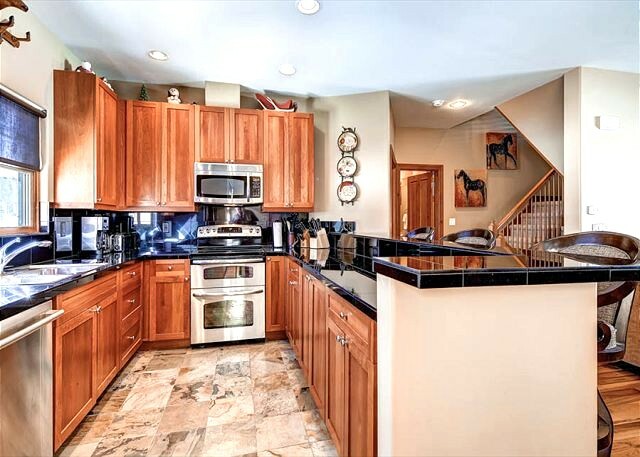 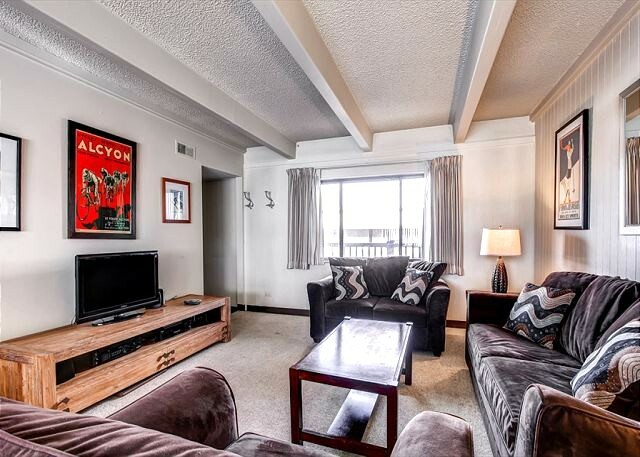 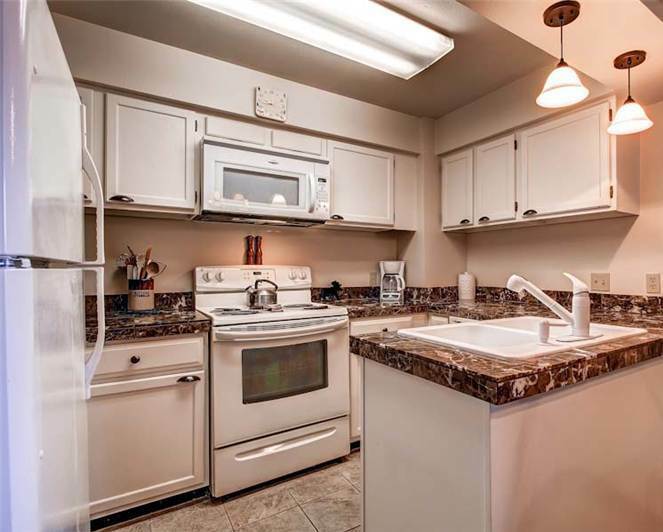 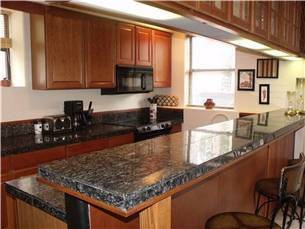 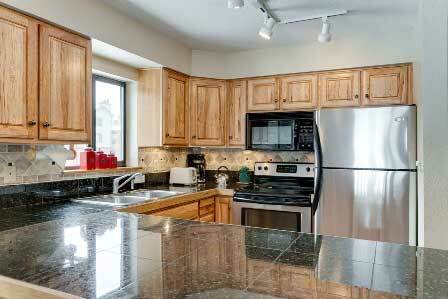 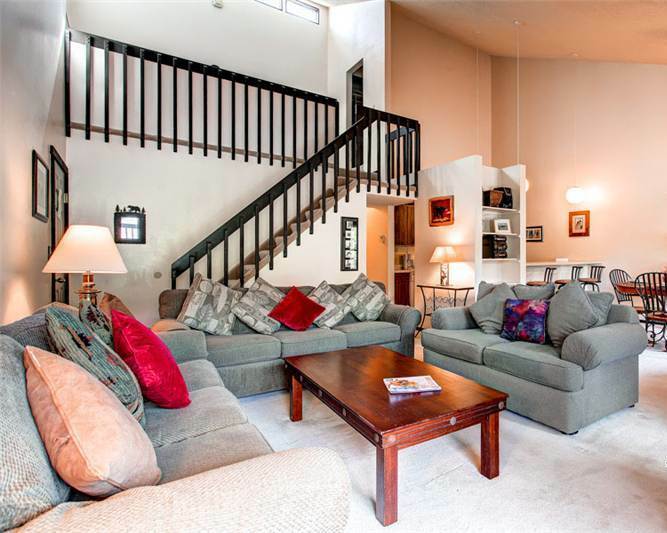 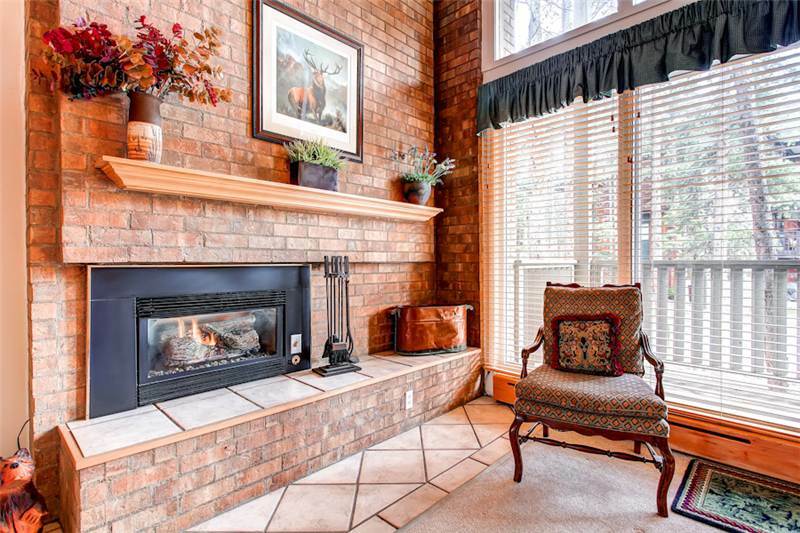 • 3 Bedrooms + Loft / 3.5 Bath (3 full/1 half) / 2,652 s.f.